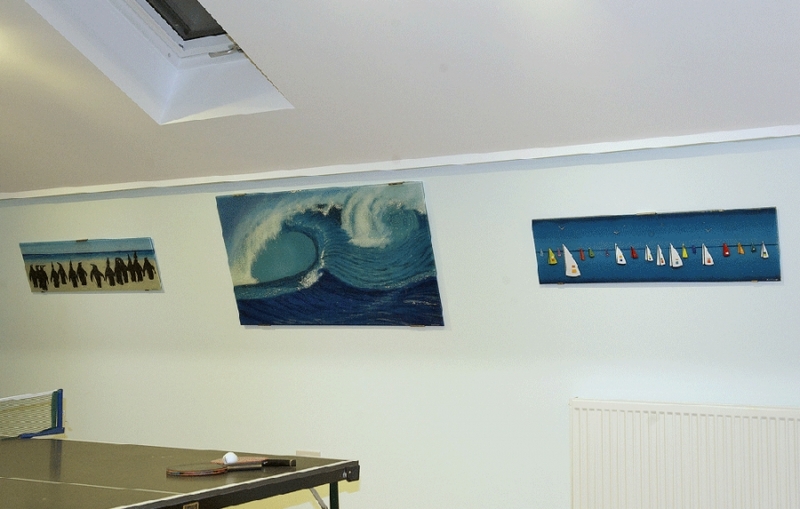 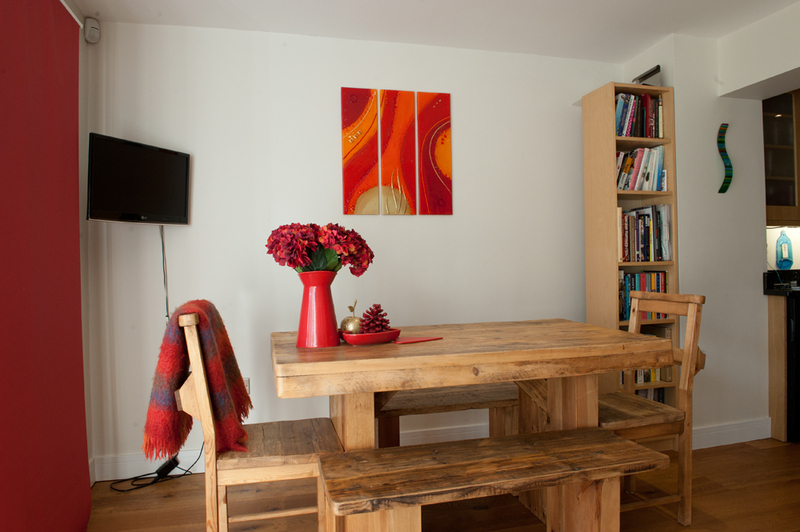 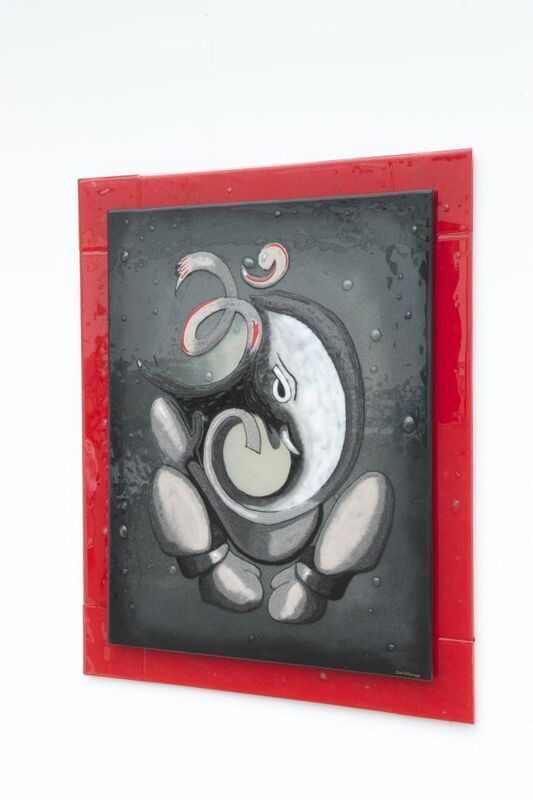 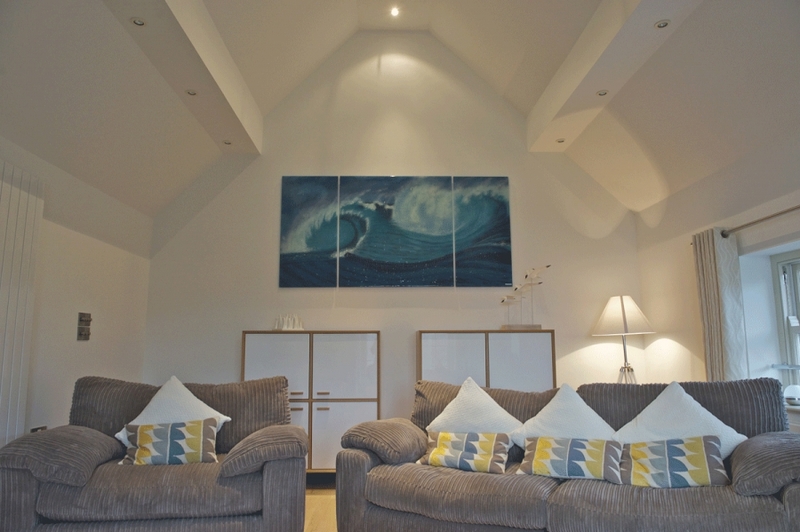 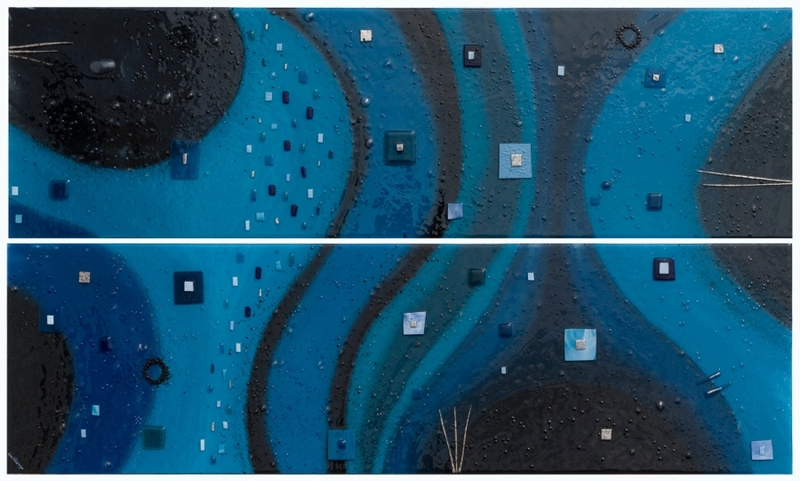 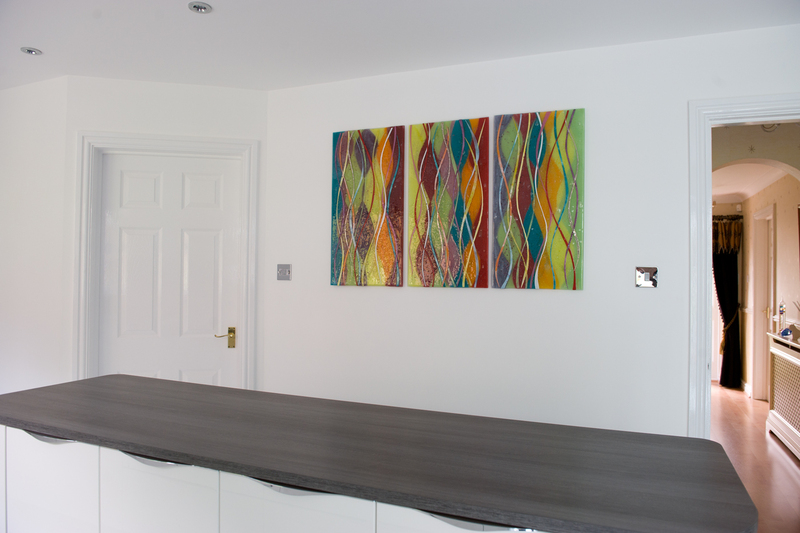 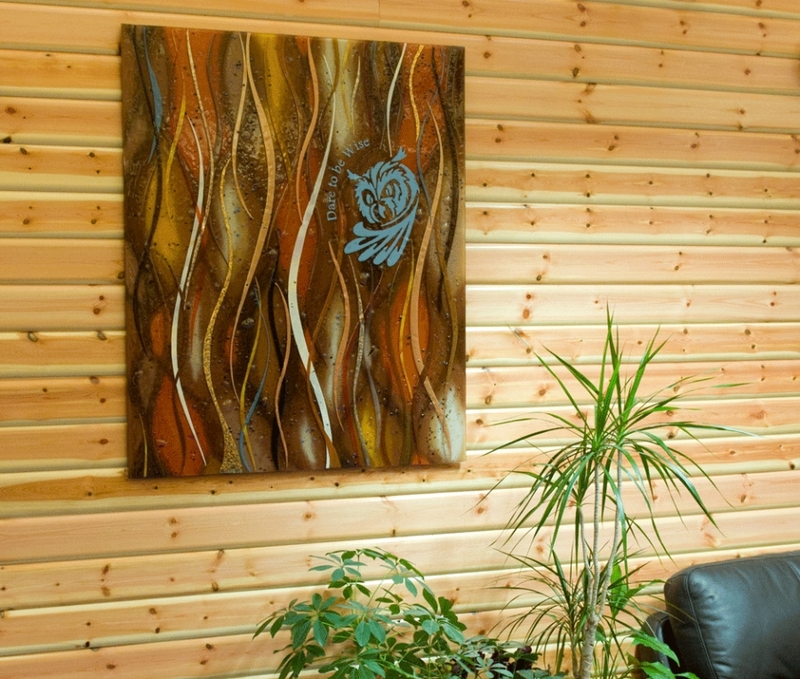 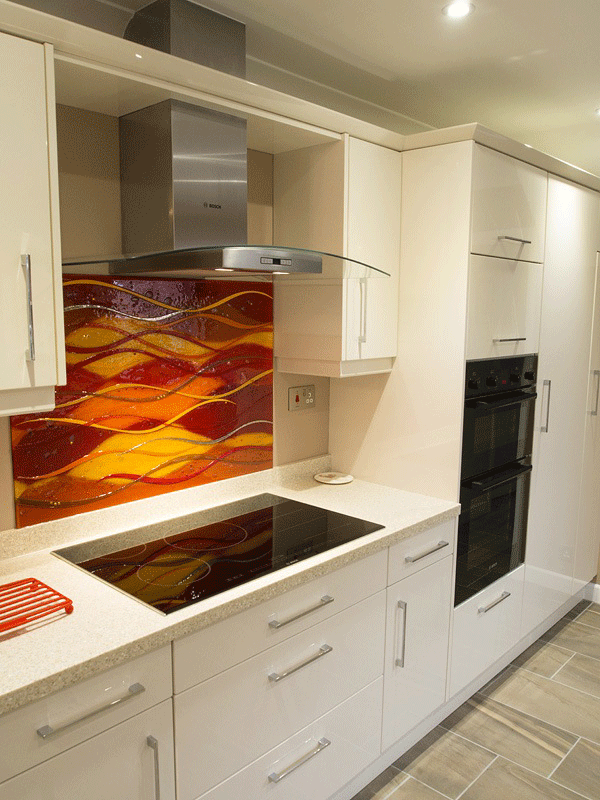 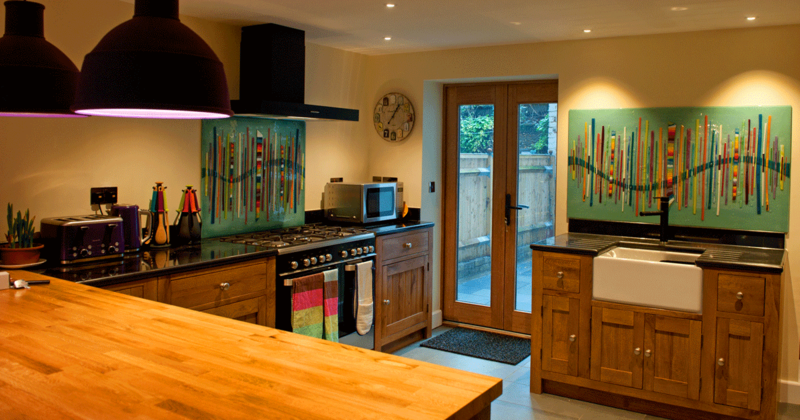 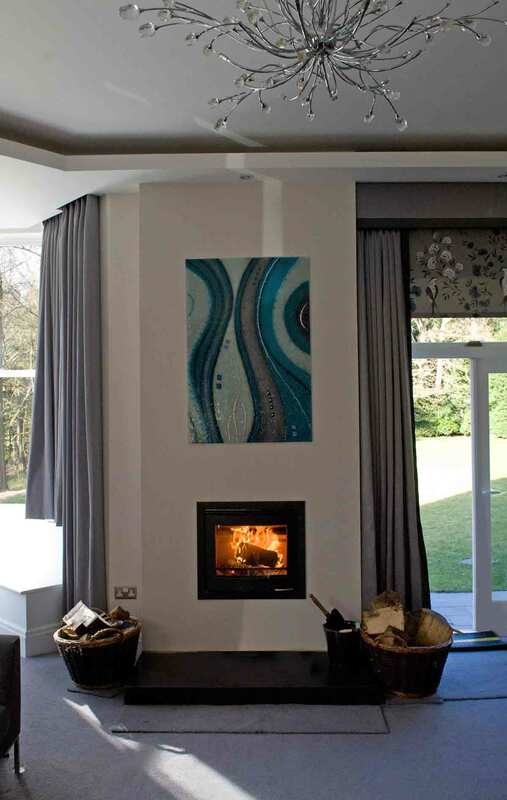 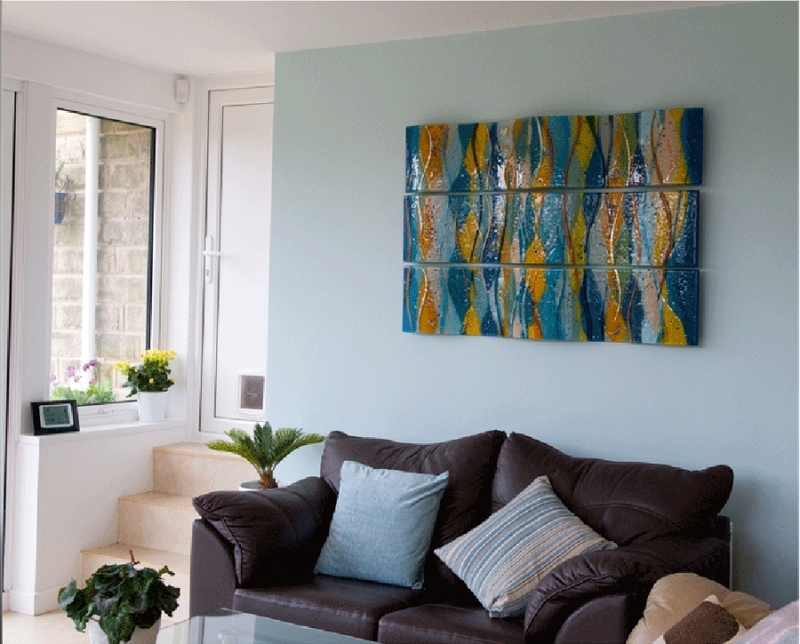 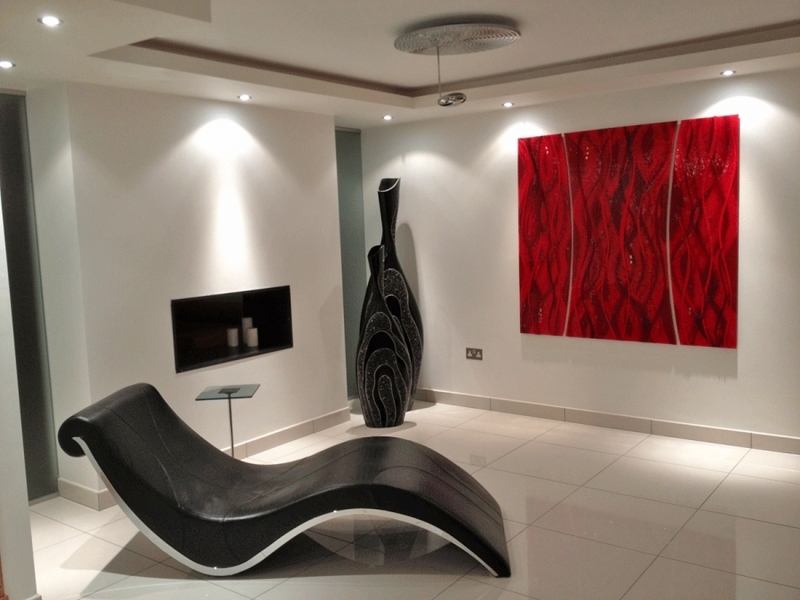 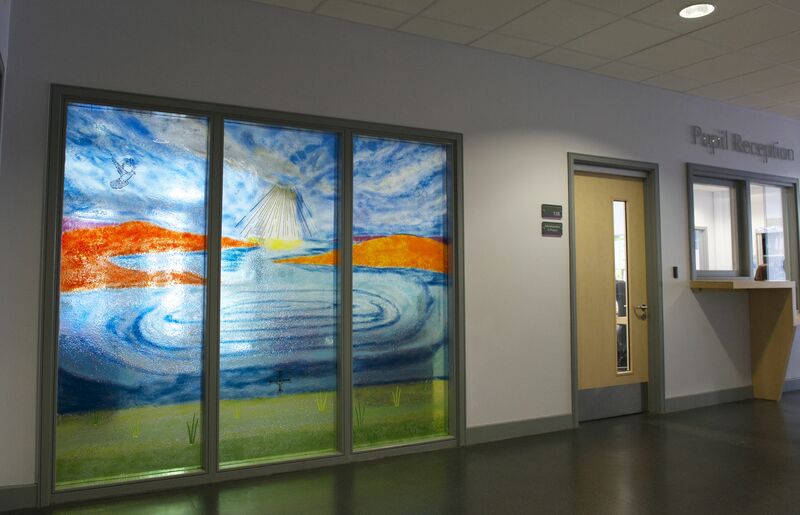 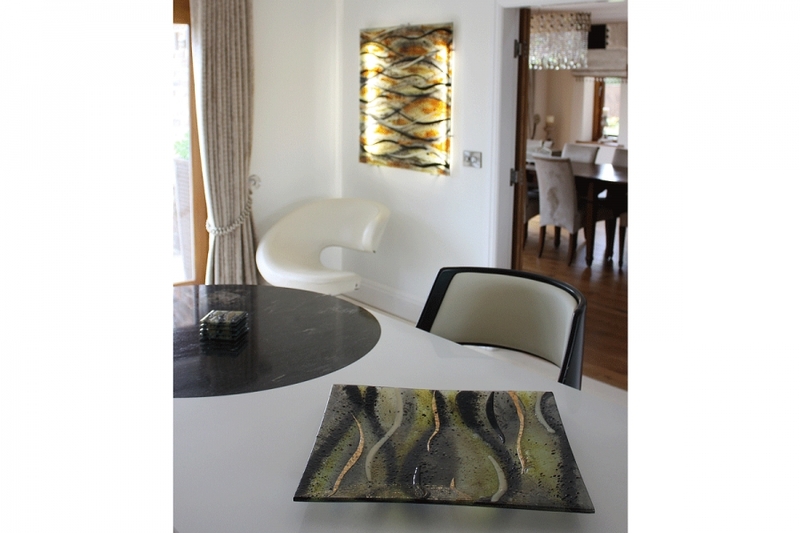 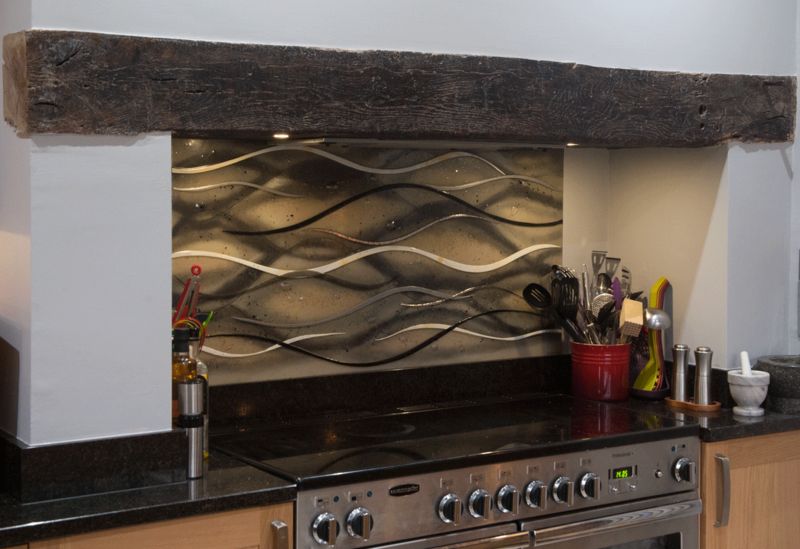 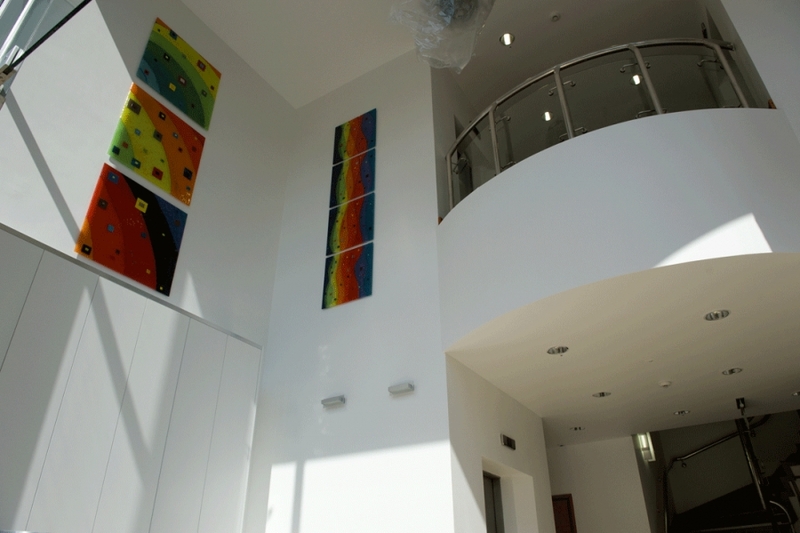 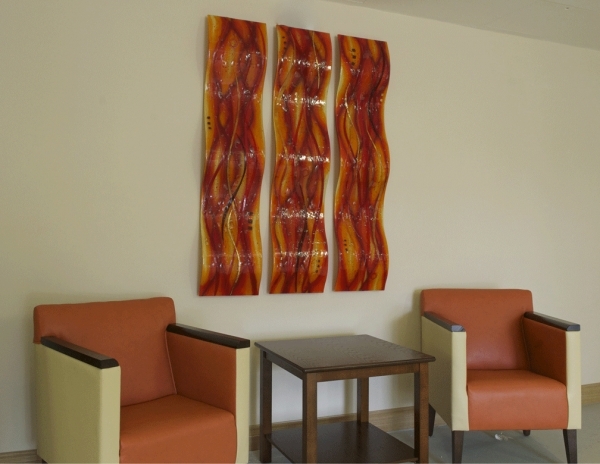 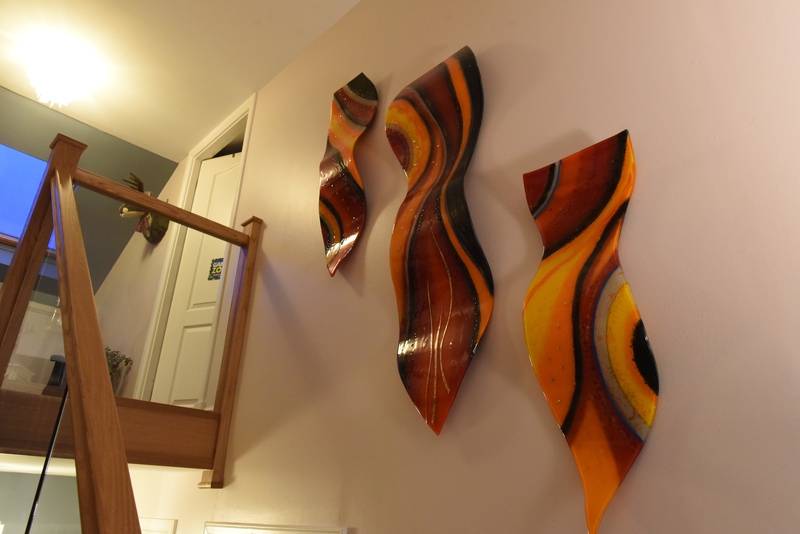 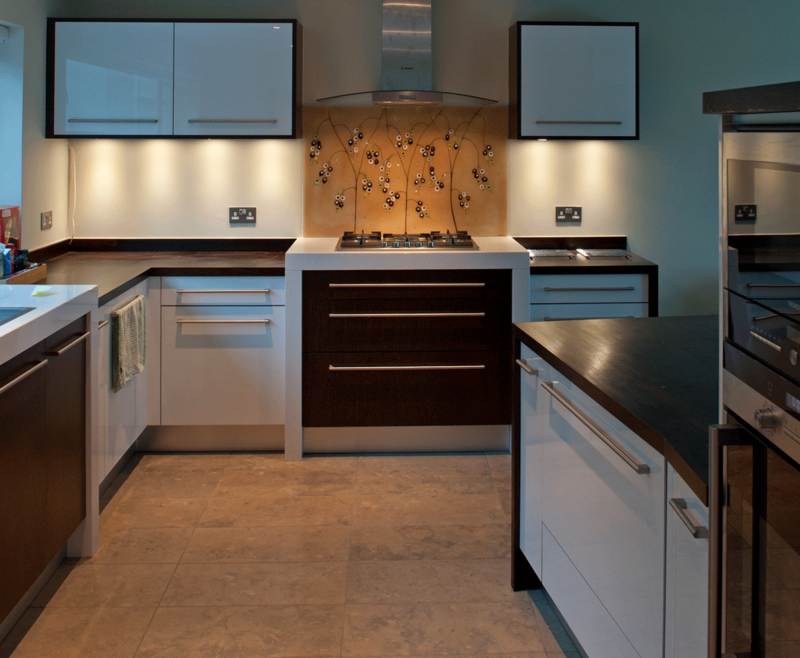 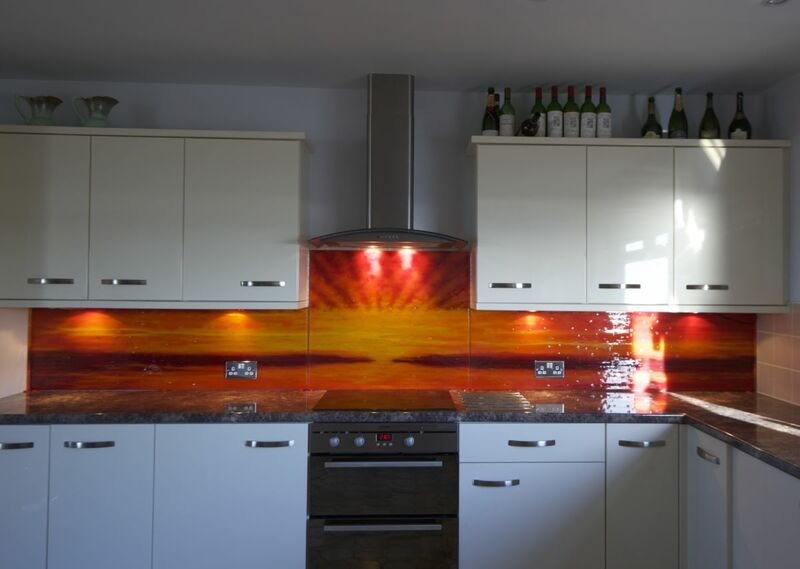 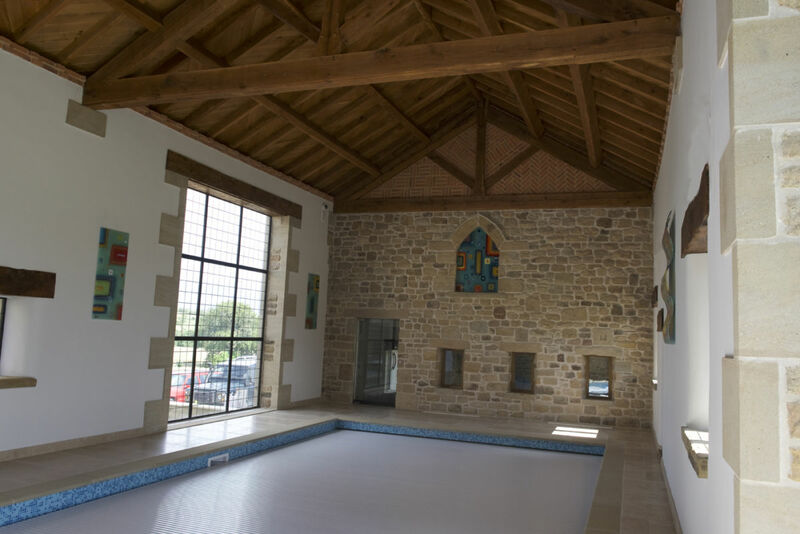 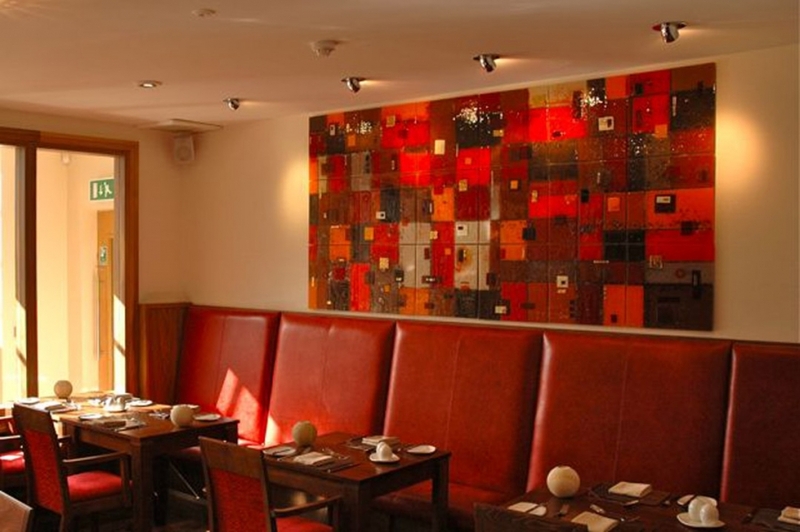 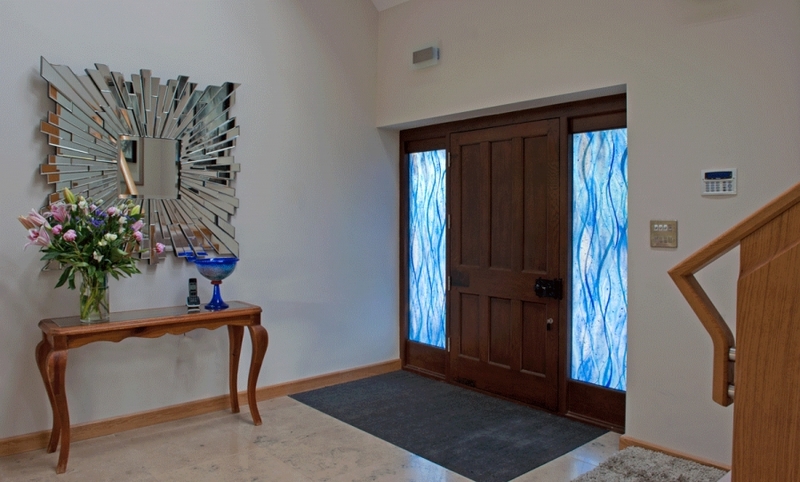 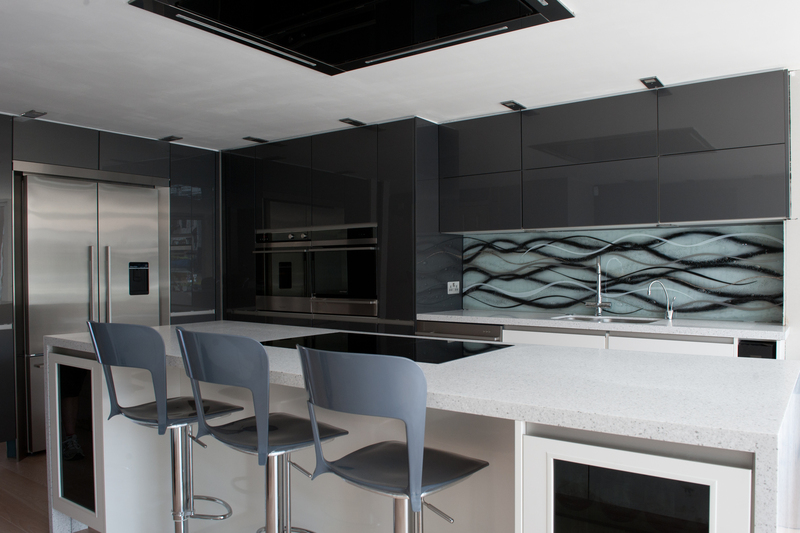 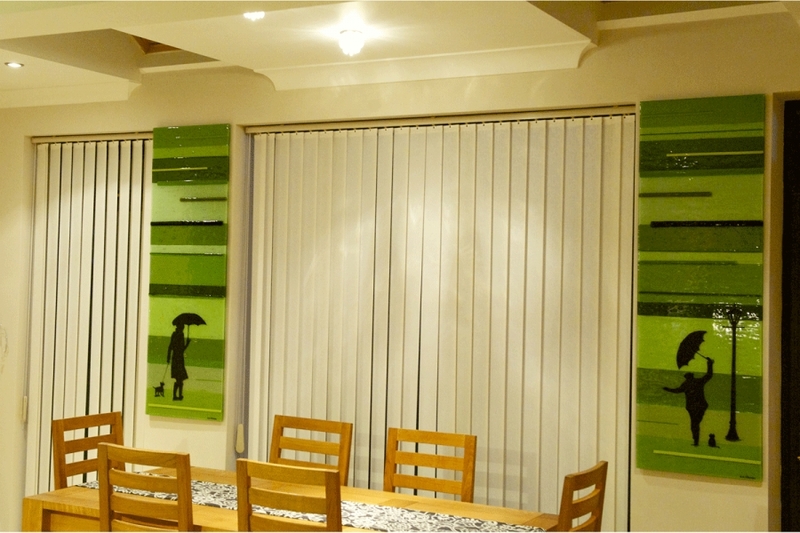 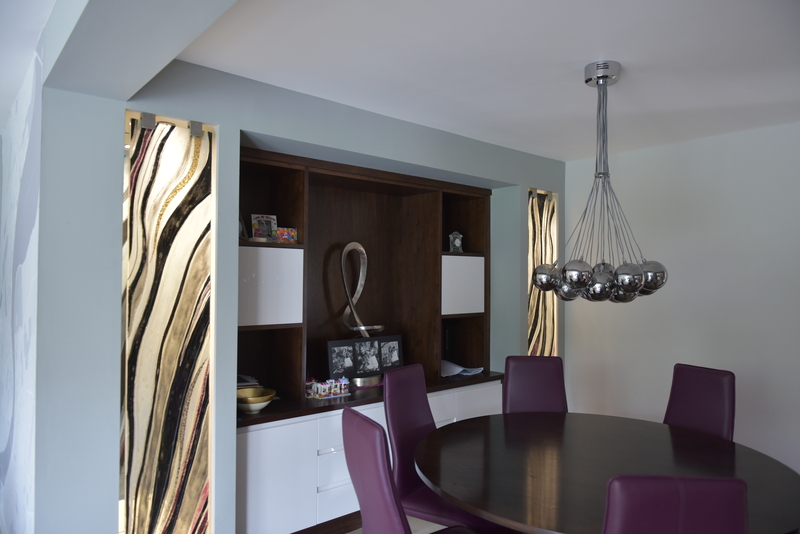 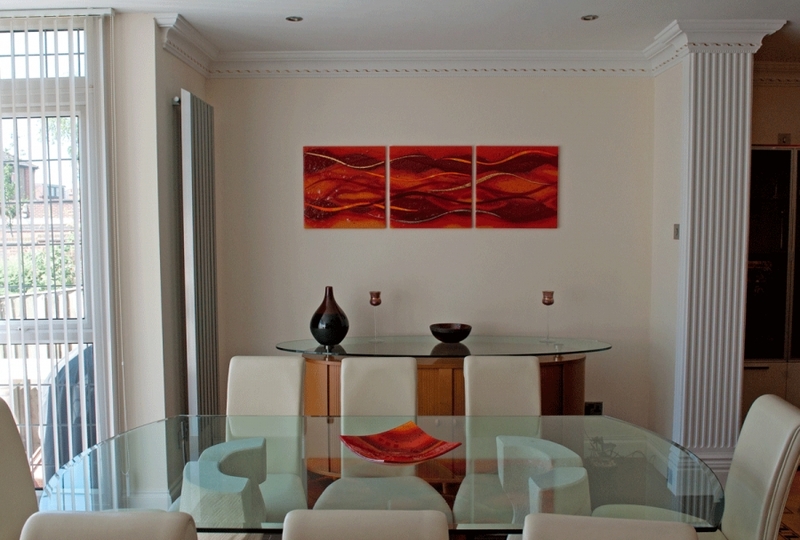 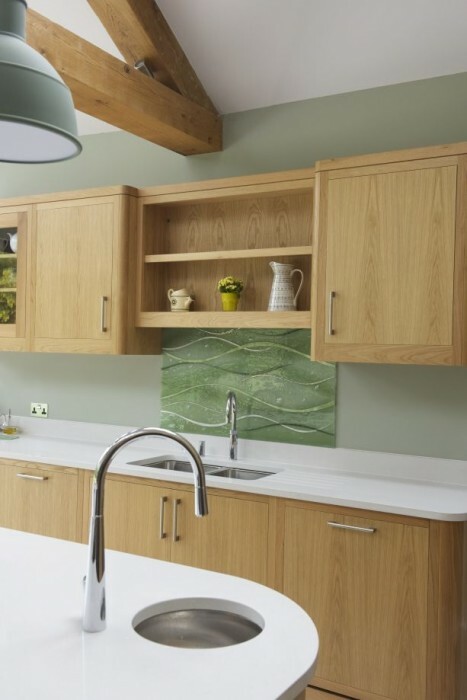 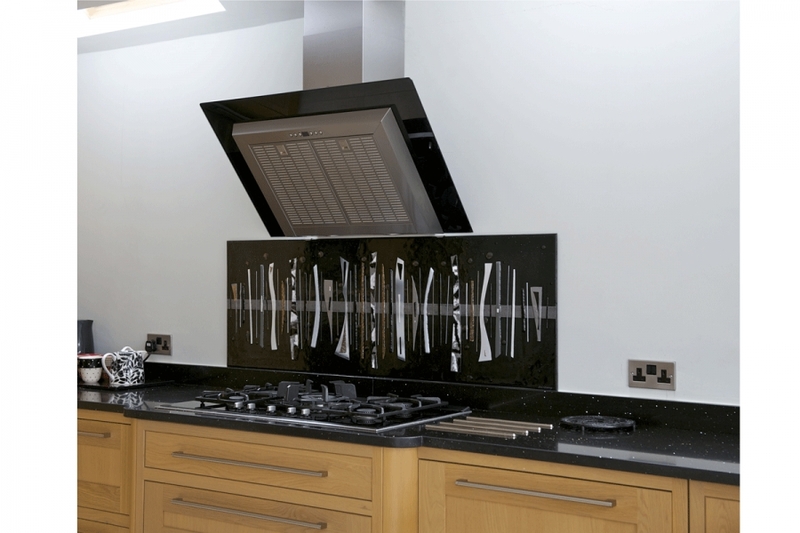 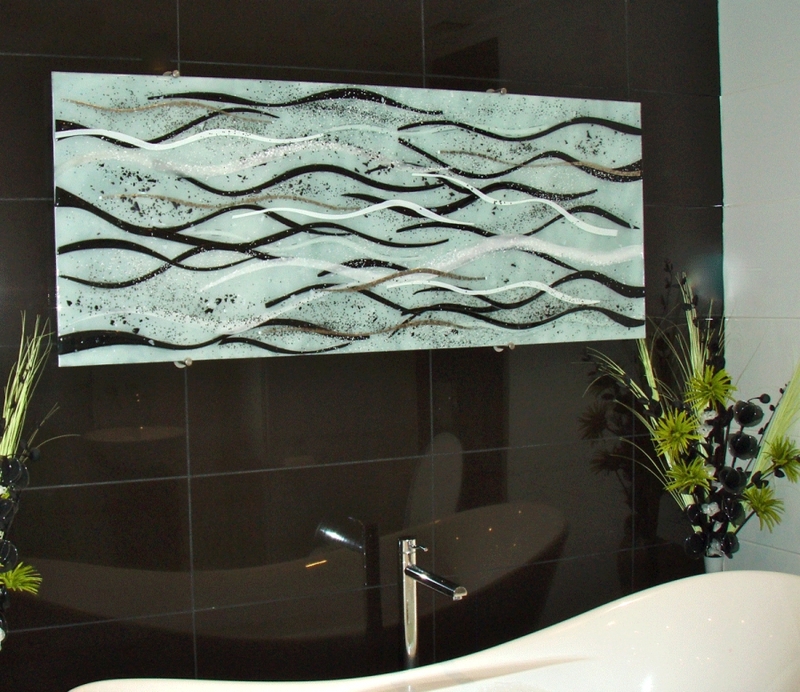 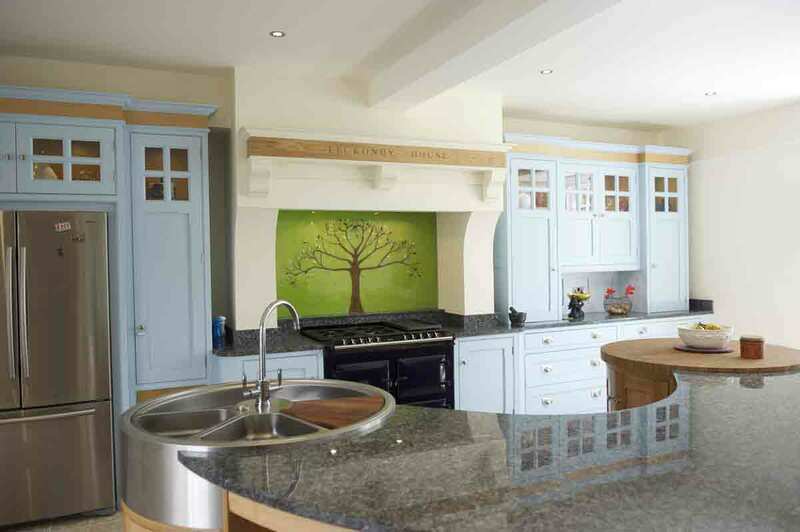 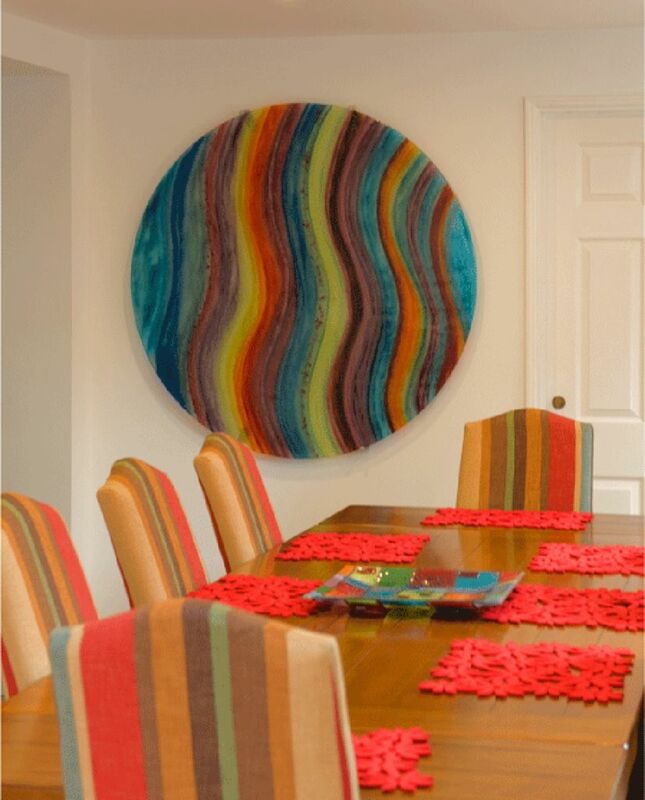 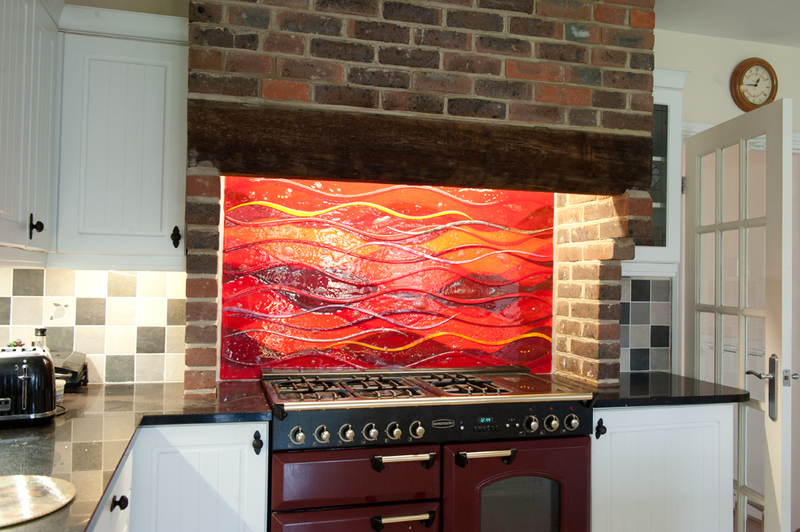 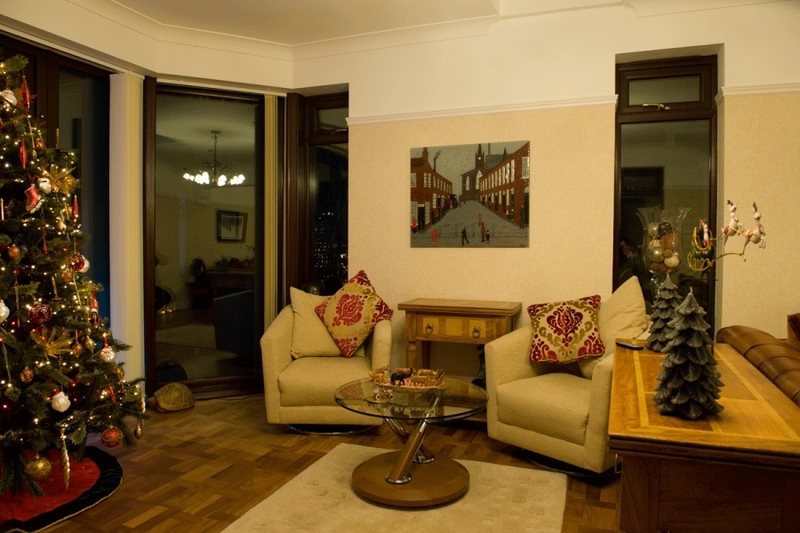 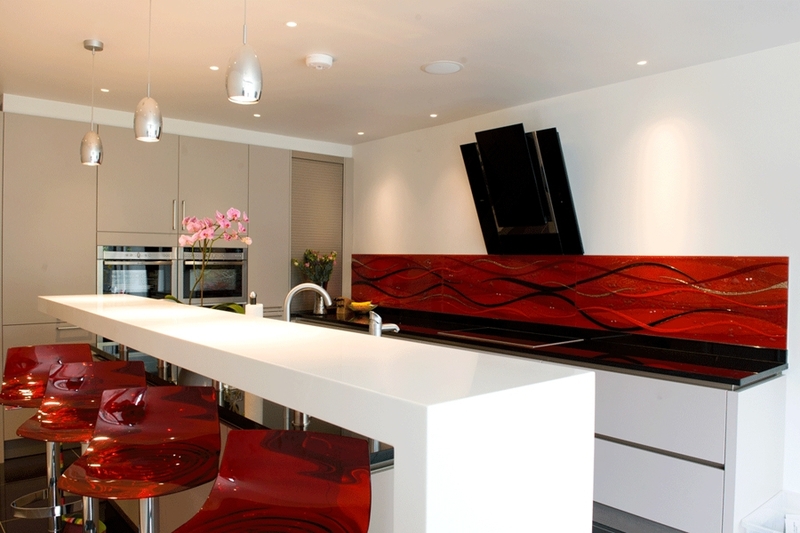 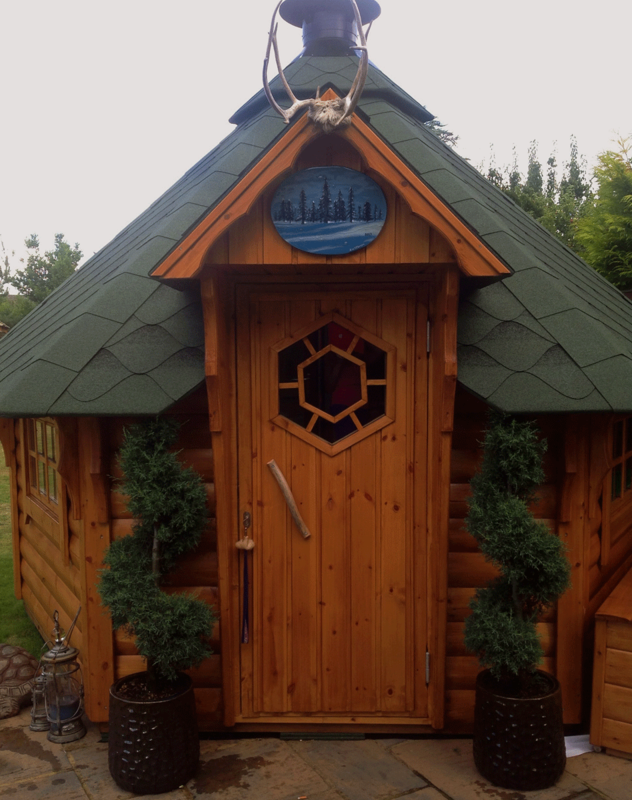 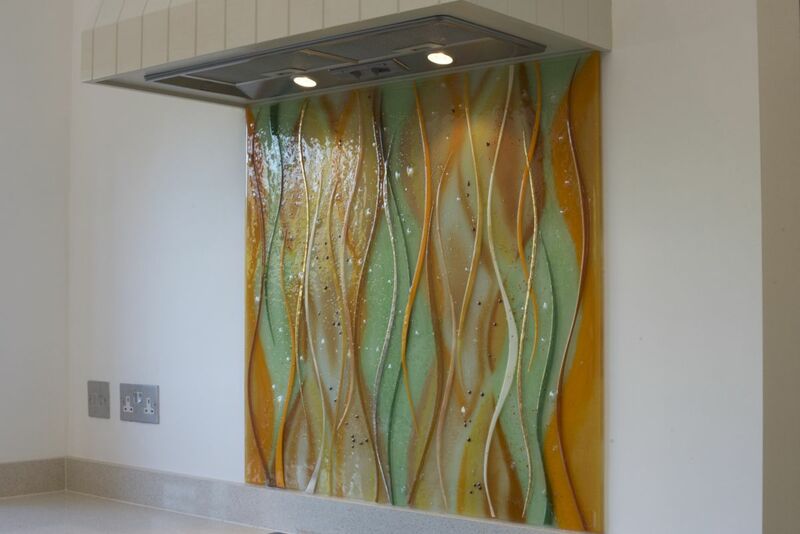 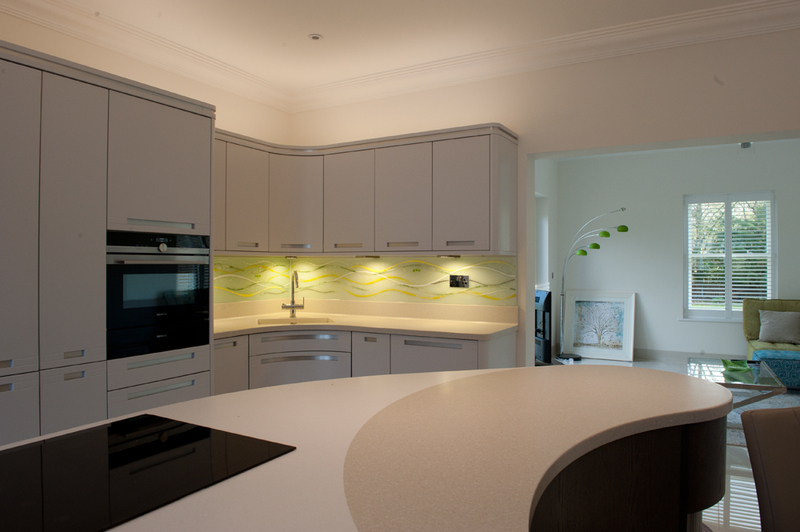 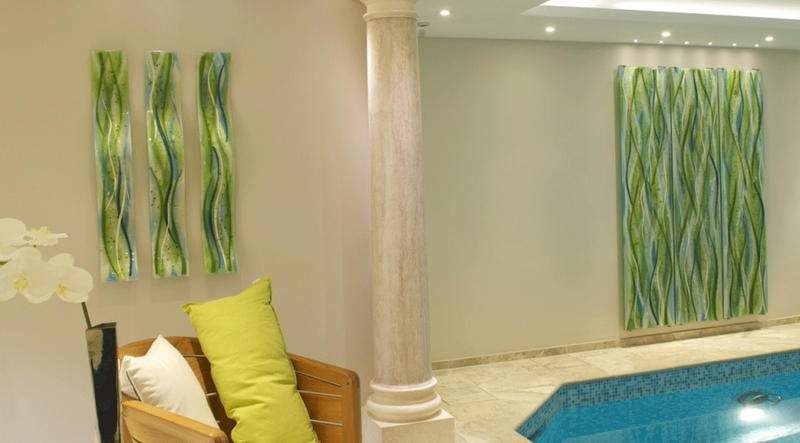 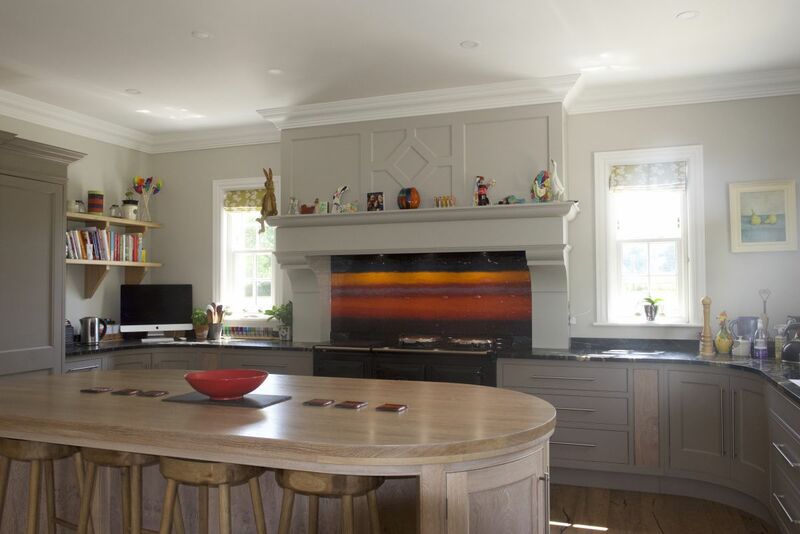 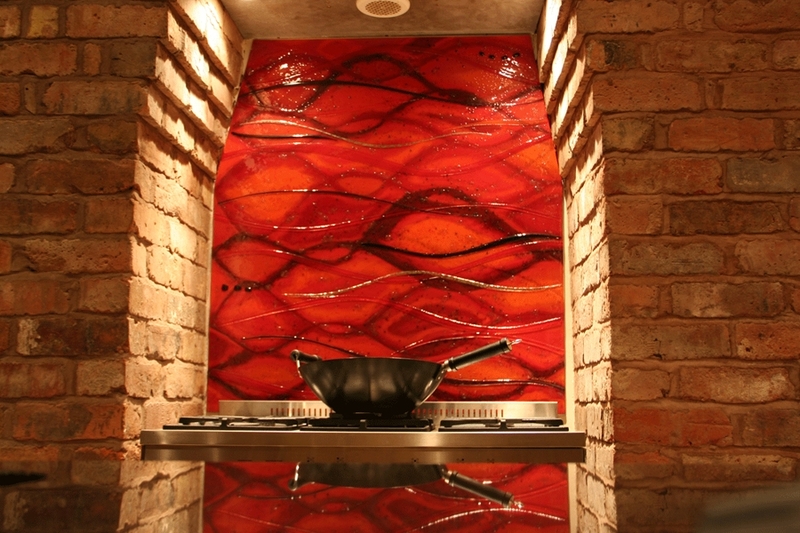 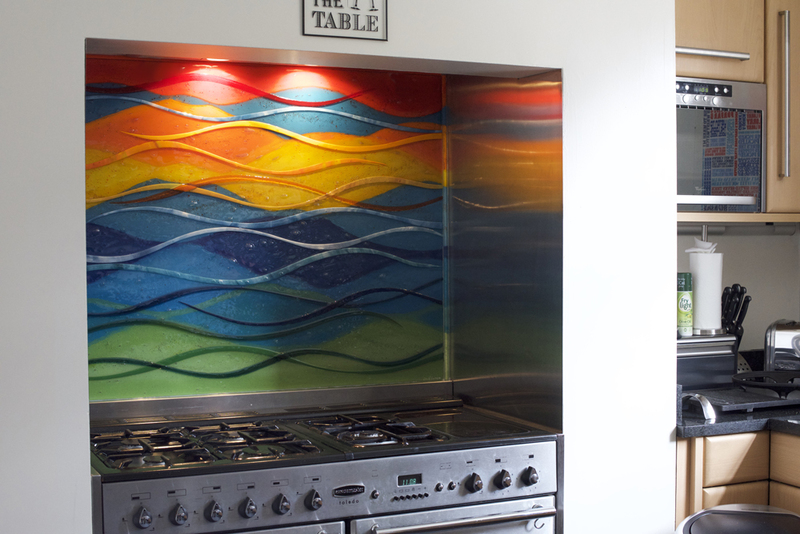 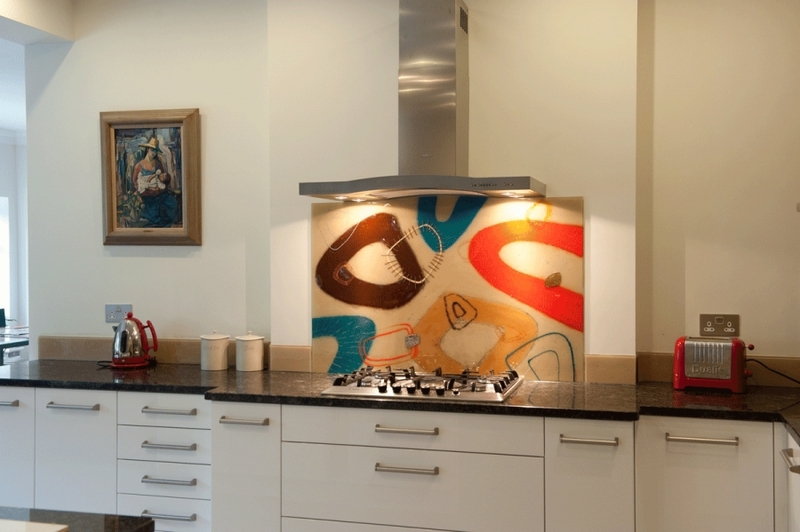 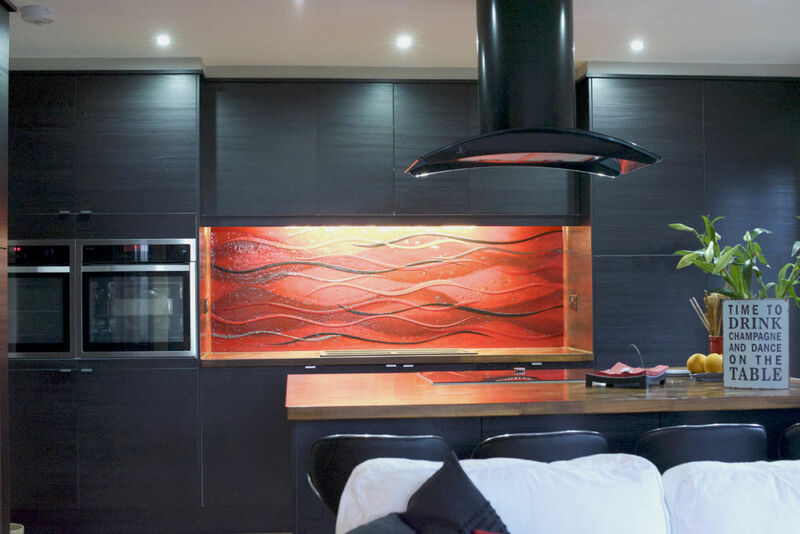 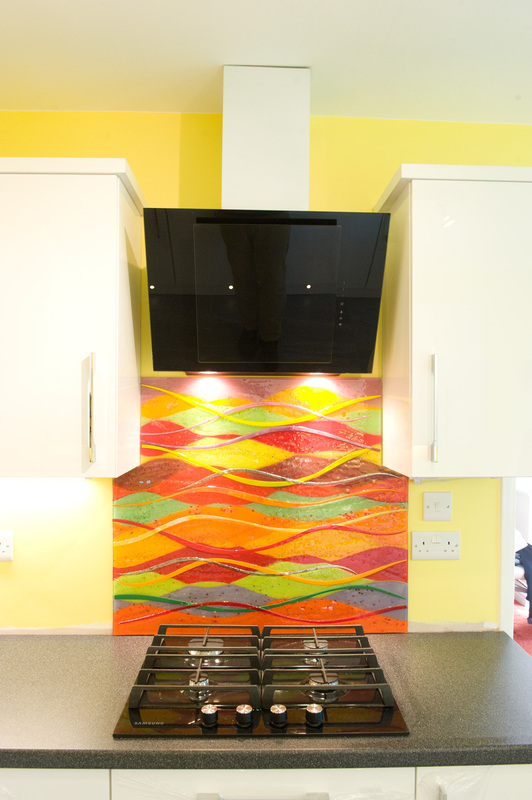 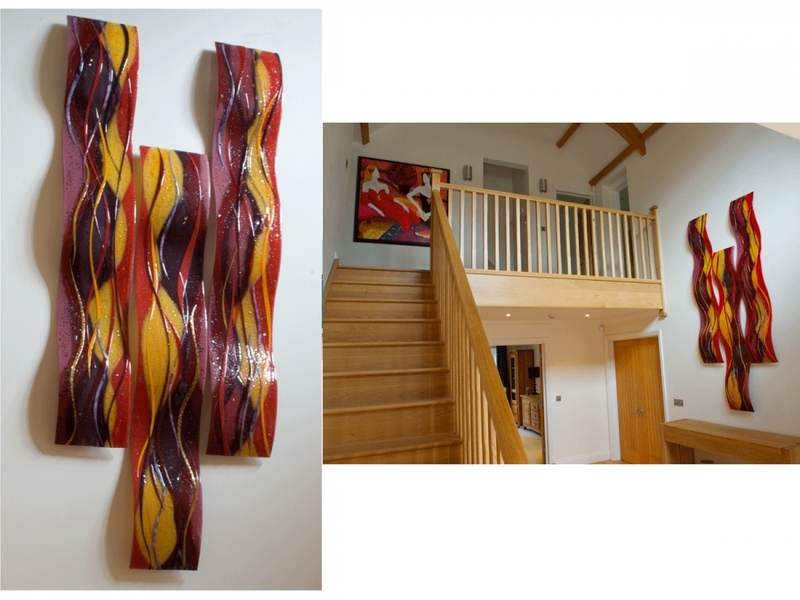 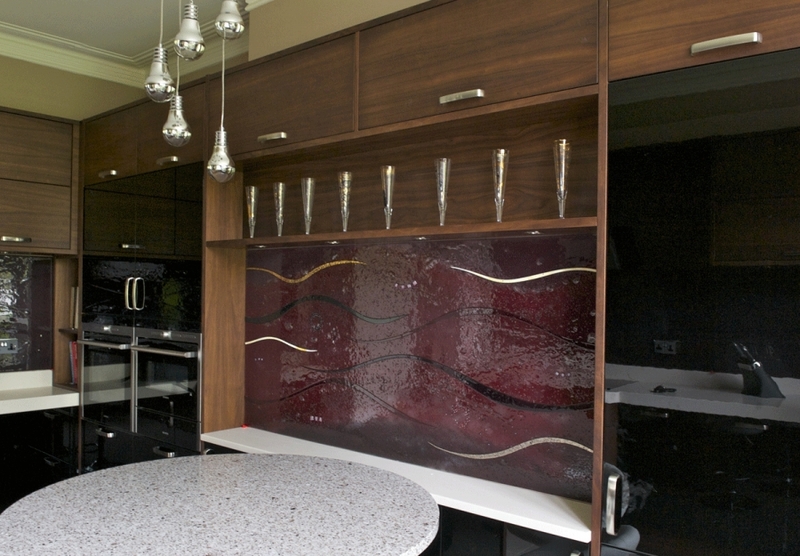 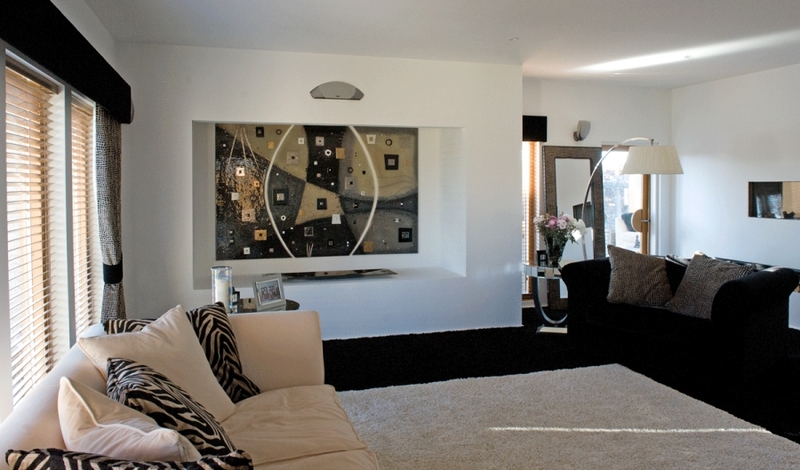 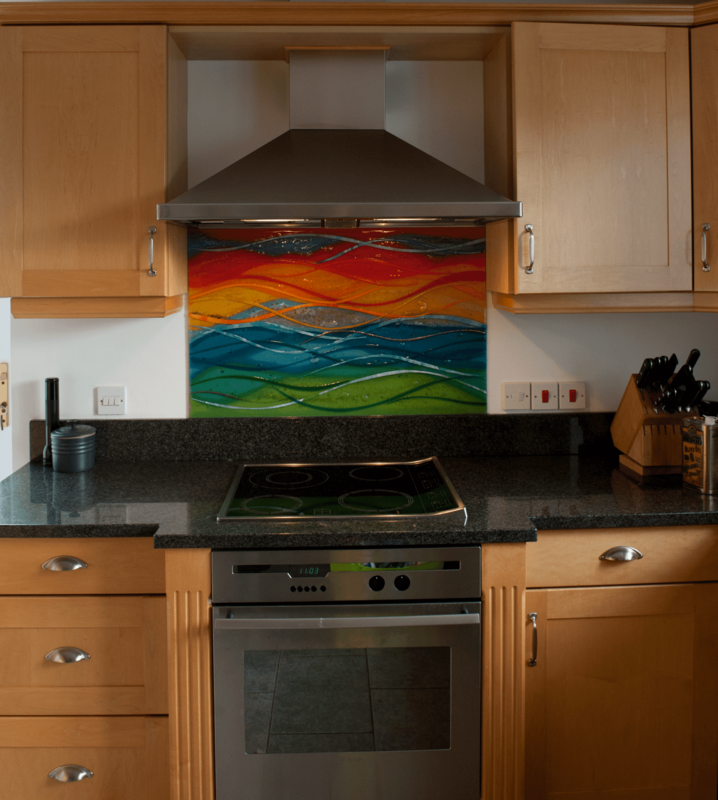 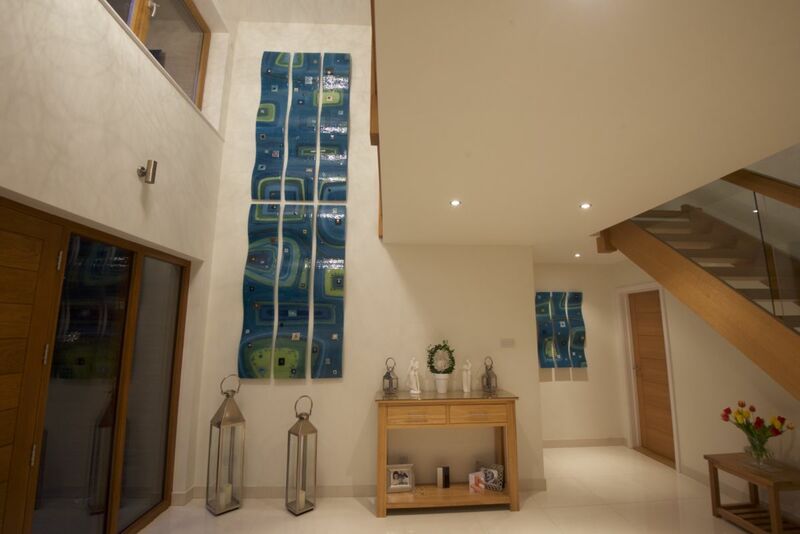 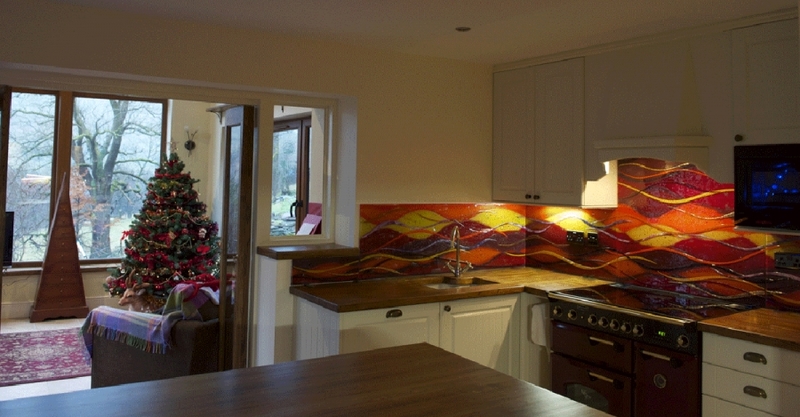 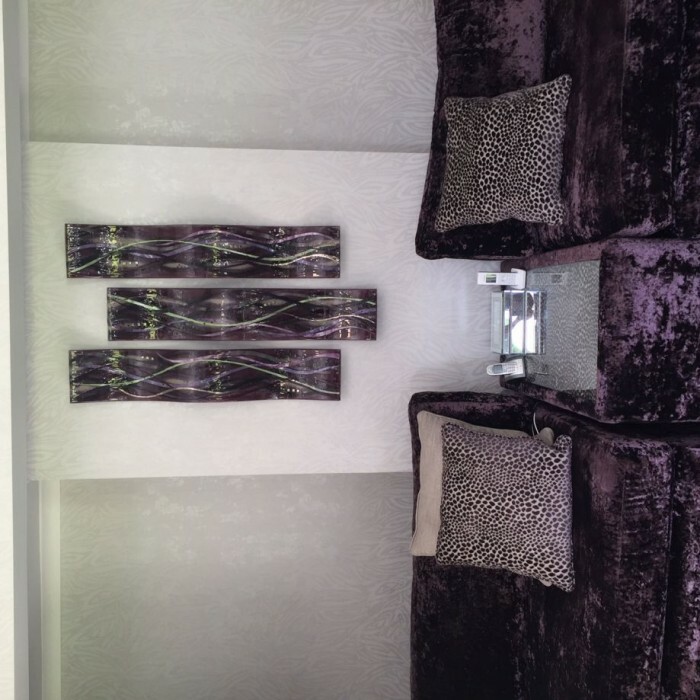 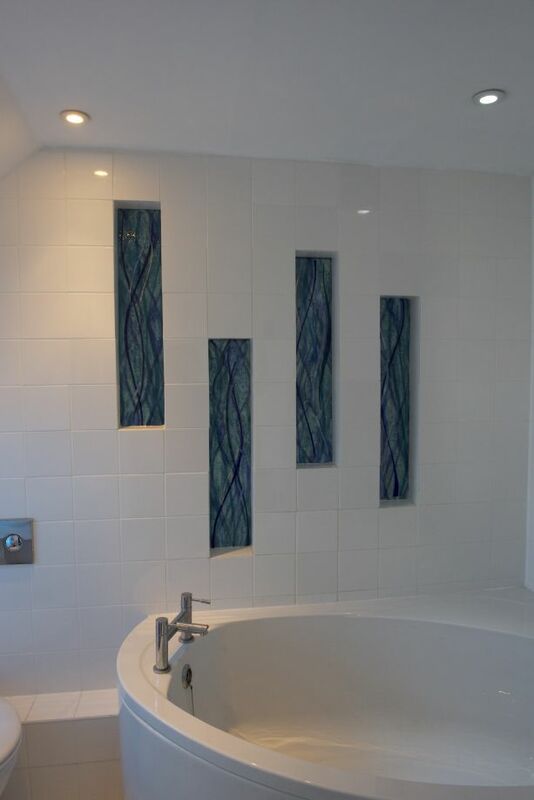 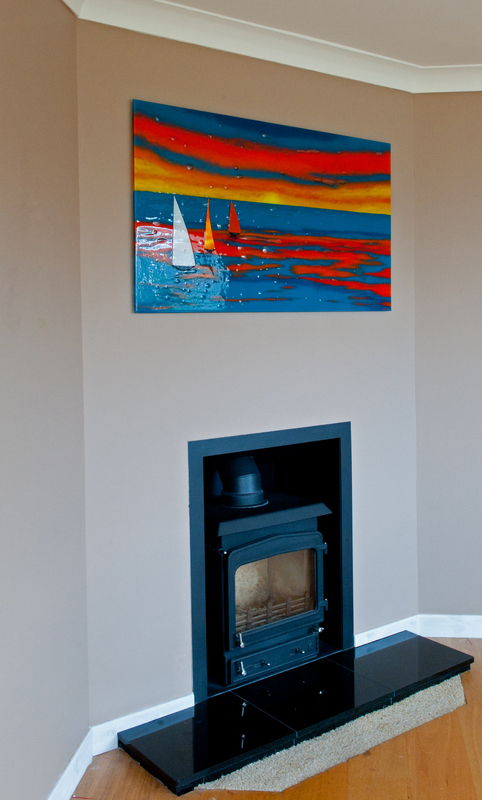 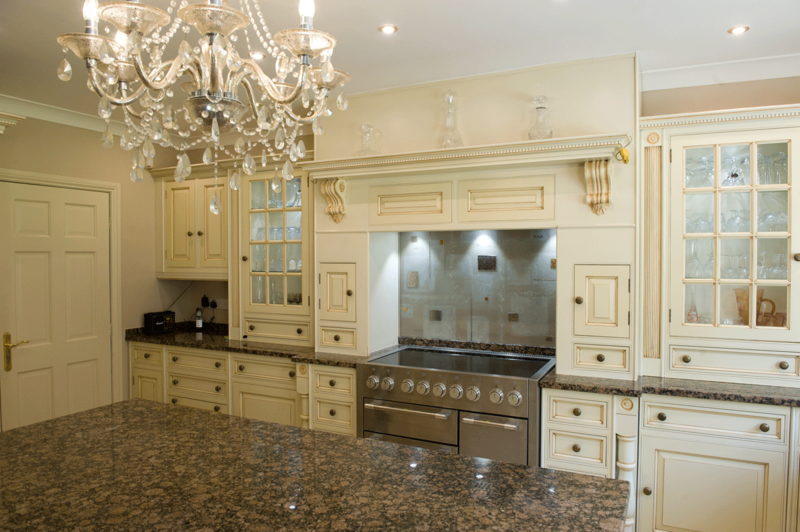 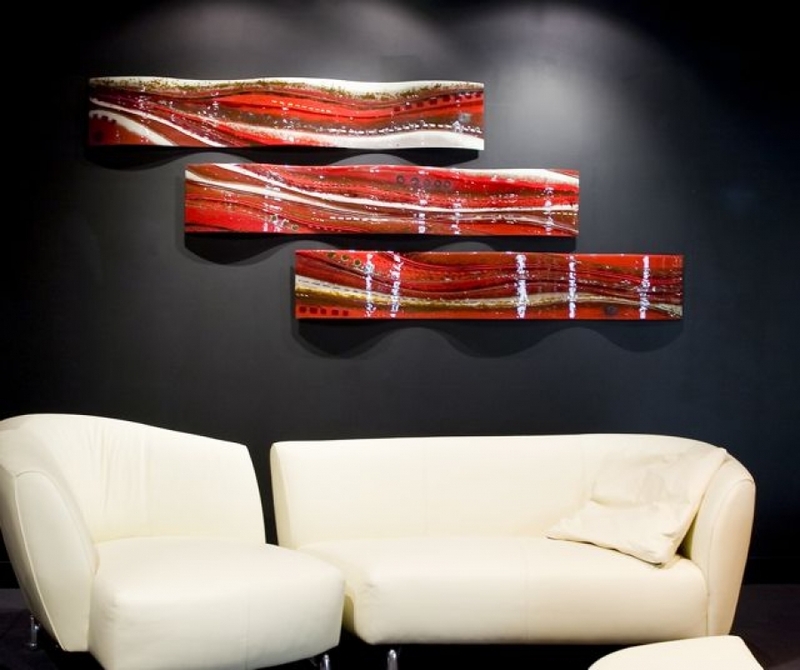 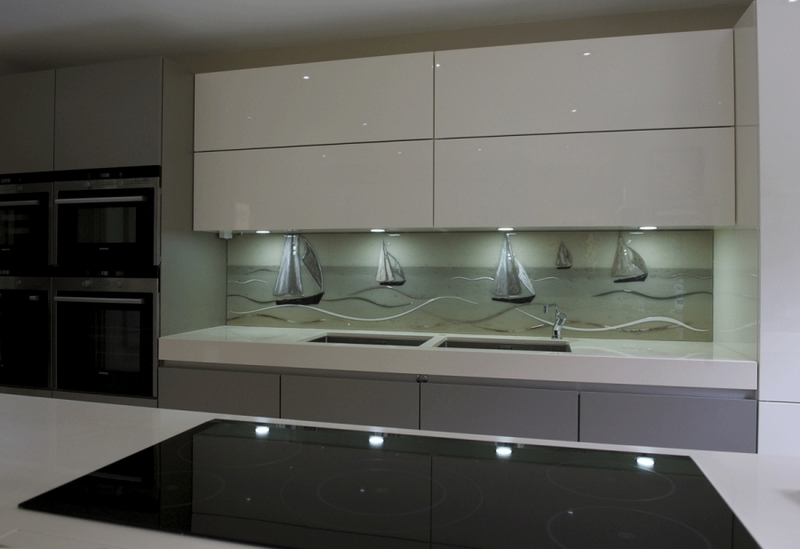 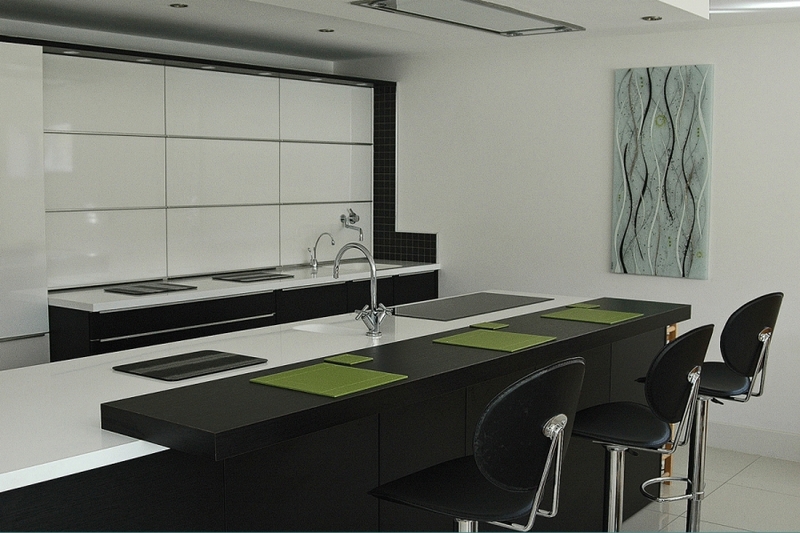 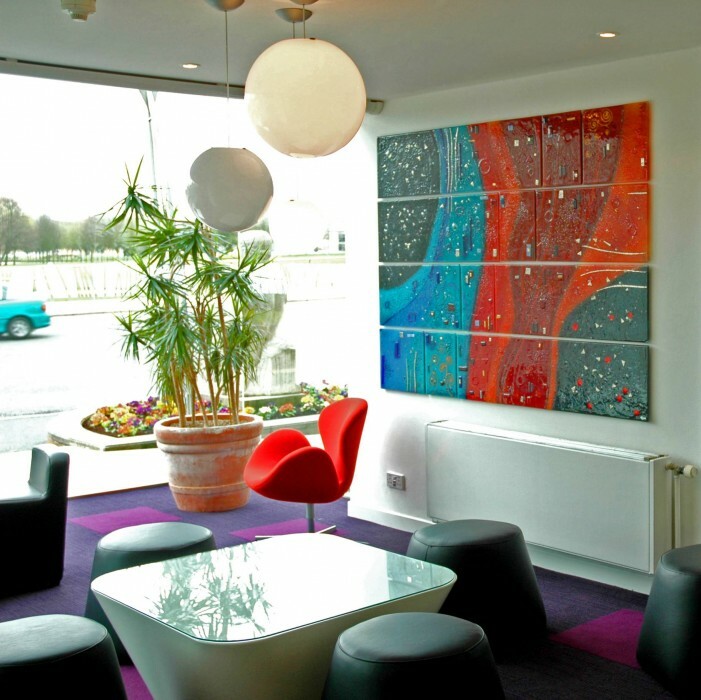 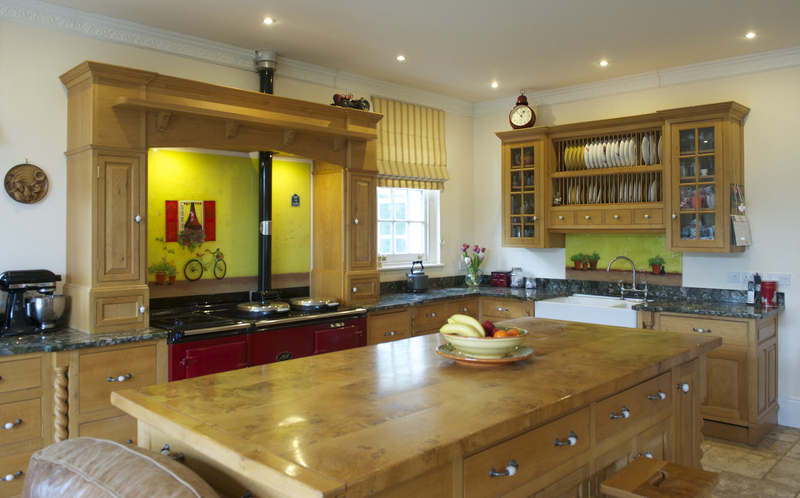 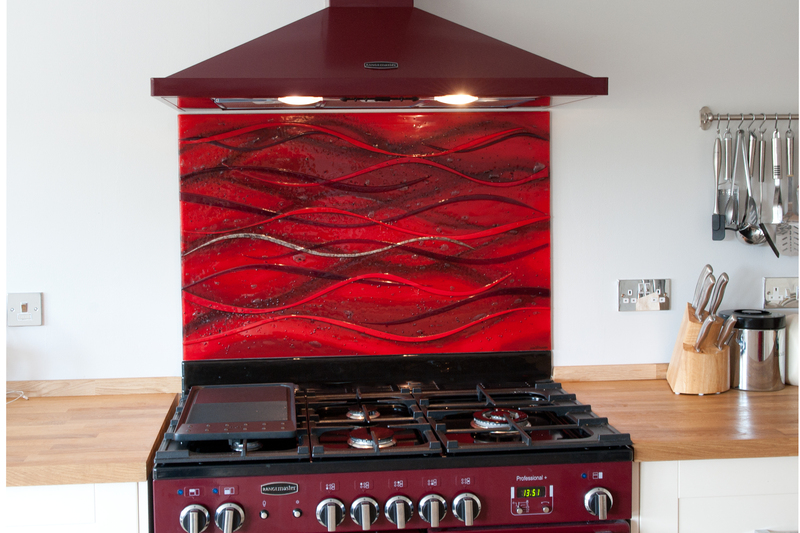 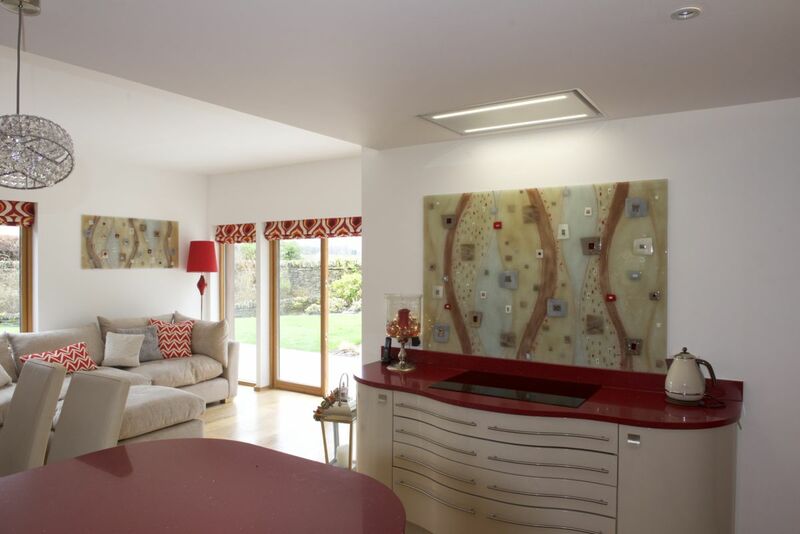 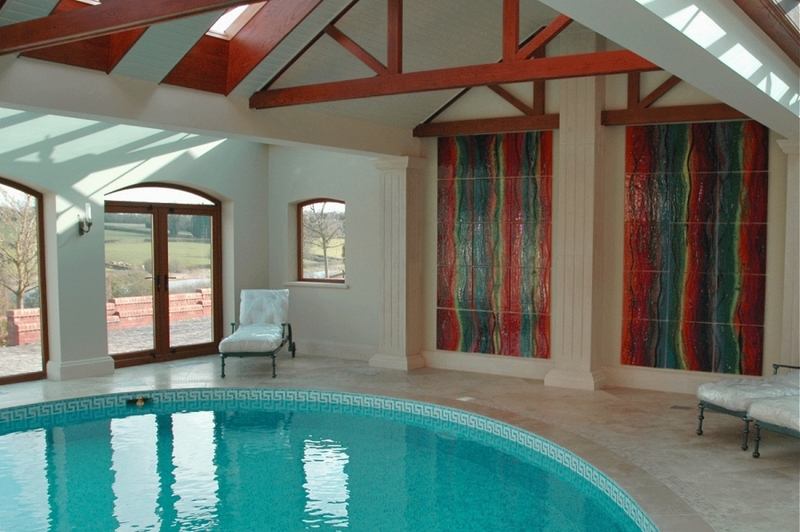 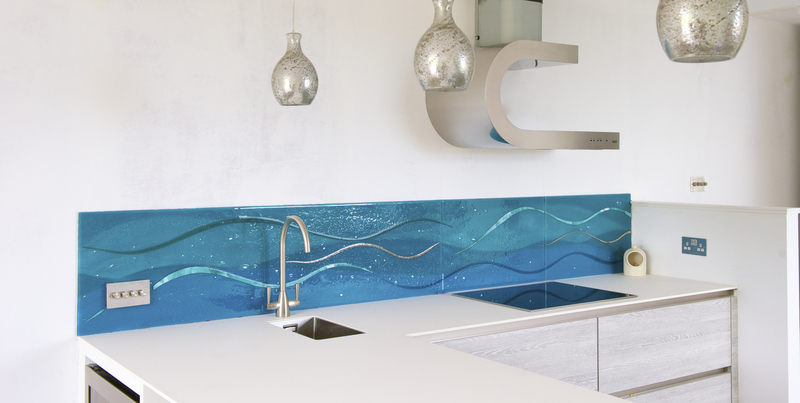 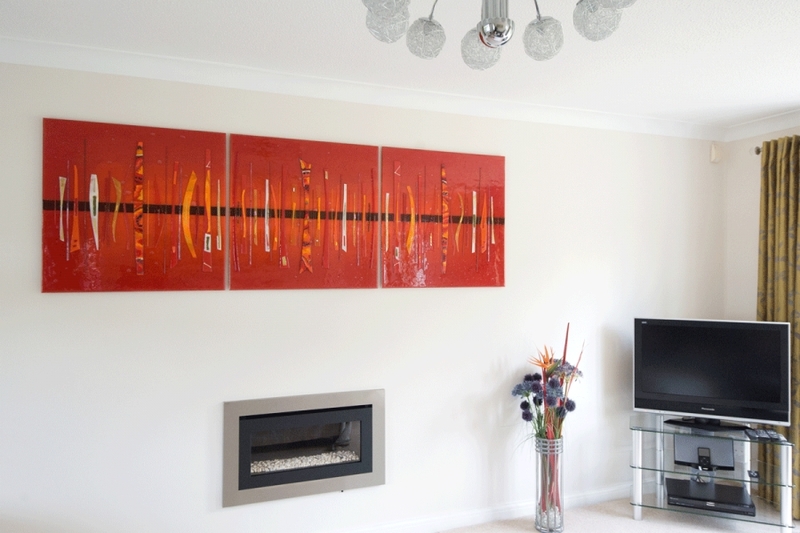 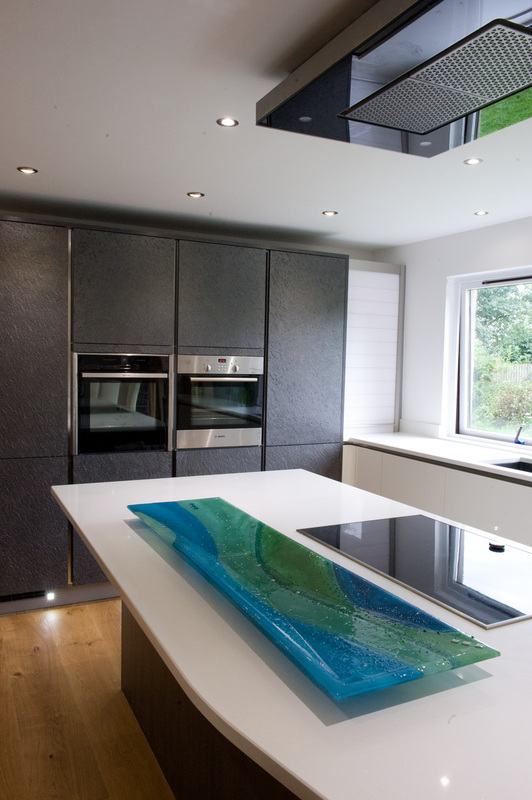 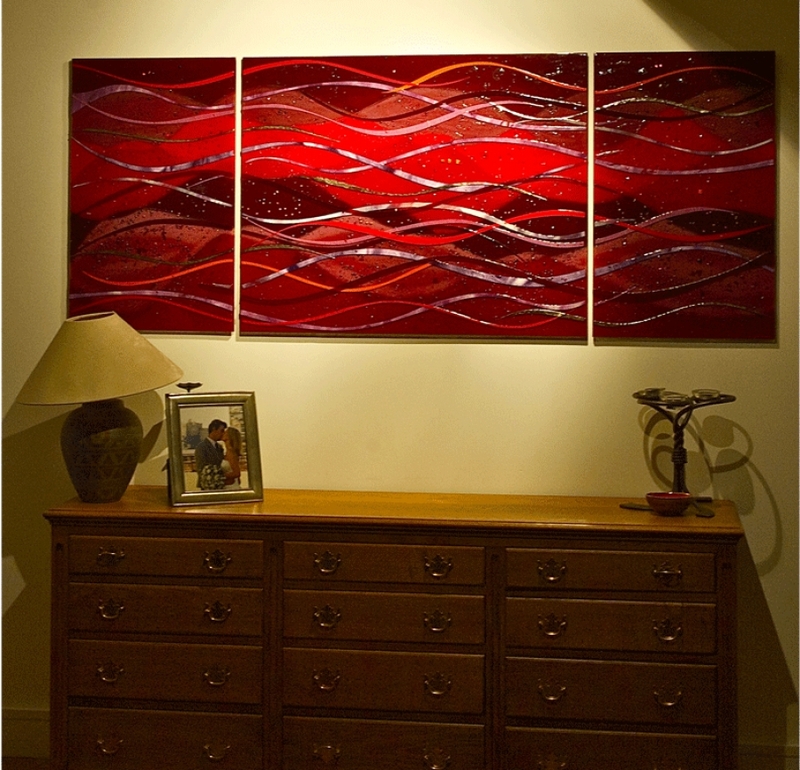 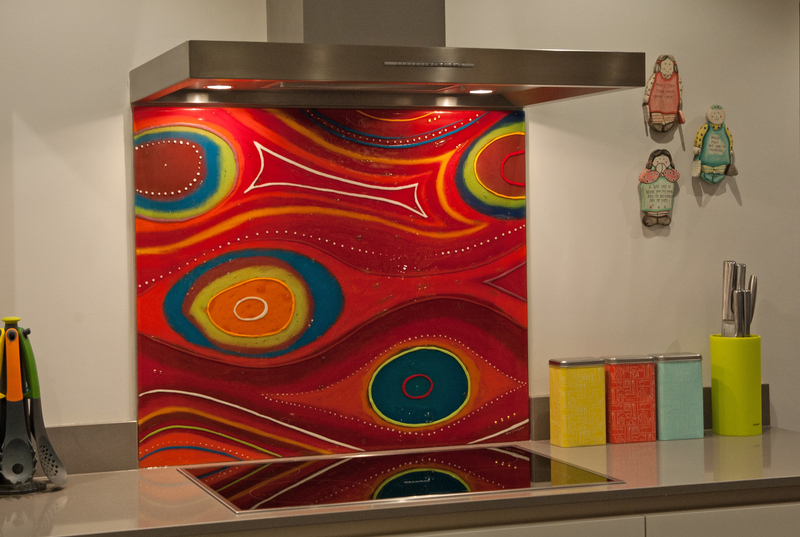 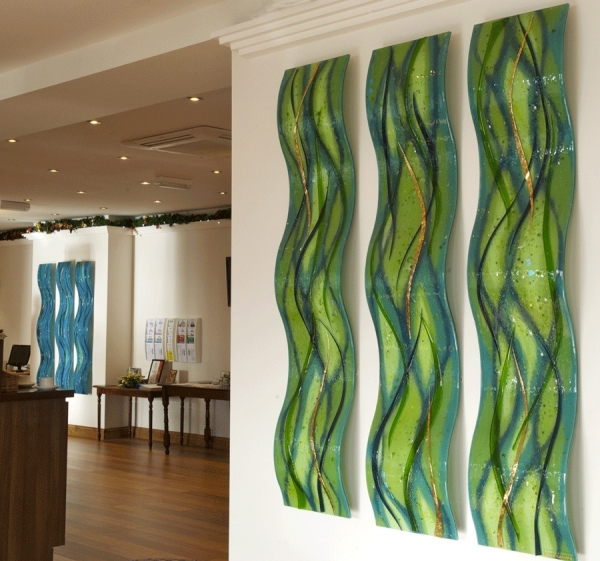 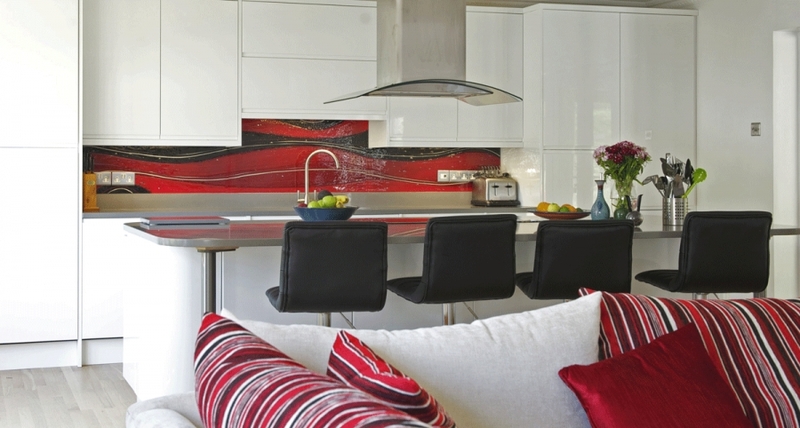 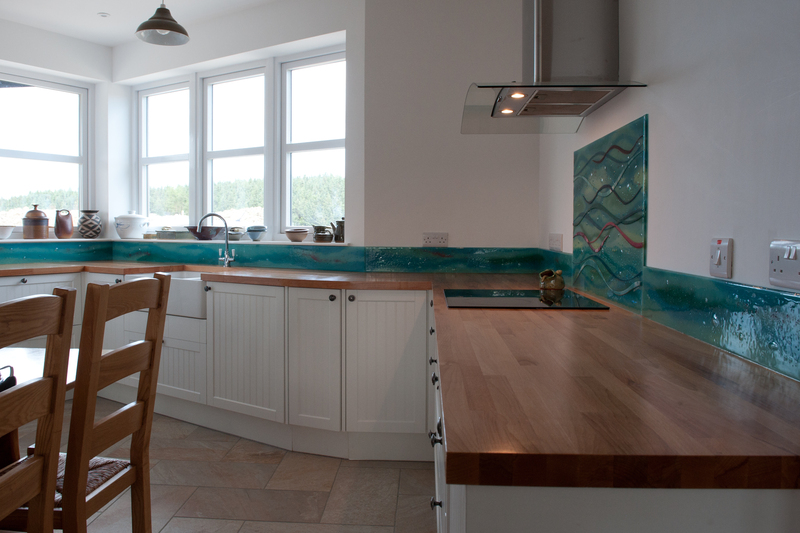 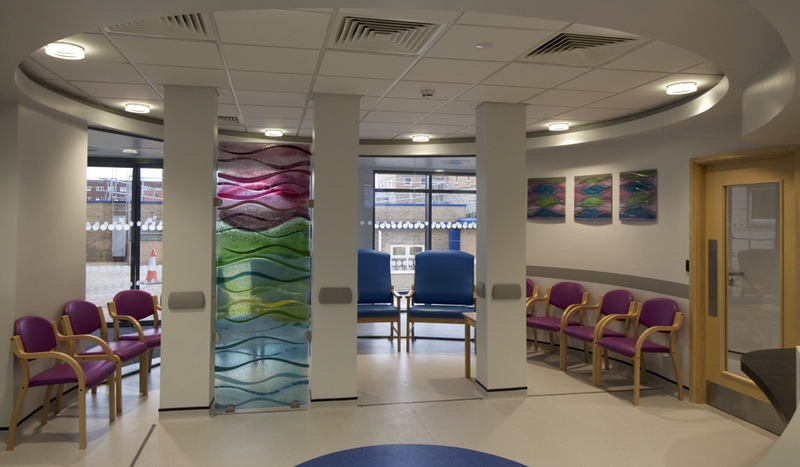 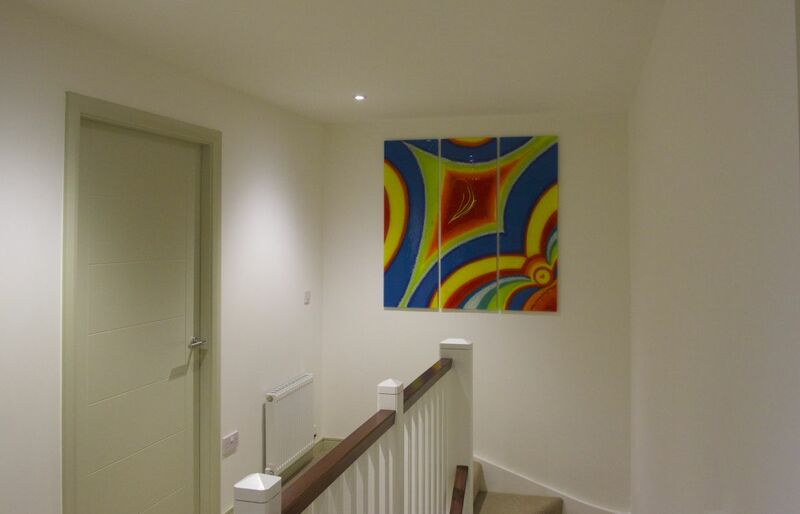 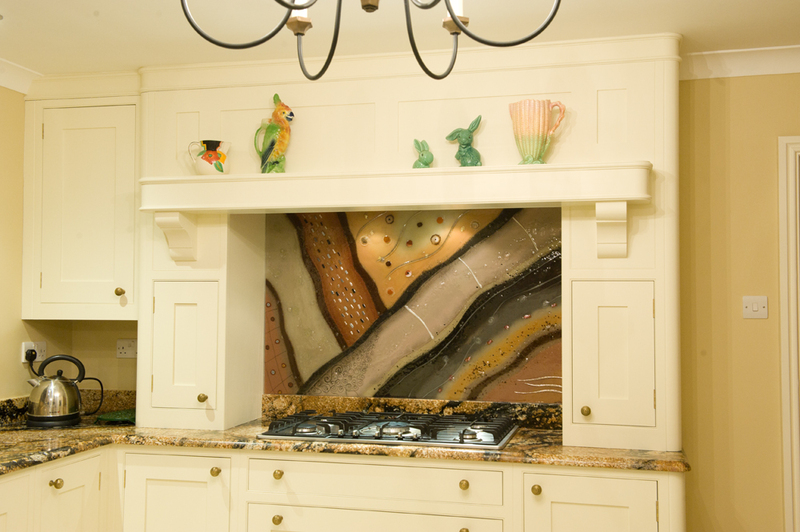 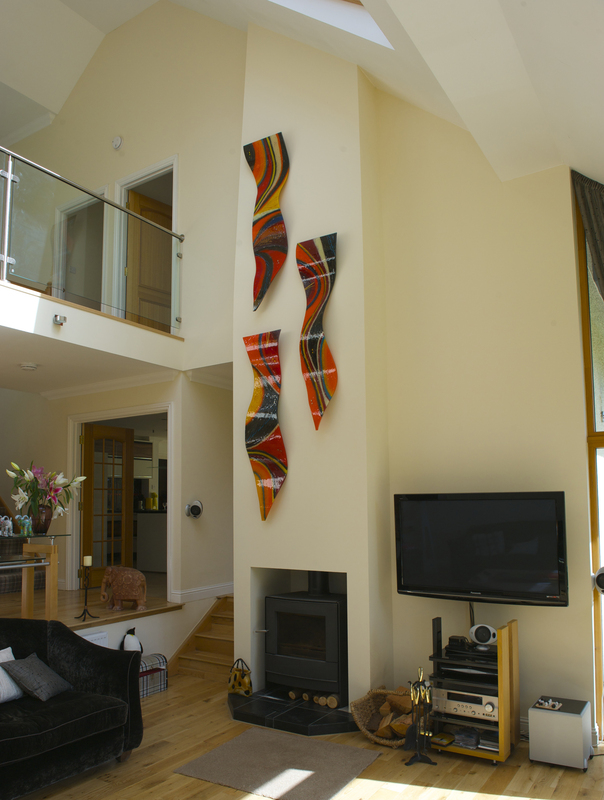 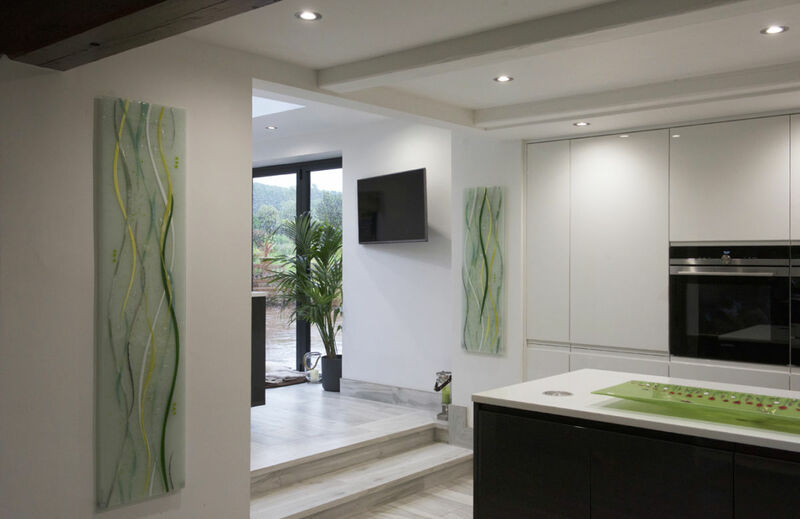 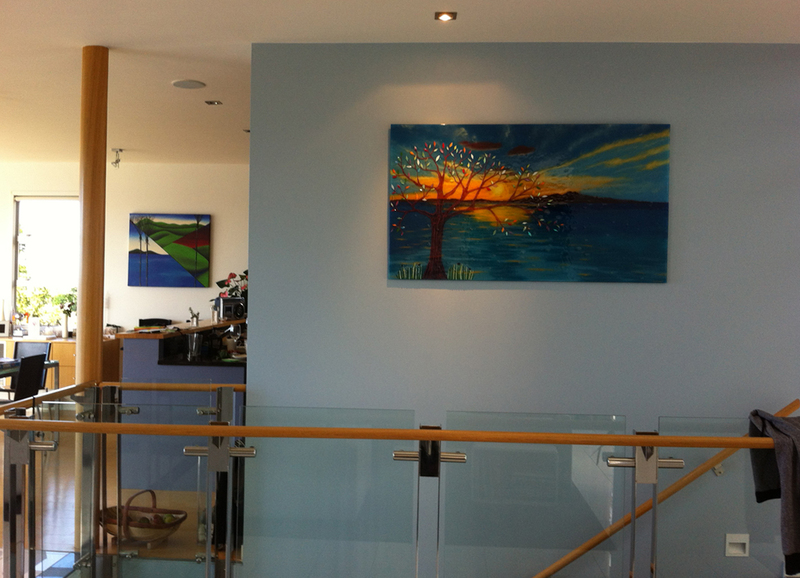 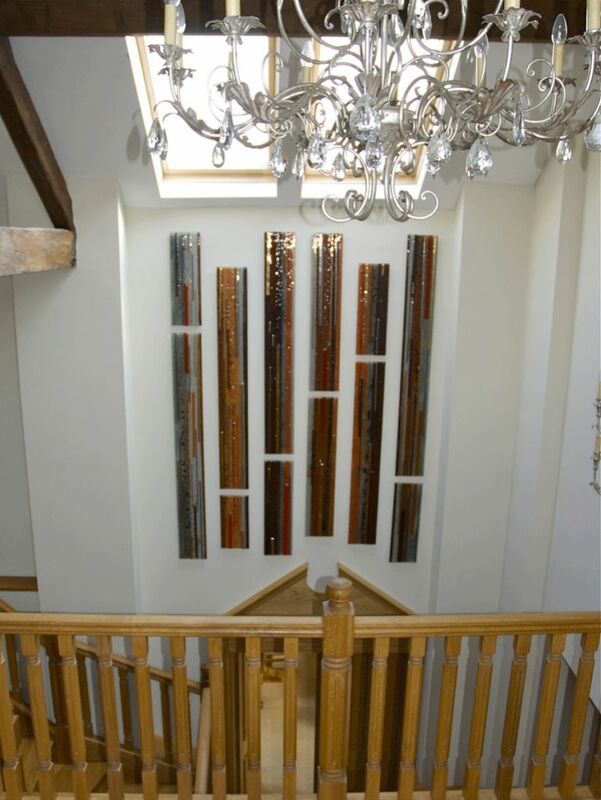 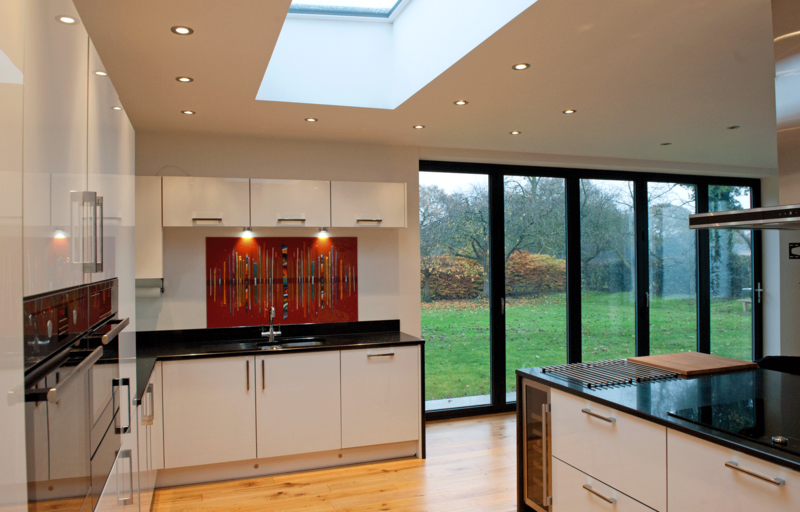 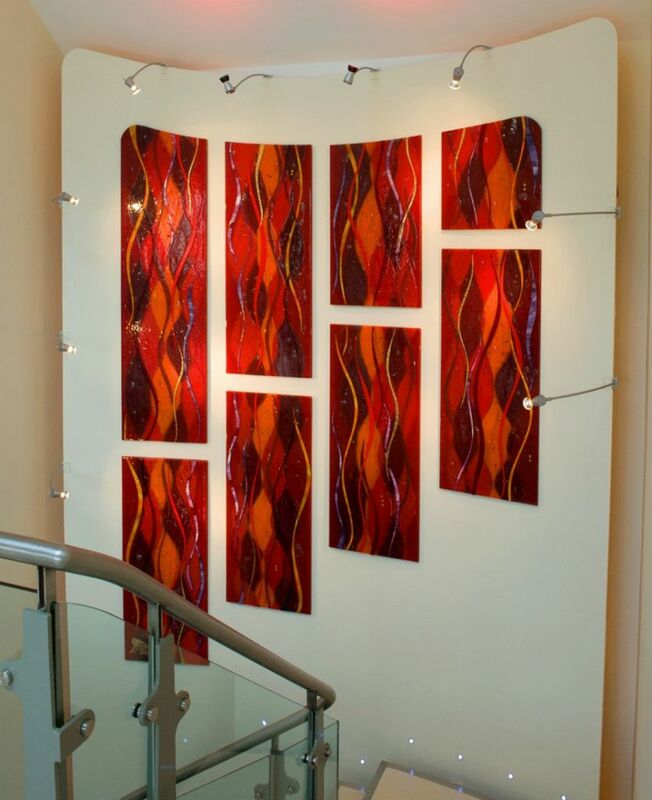 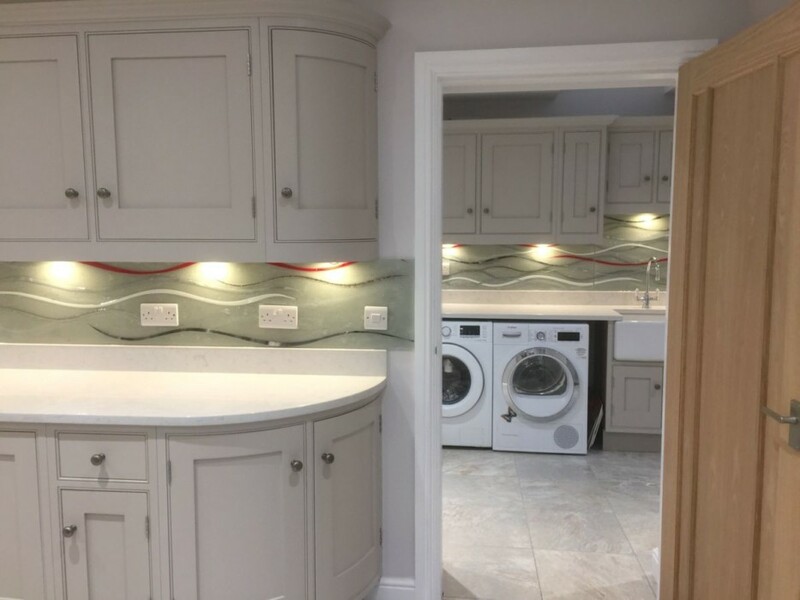 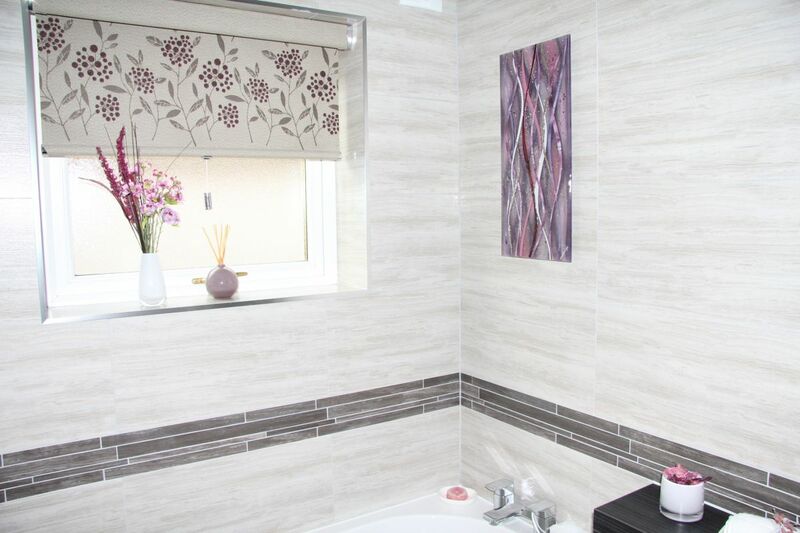 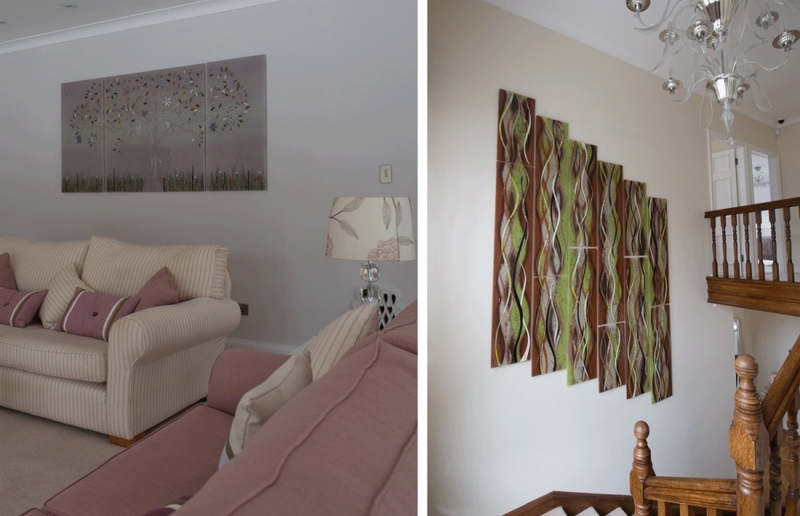 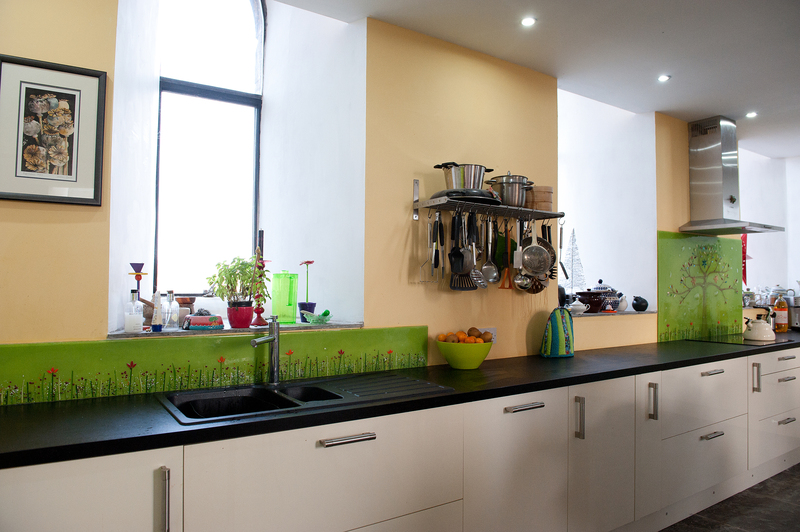 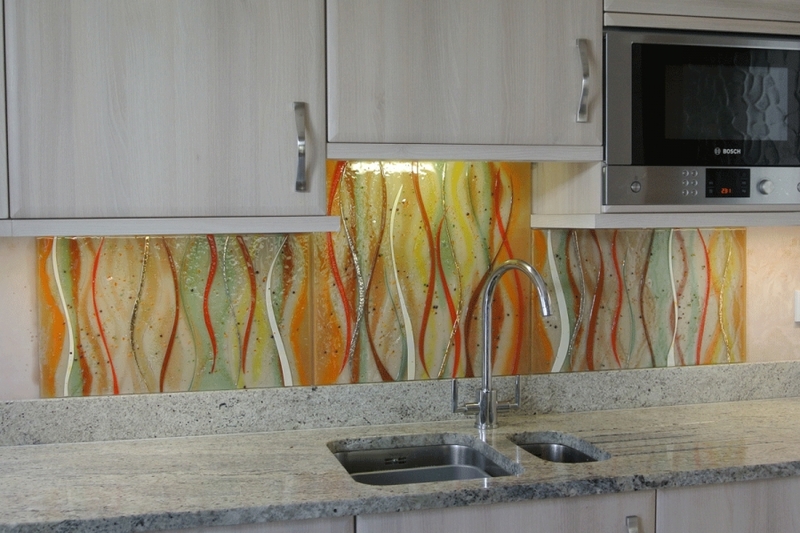 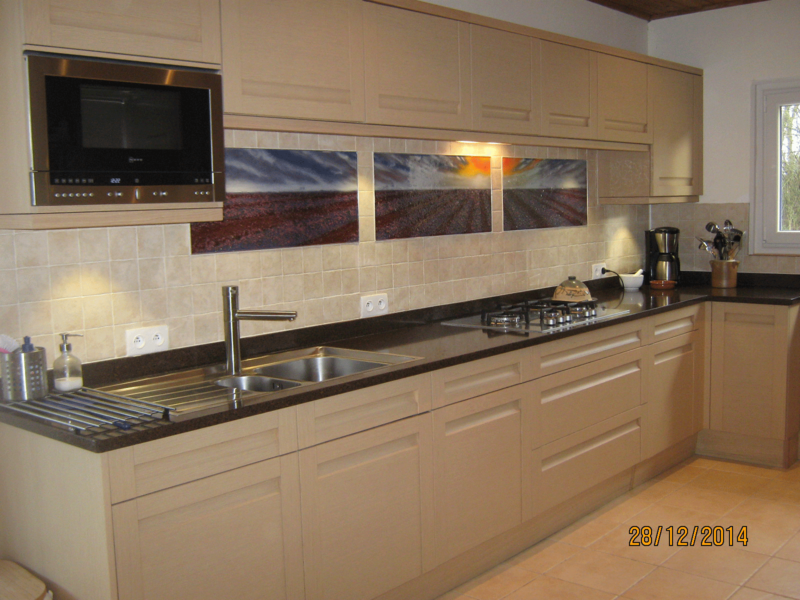 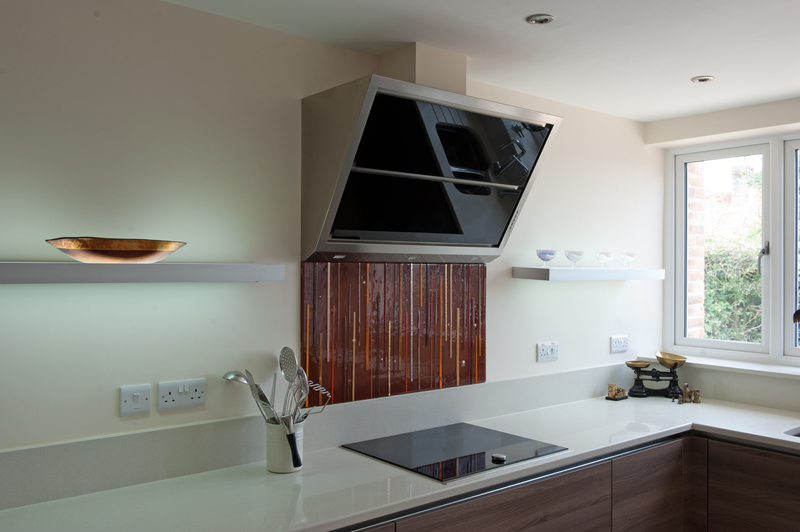 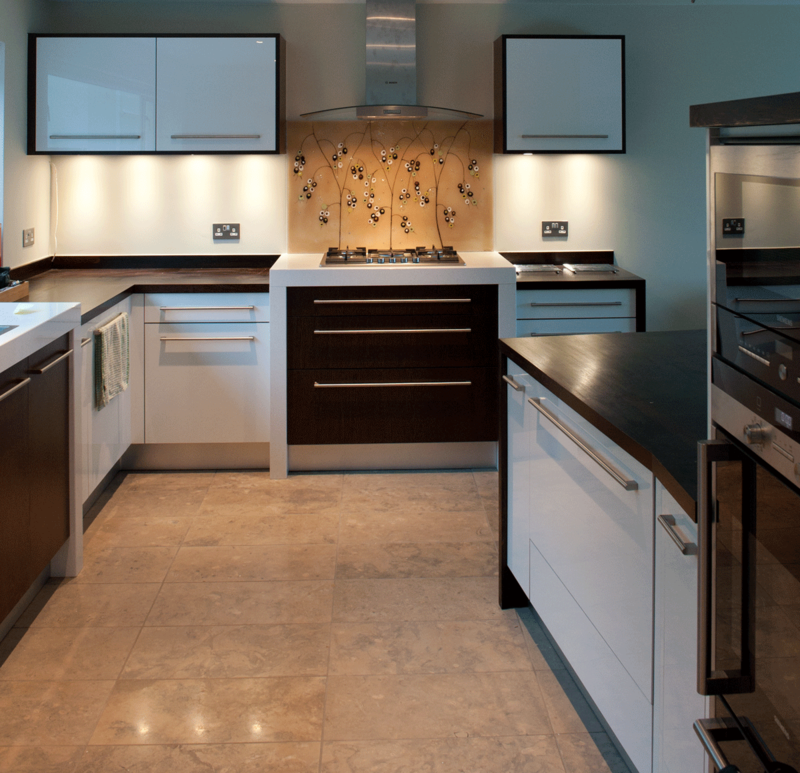 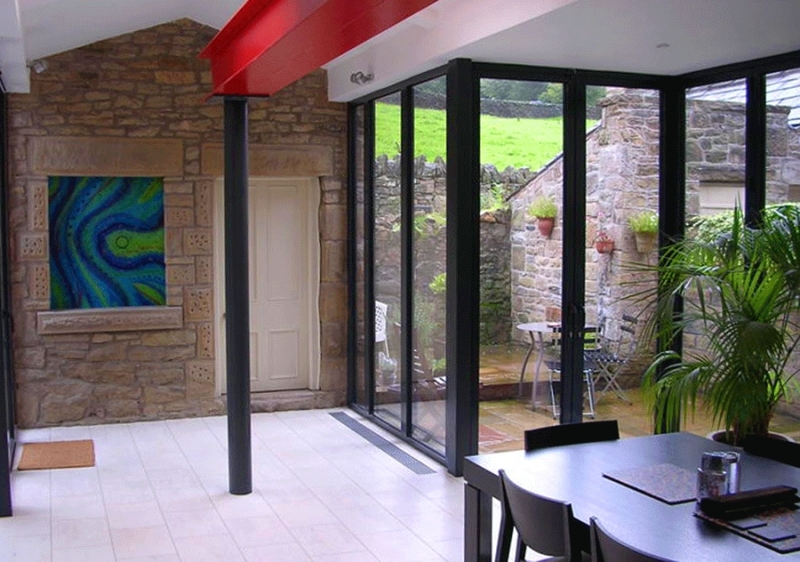 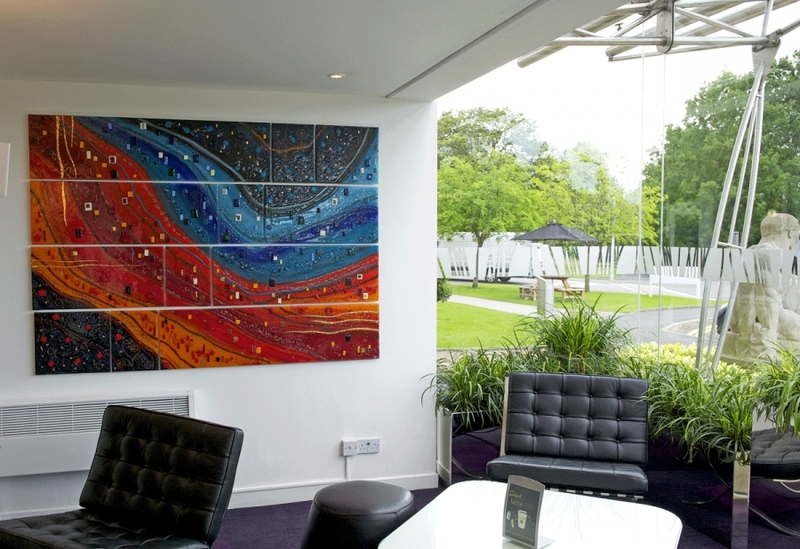 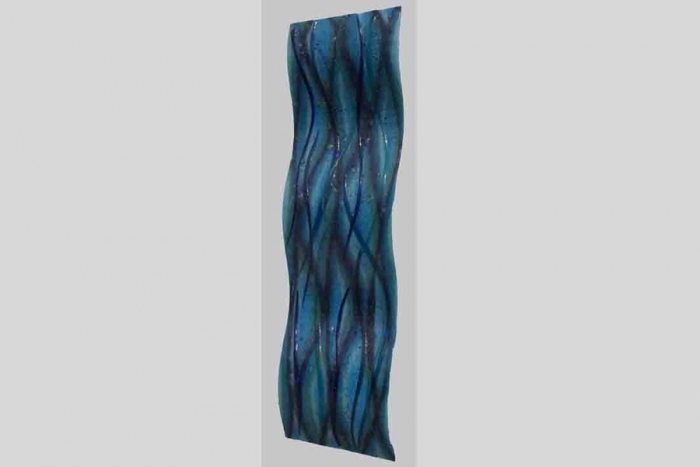 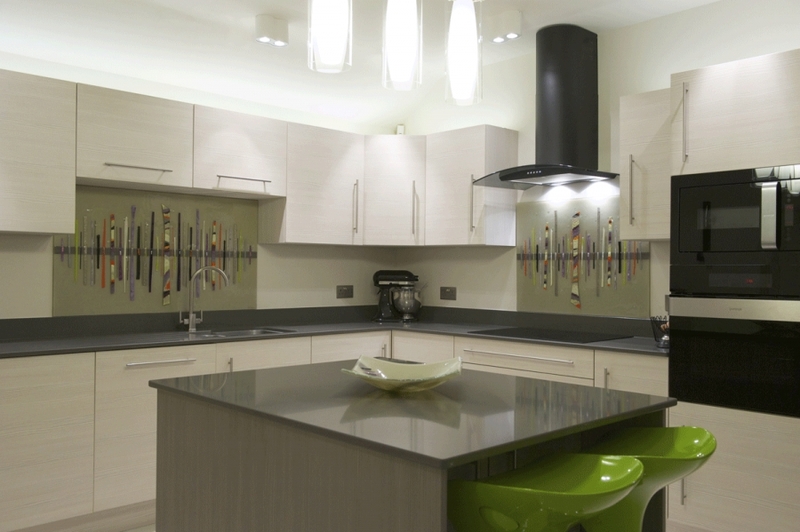 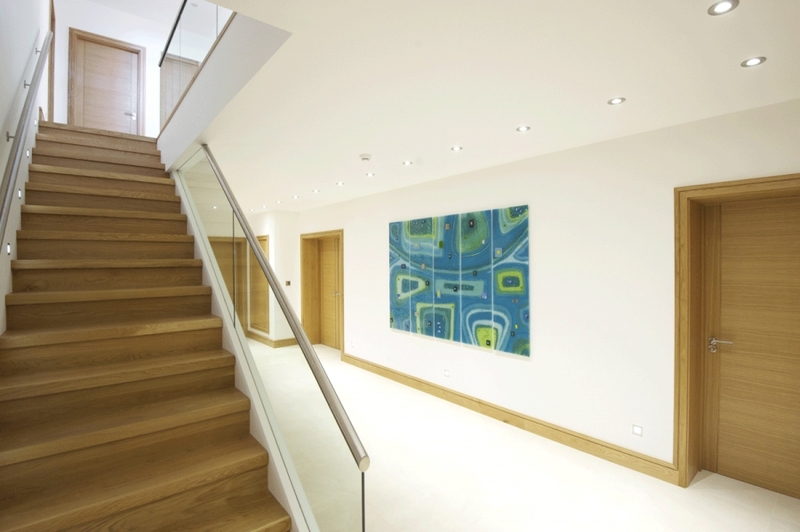 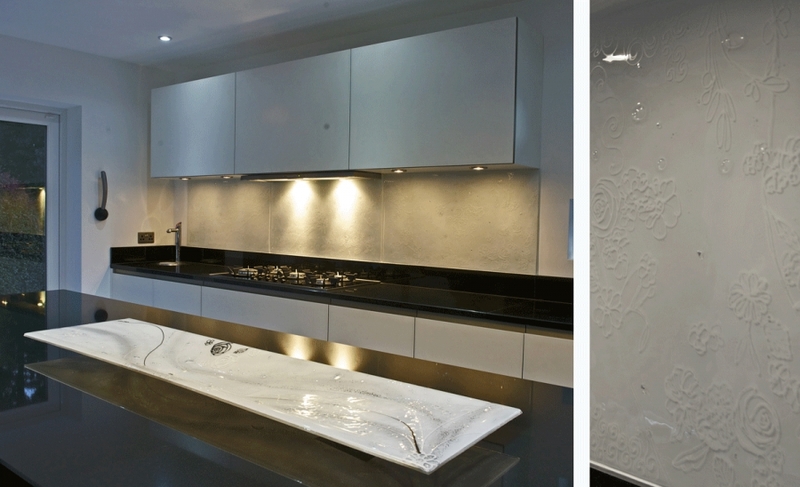 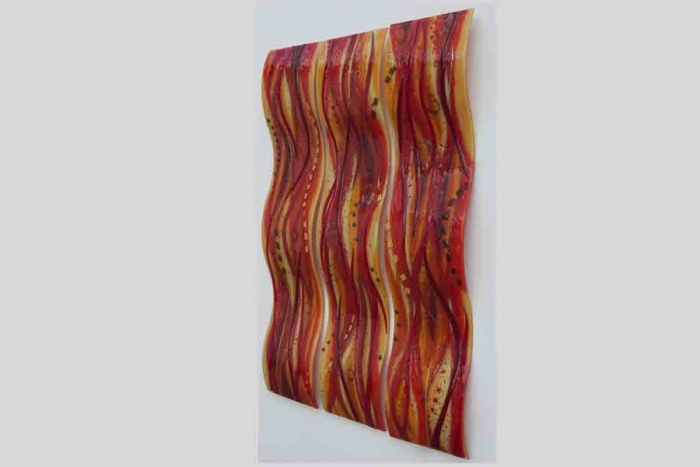 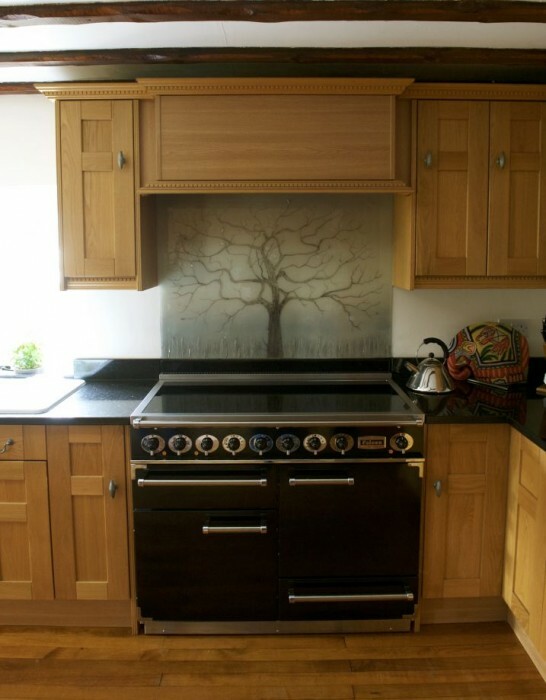 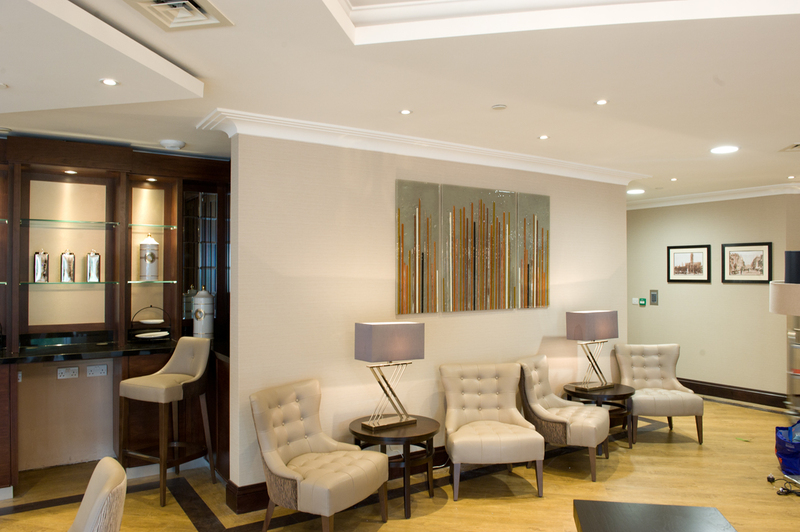 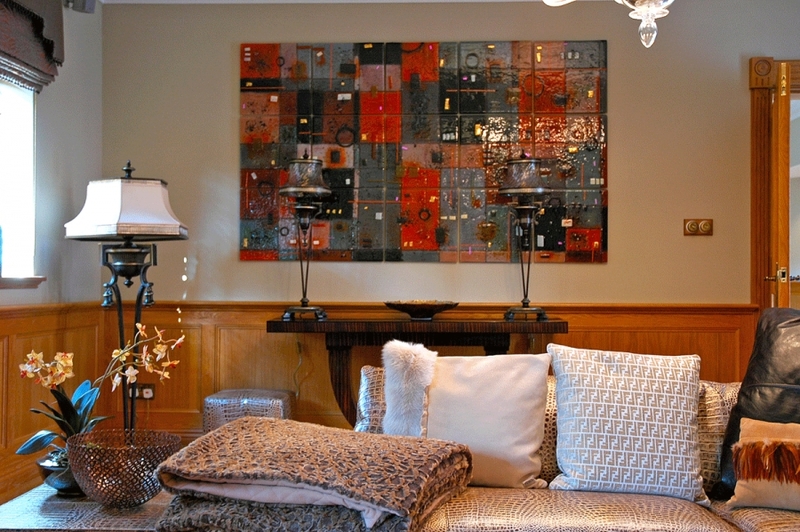 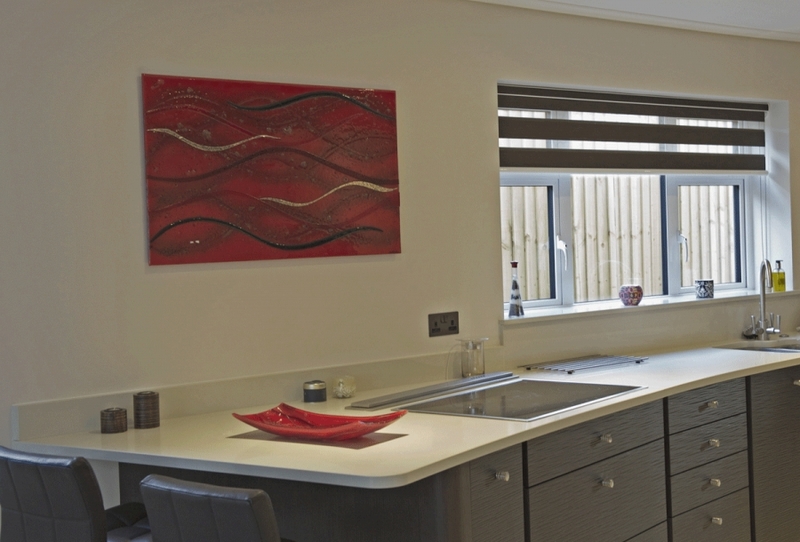 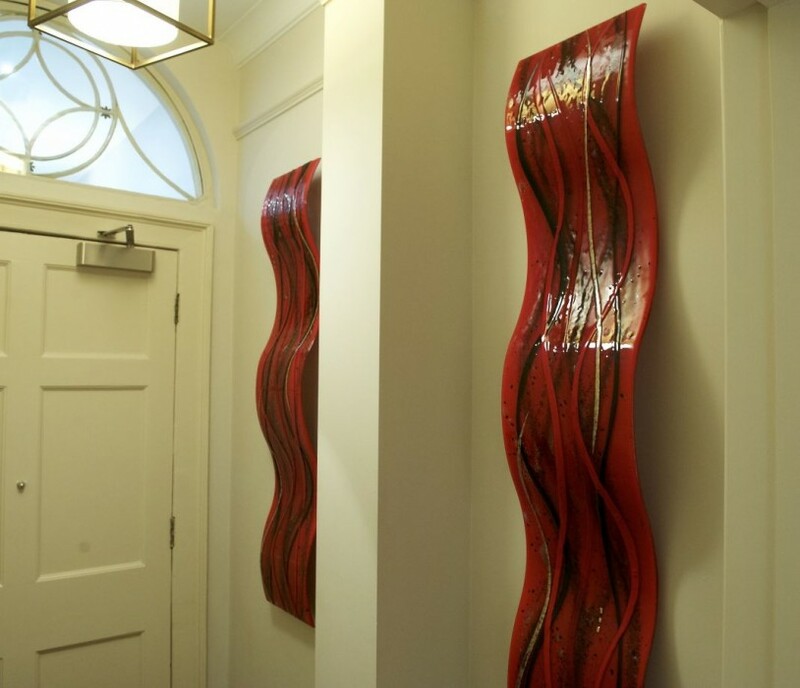 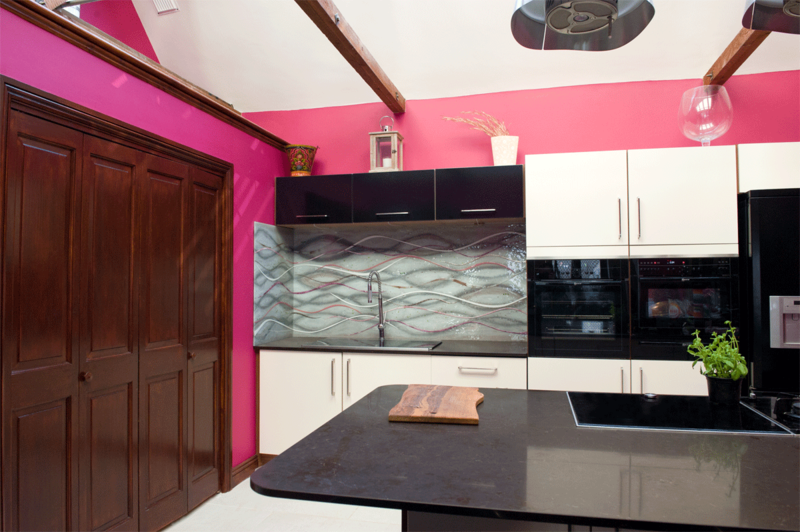 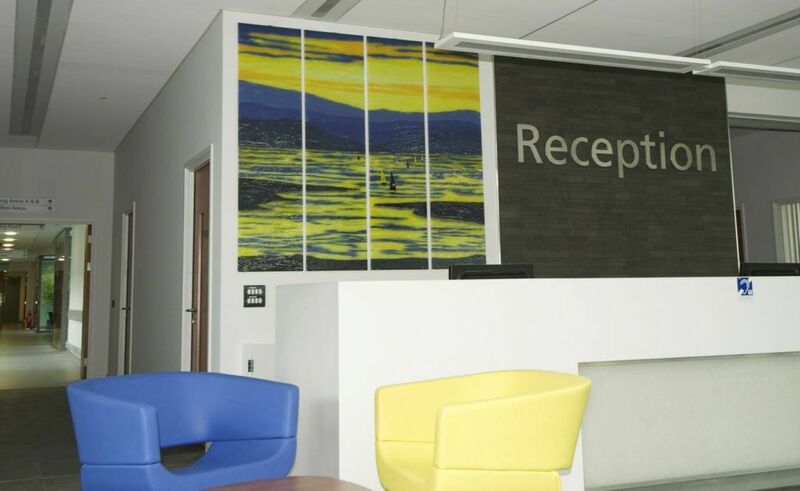 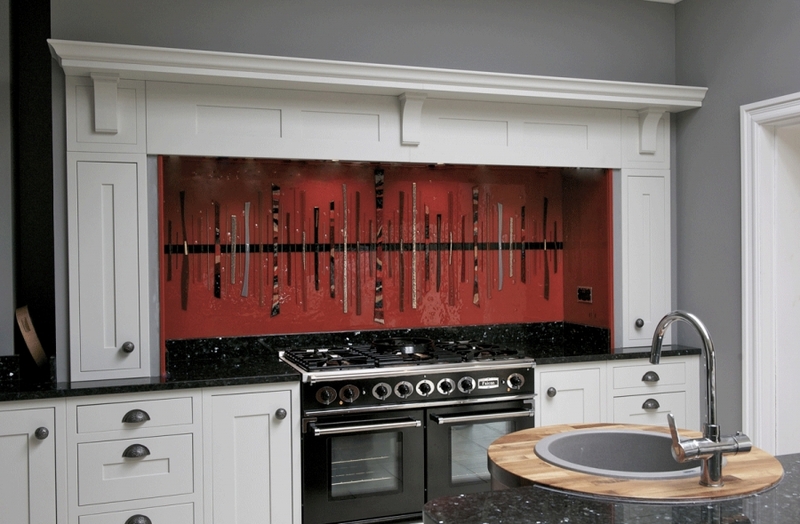 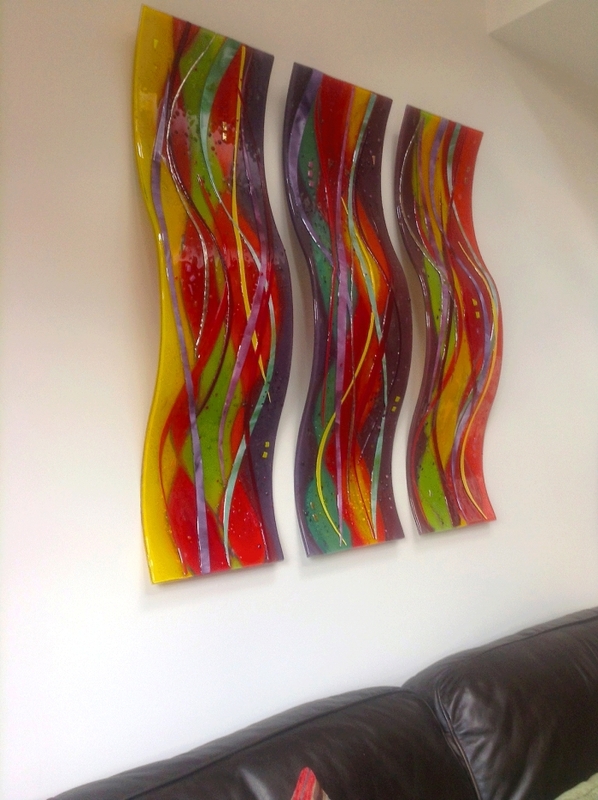 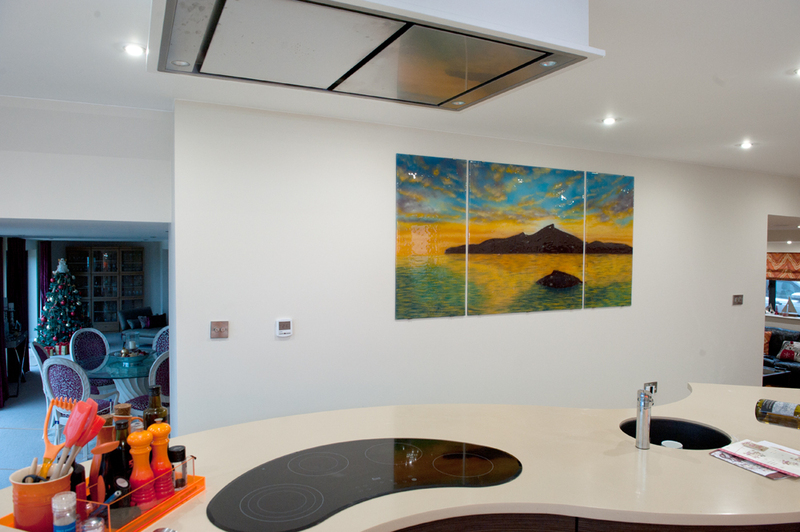 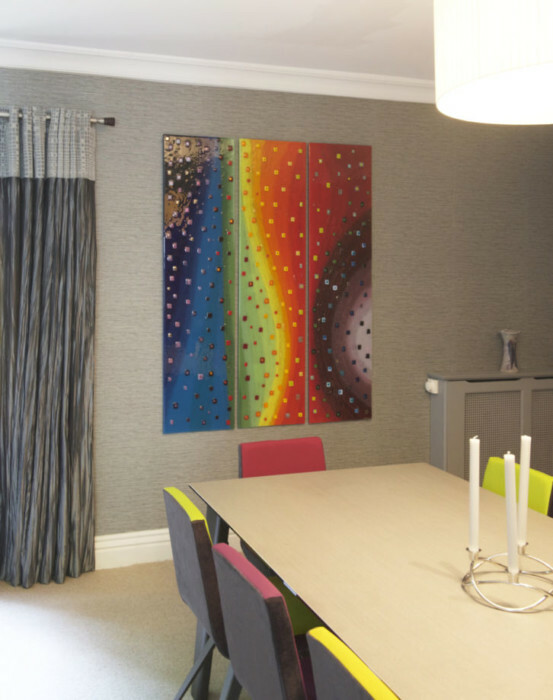 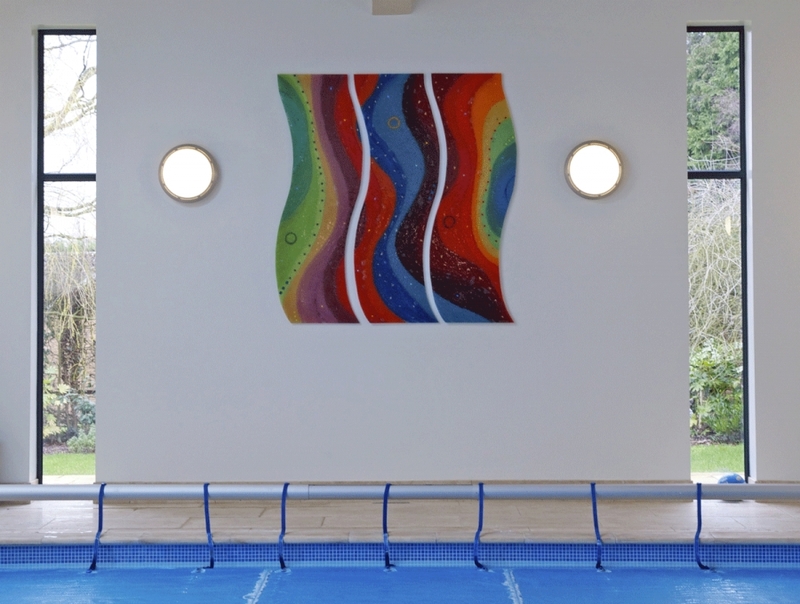 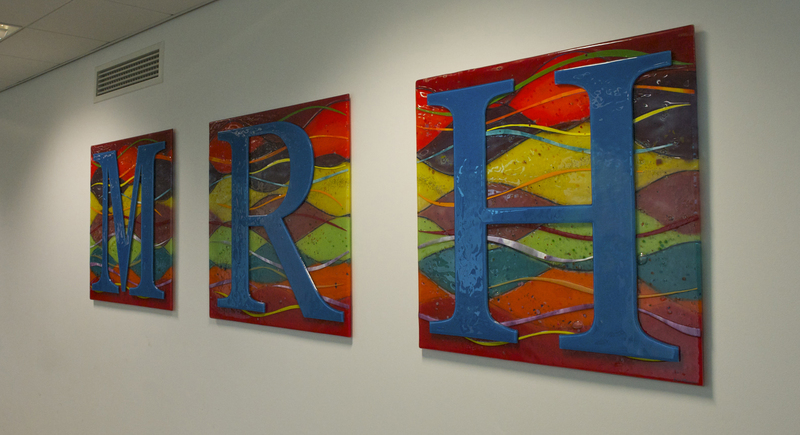 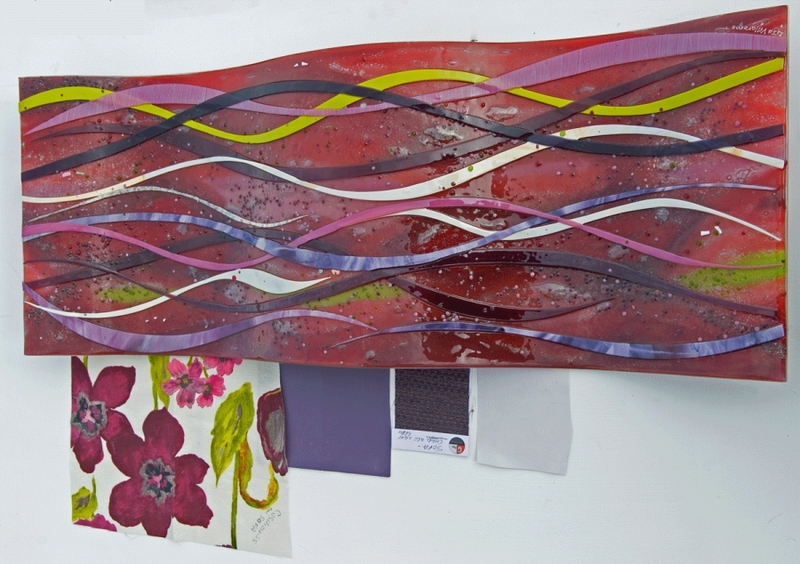 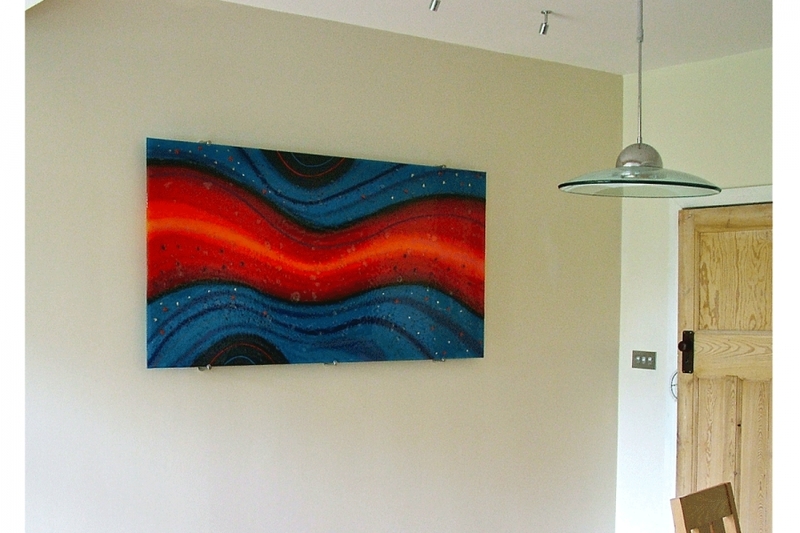 These gorgeously warm sculptured wave panels found a home in Broxburn, Edinburgh. 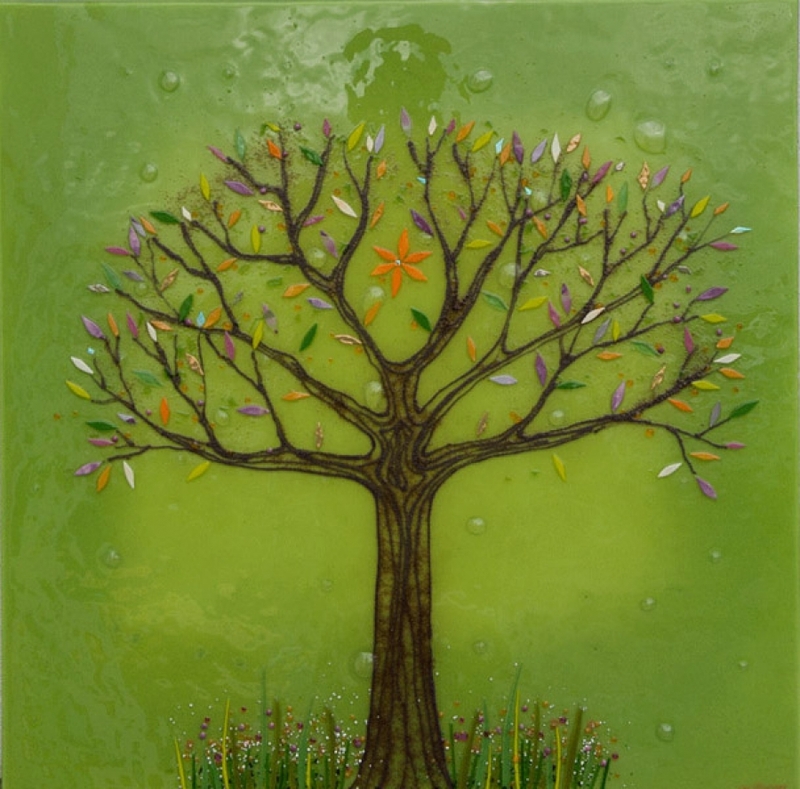 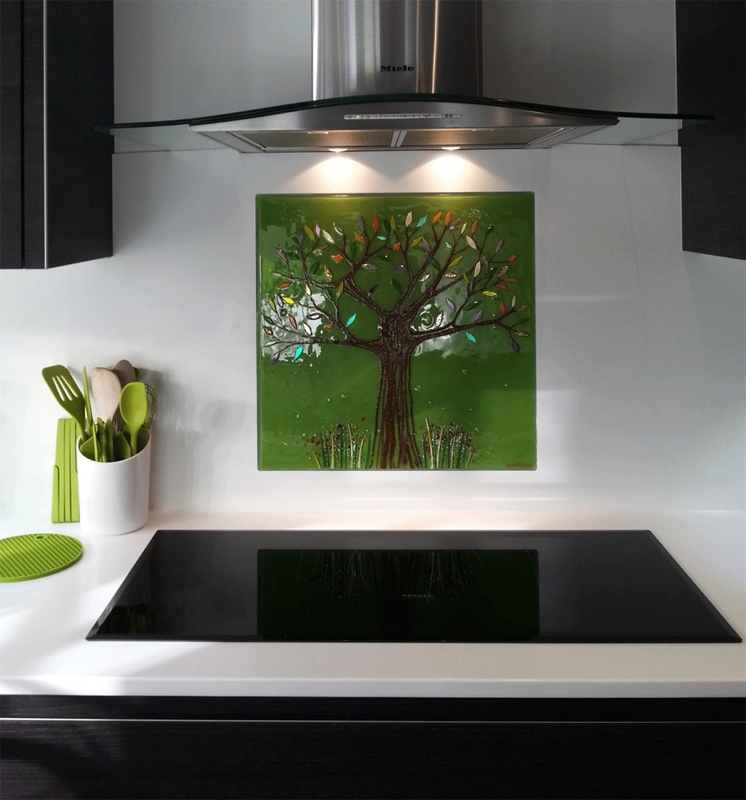 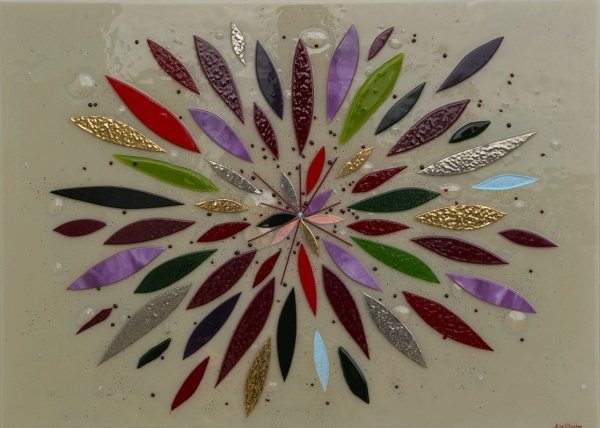 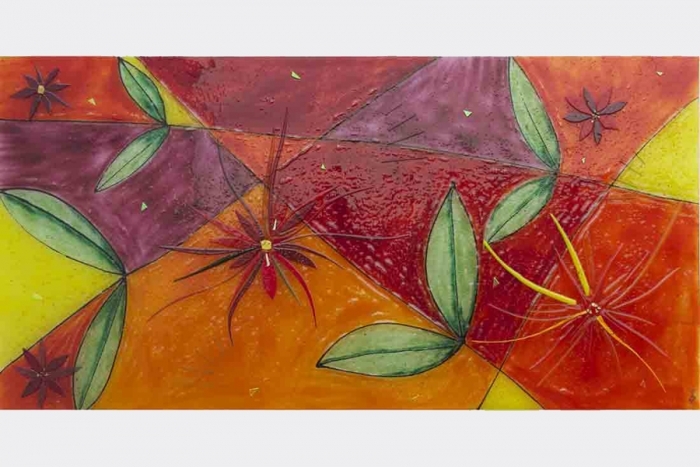 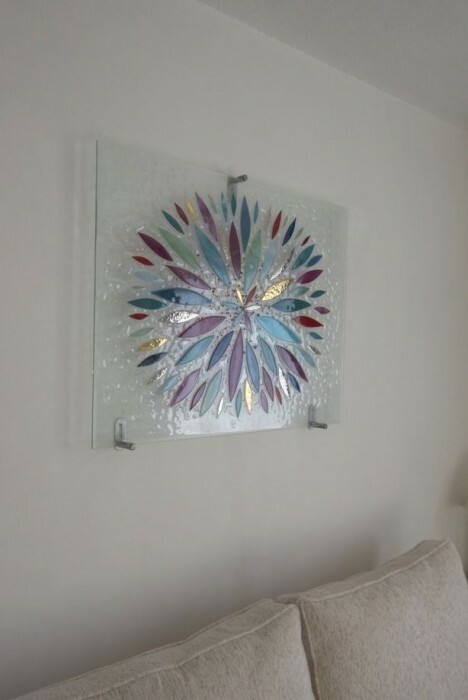 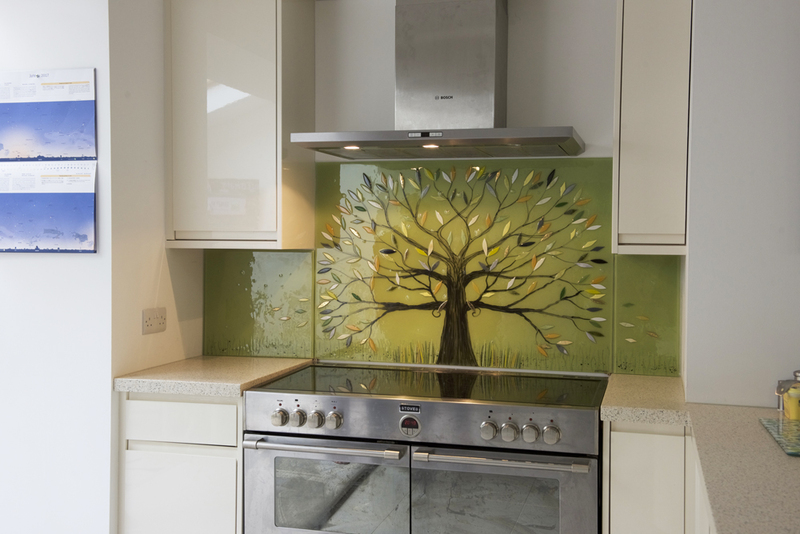 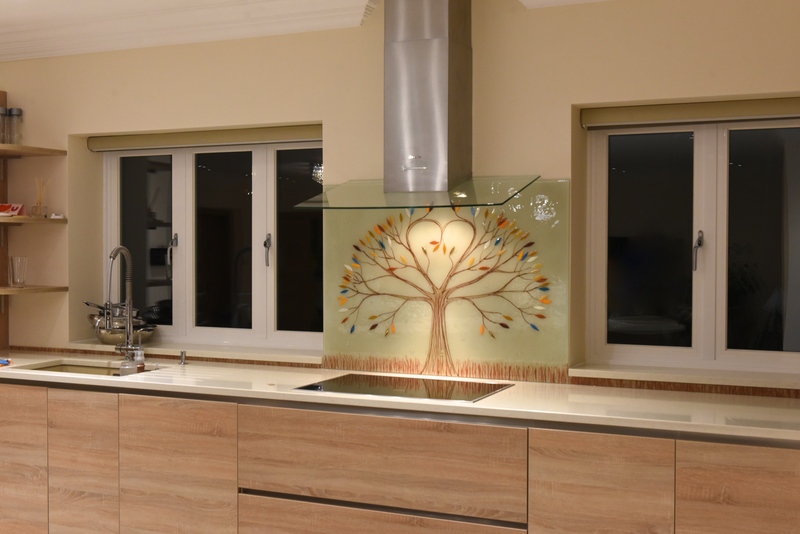 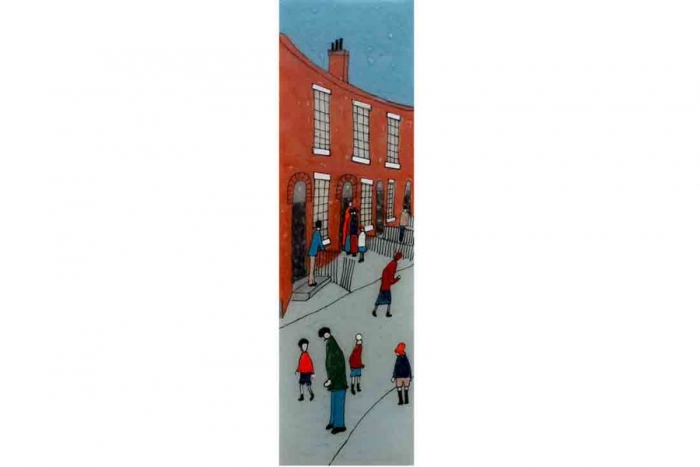 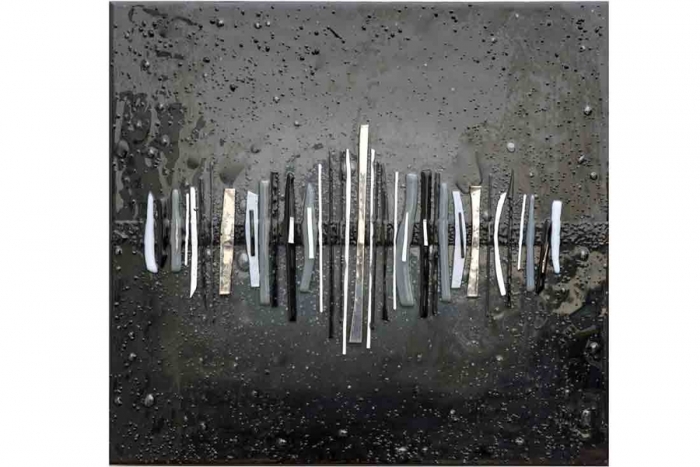 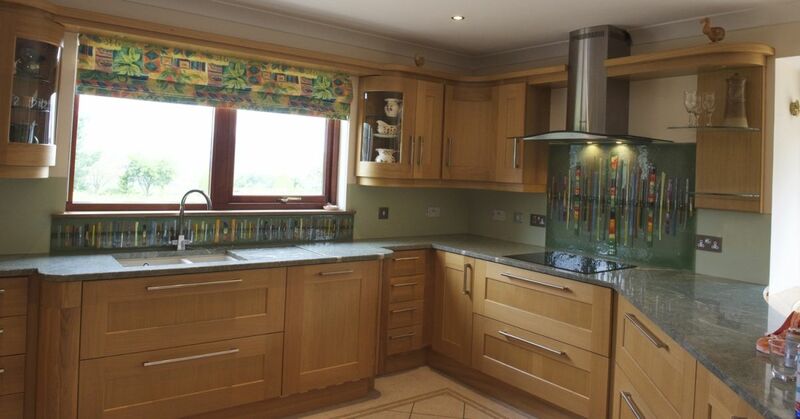 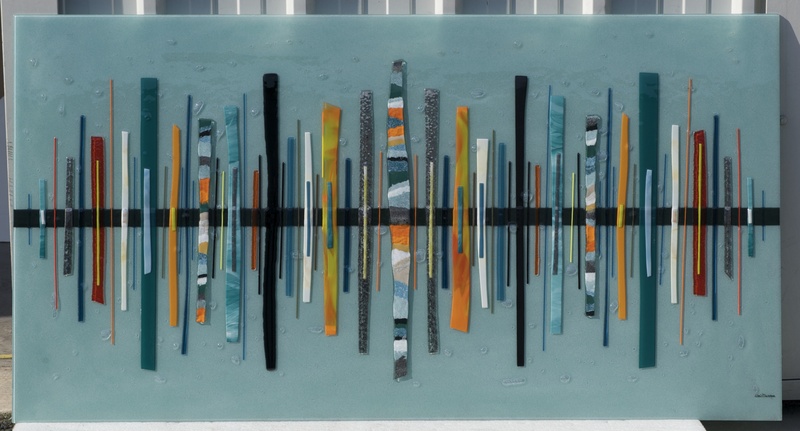 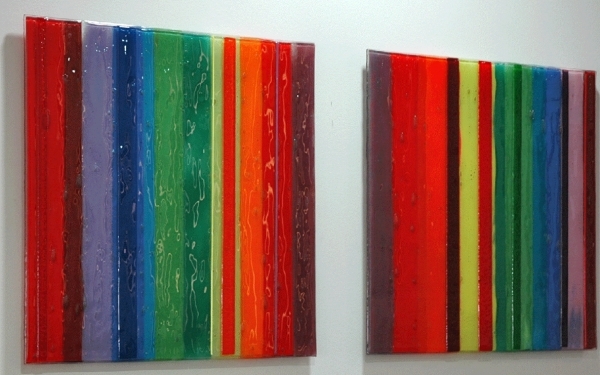 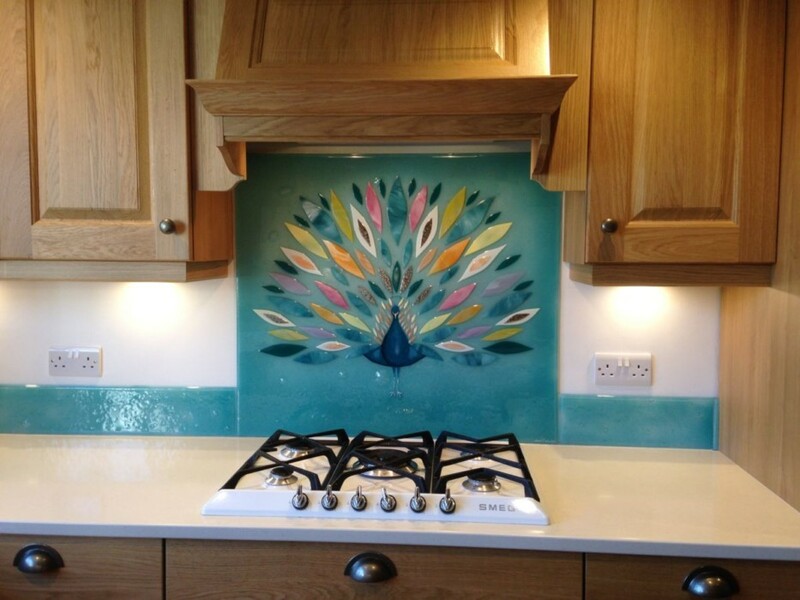 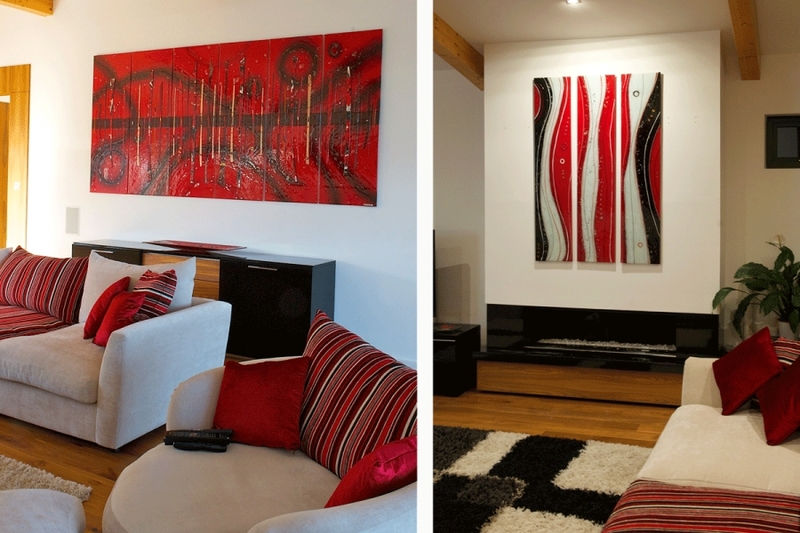 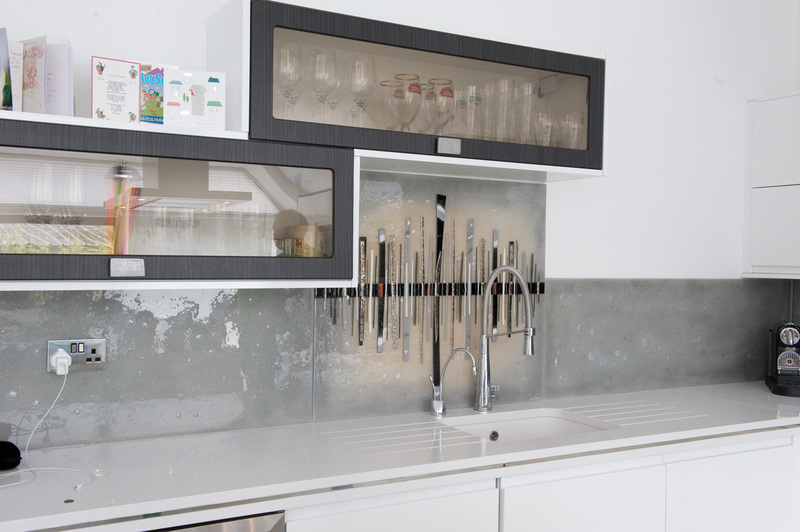 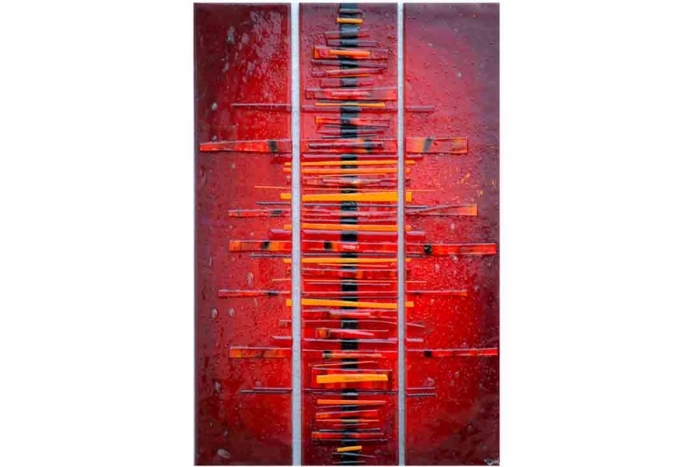 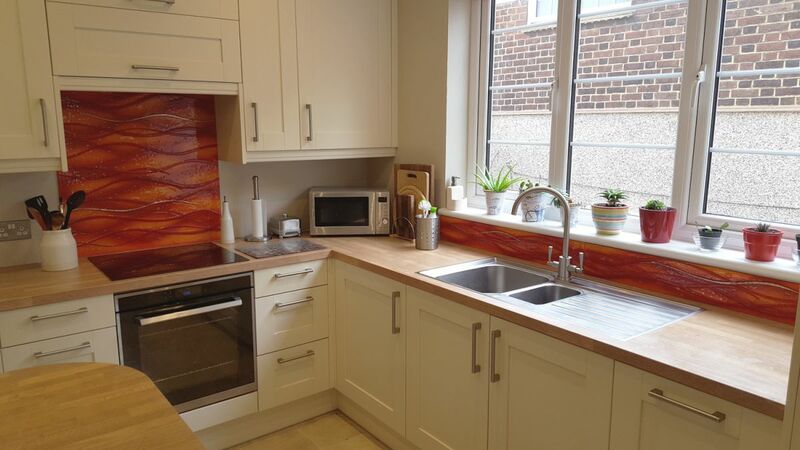 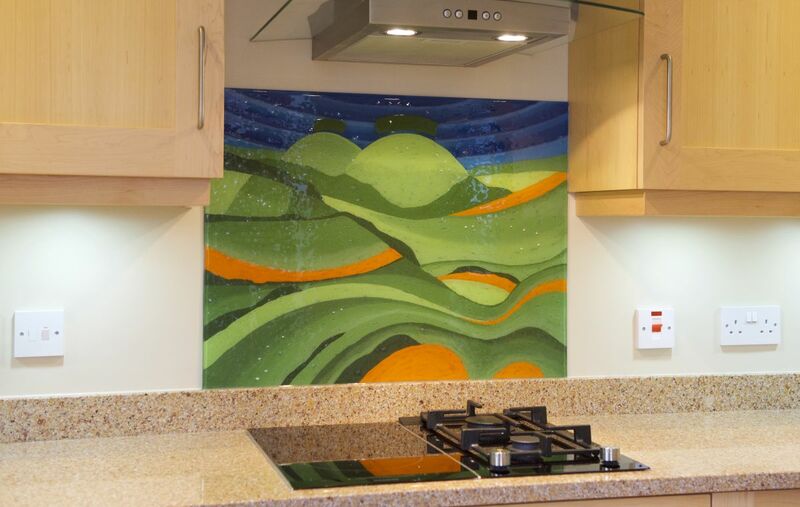 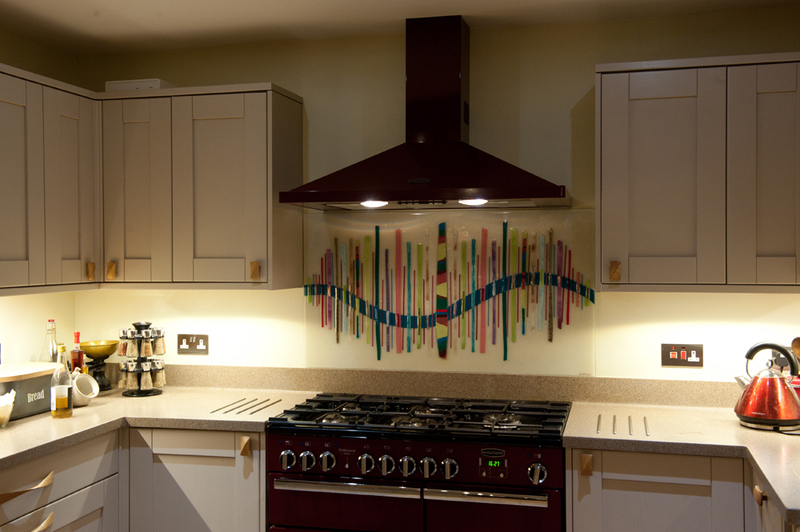 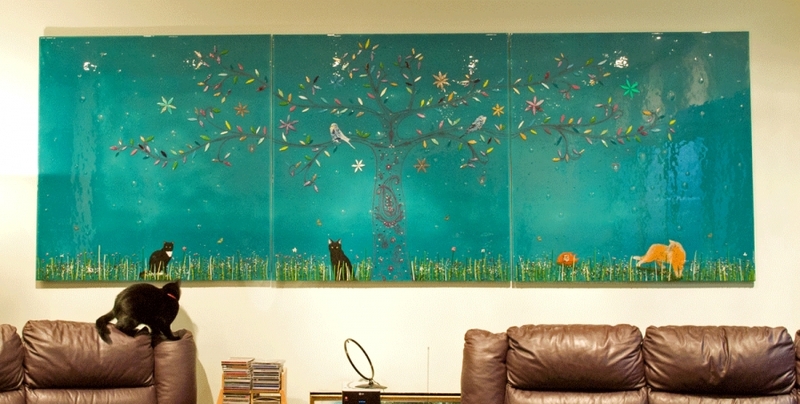 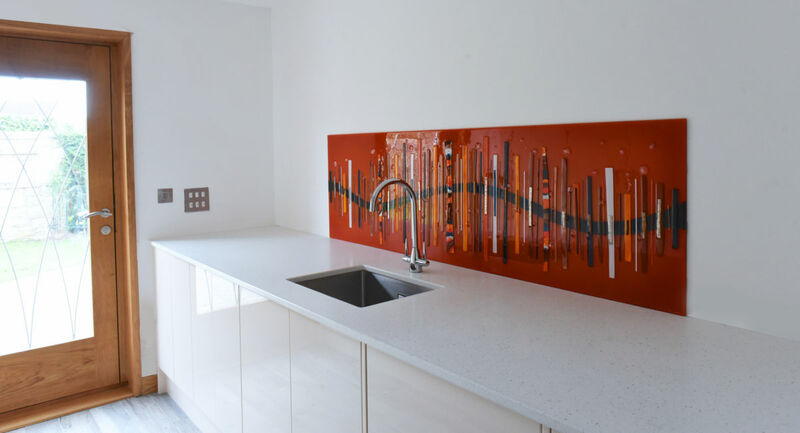 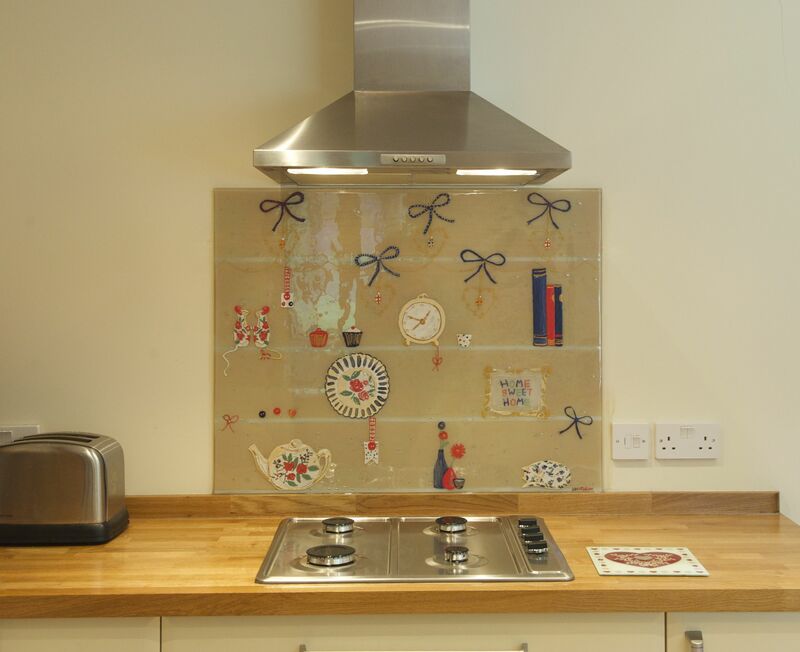 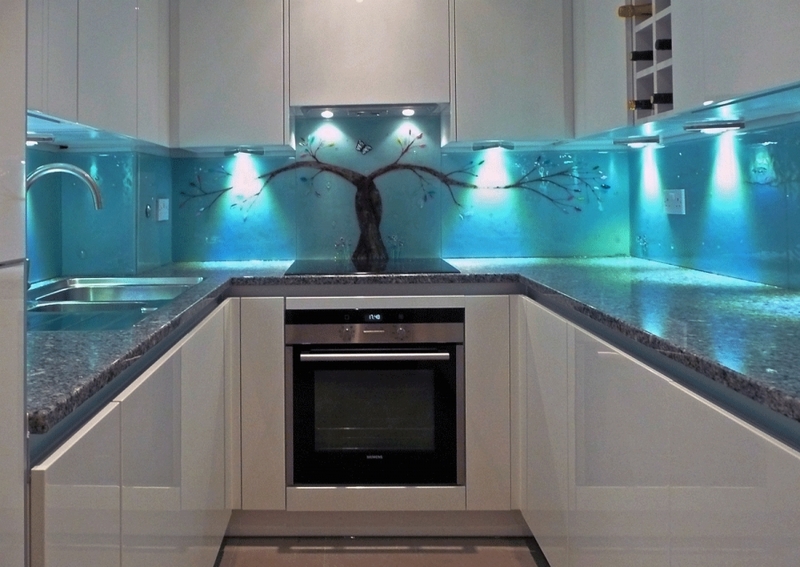 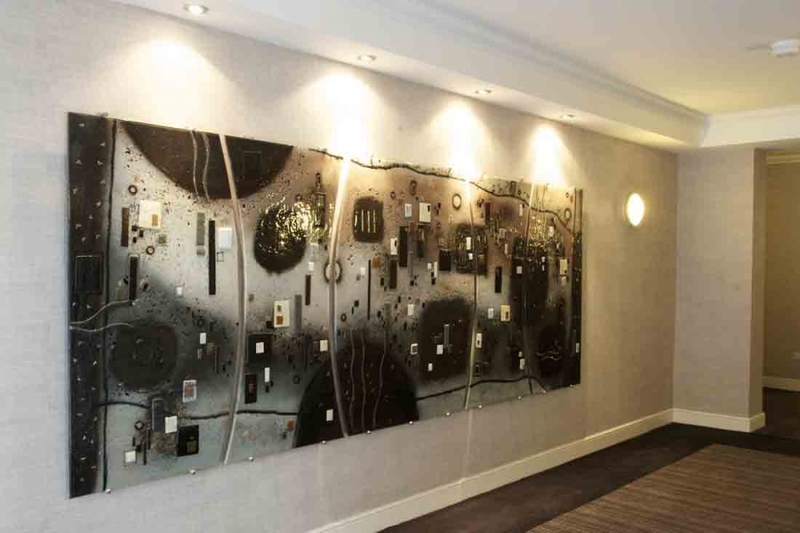 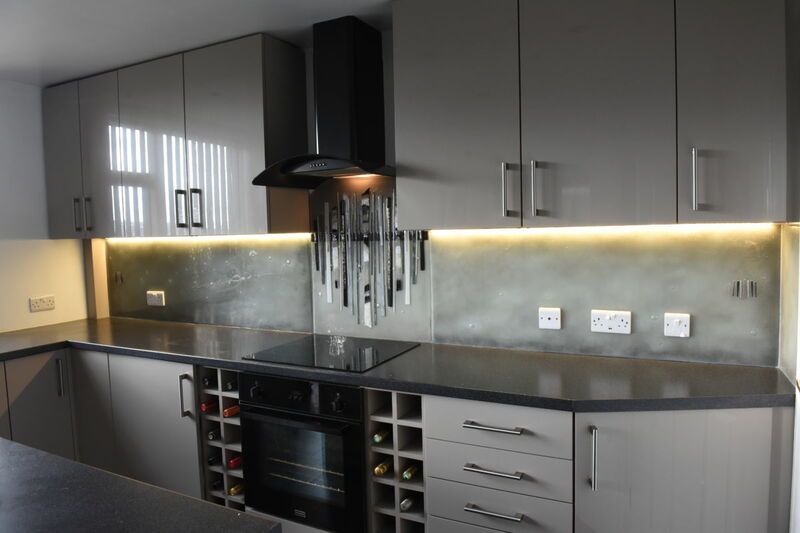 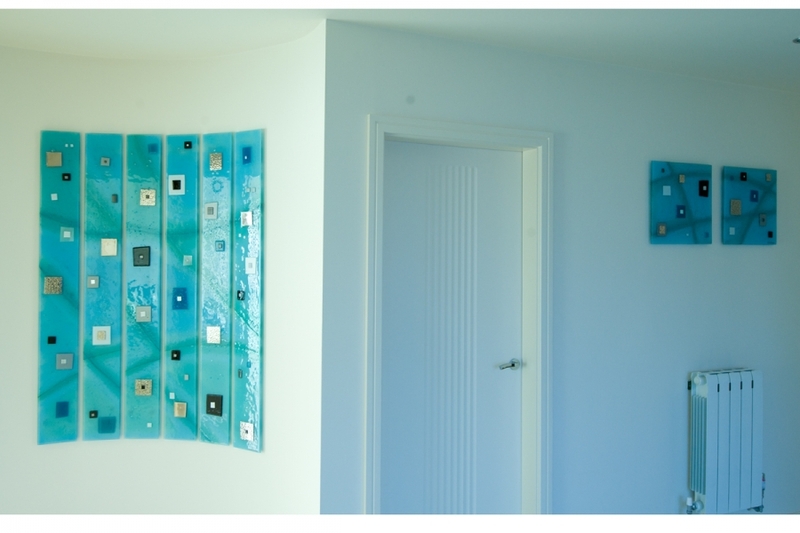 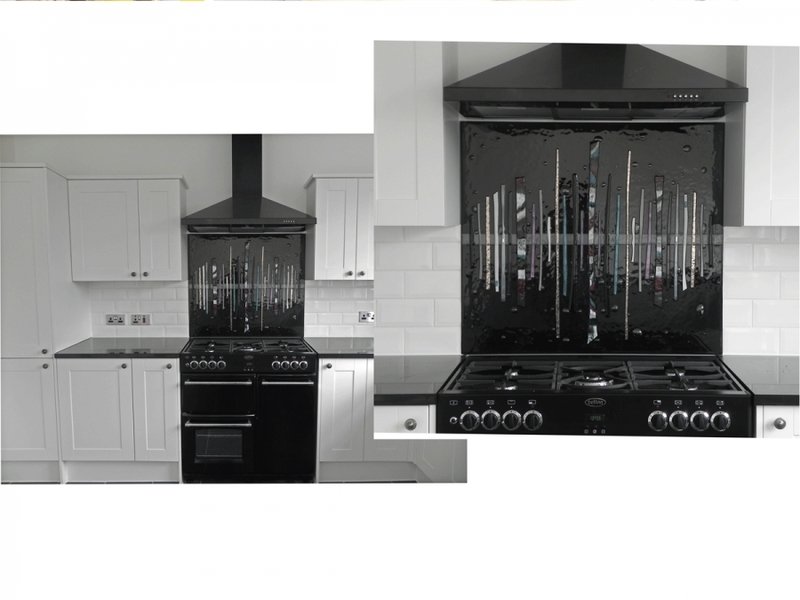 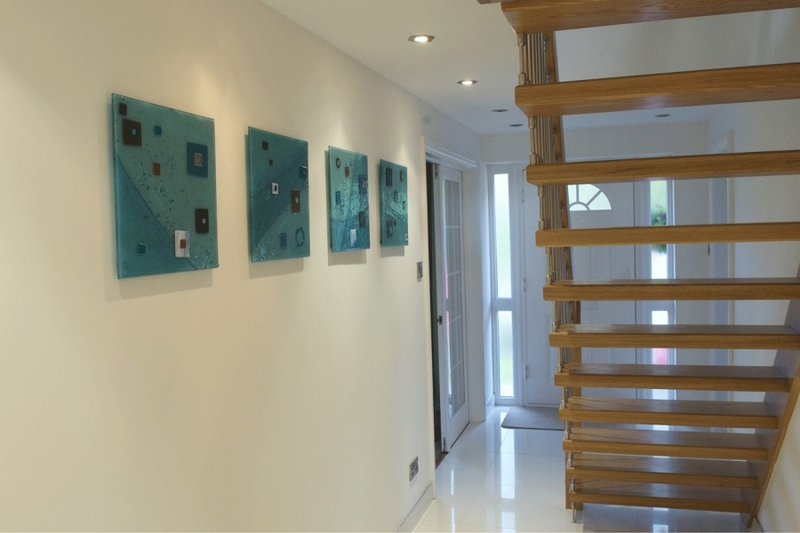 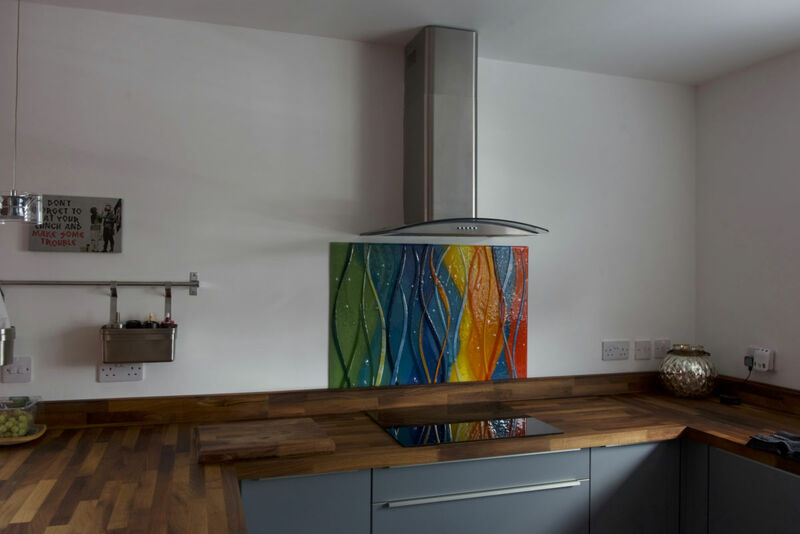 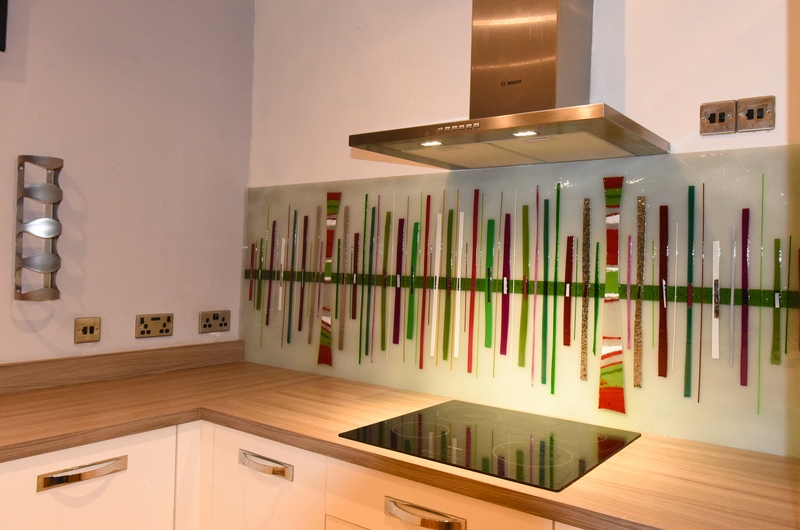 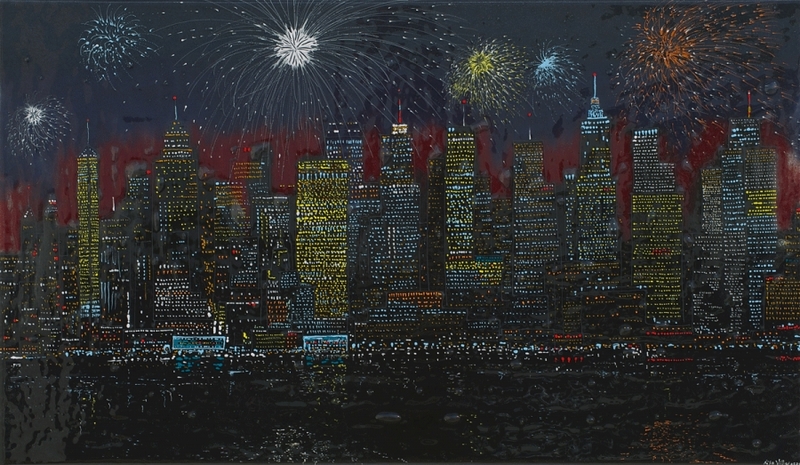 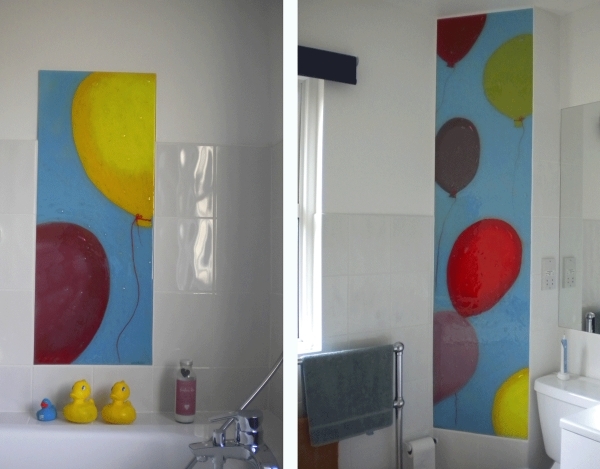 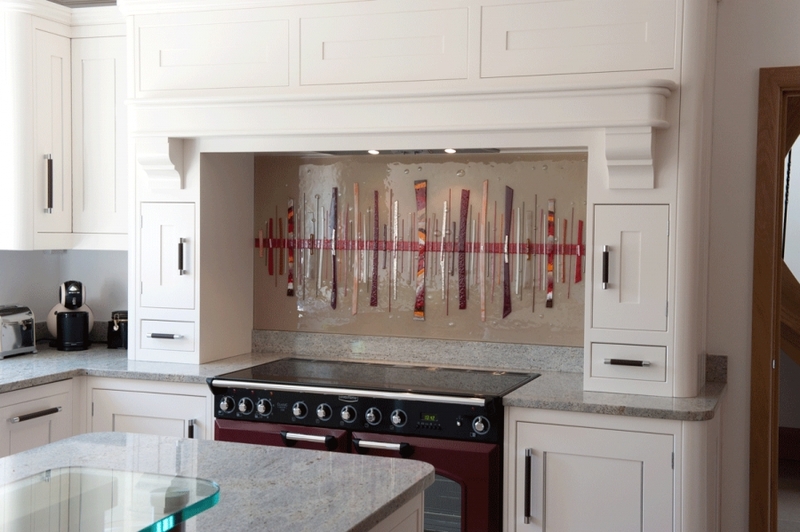 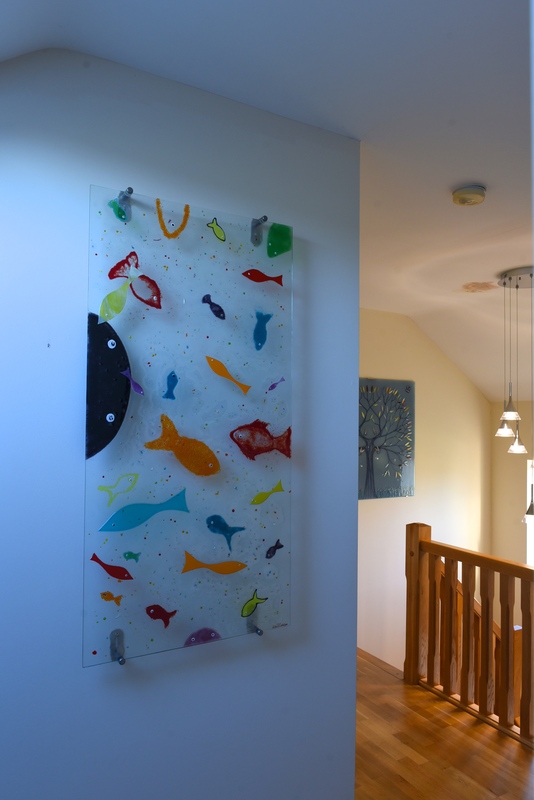 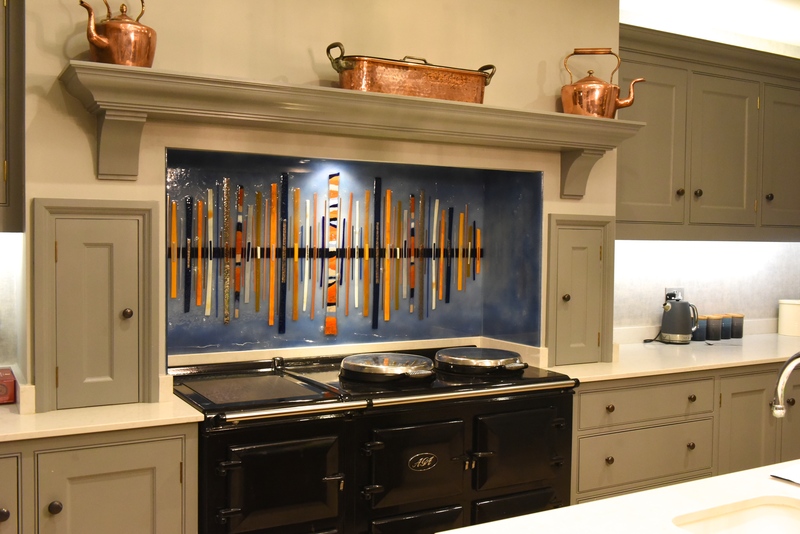 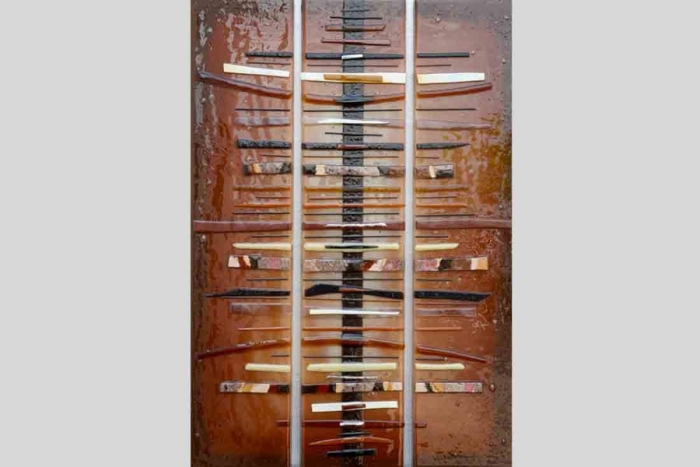 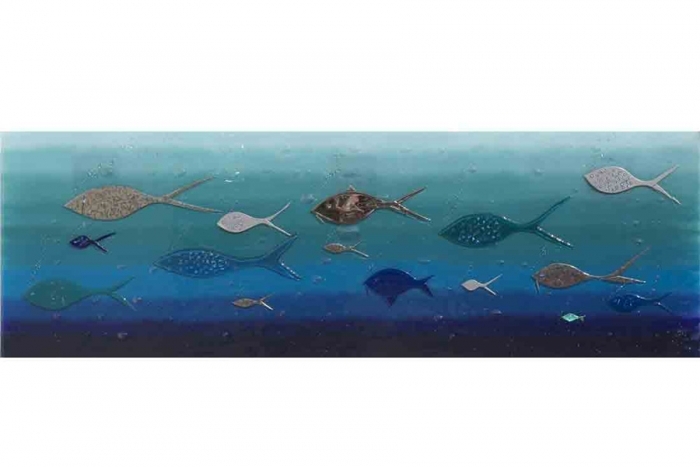 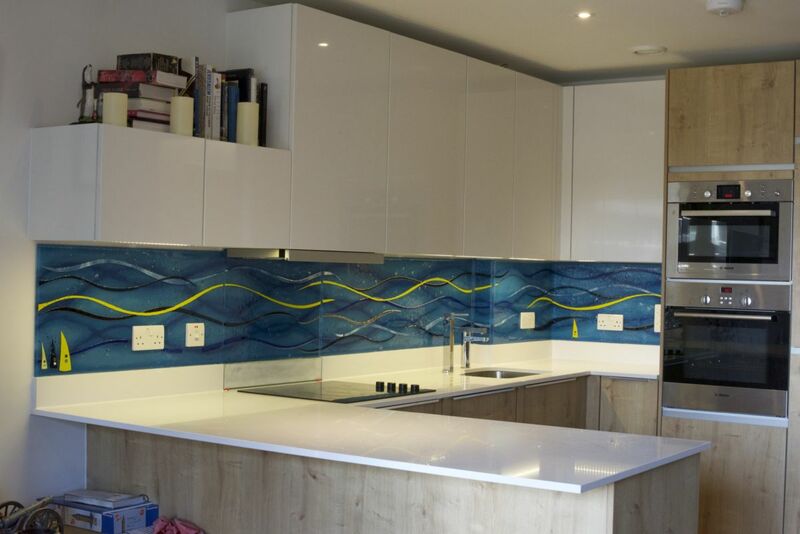 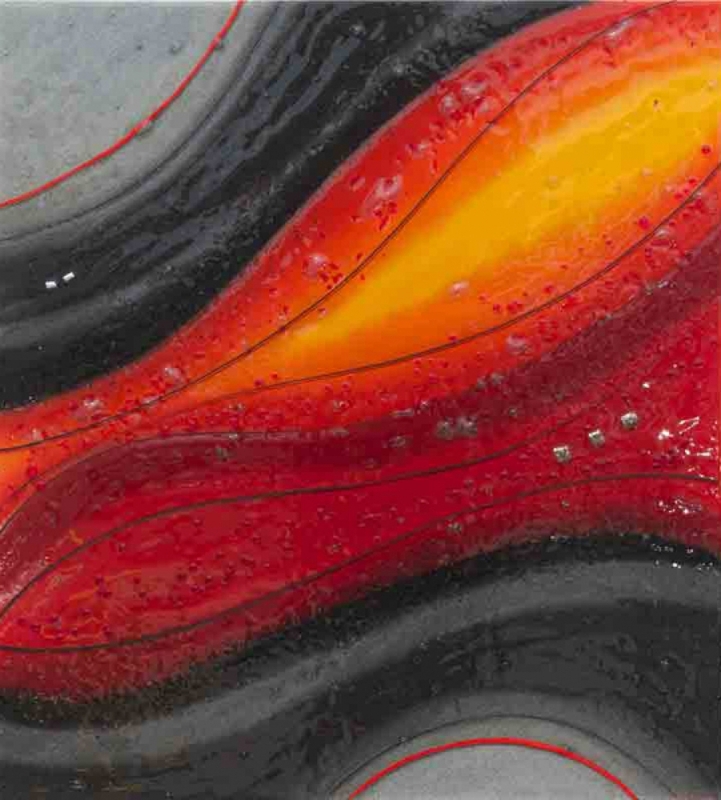 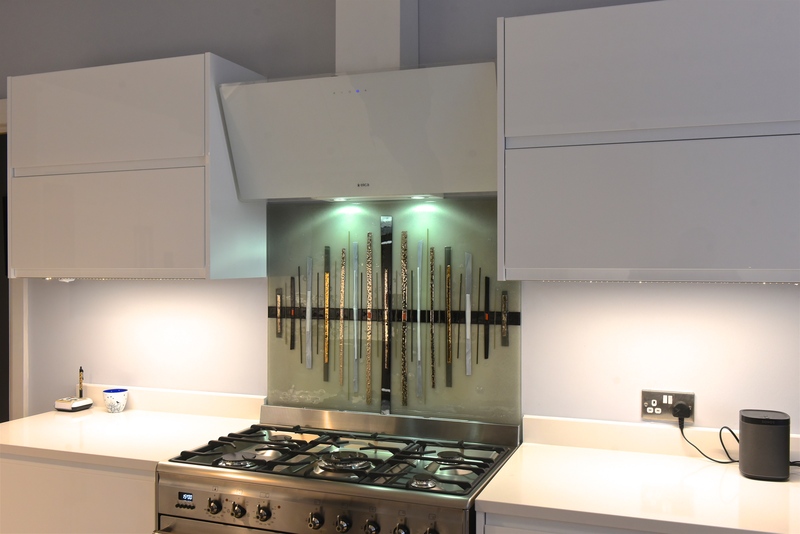 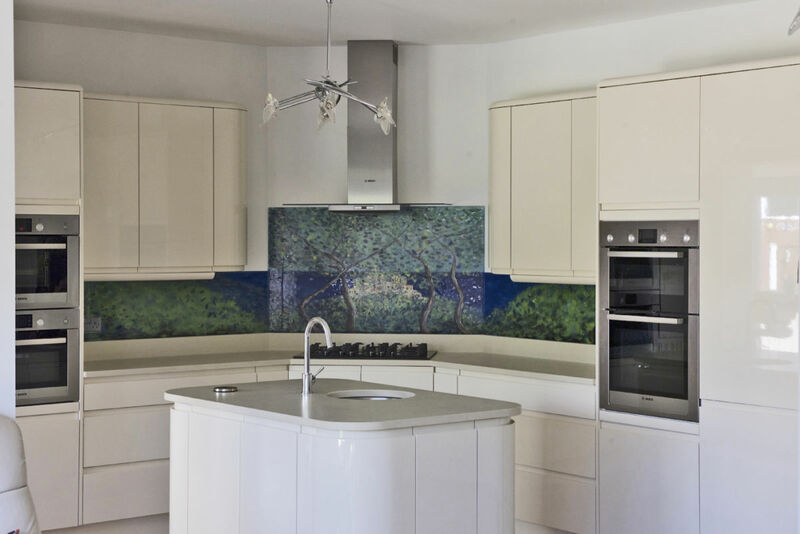 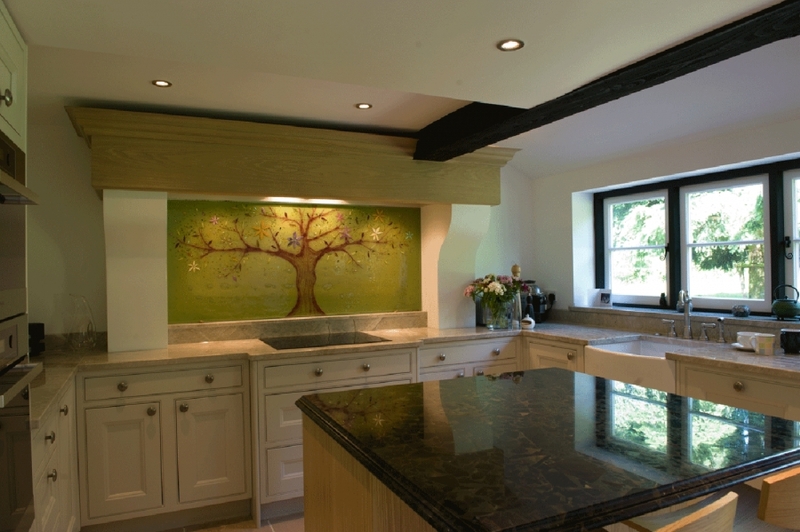 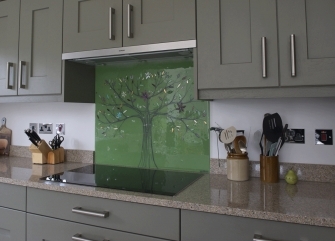 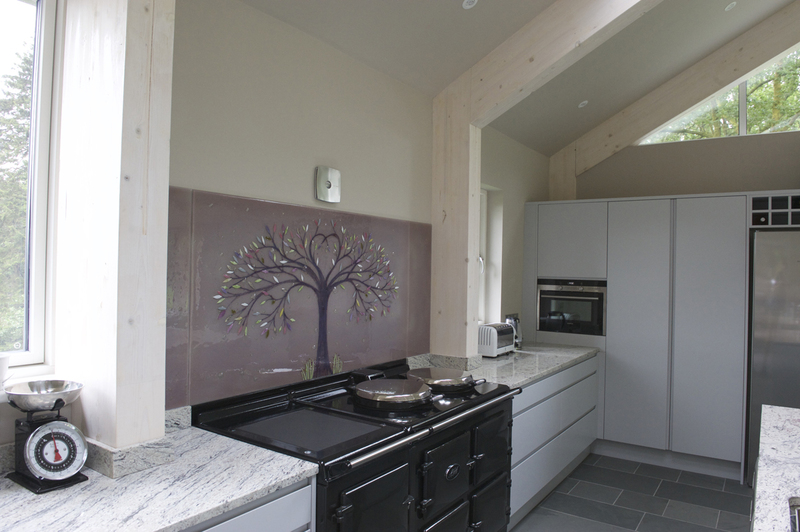 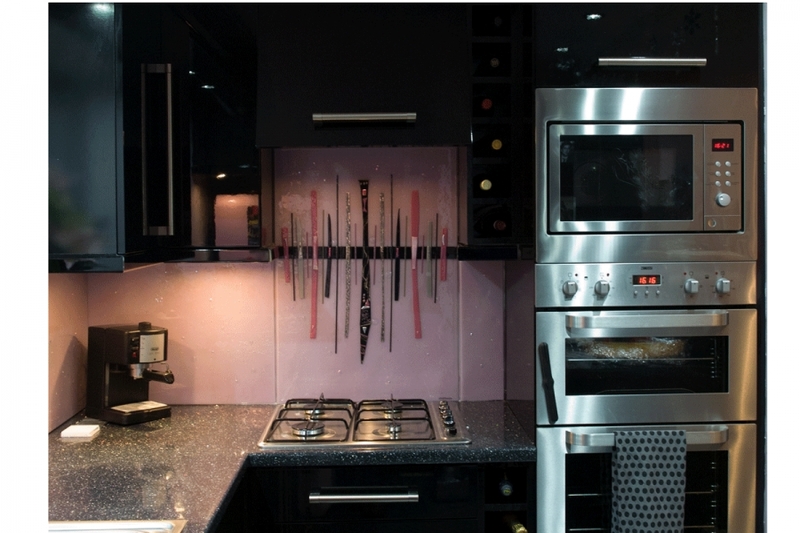 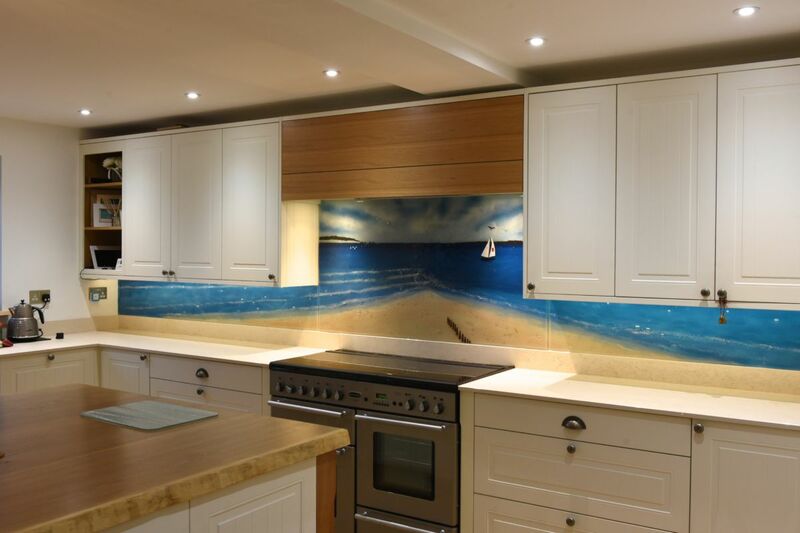 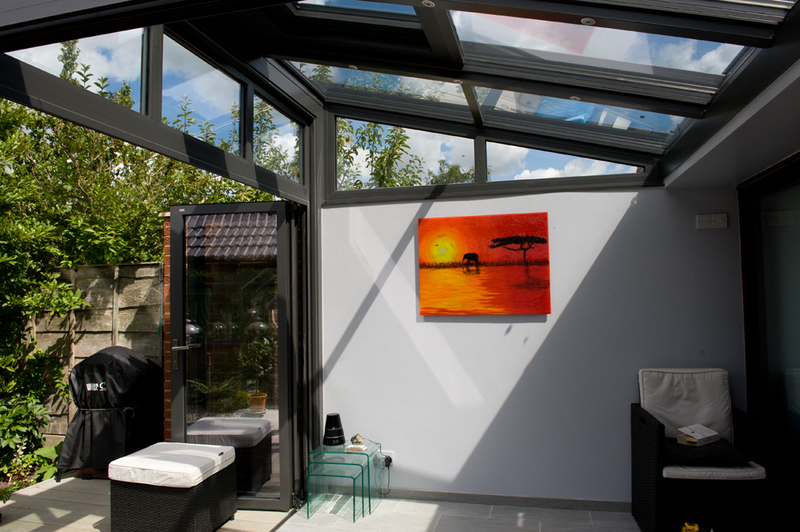 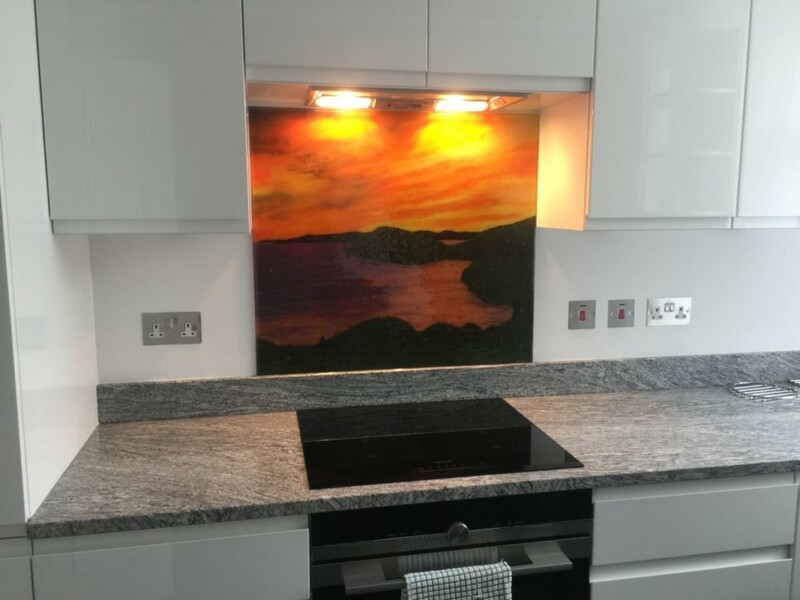 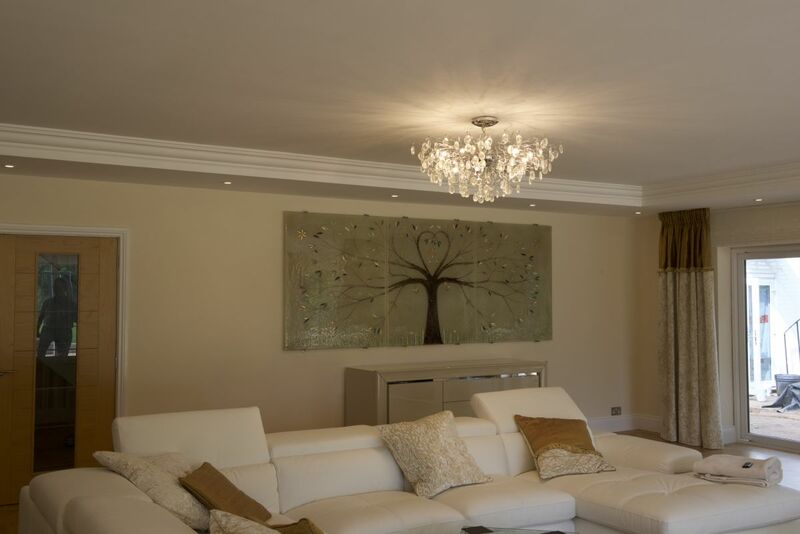 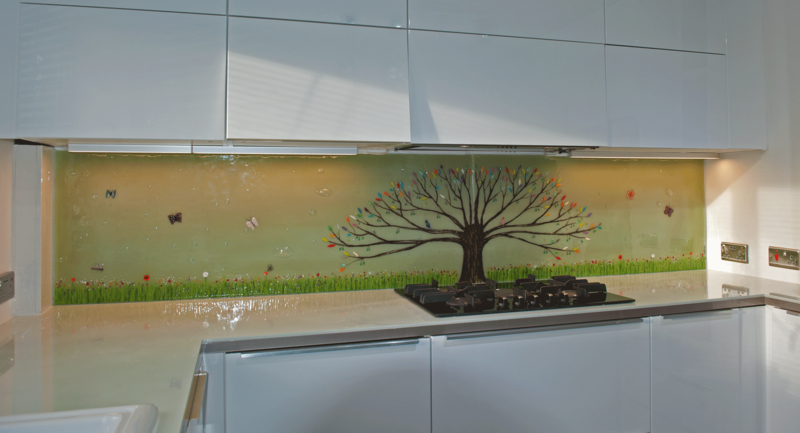 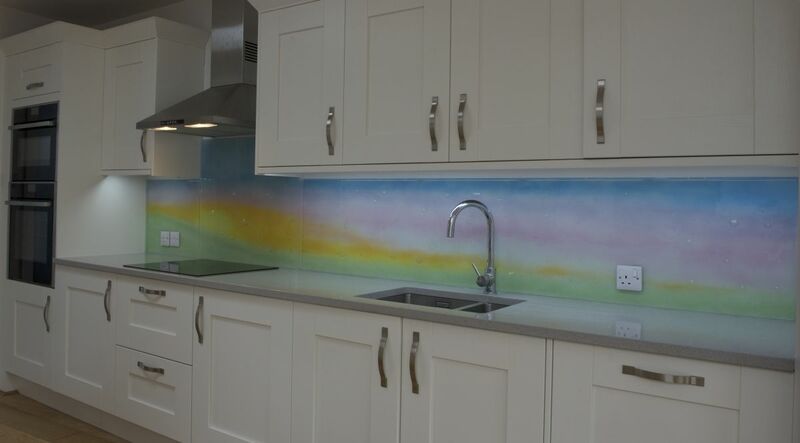 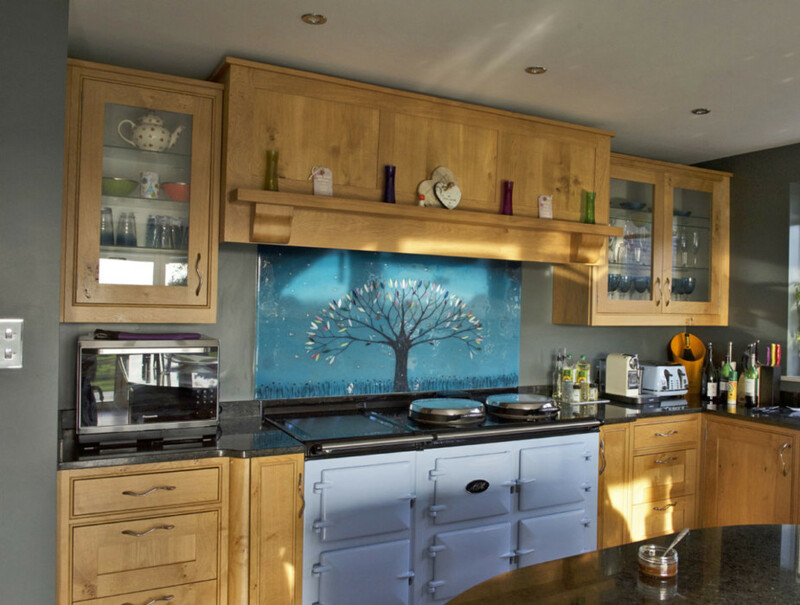 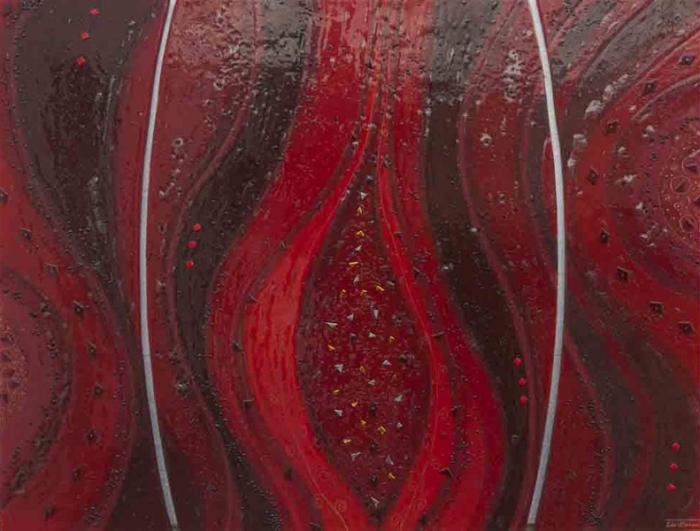 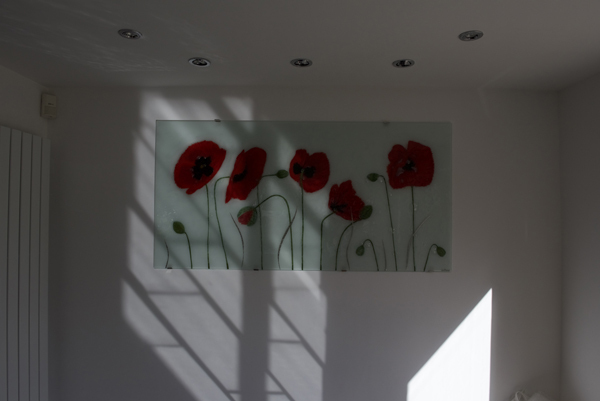 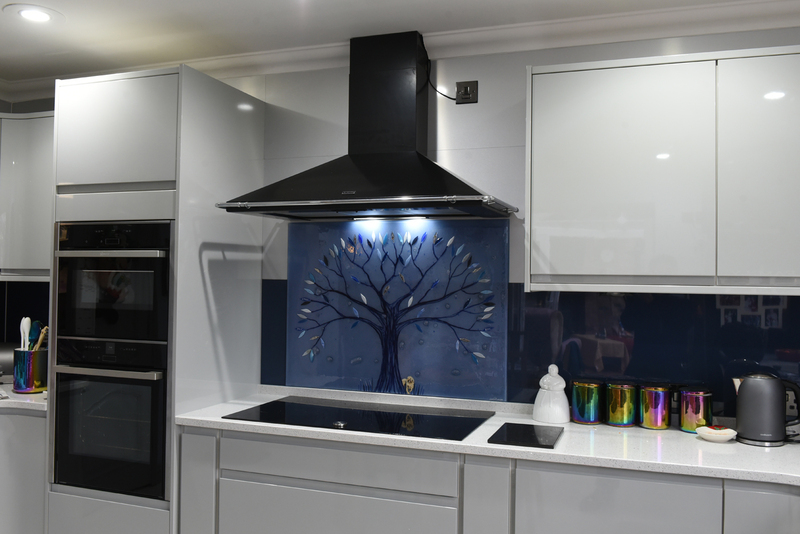 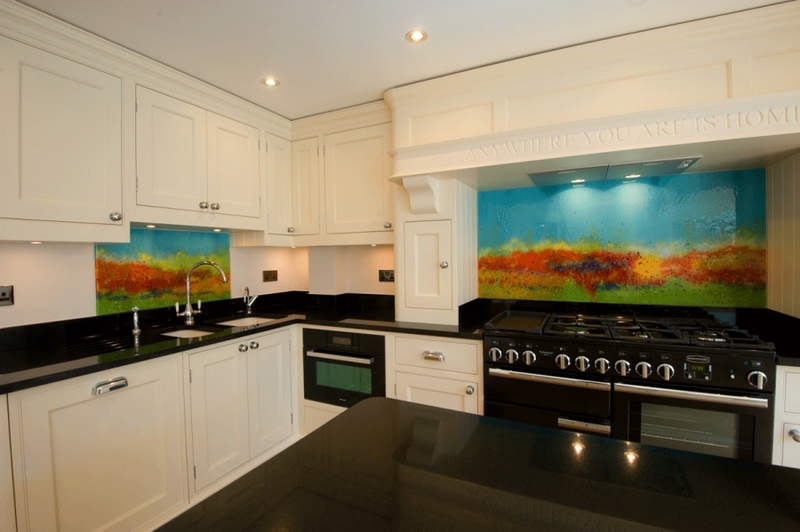 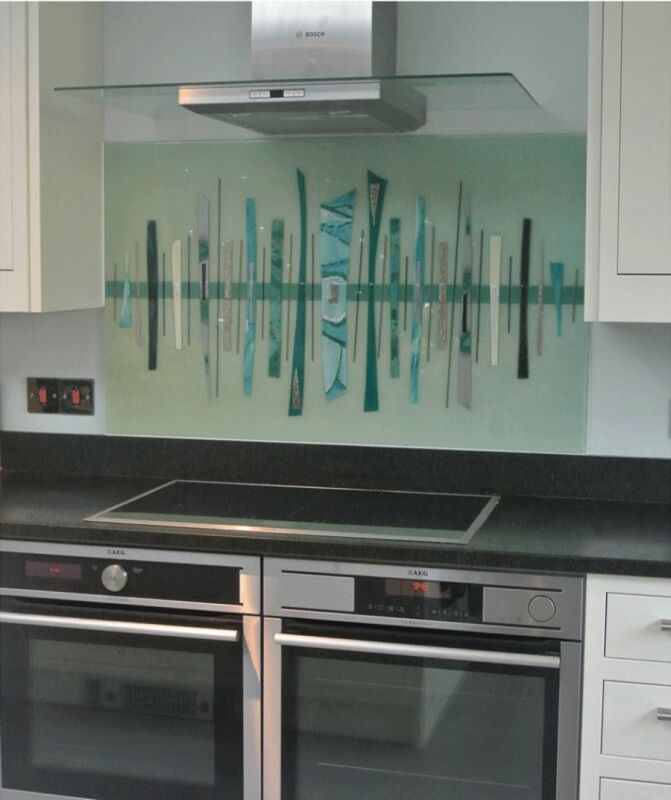 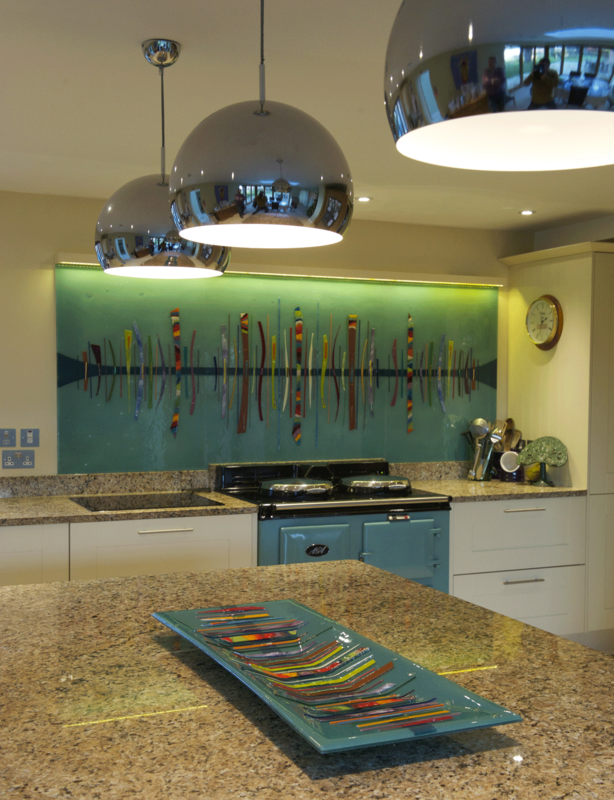 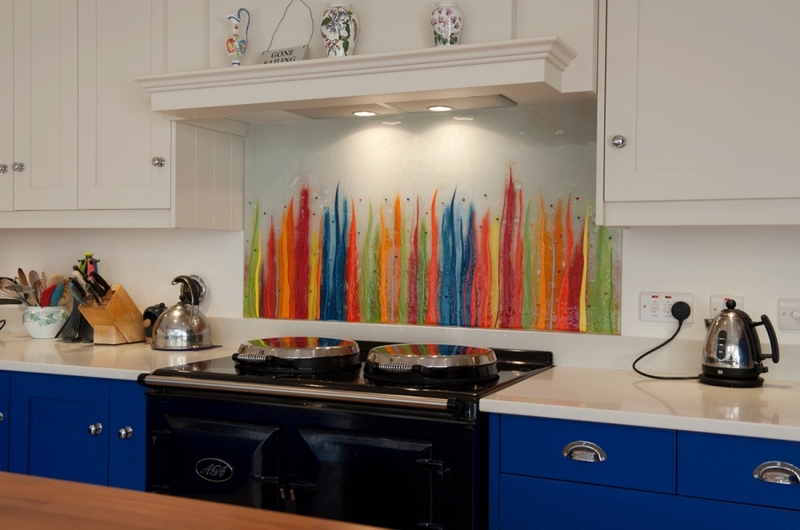 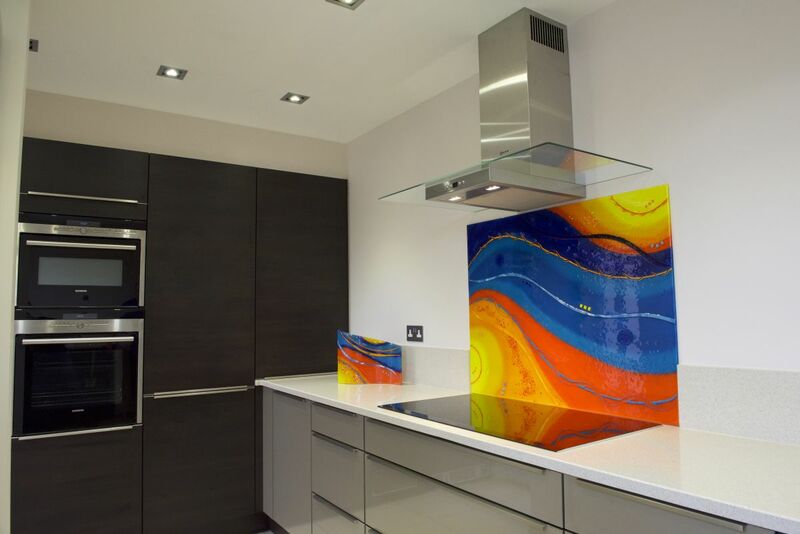 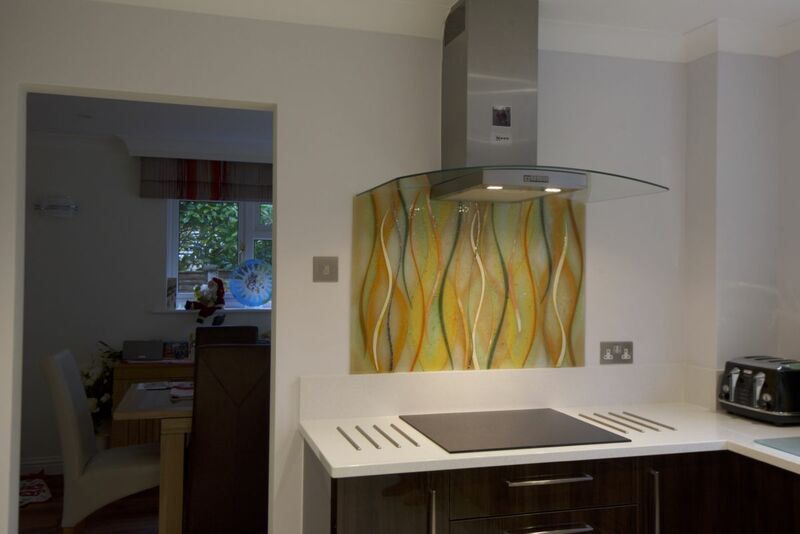 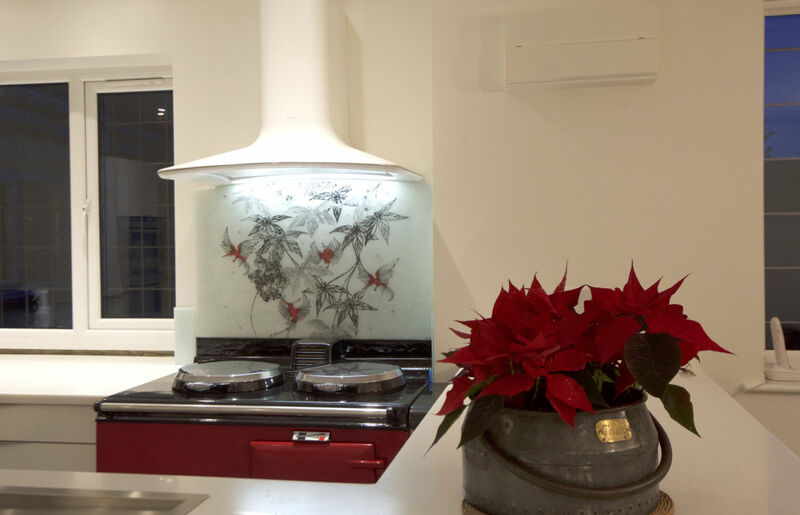 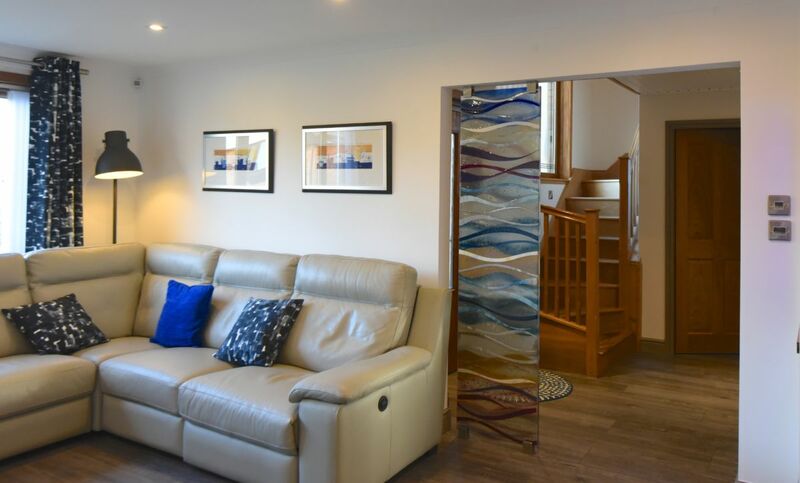 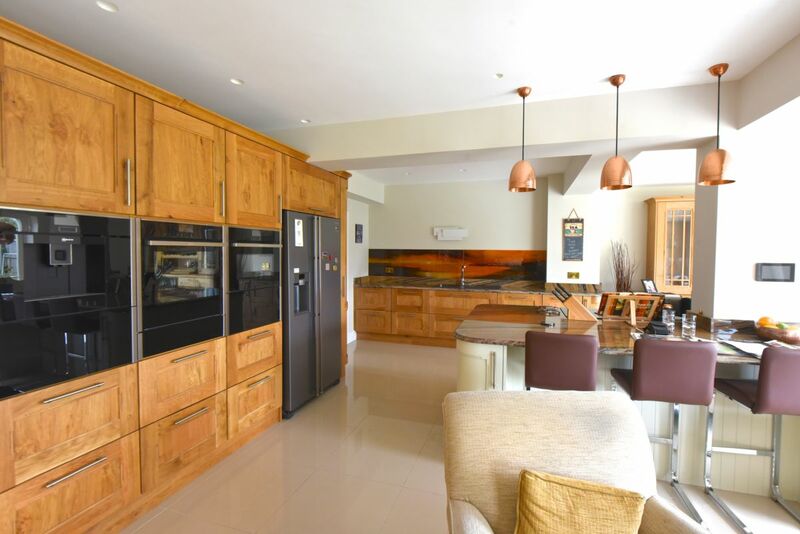 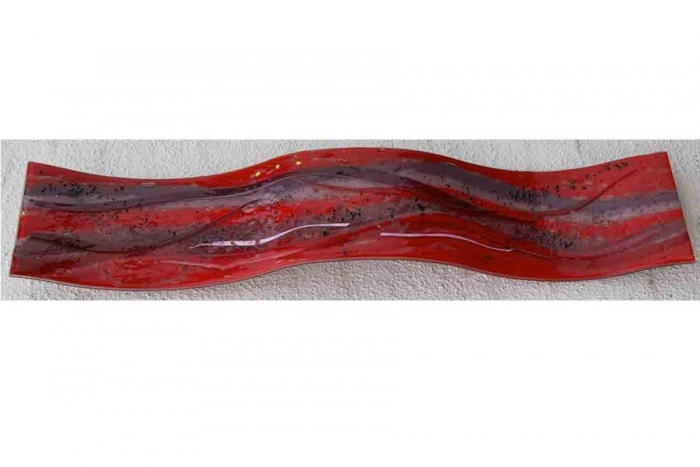 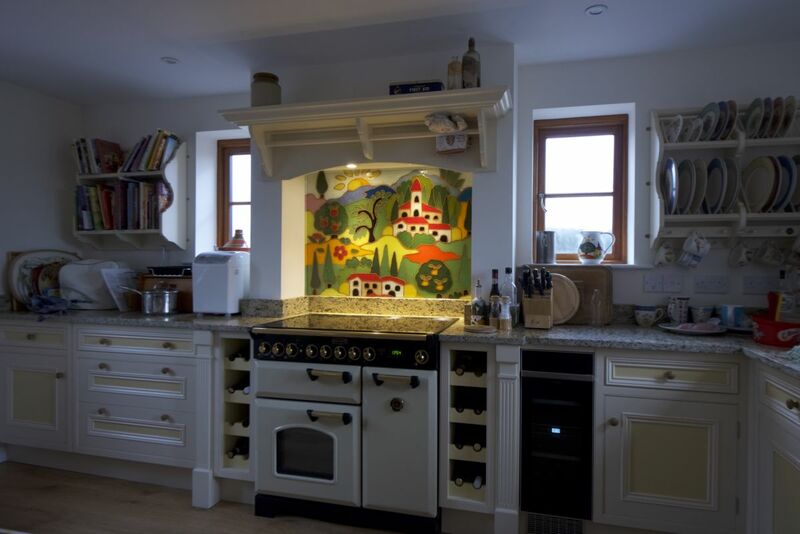 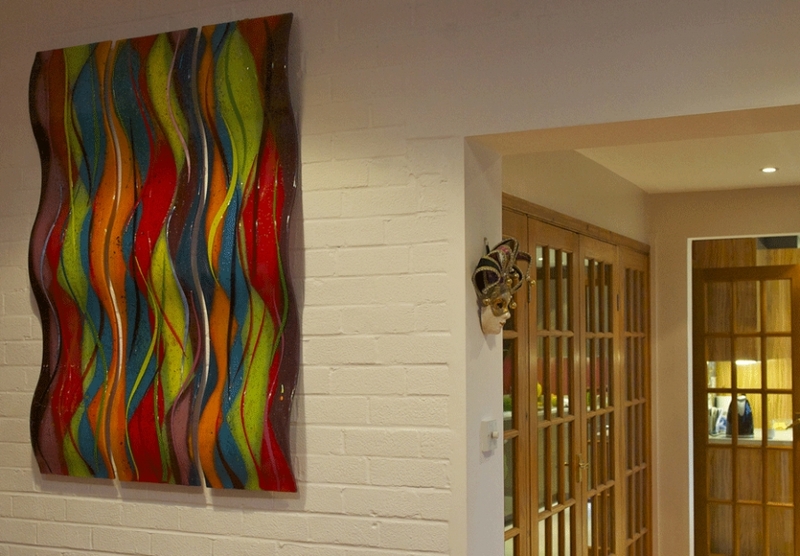 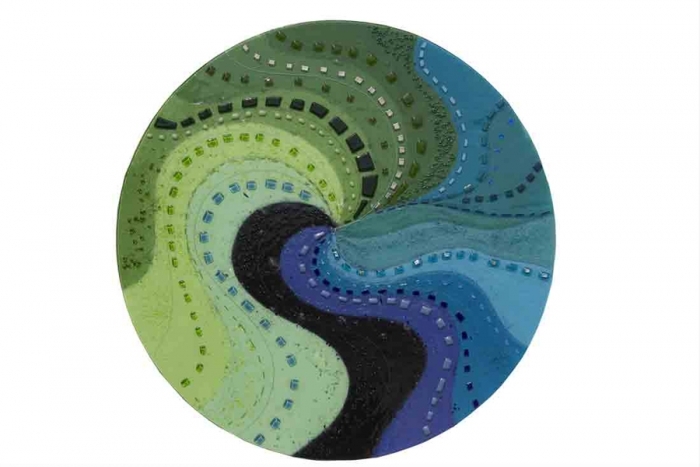 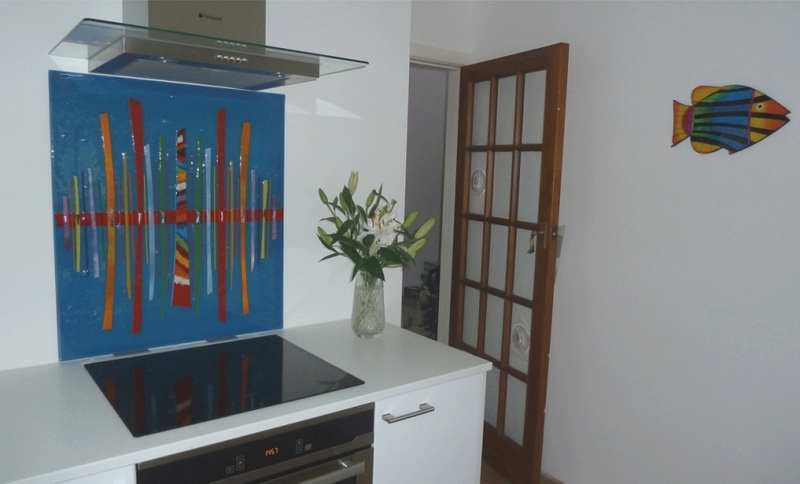 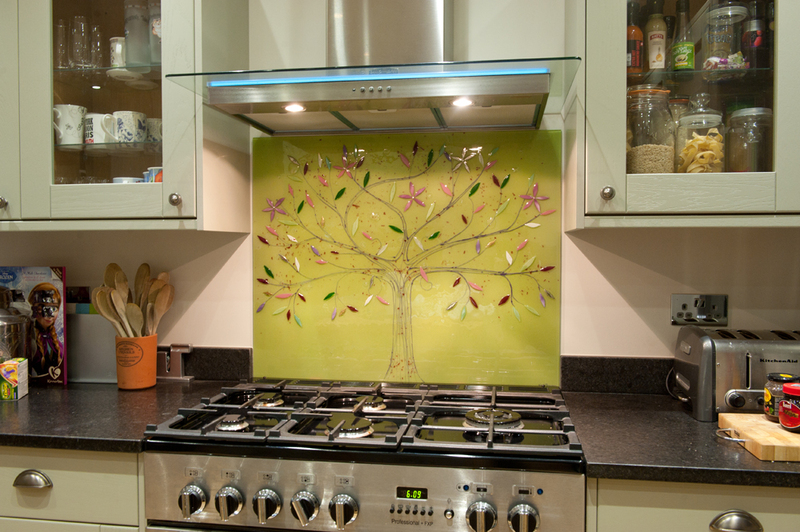 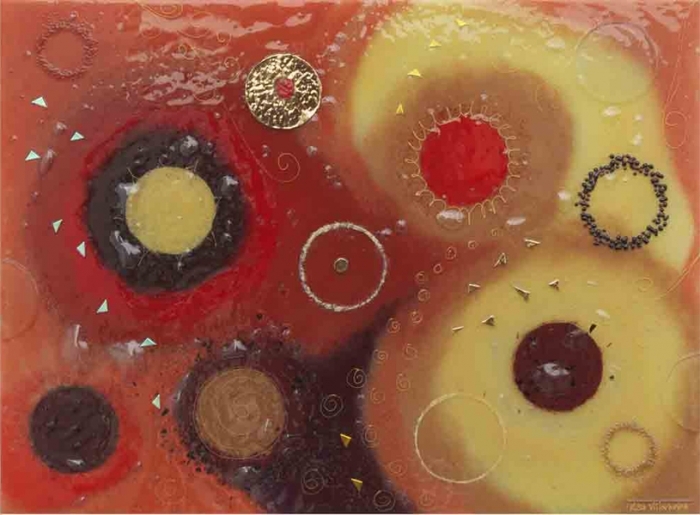 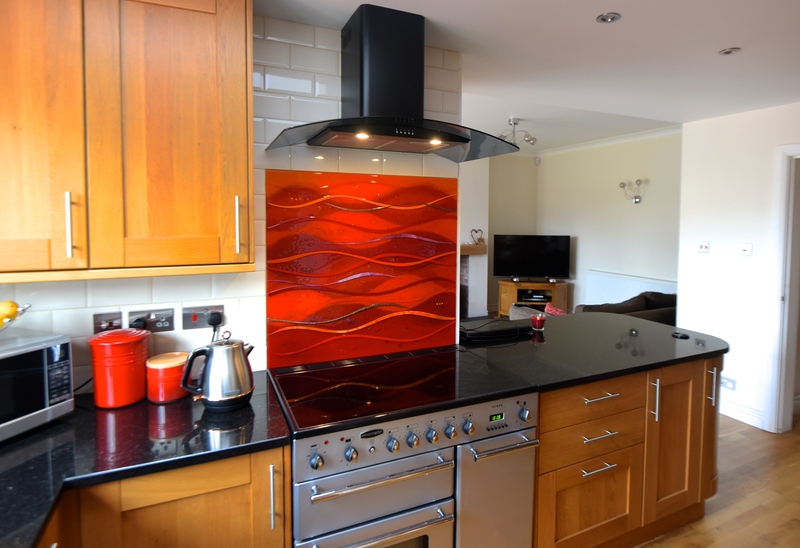 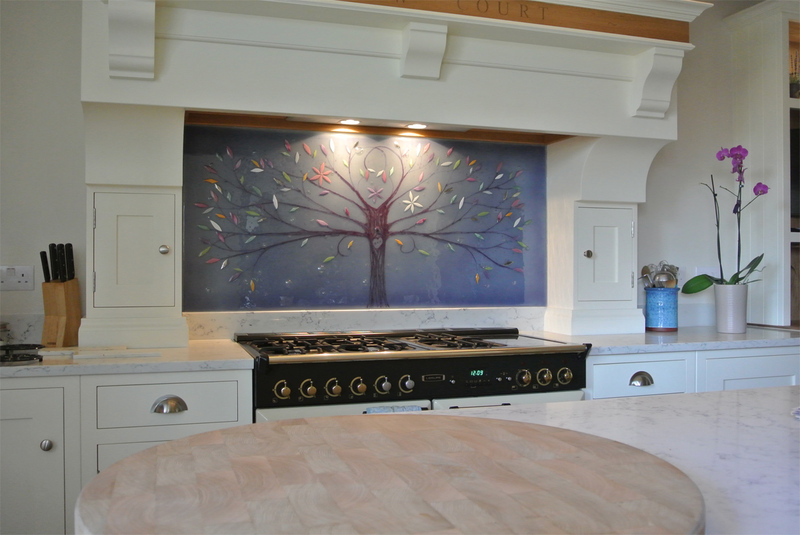 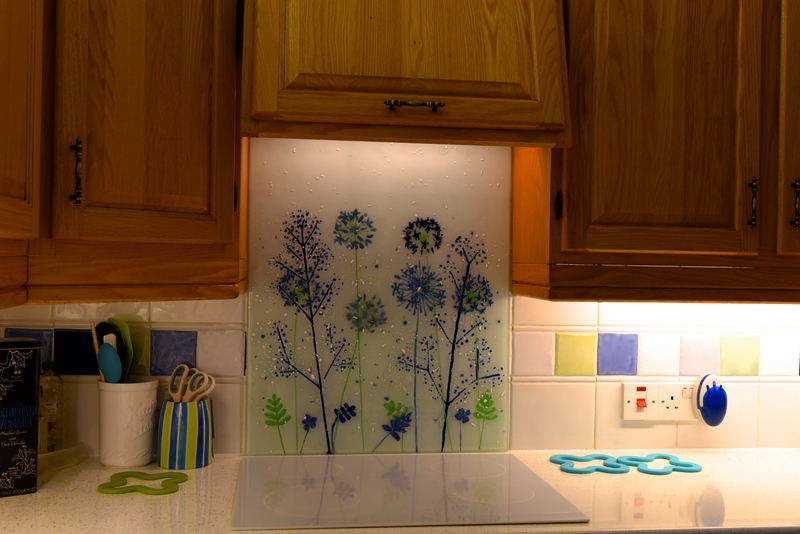 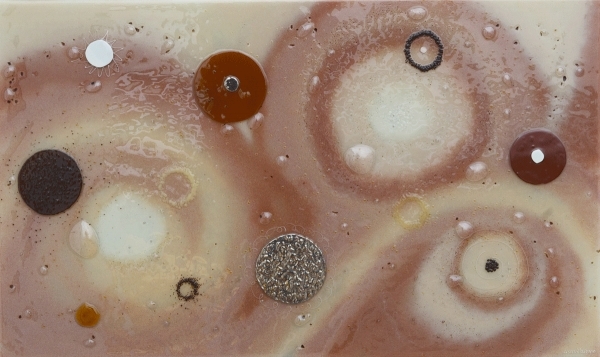 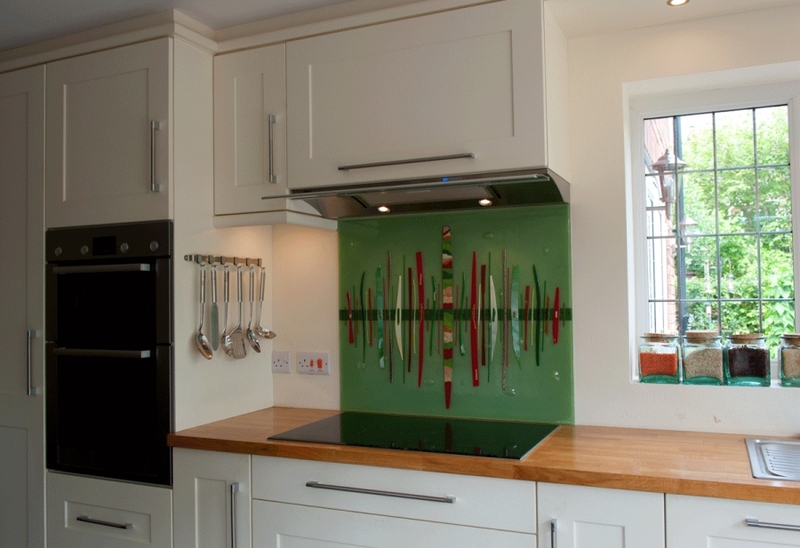 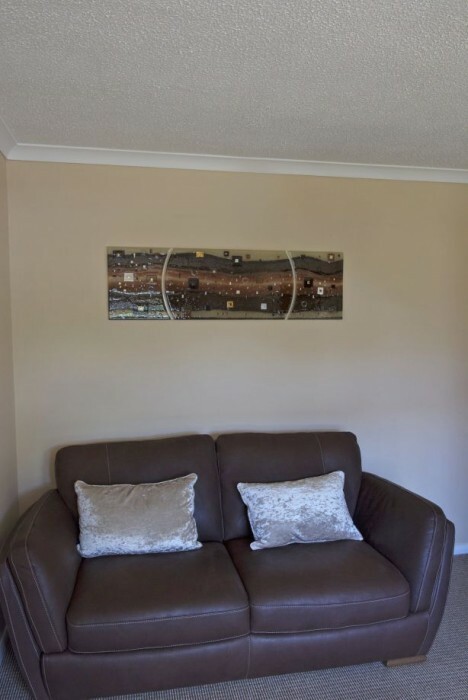 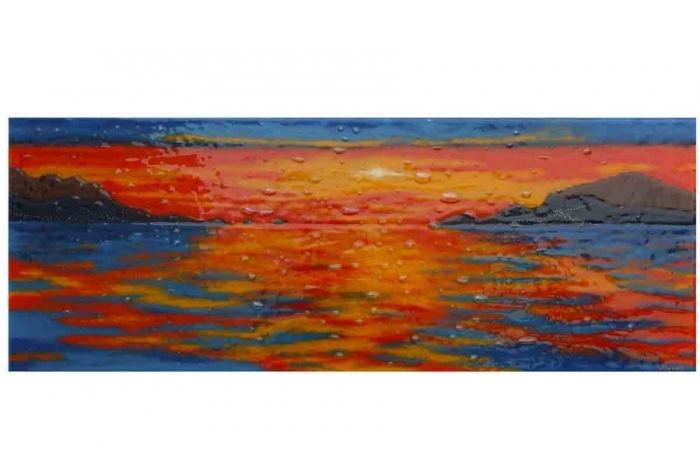 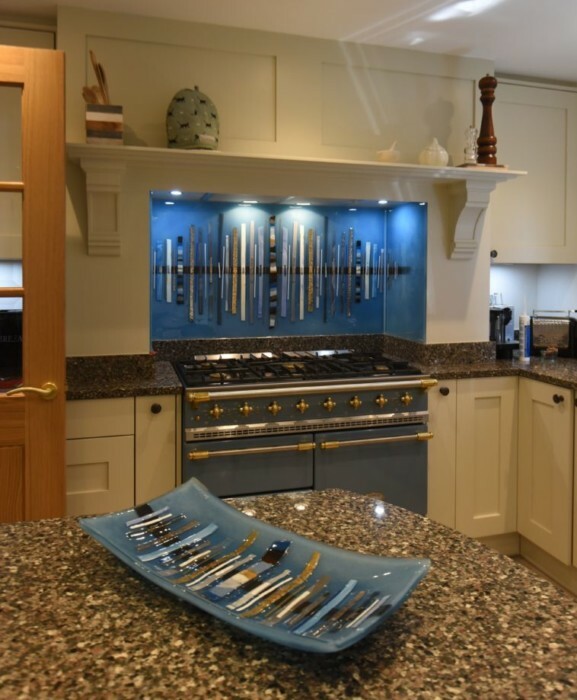 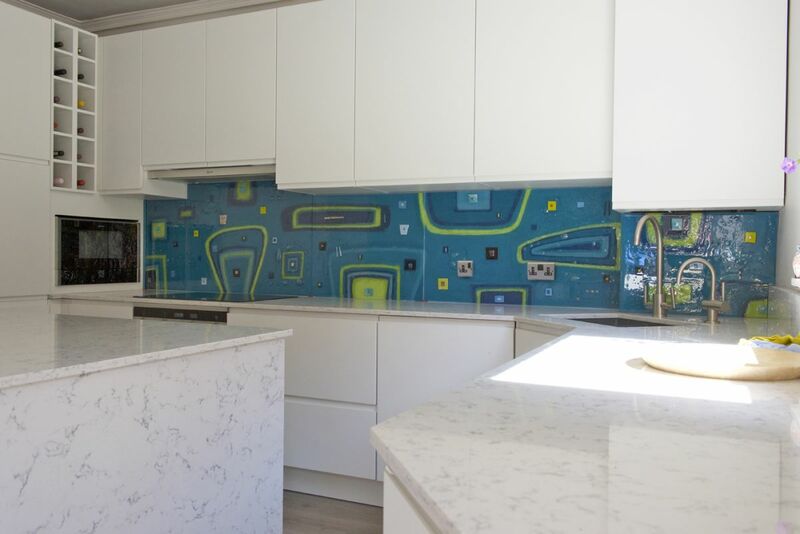 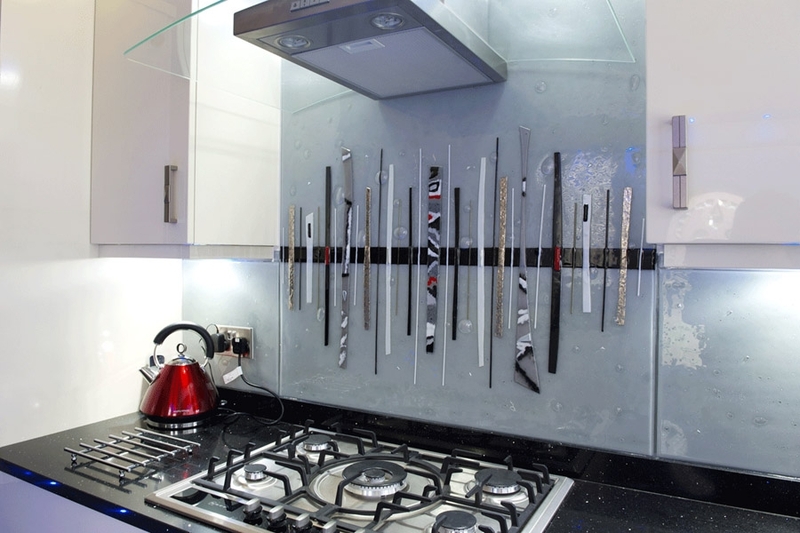 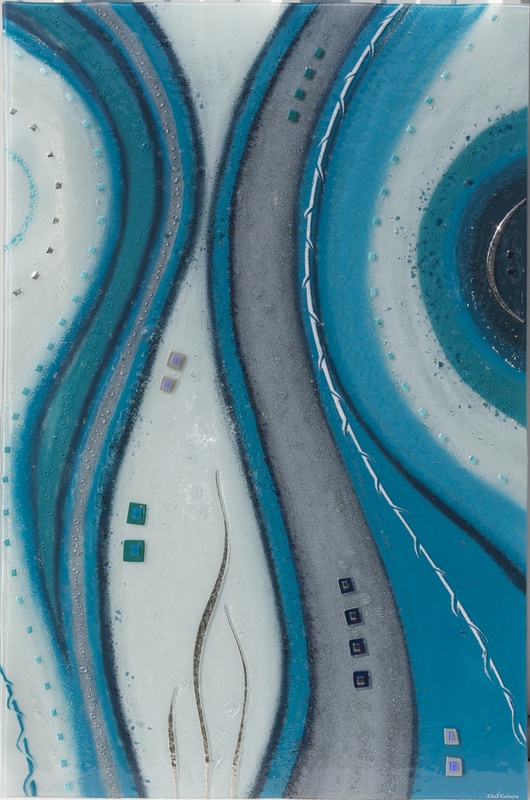 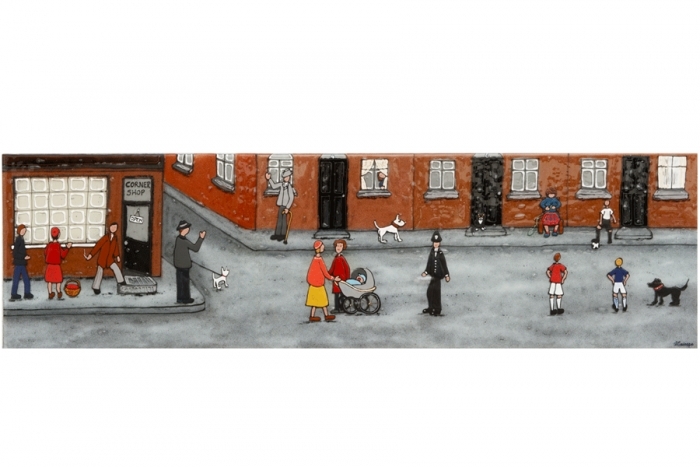 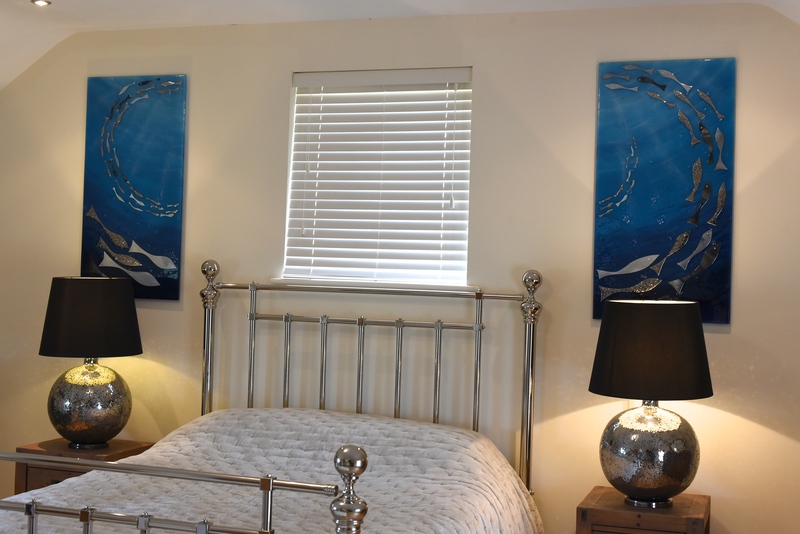 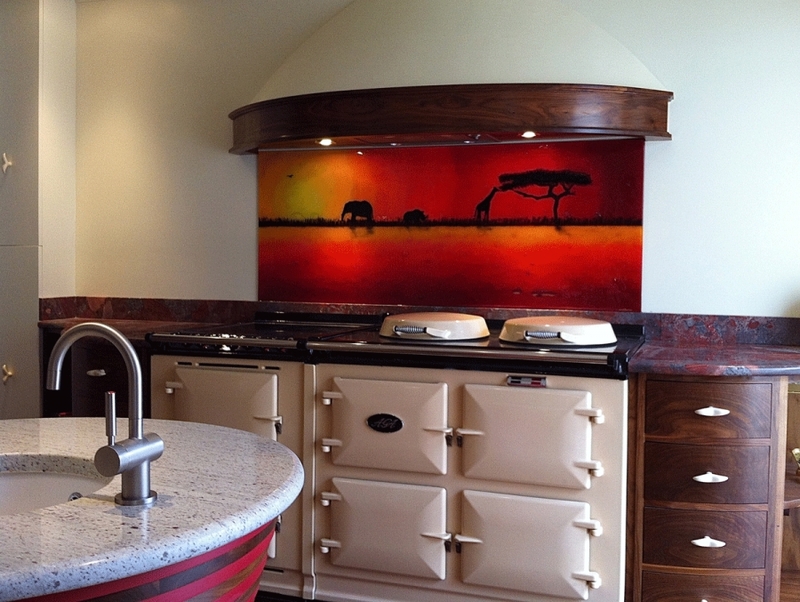 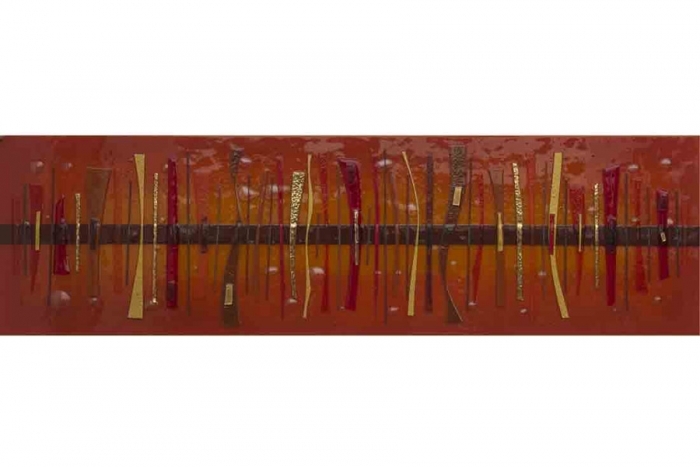 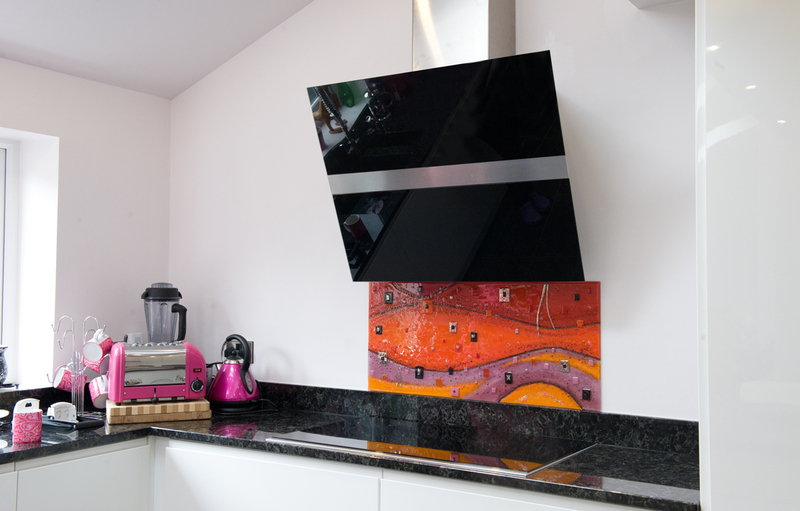 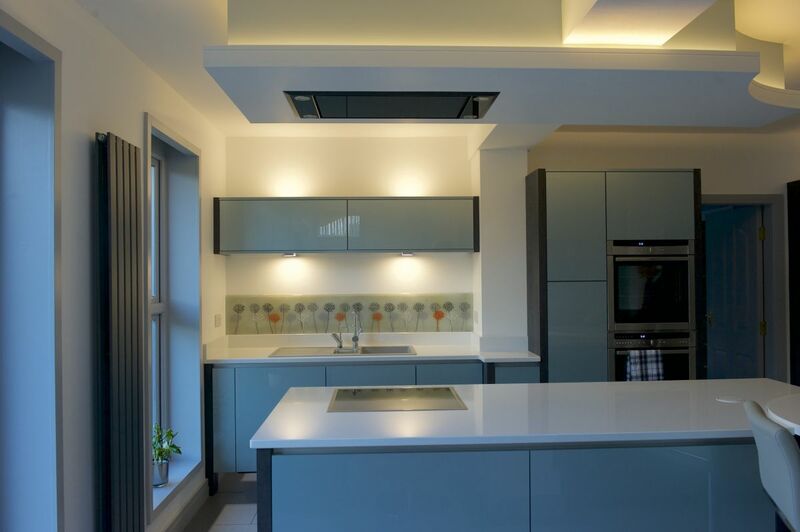 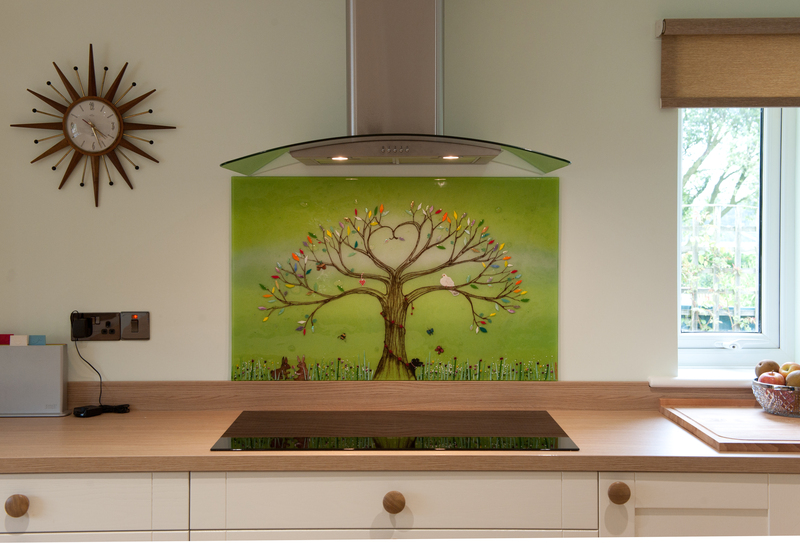 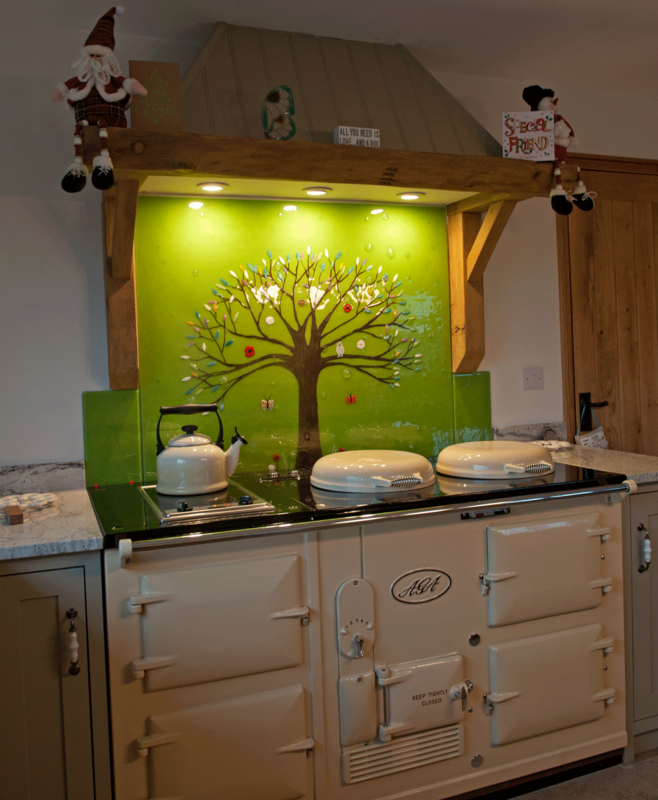 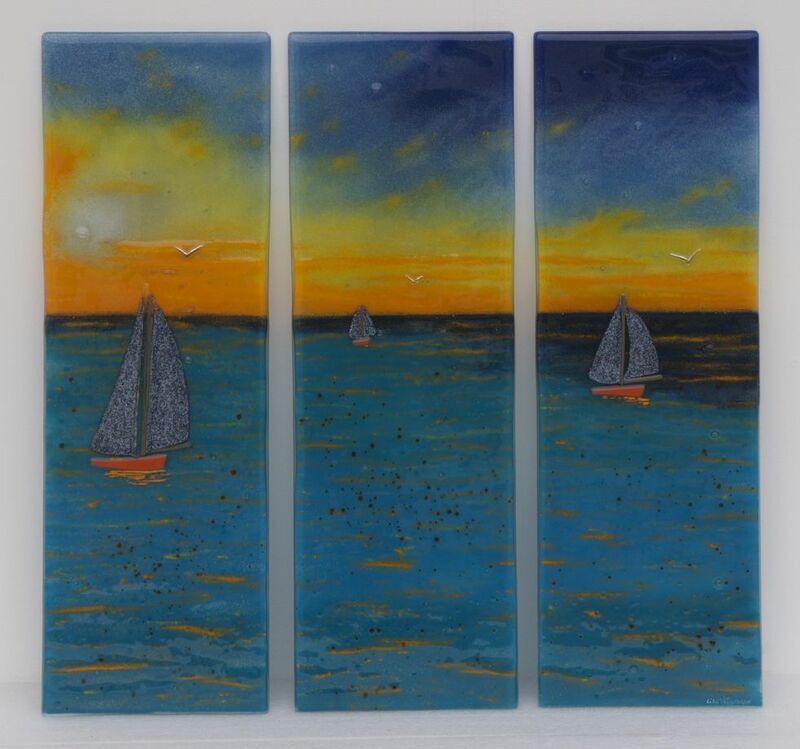 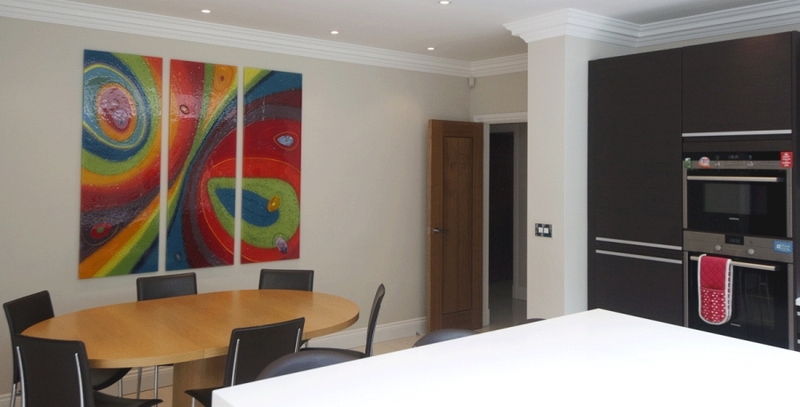 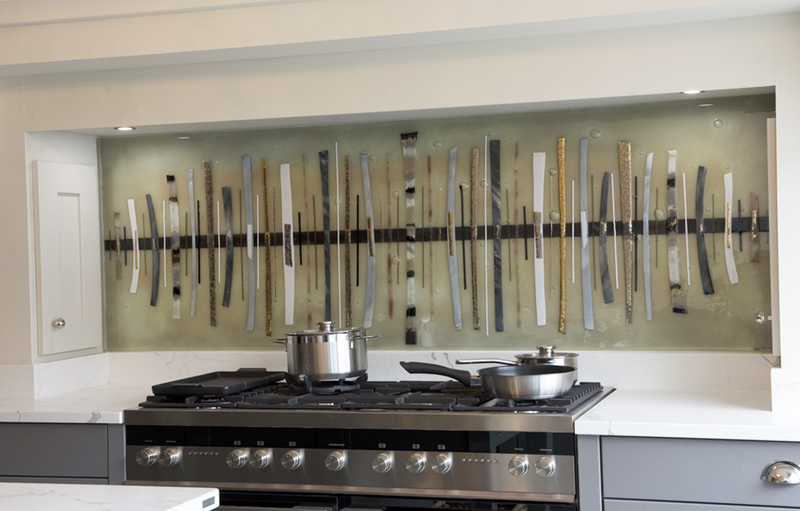 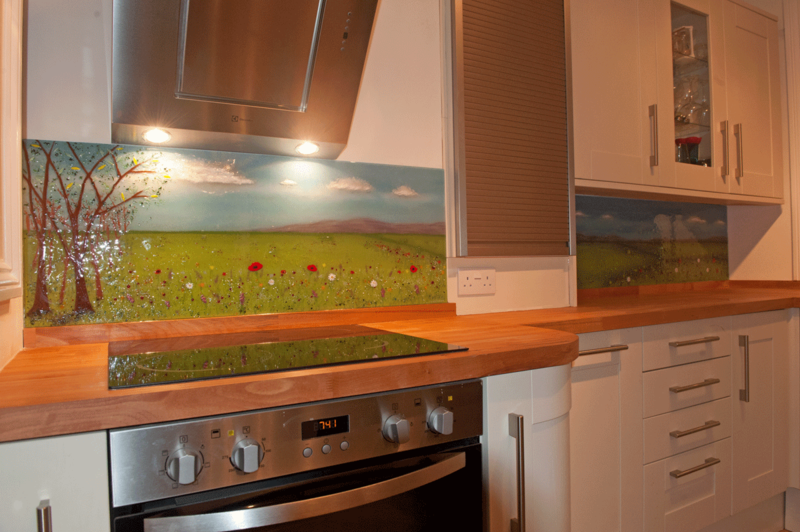 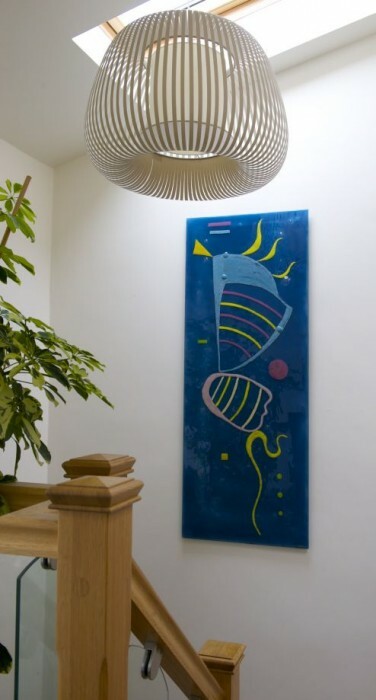 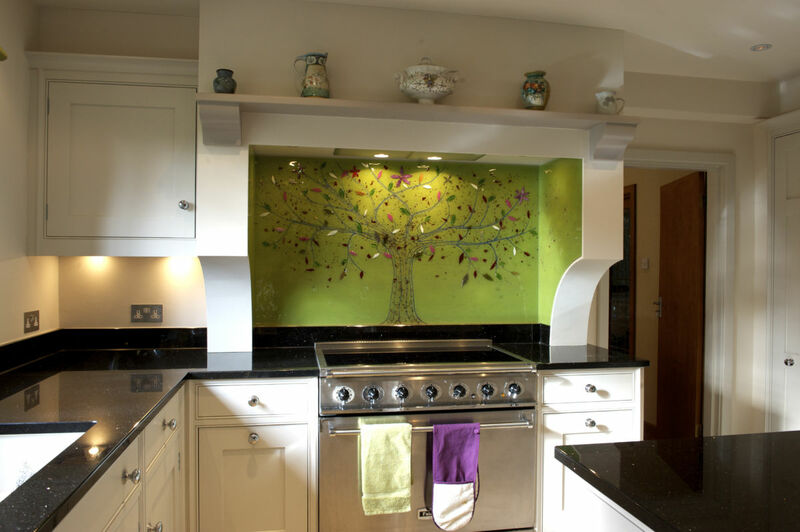 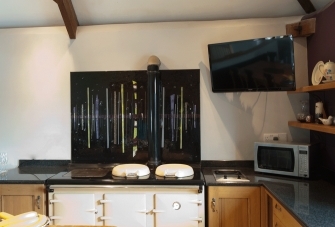 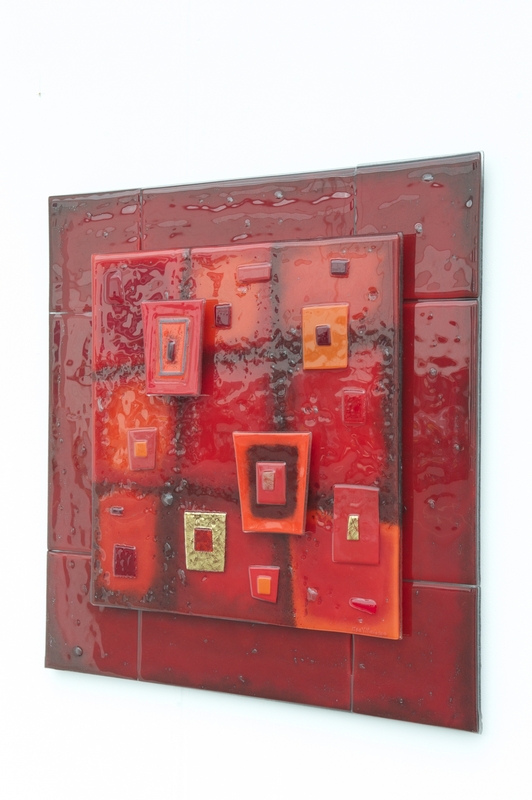 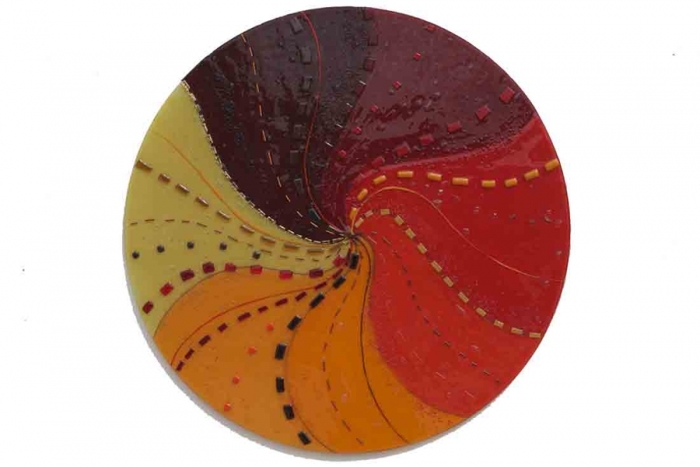 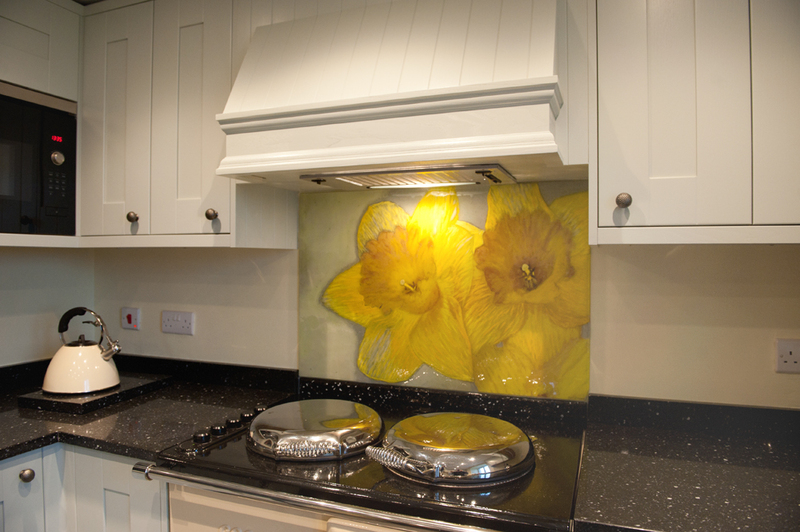 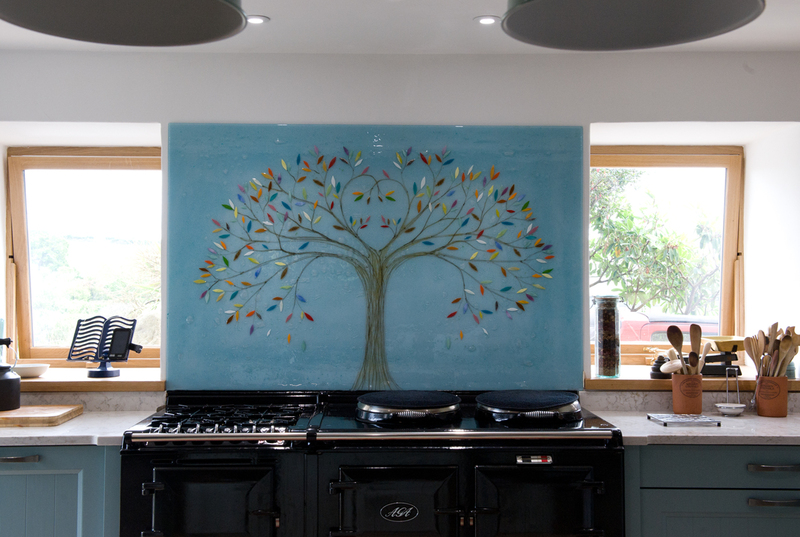 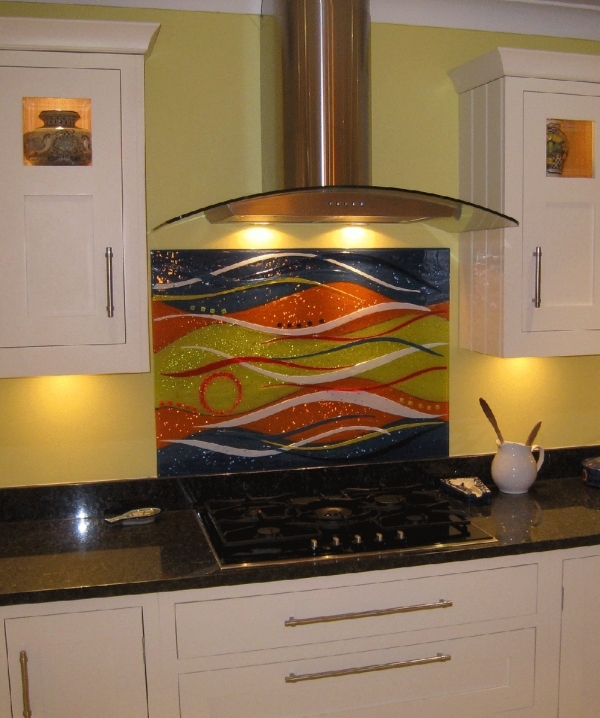 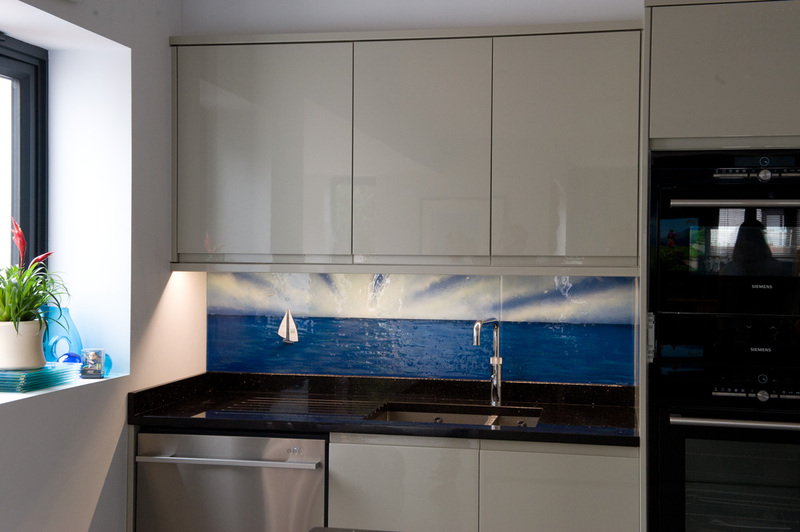 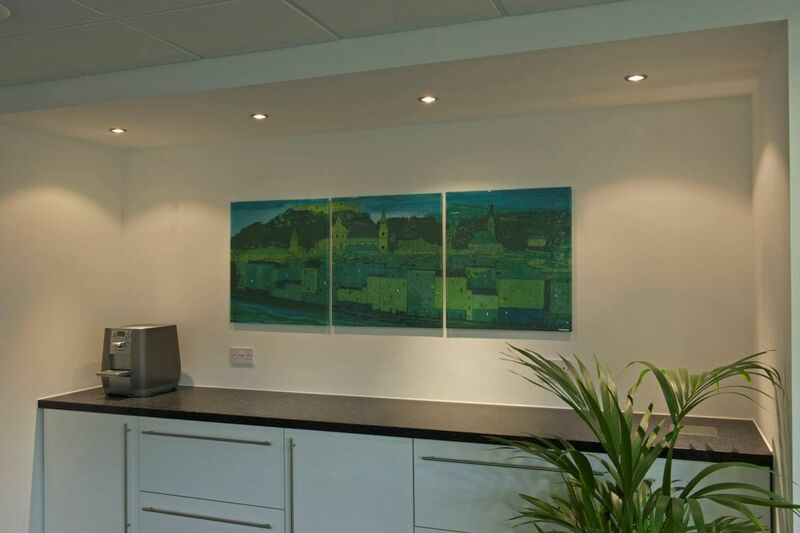 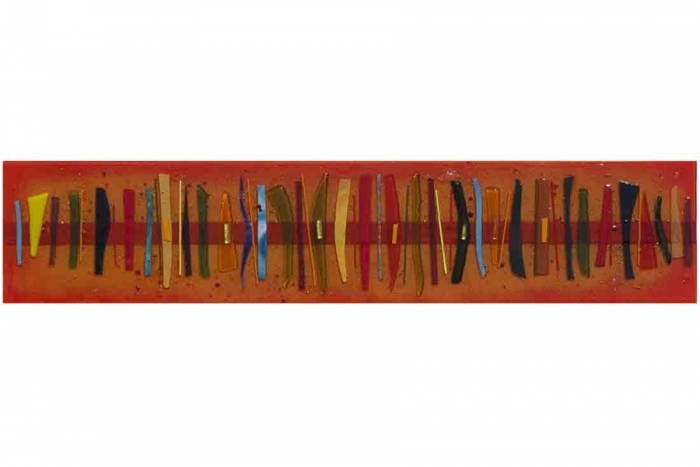 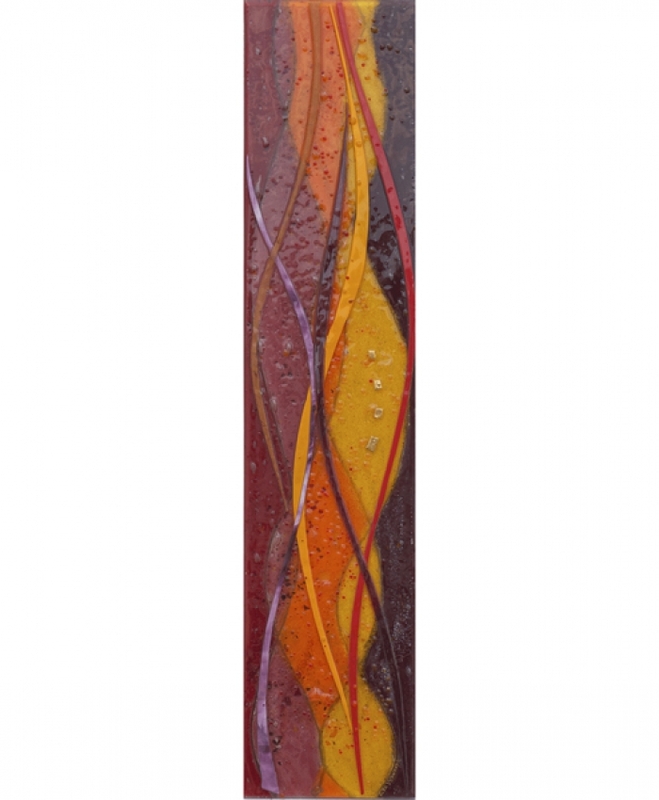 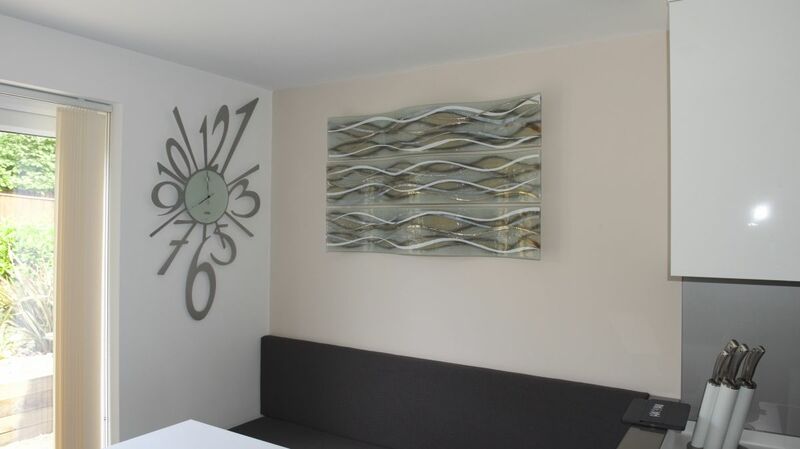 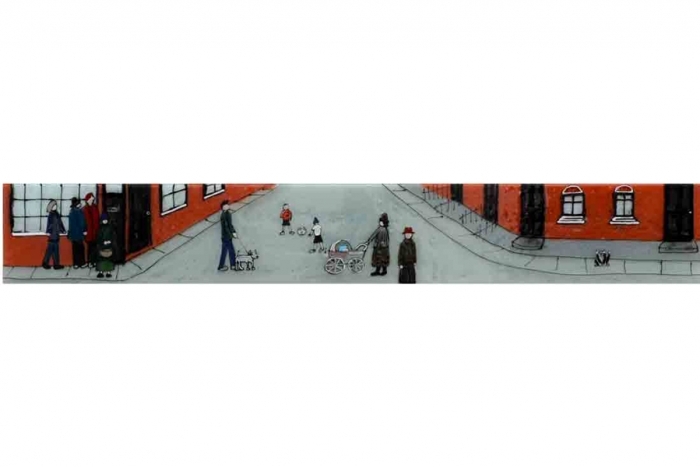 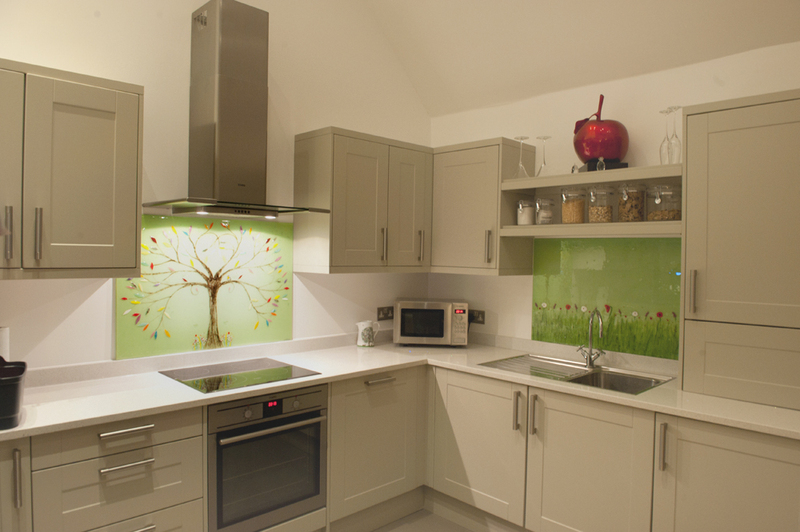 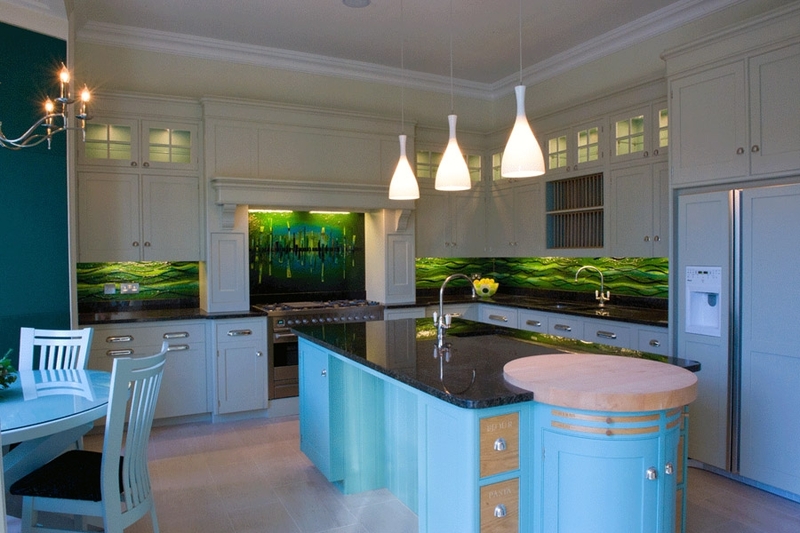 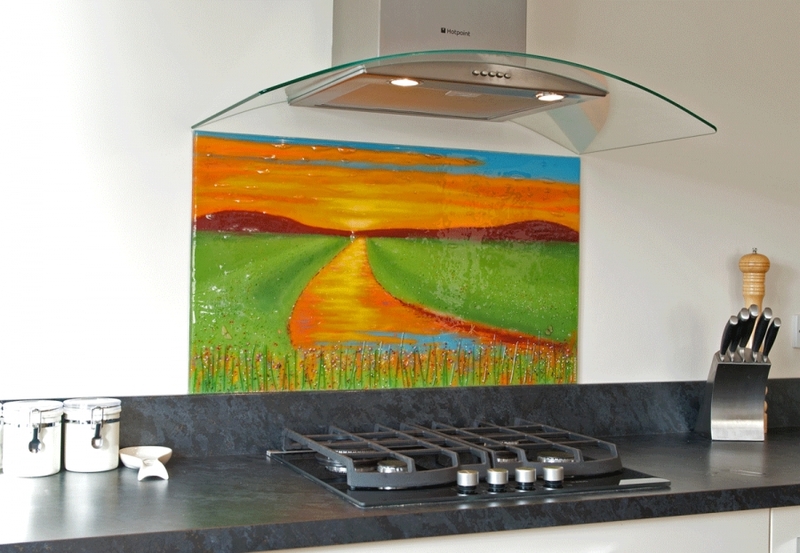 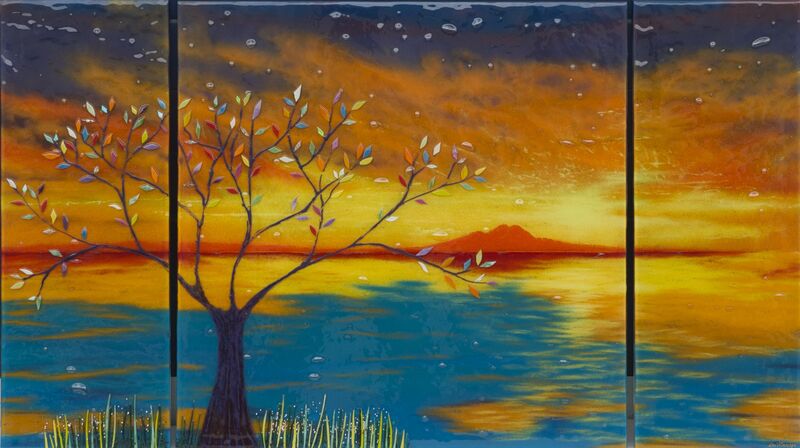 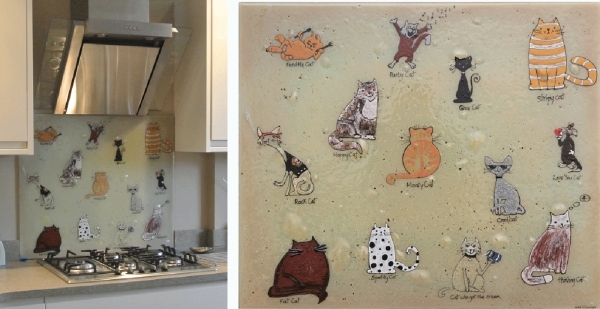 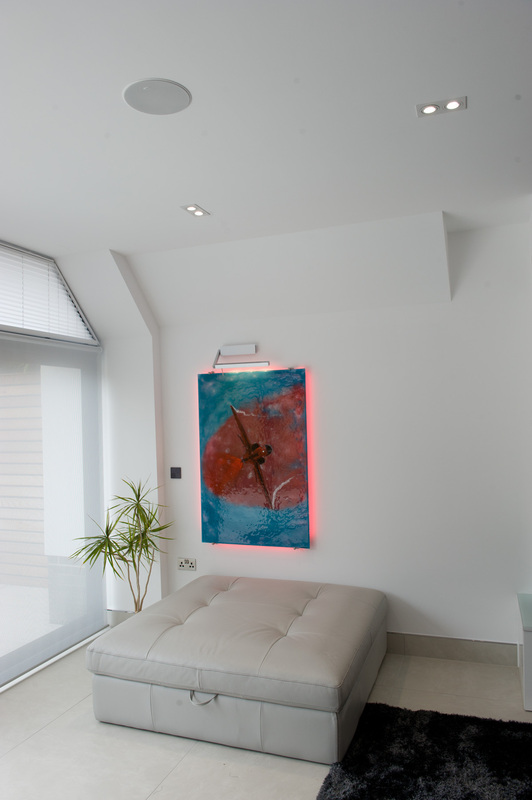 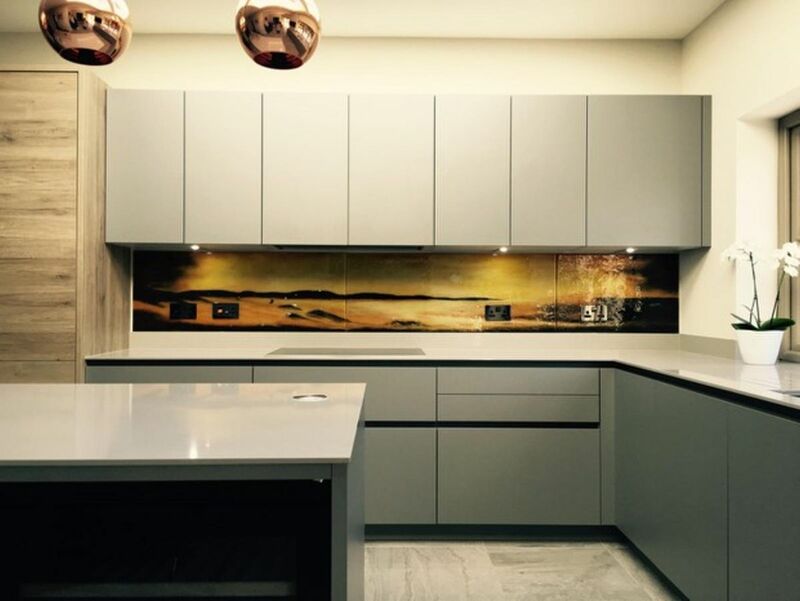 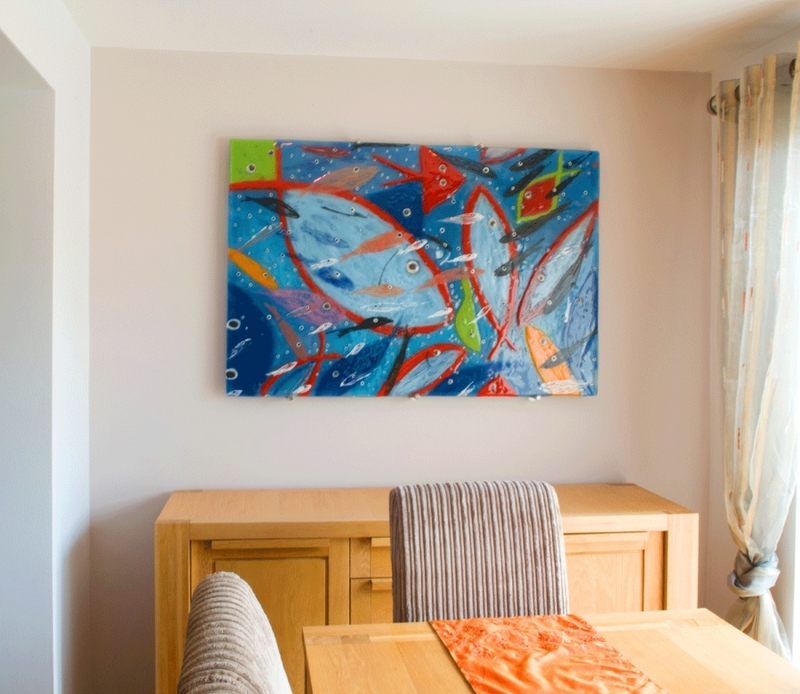 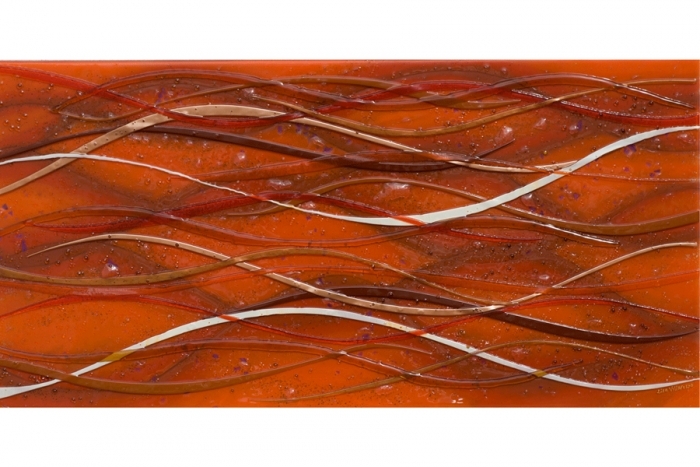 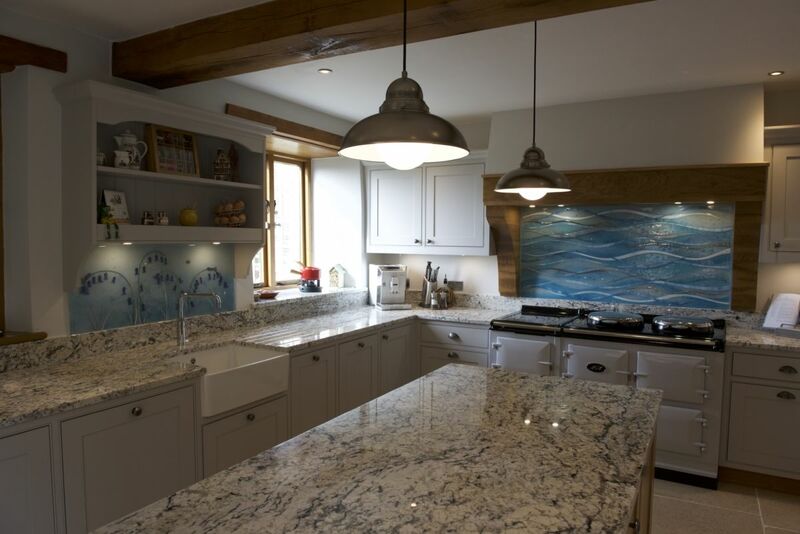 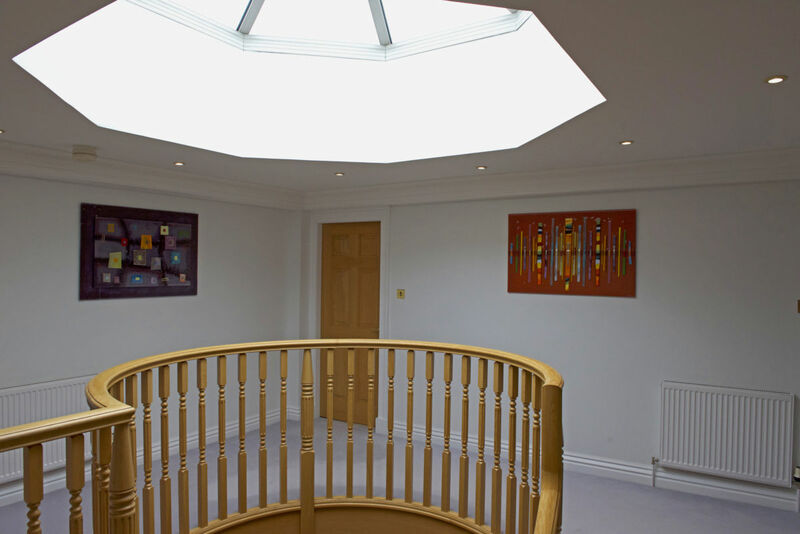 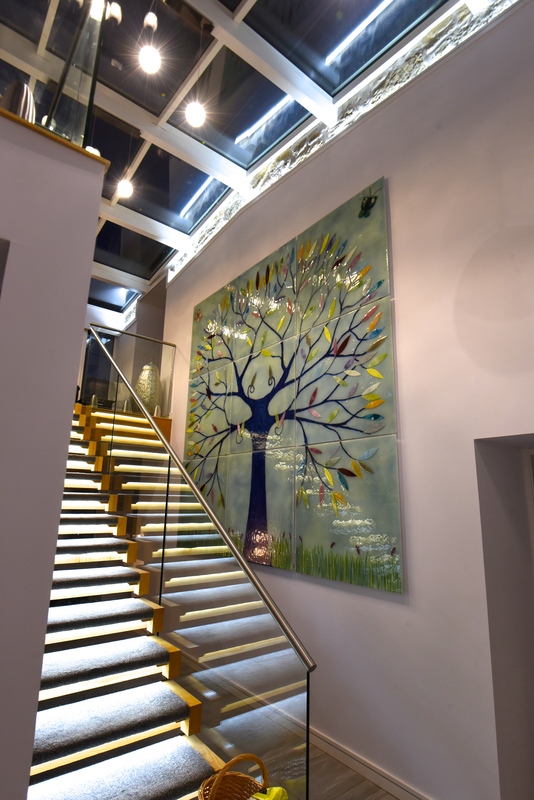 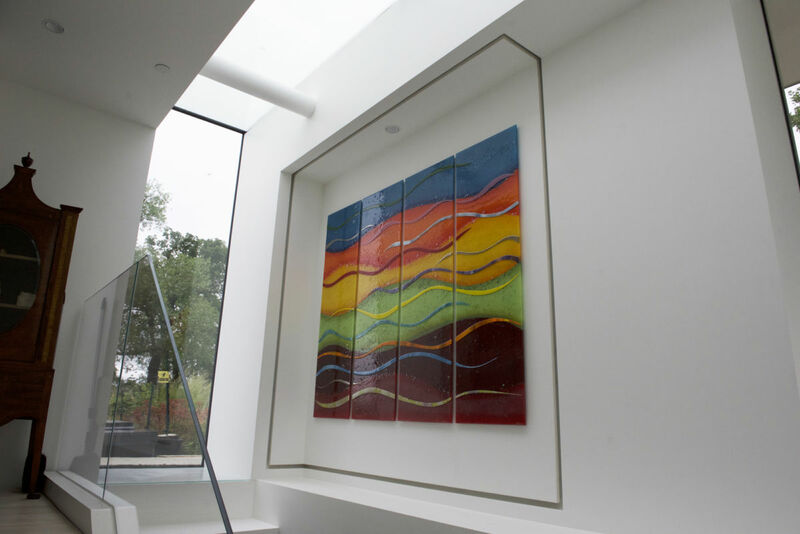 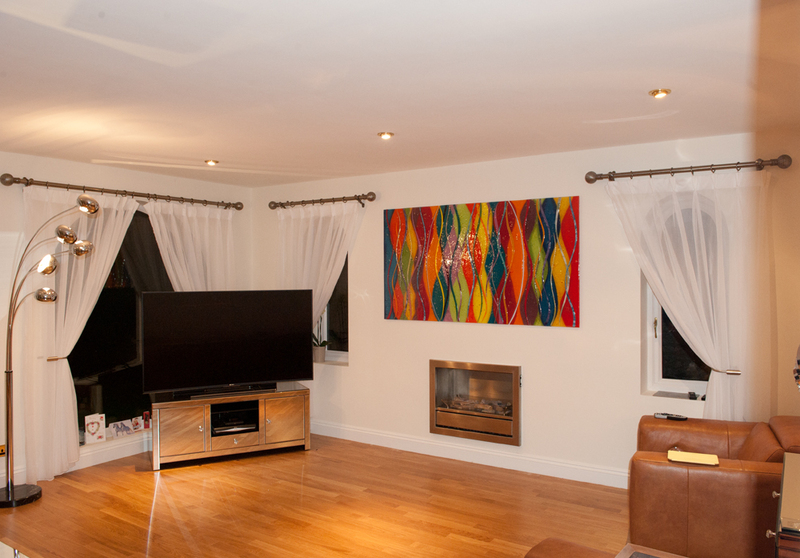 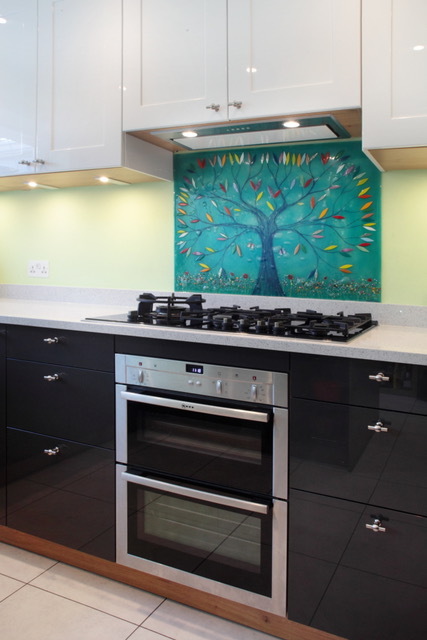 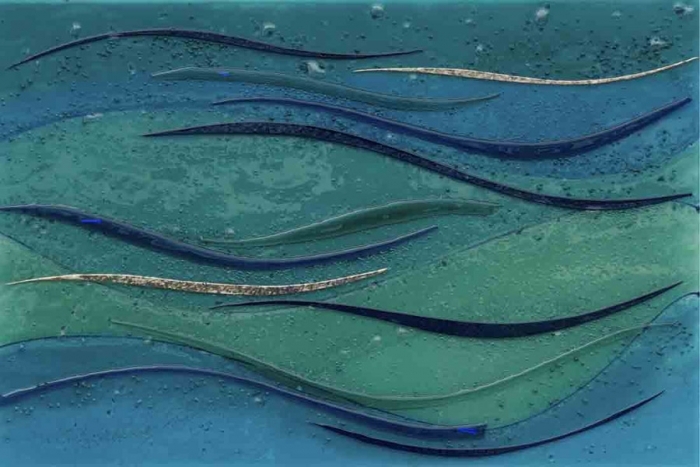 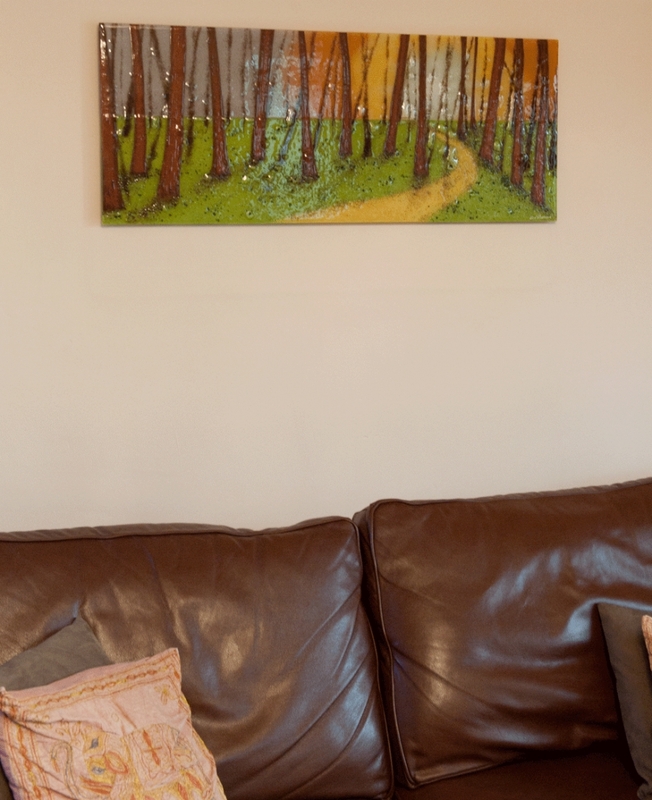 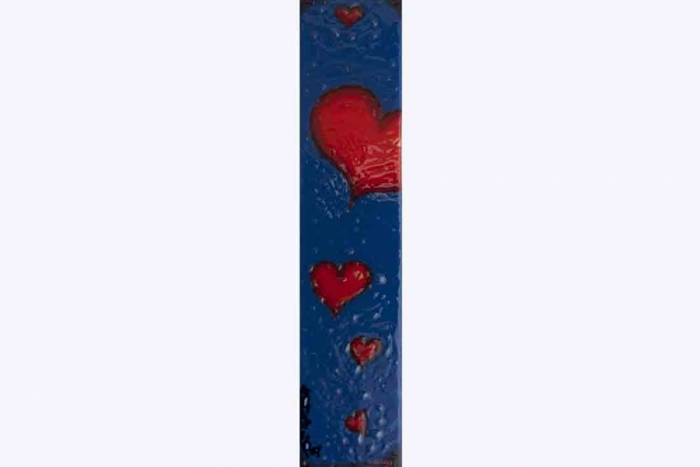 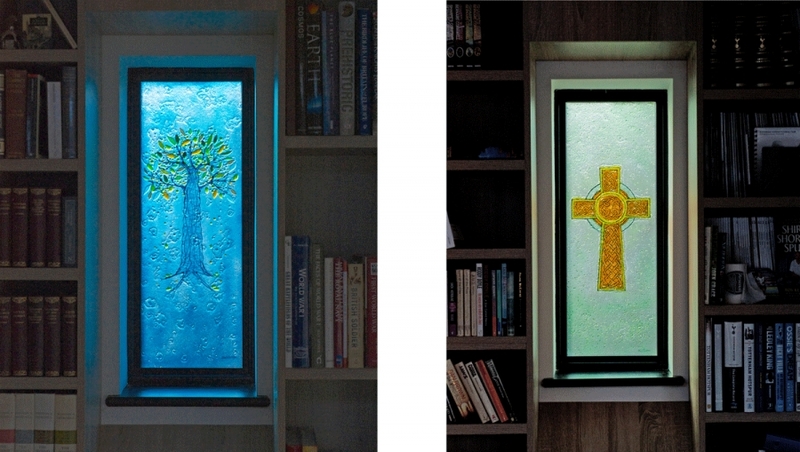 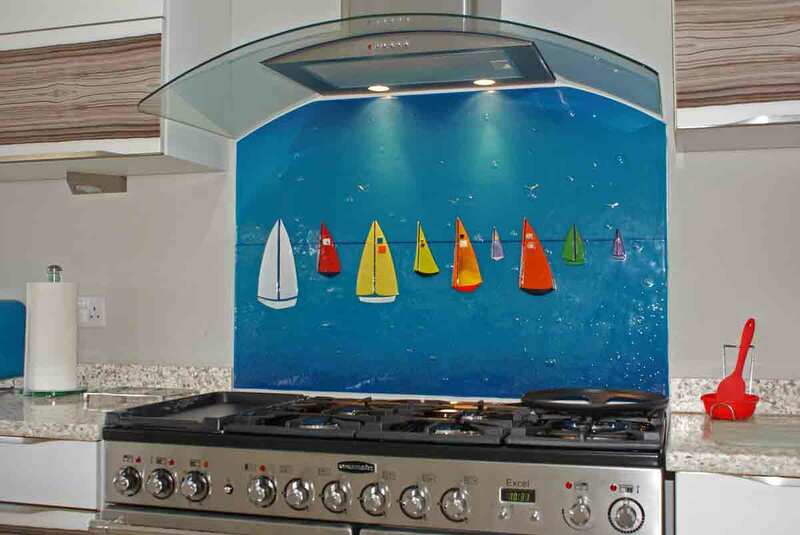 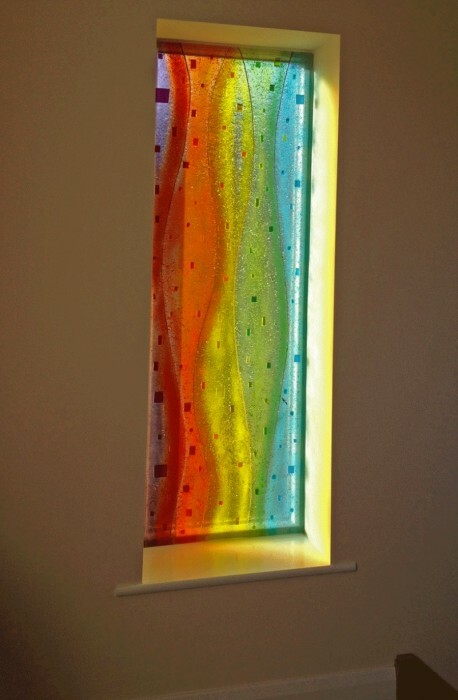 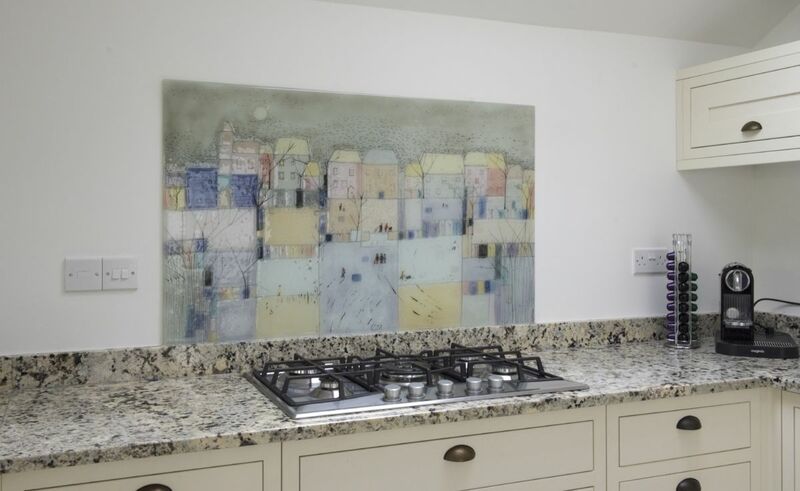 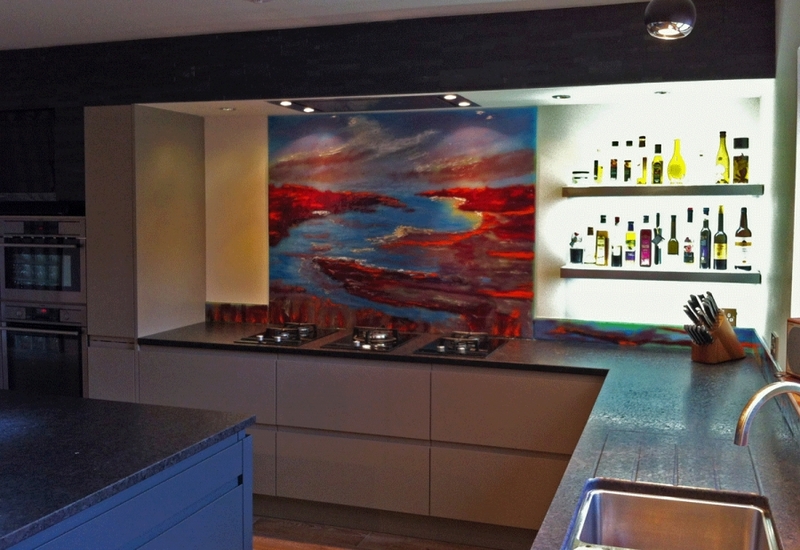 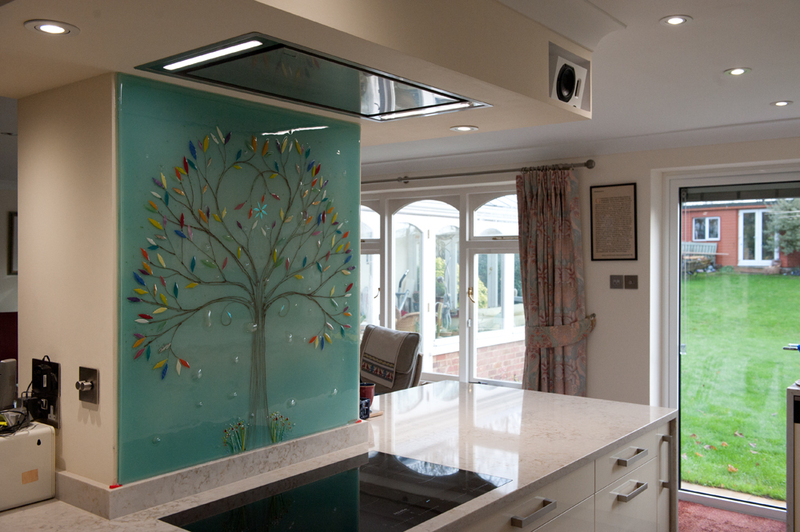 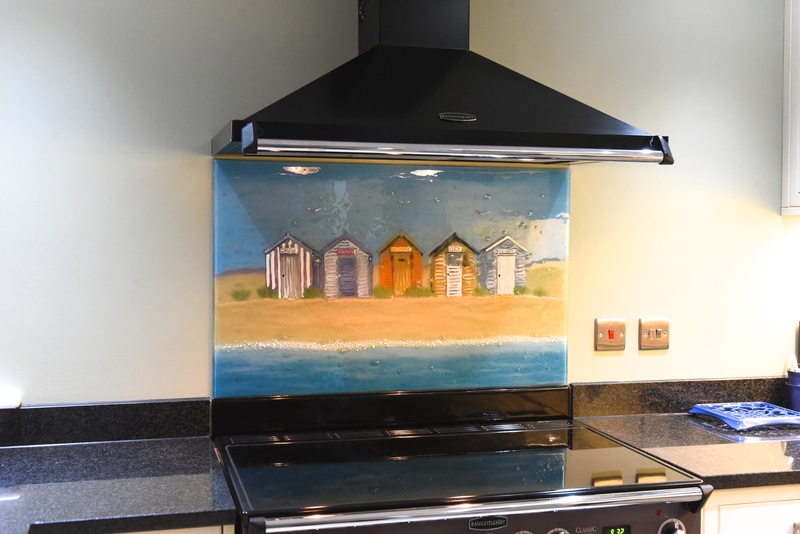 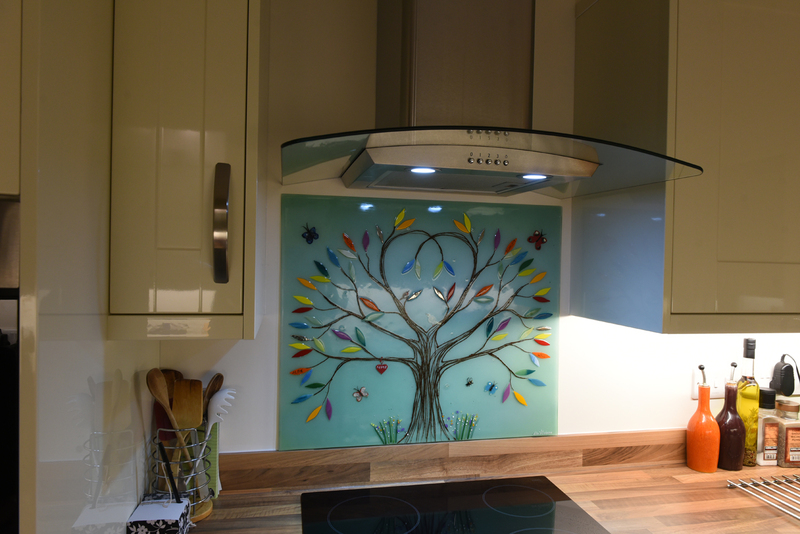 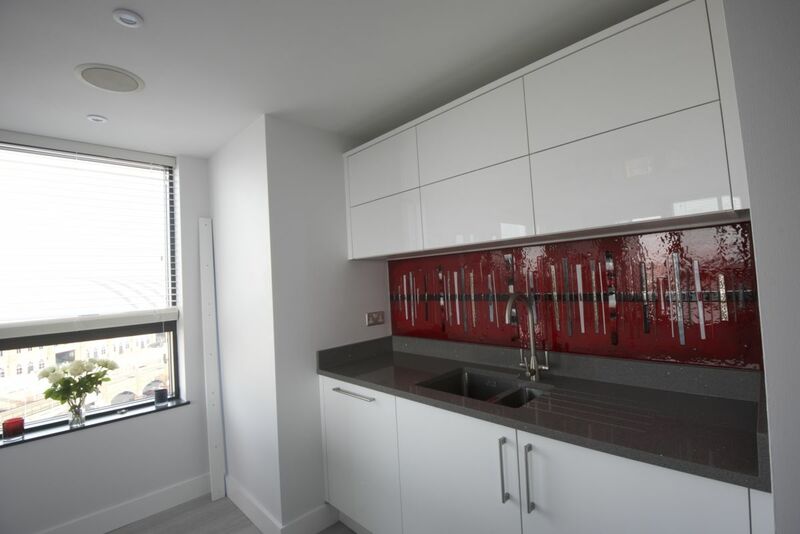 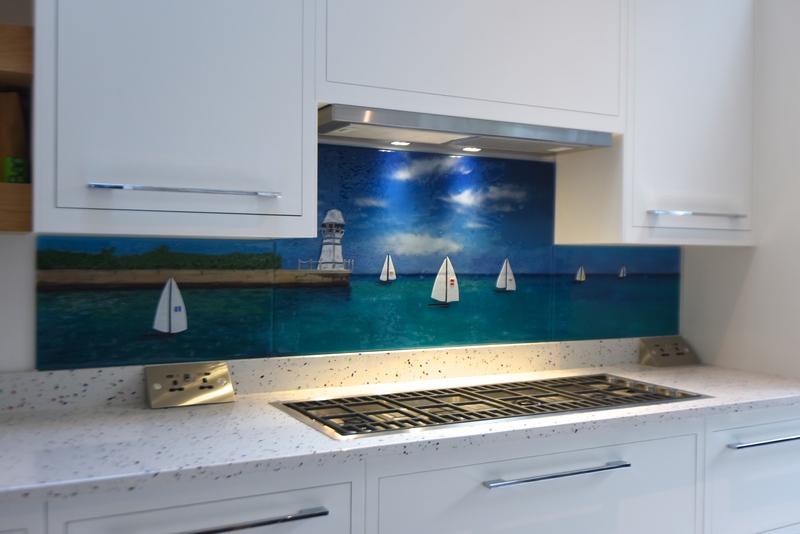 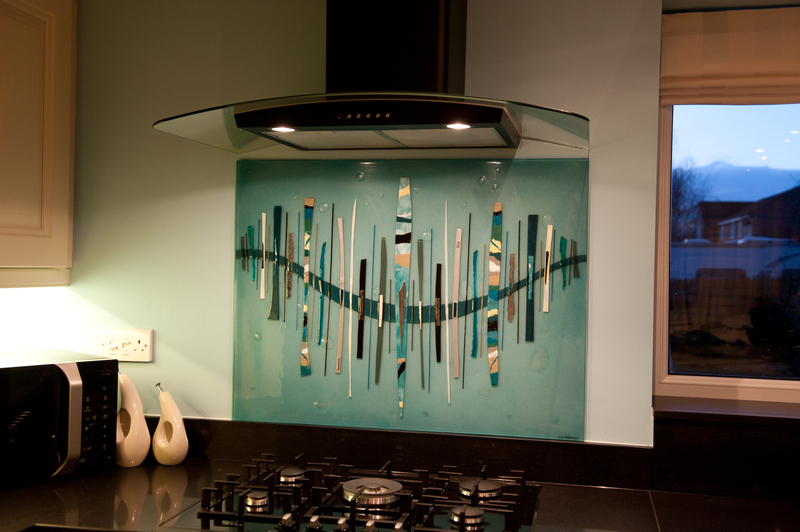 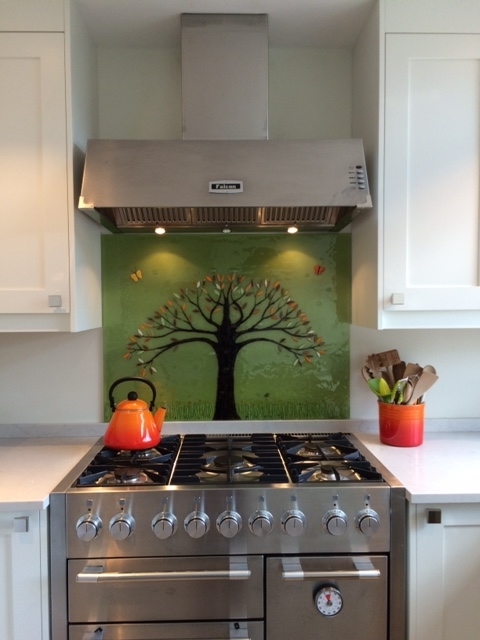 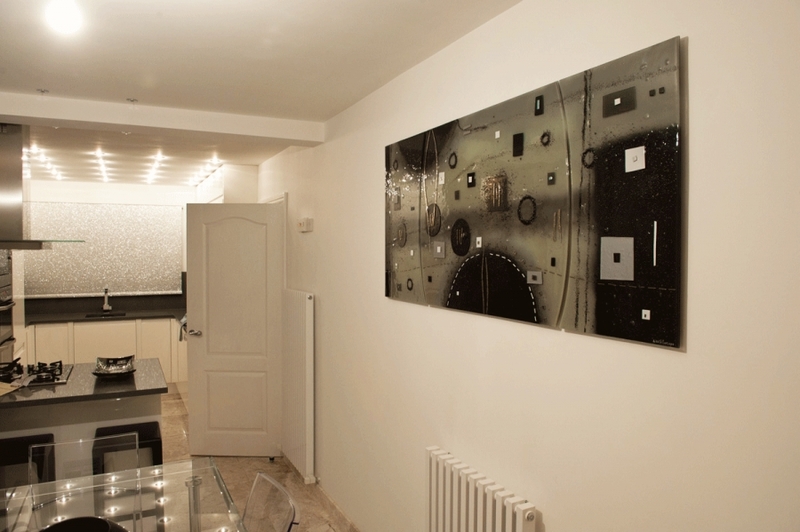 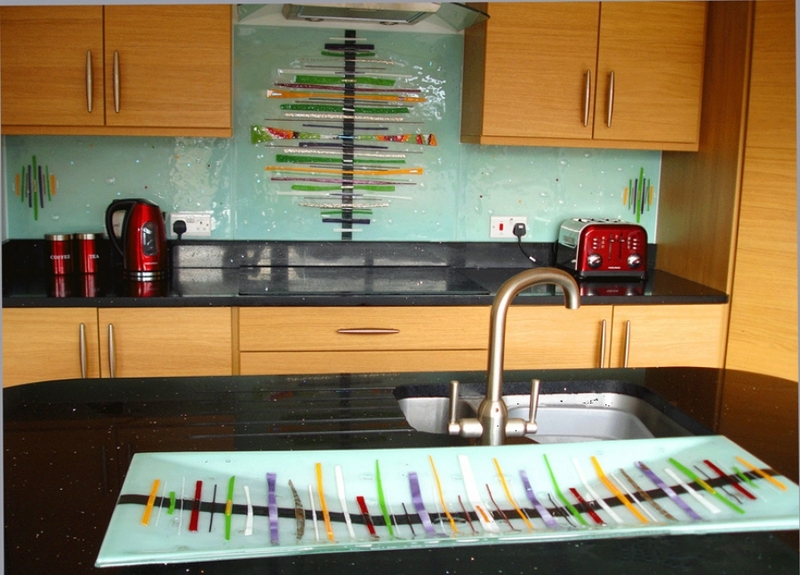 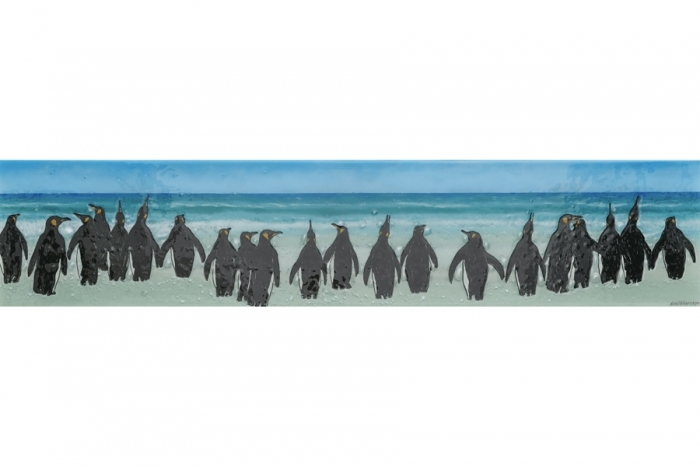 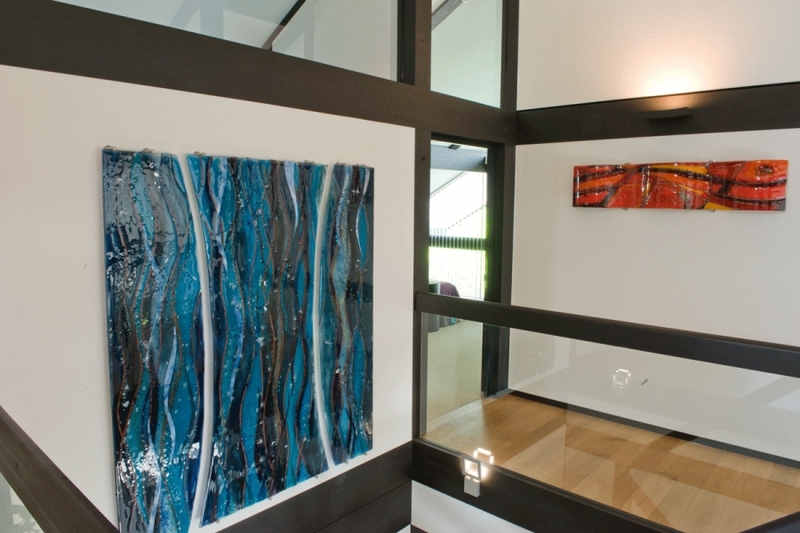 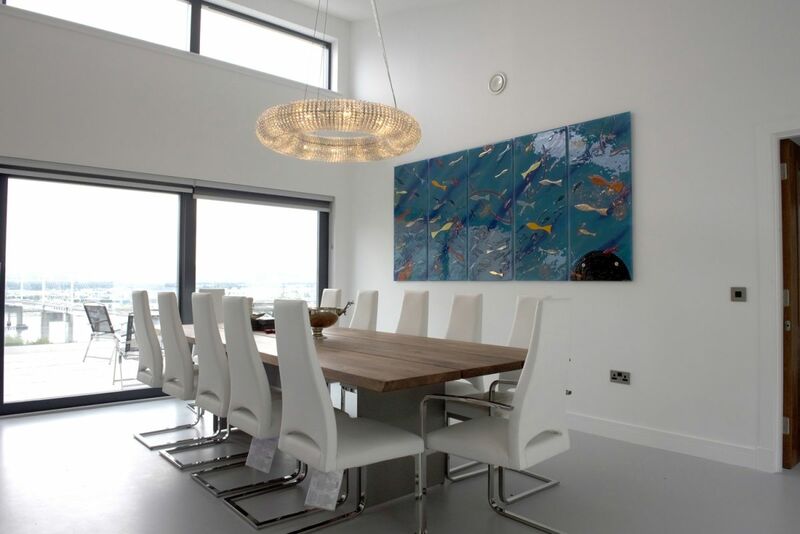 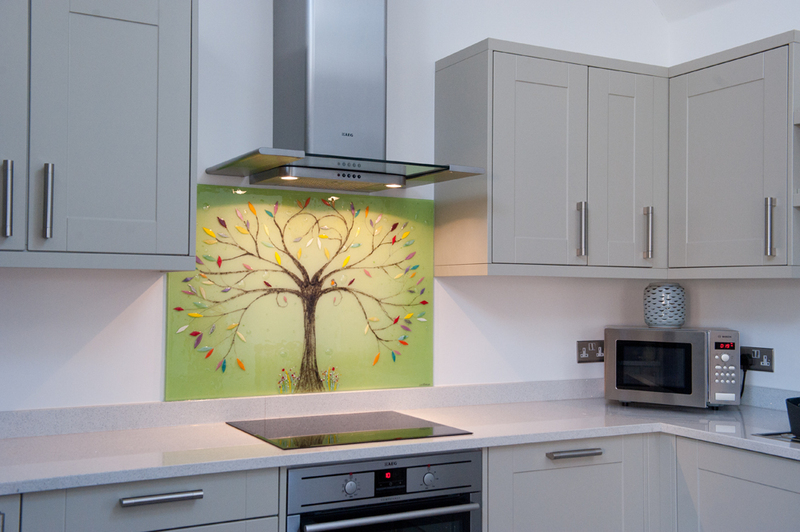 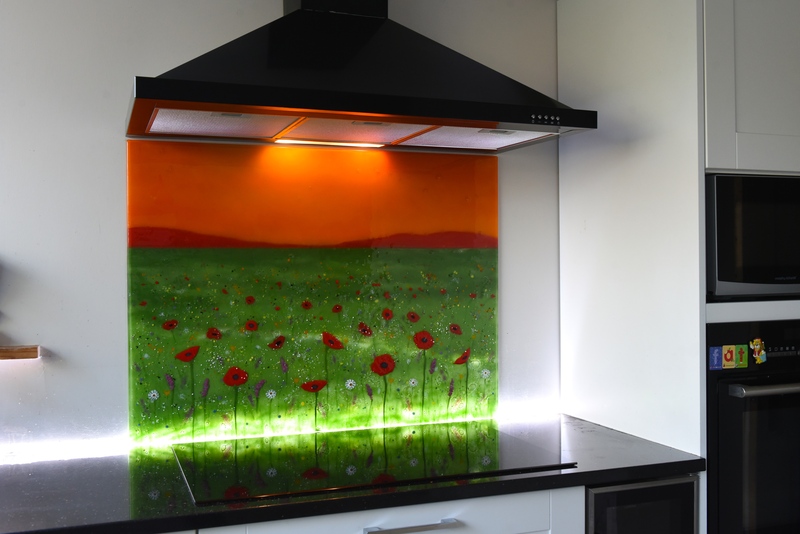 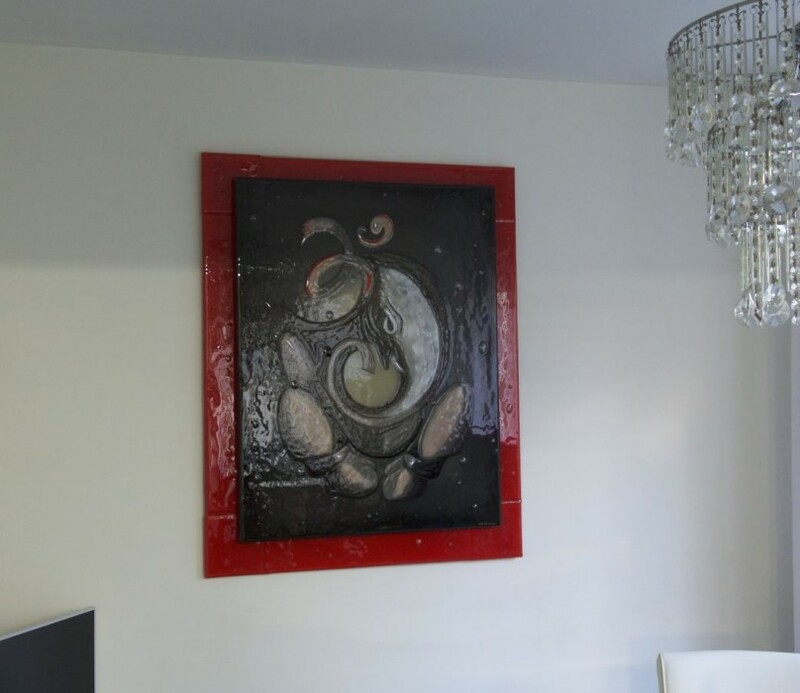 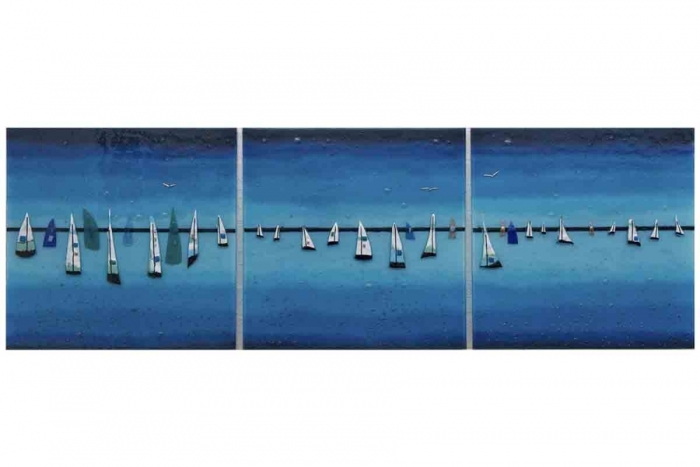 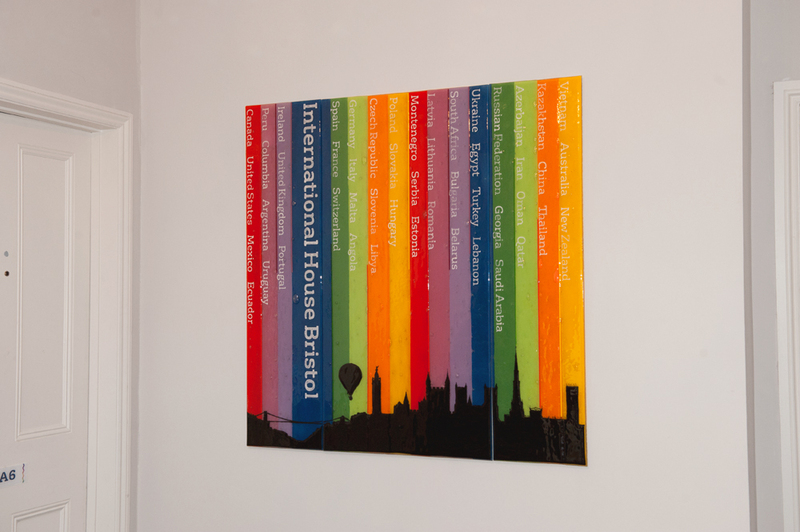 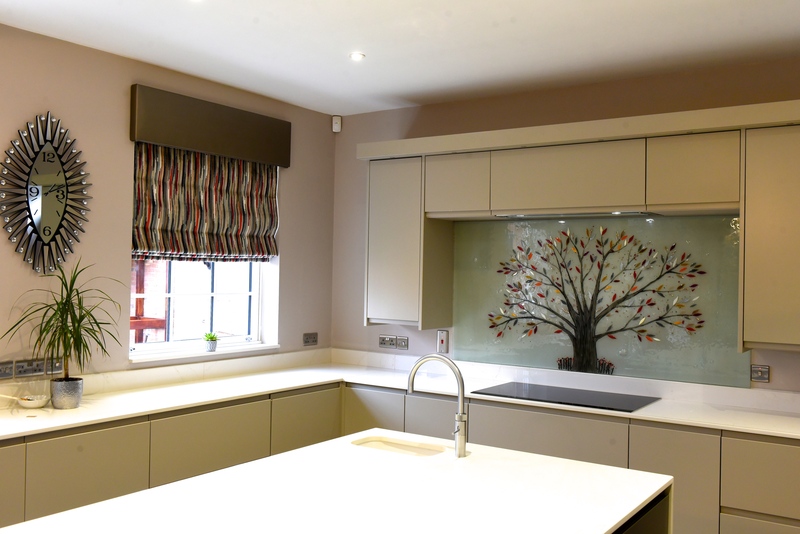 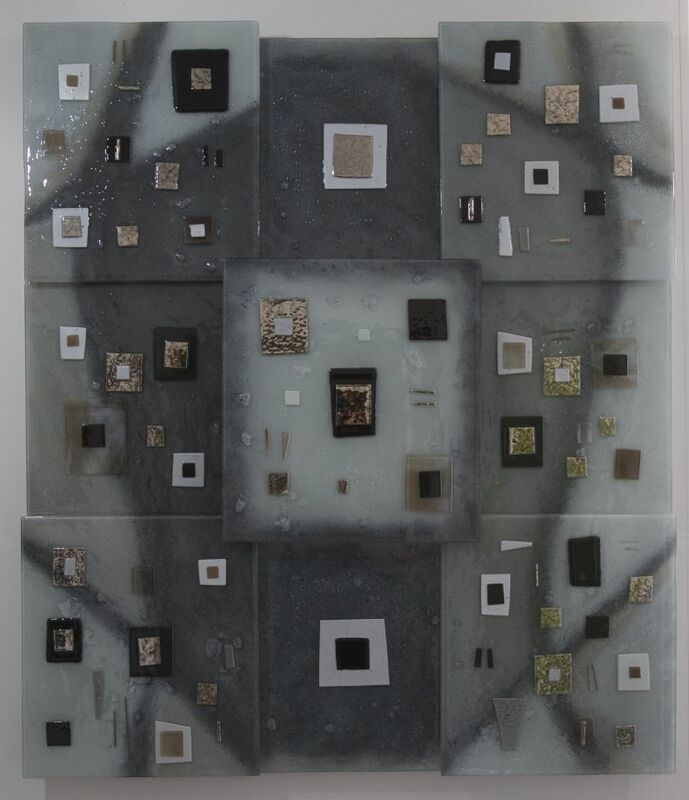 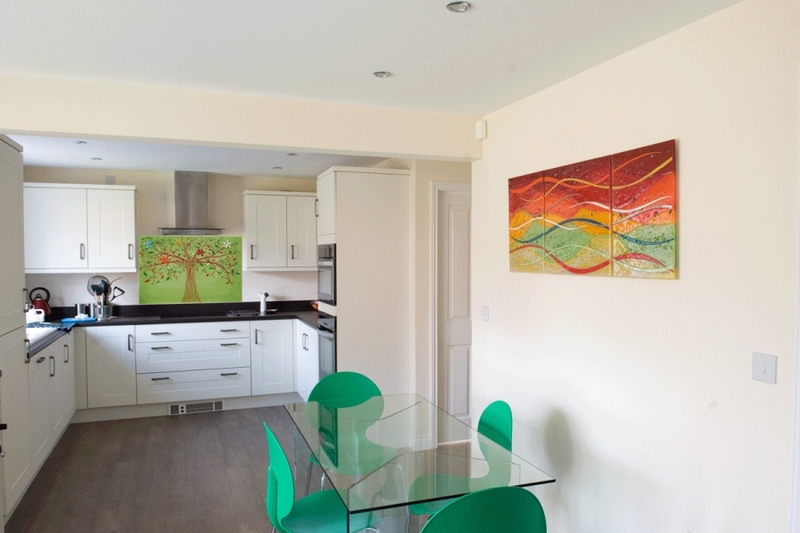 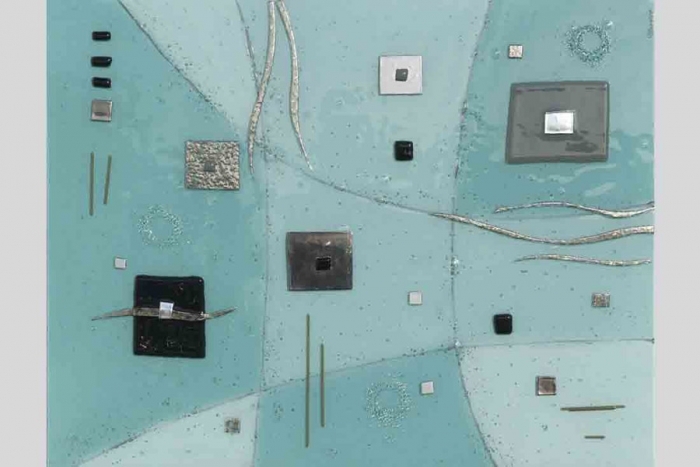 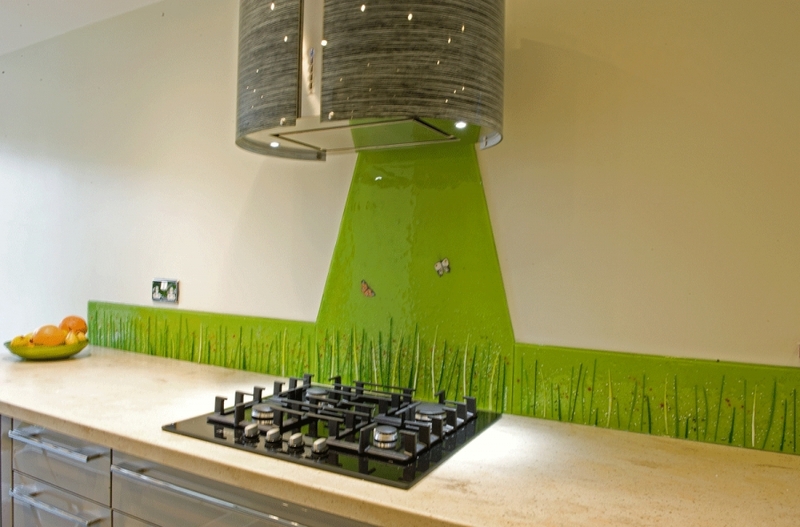 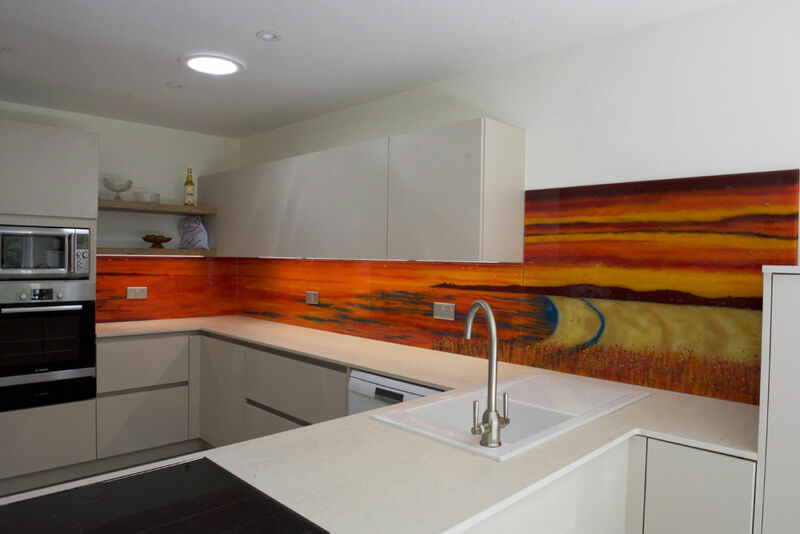 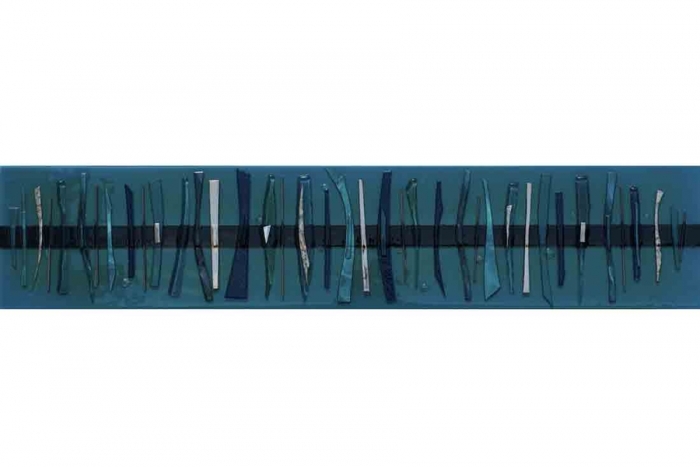 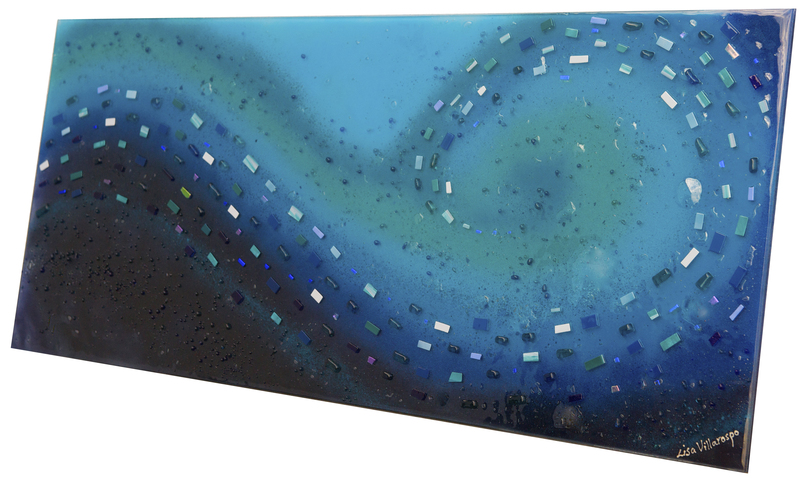 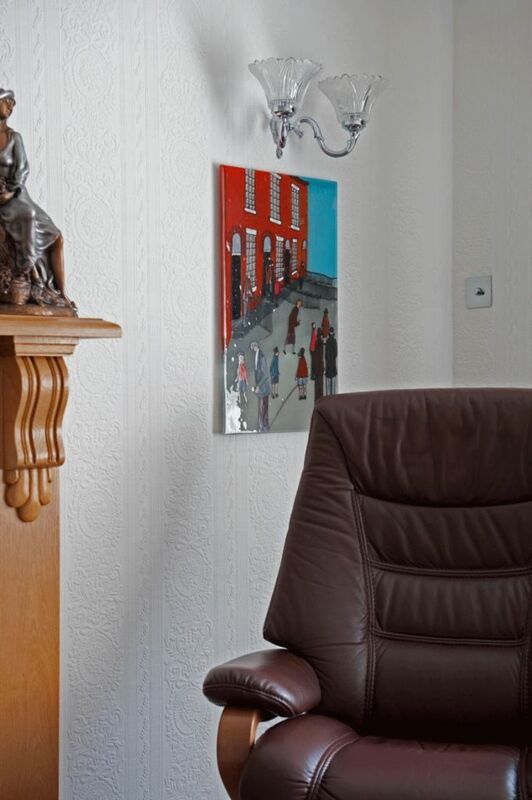 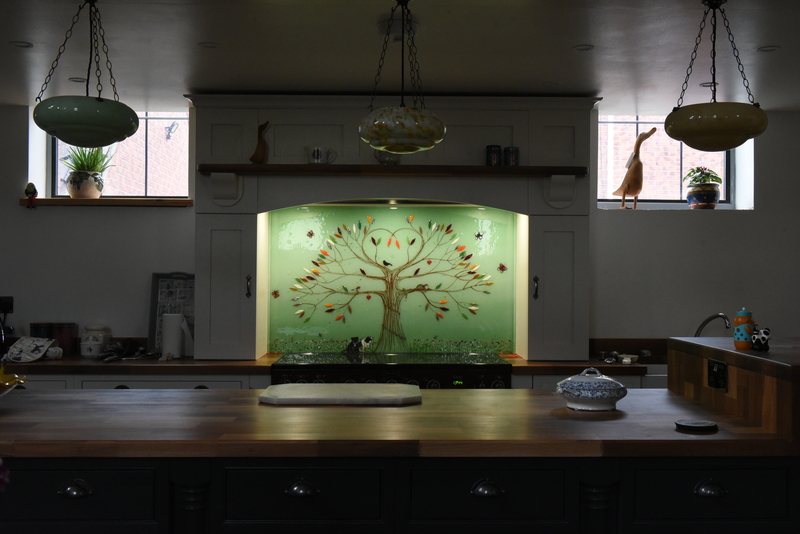 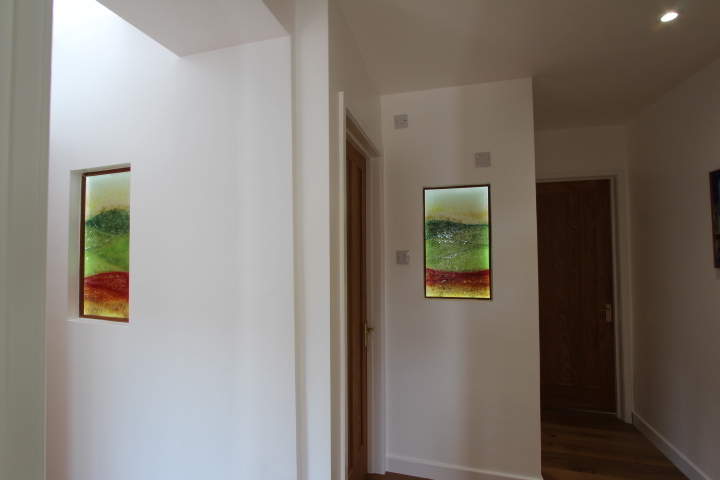 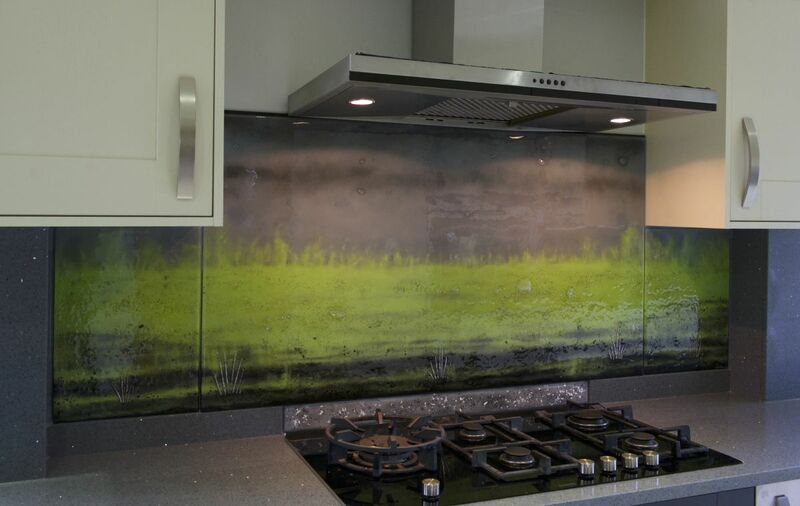 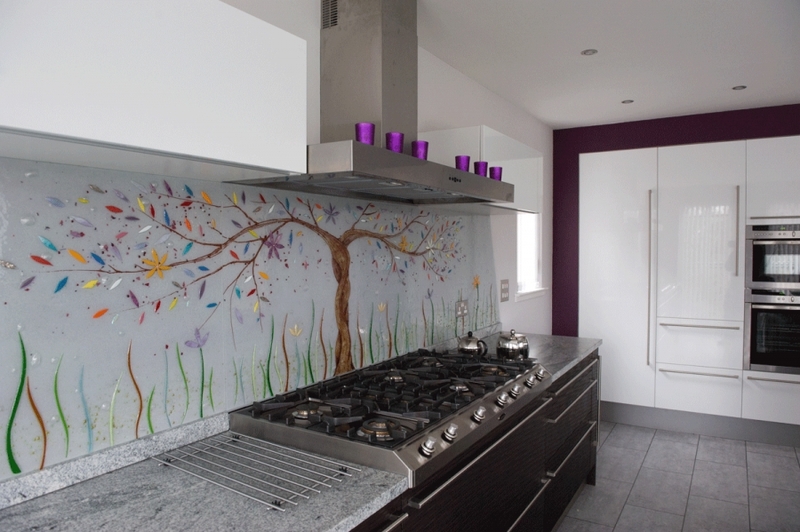 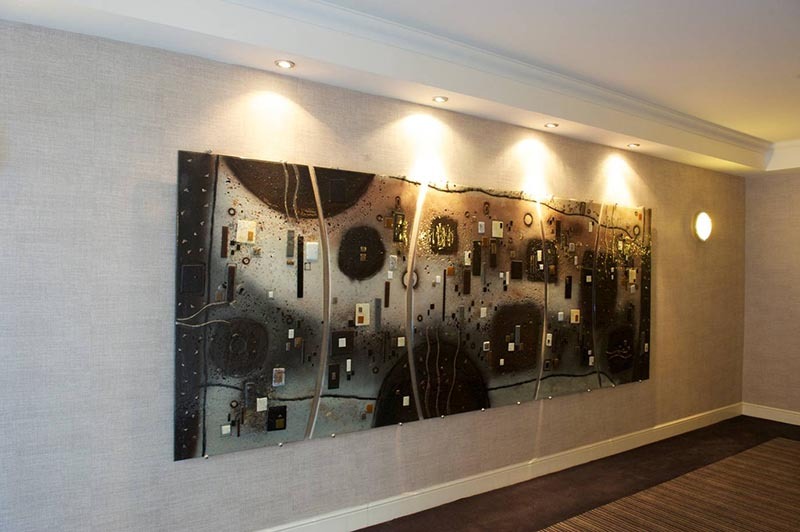 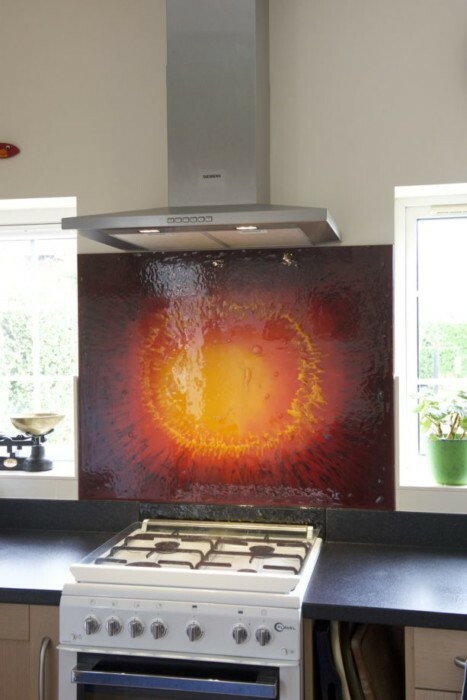 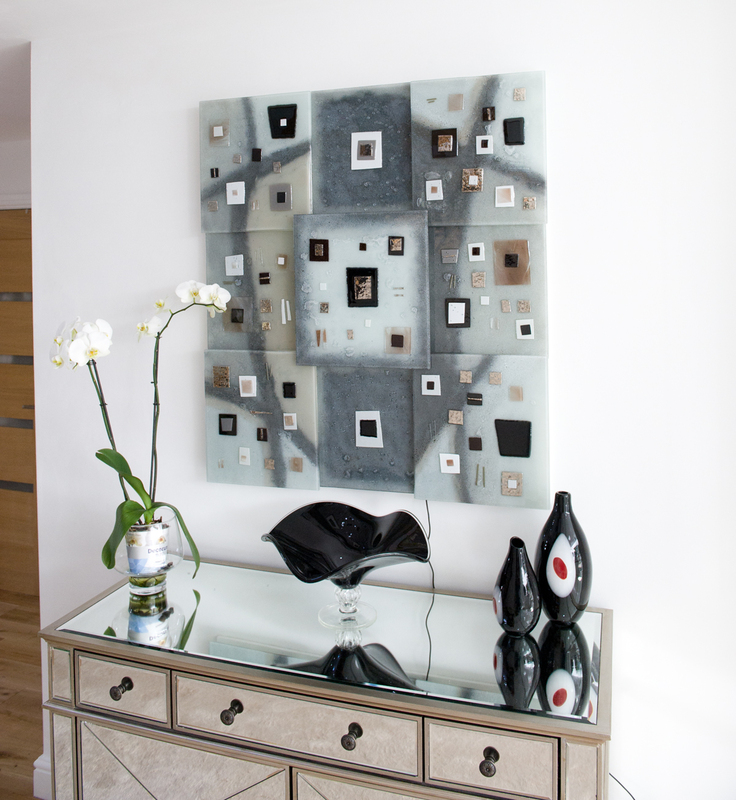 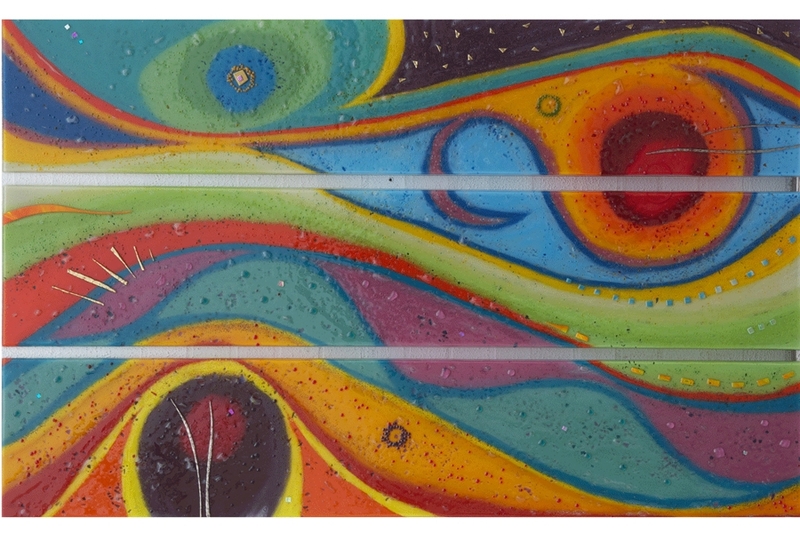 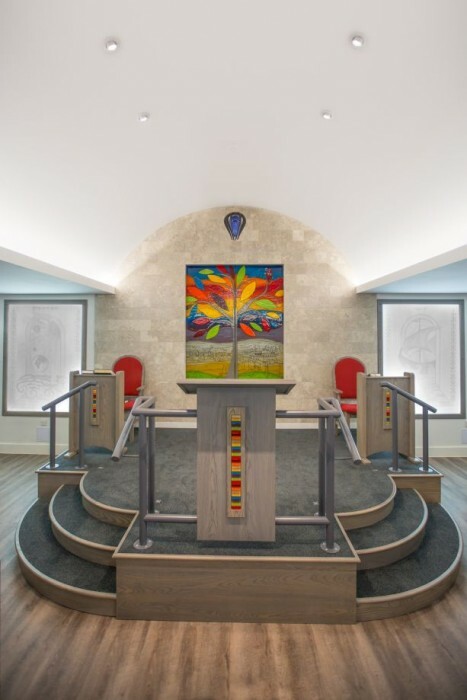 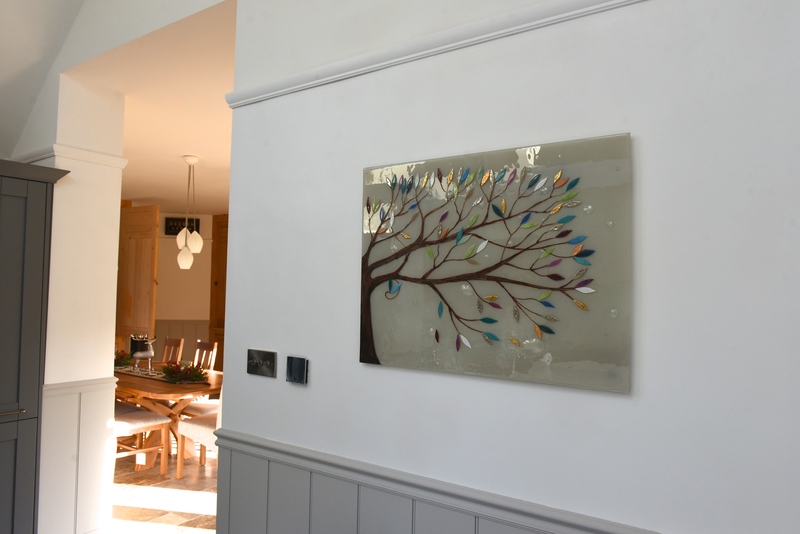 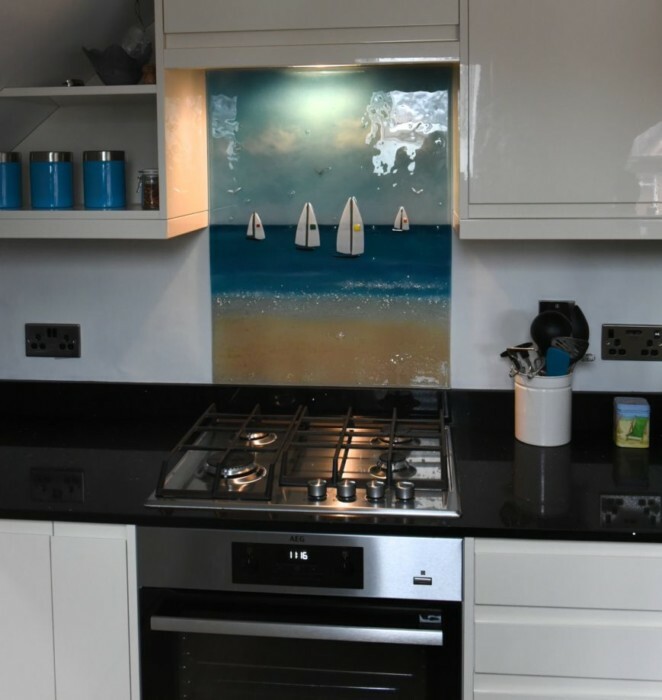 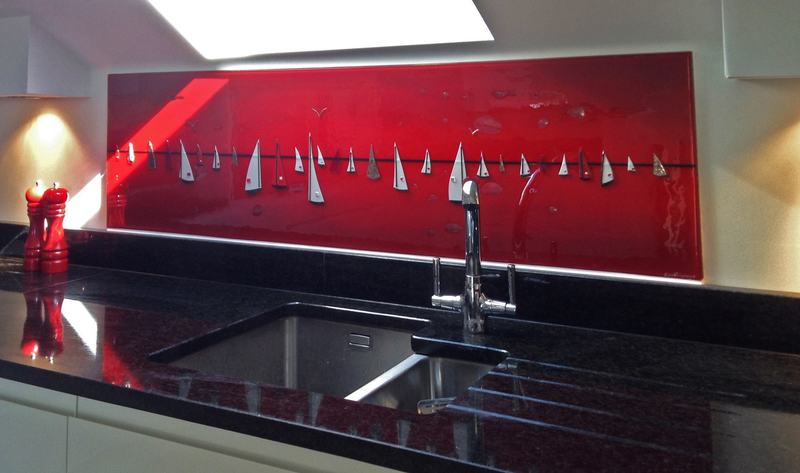 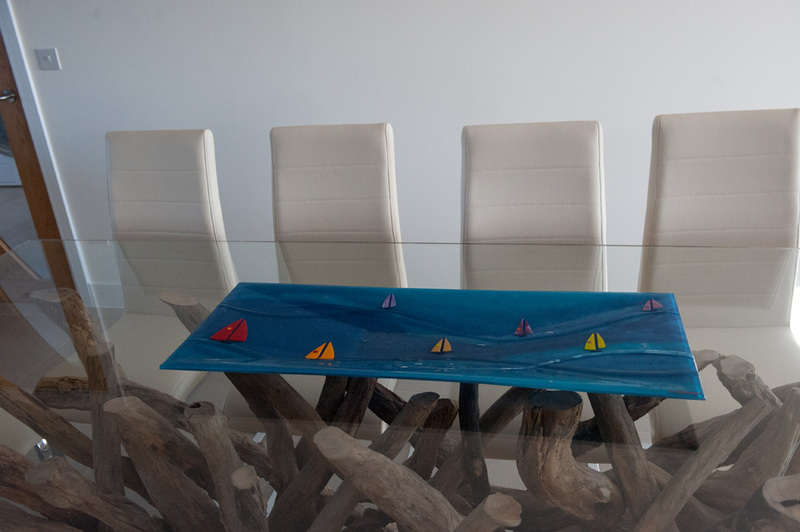 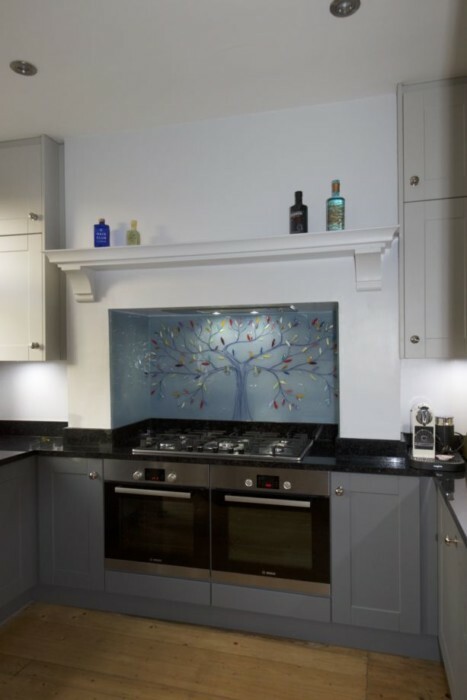 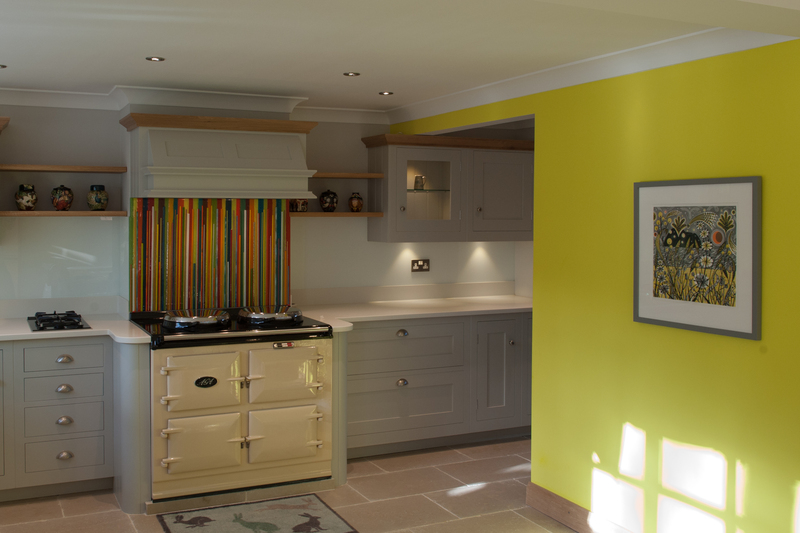 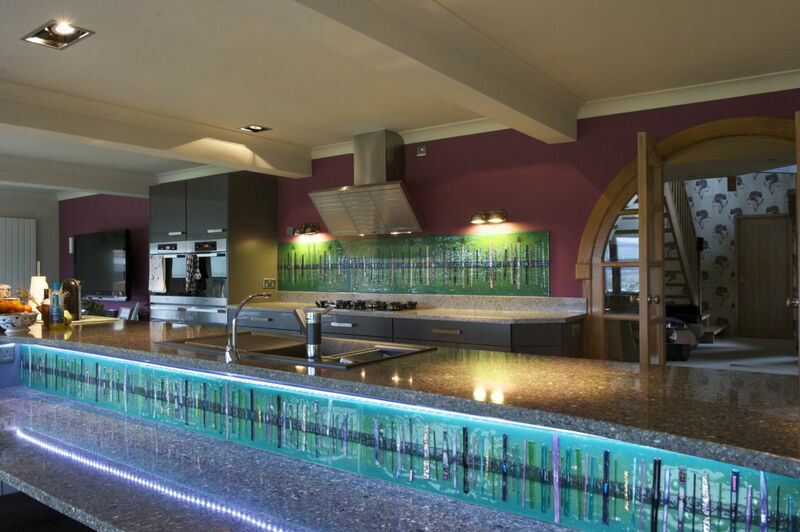 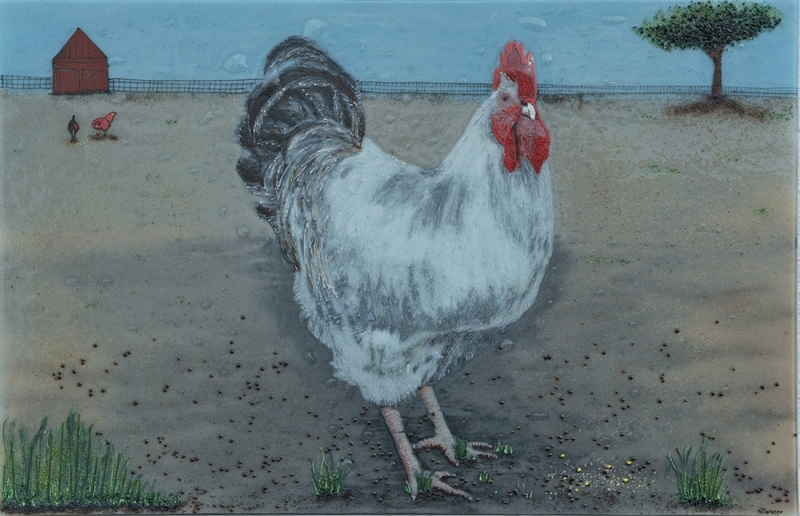 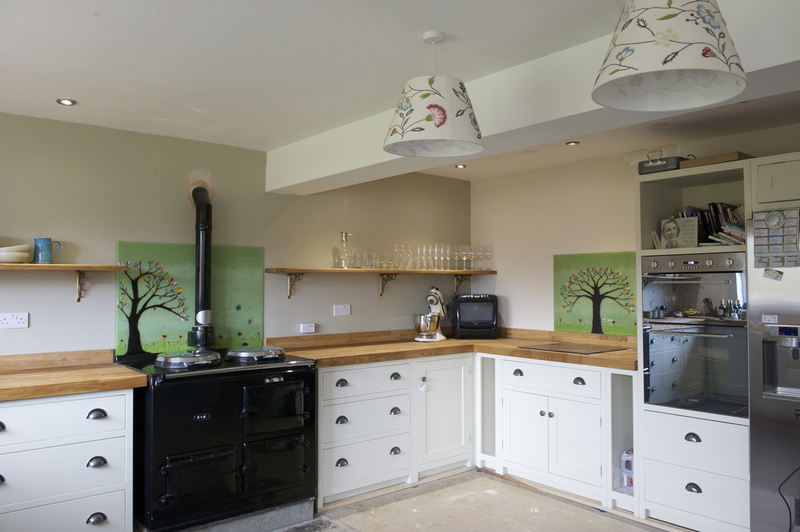 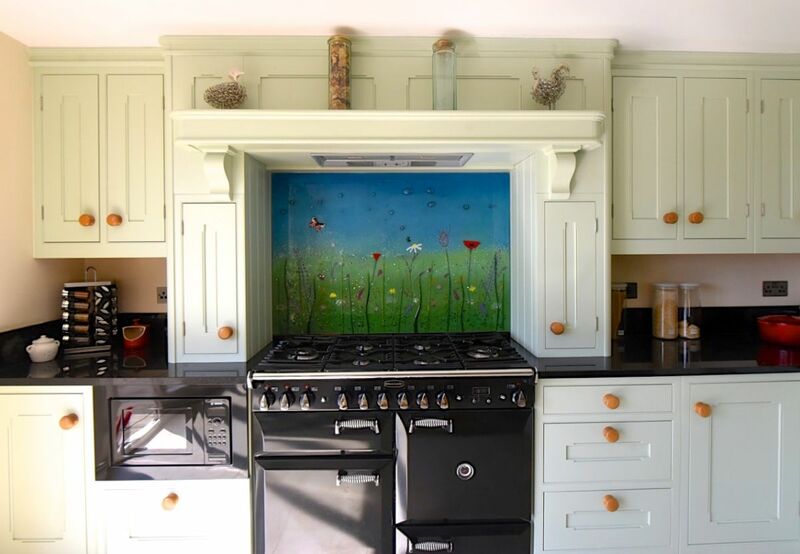 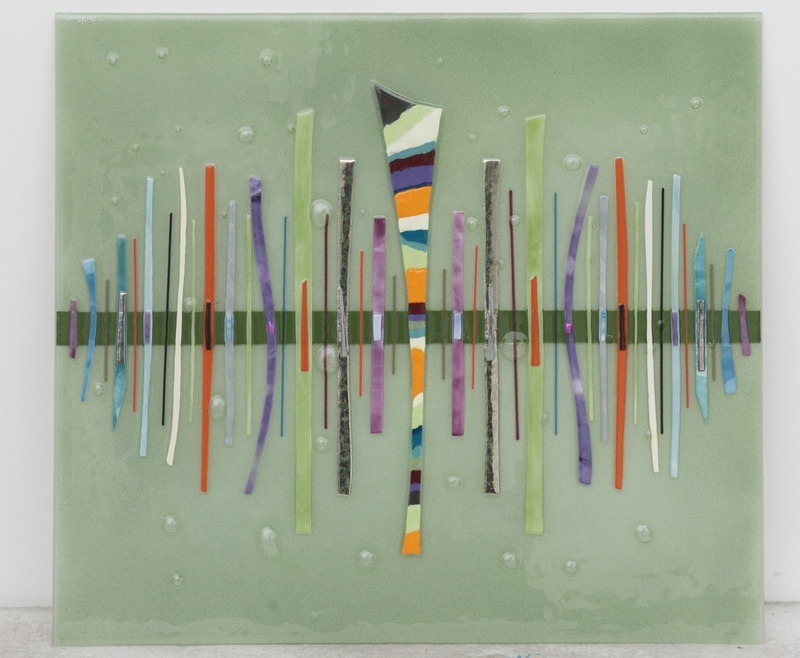 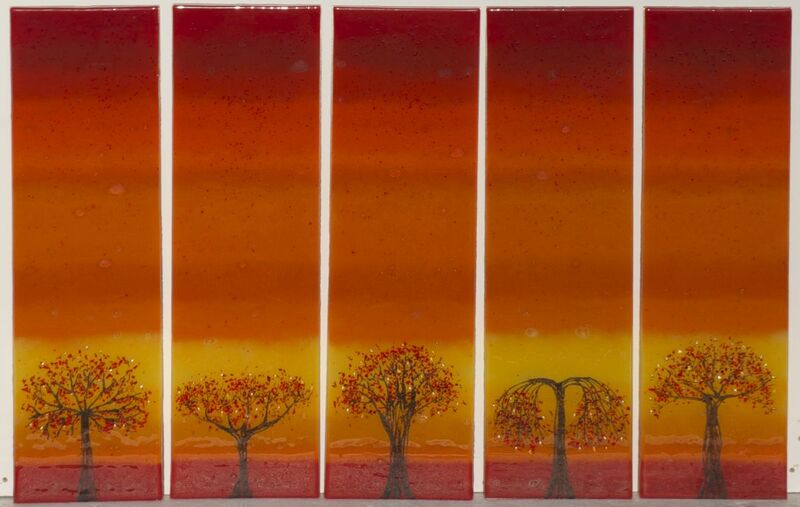 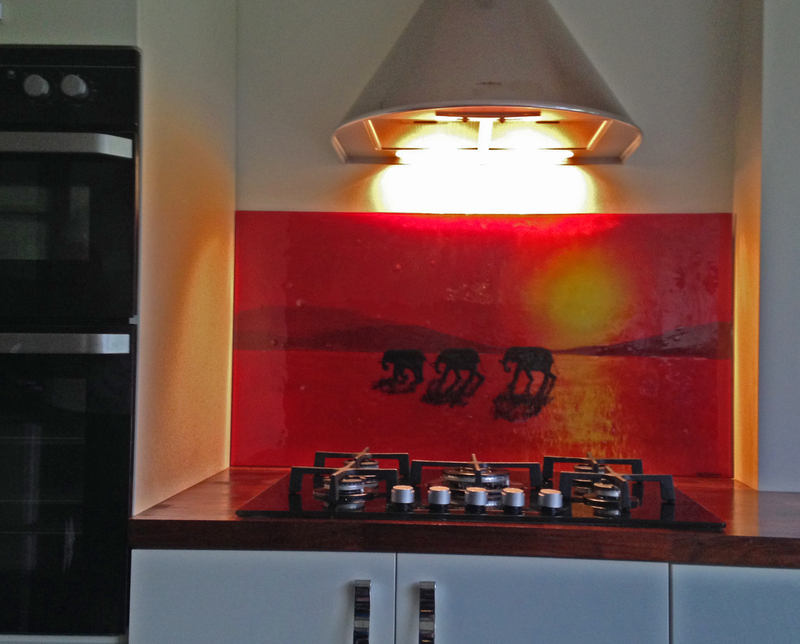 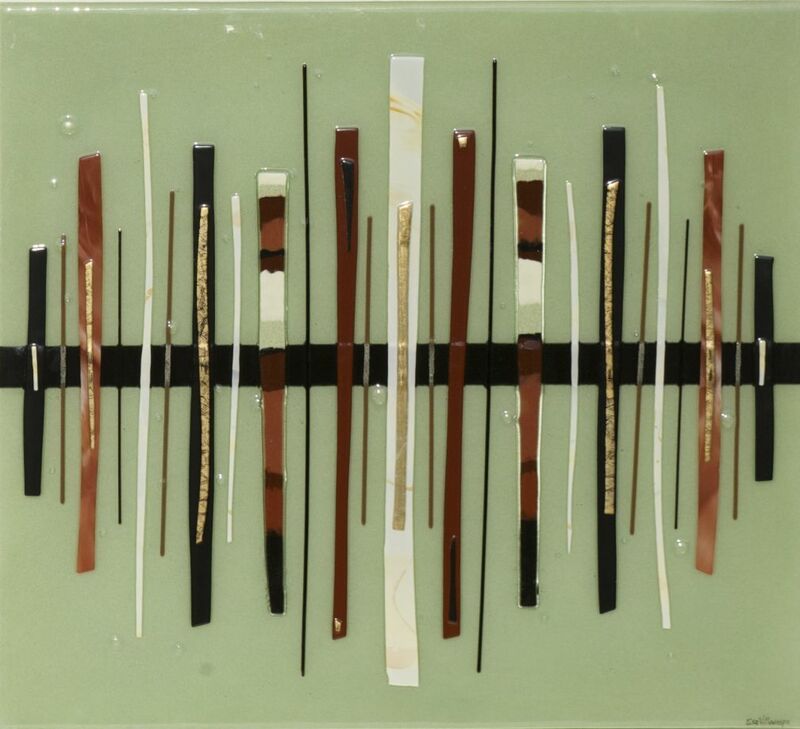 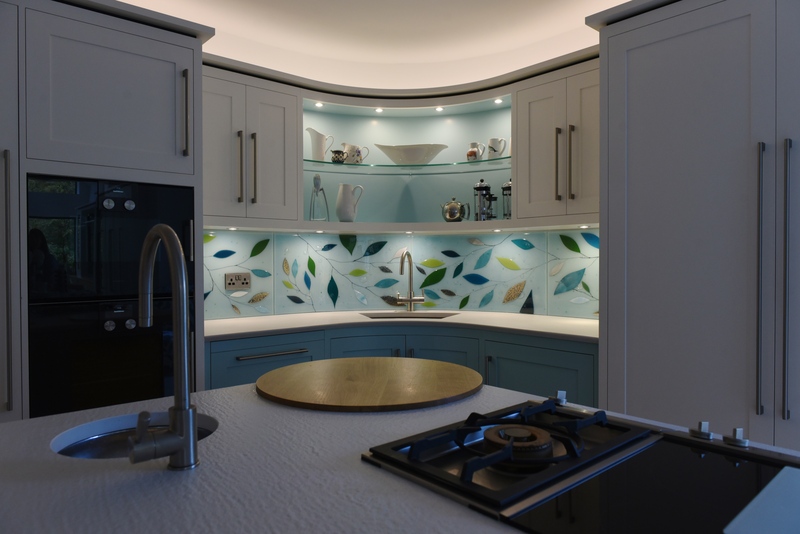 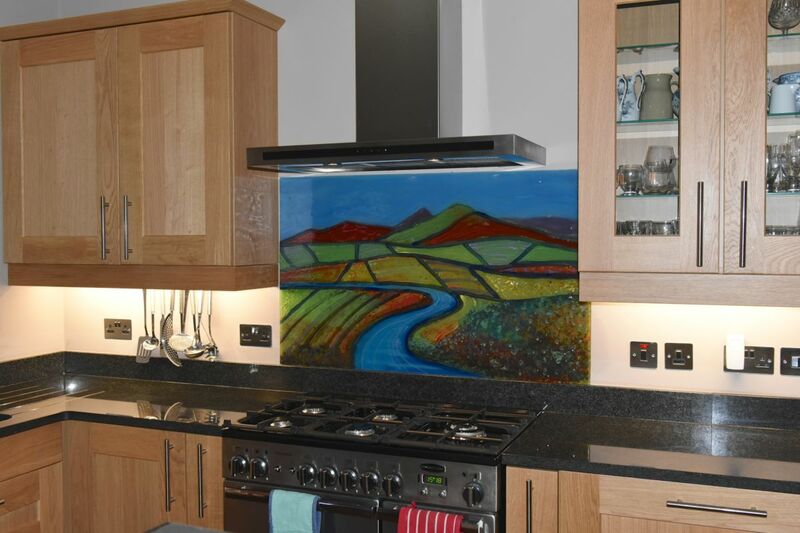 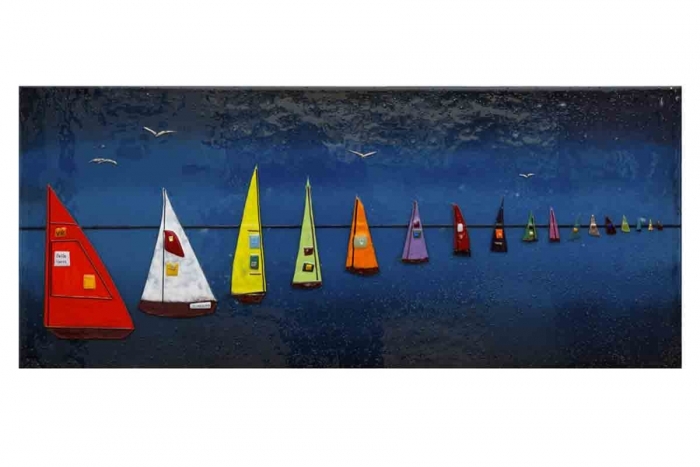 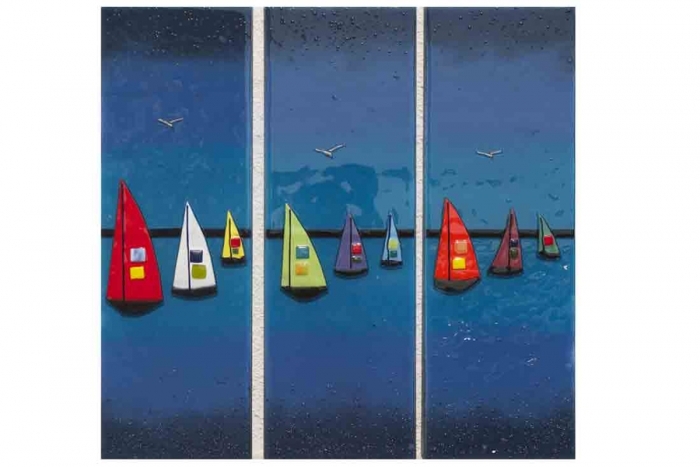 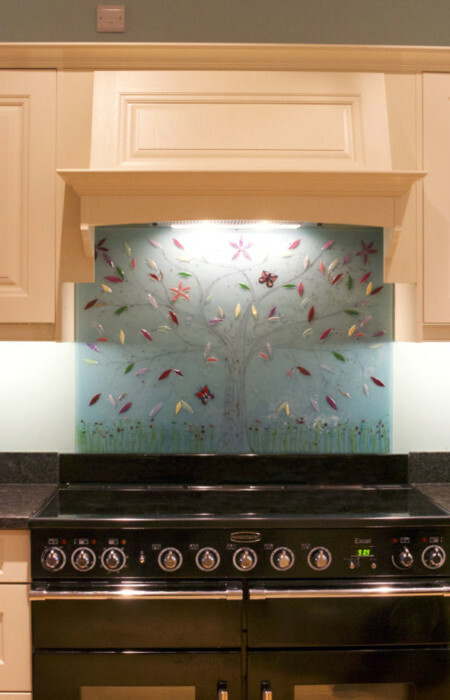 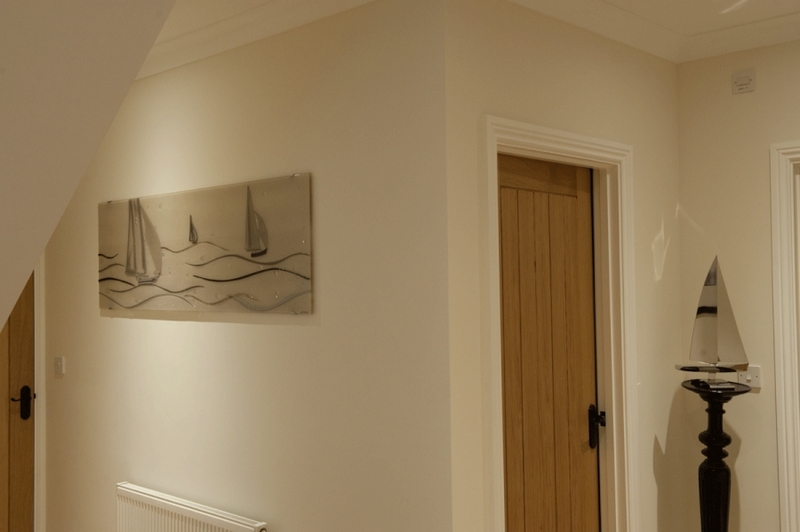 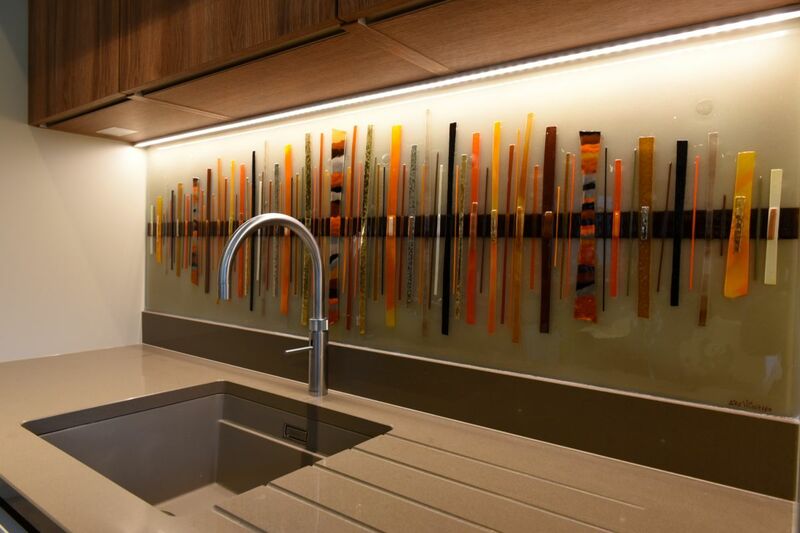 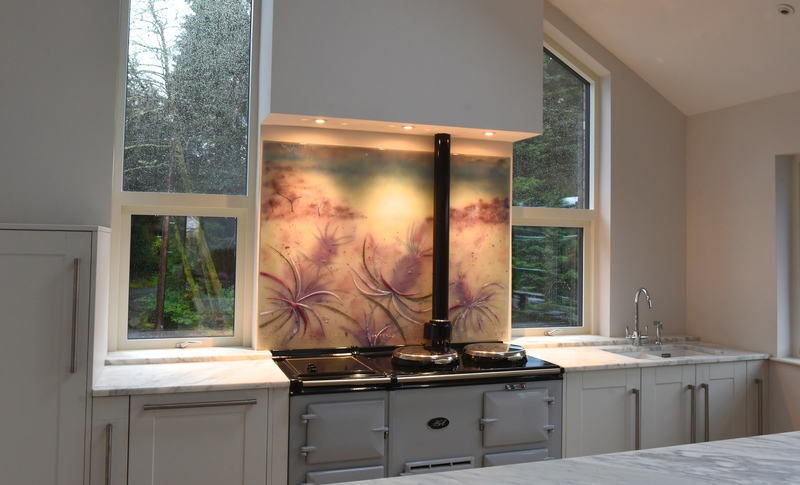 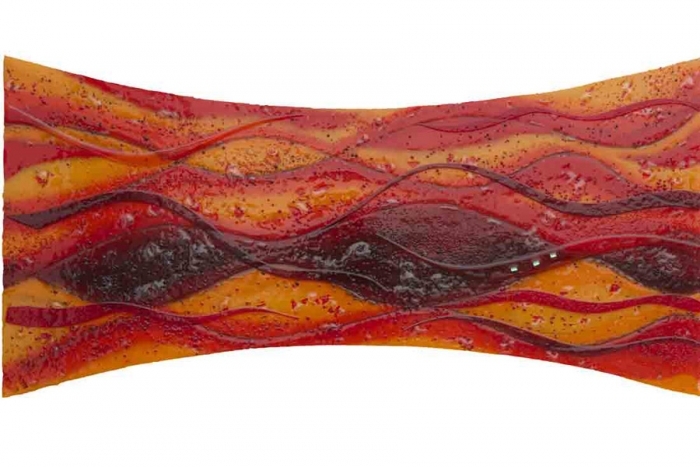 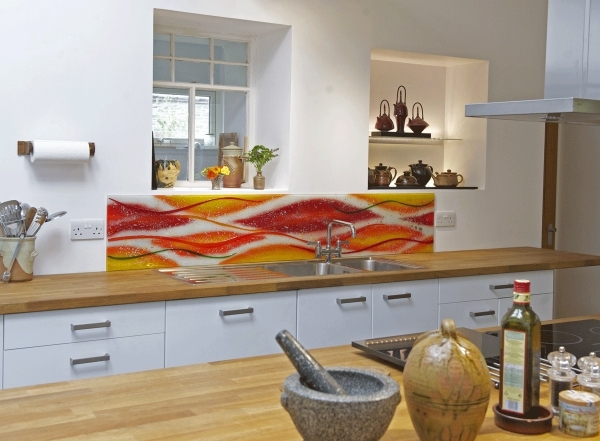 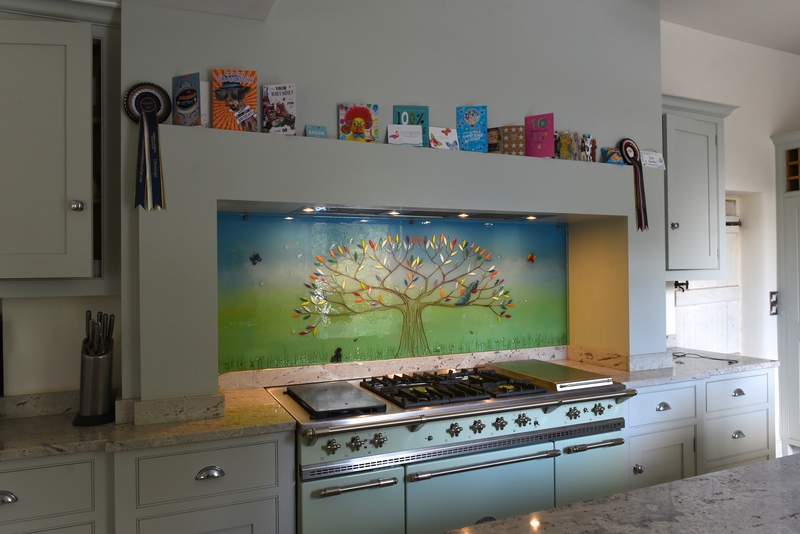 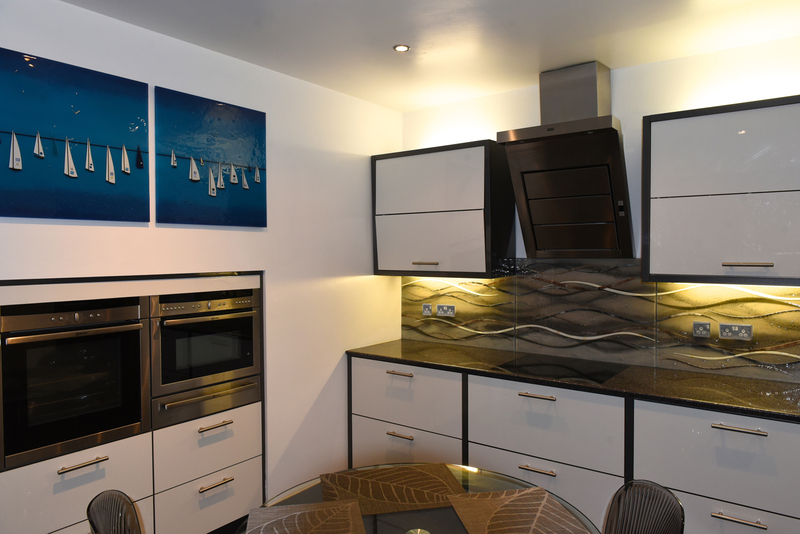 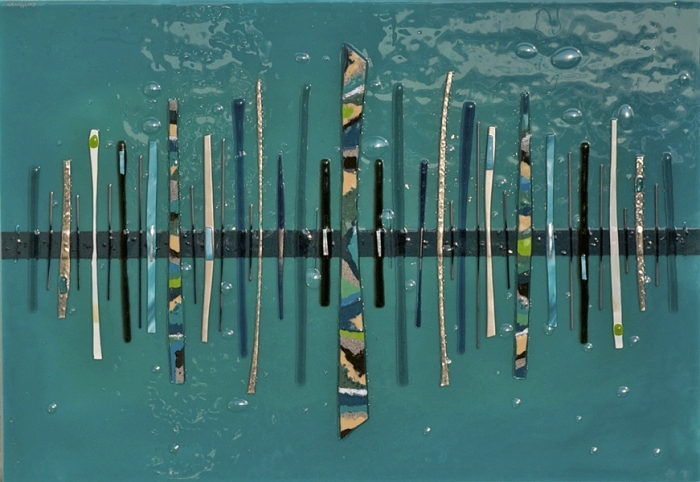 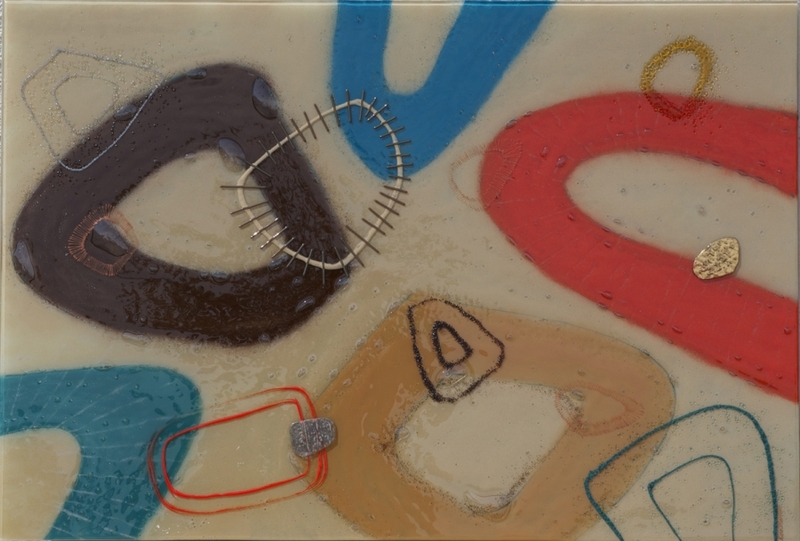 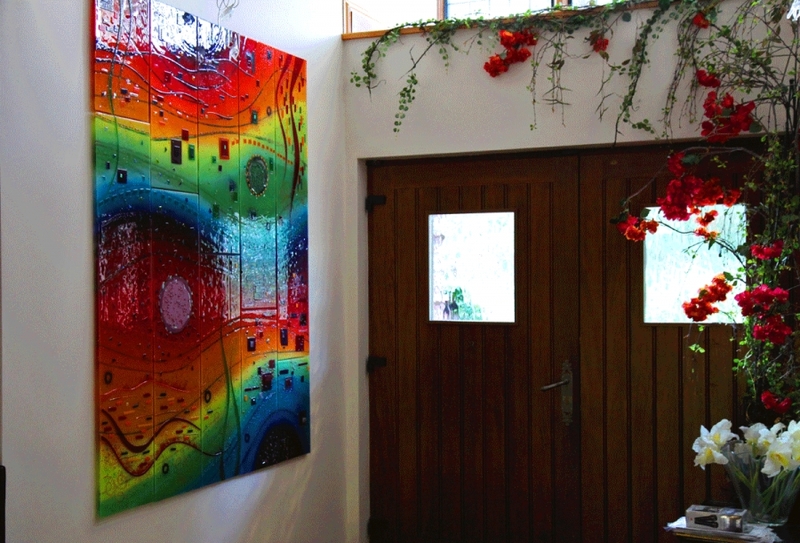 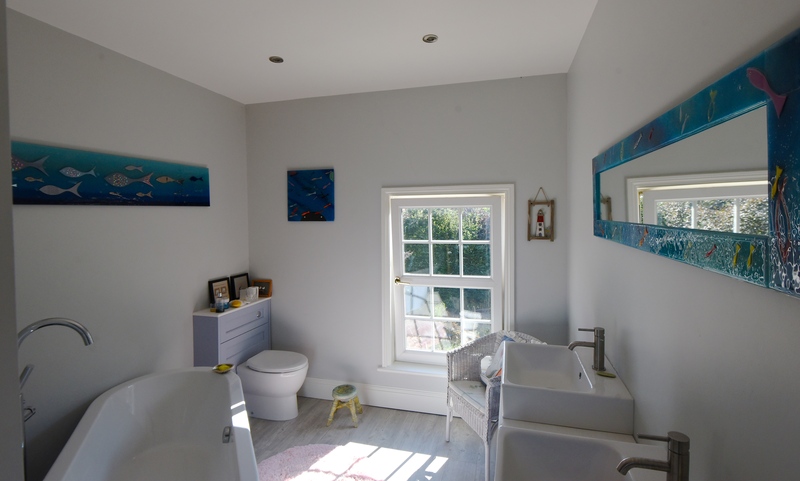 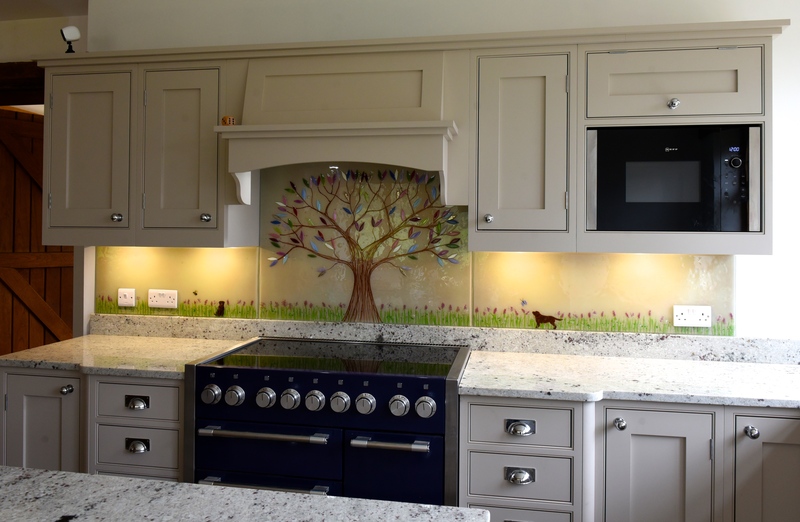 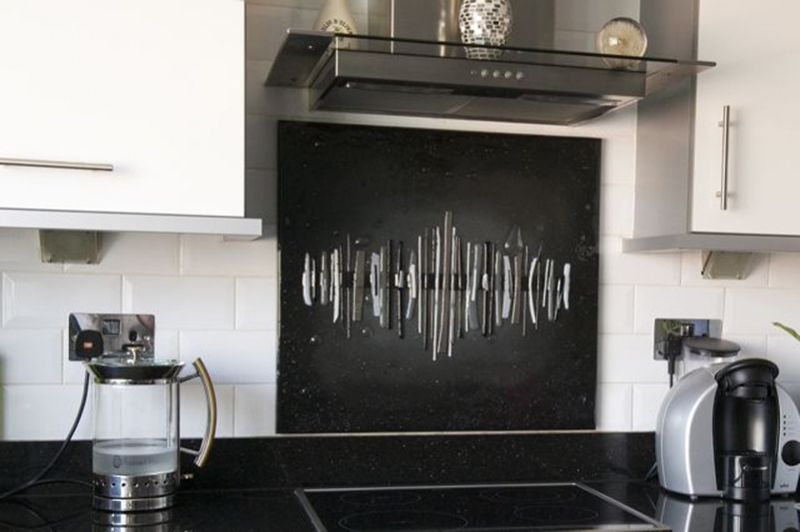 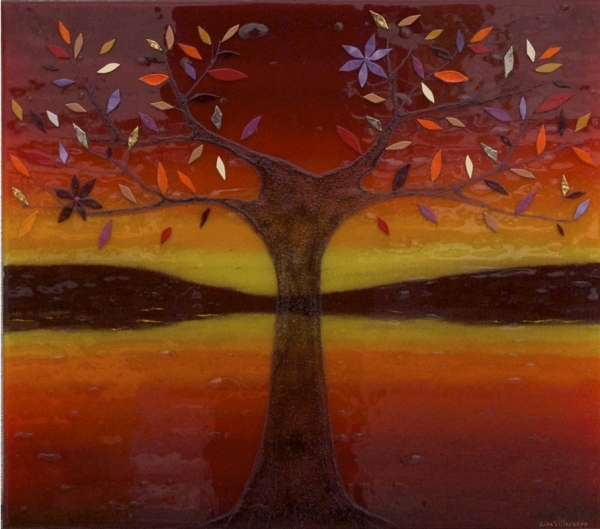 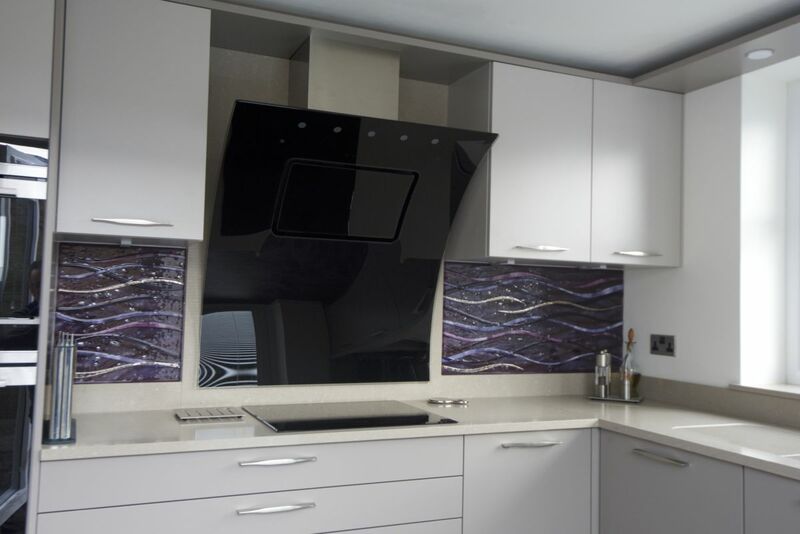 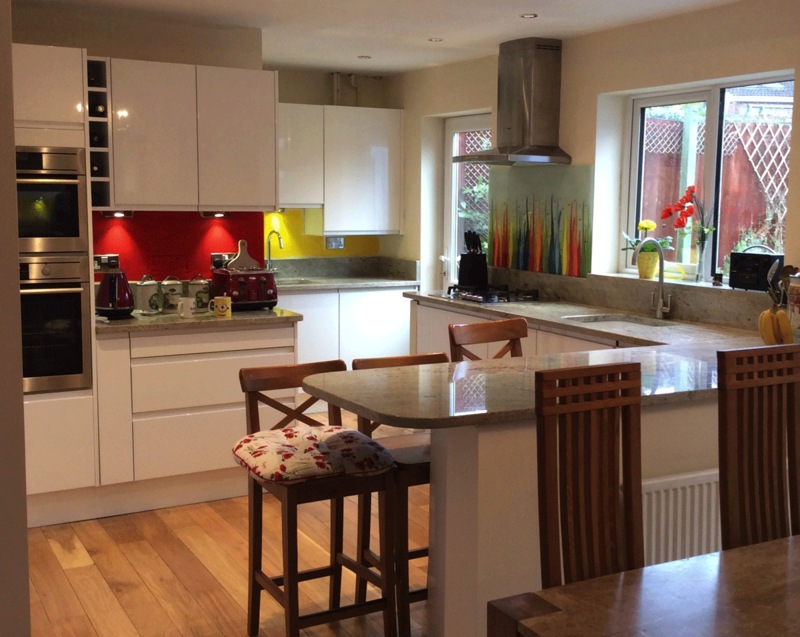 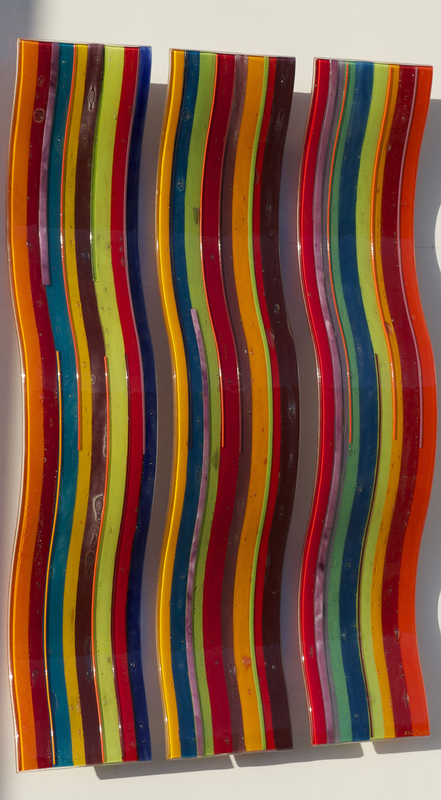 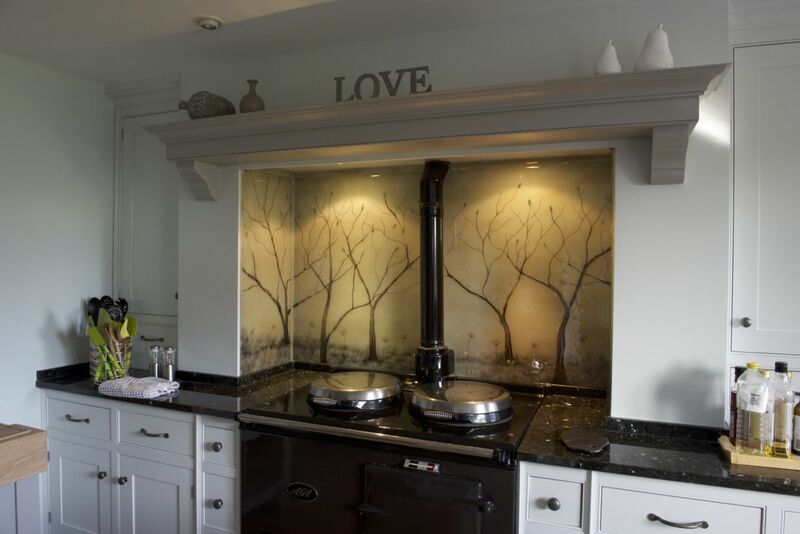 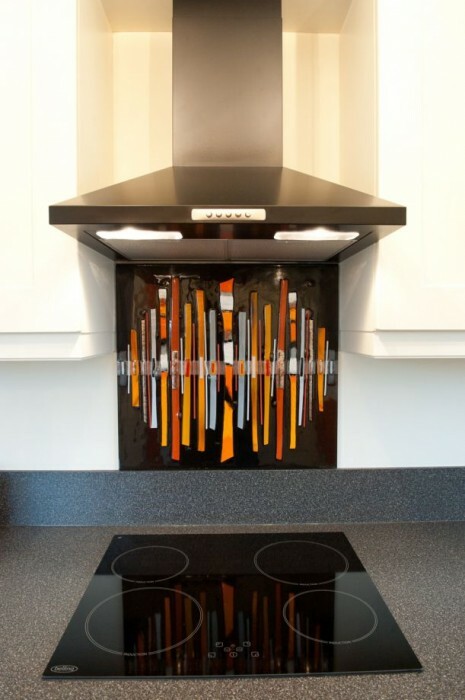 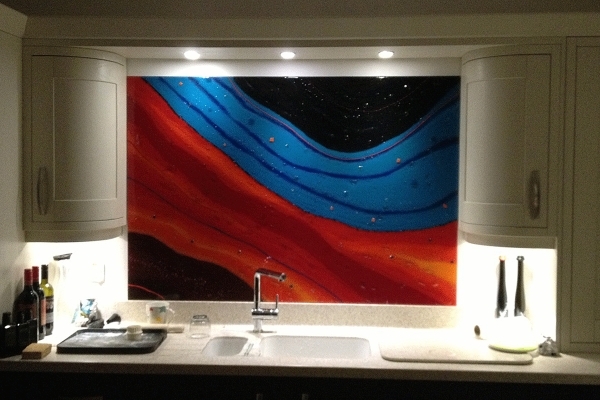 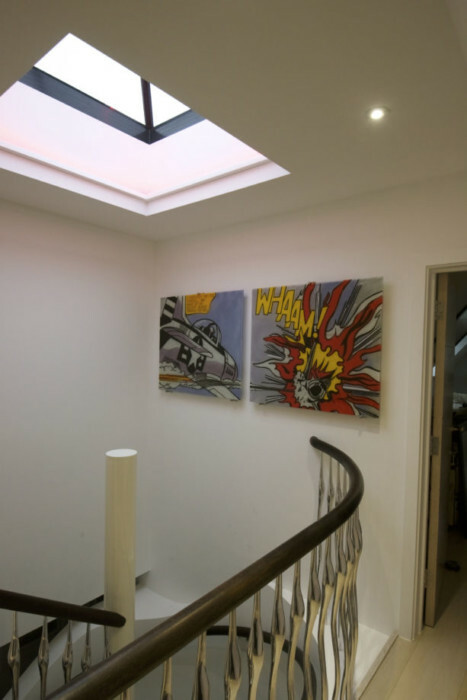 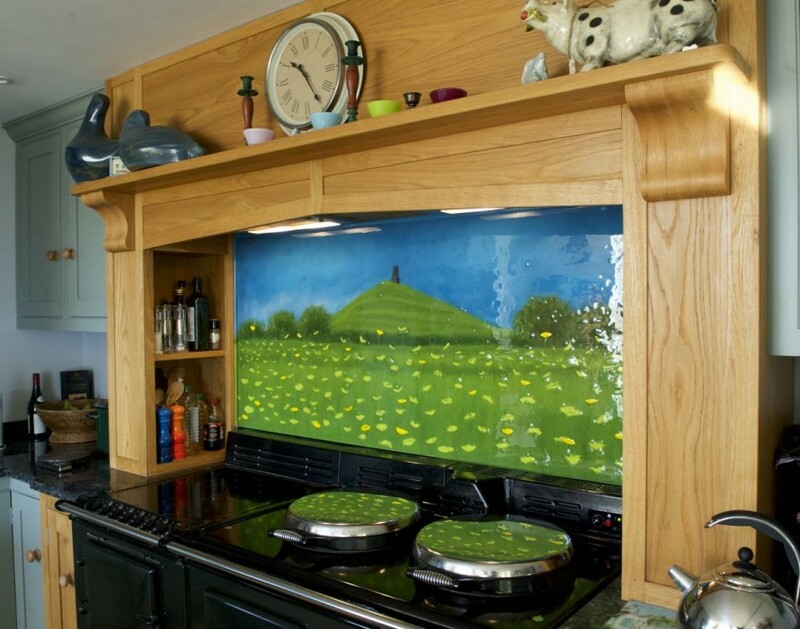 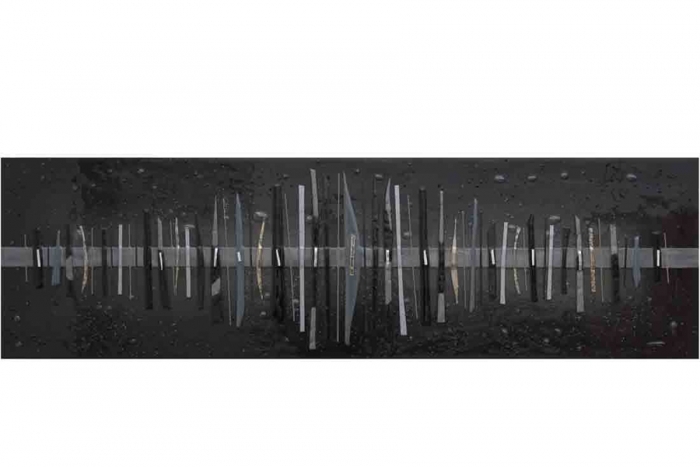 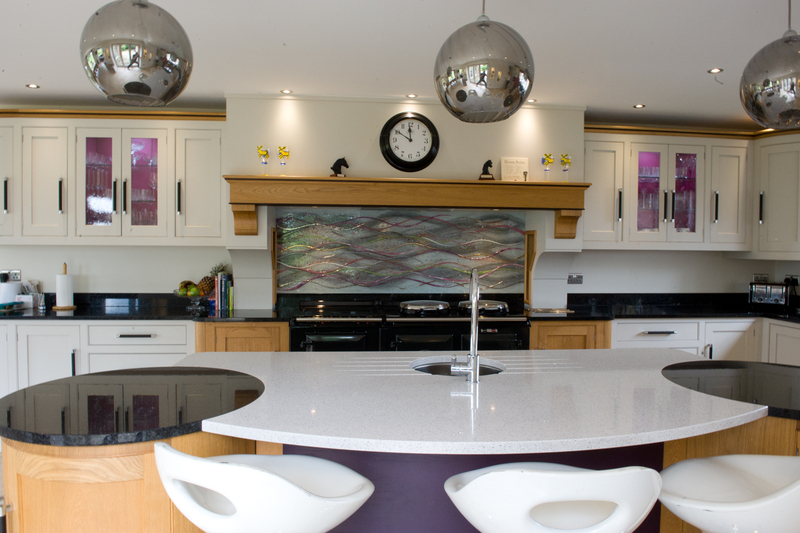 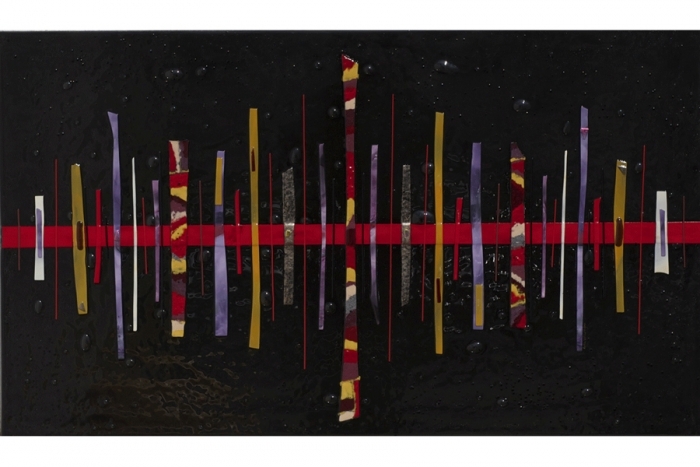 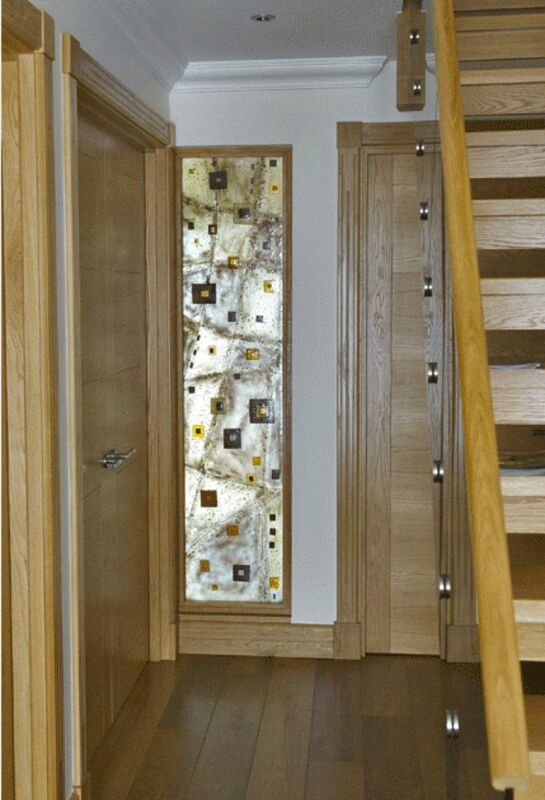 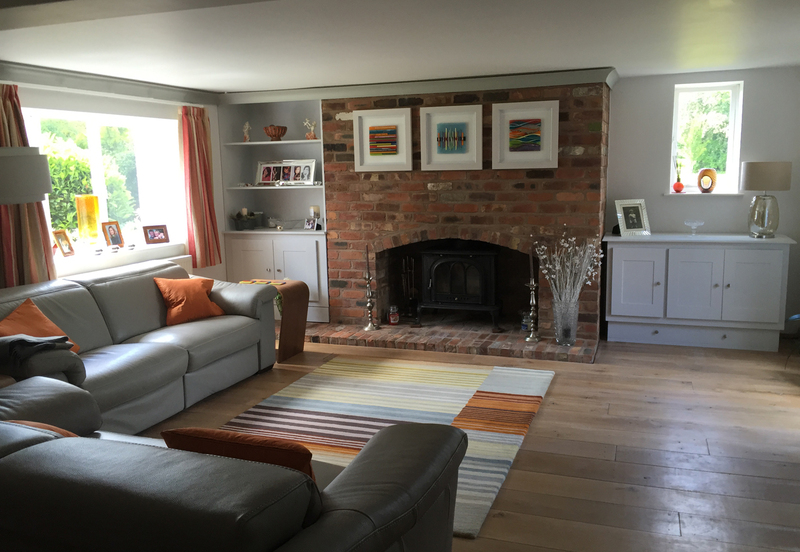 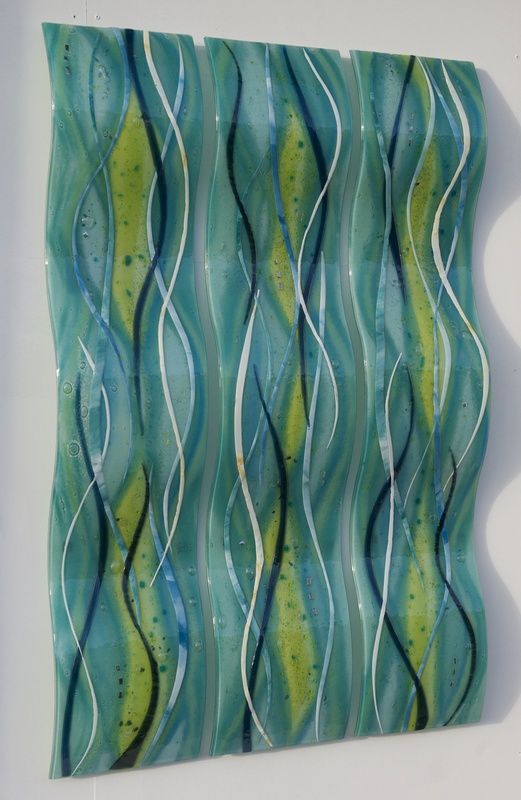 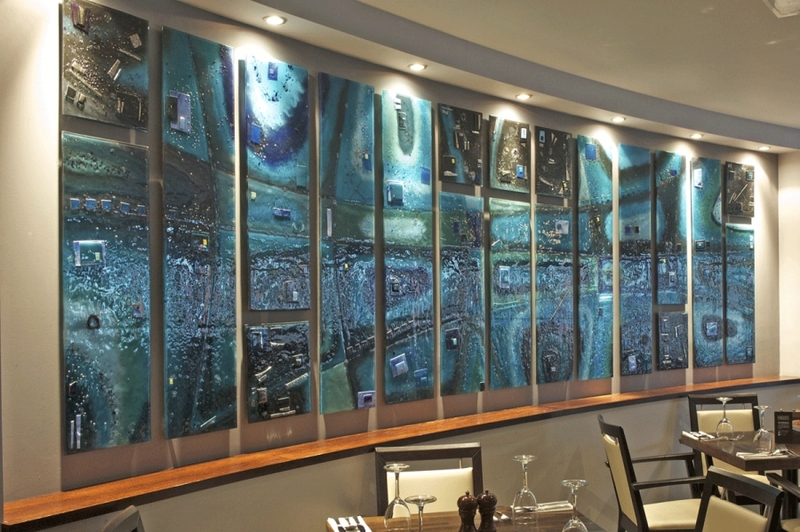 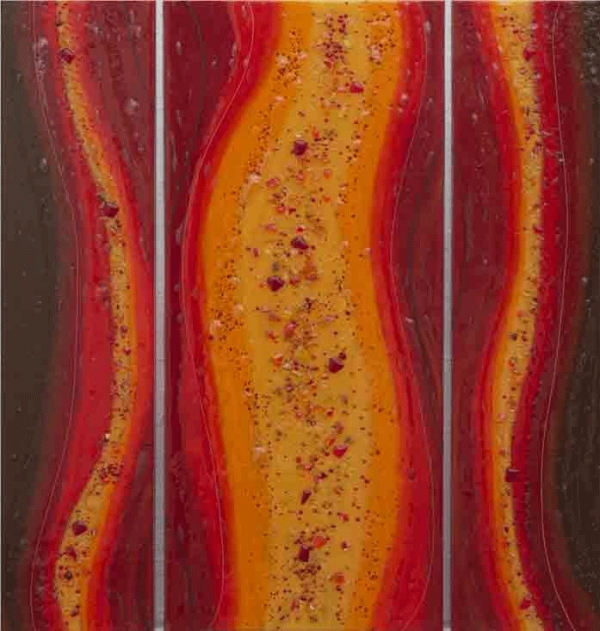 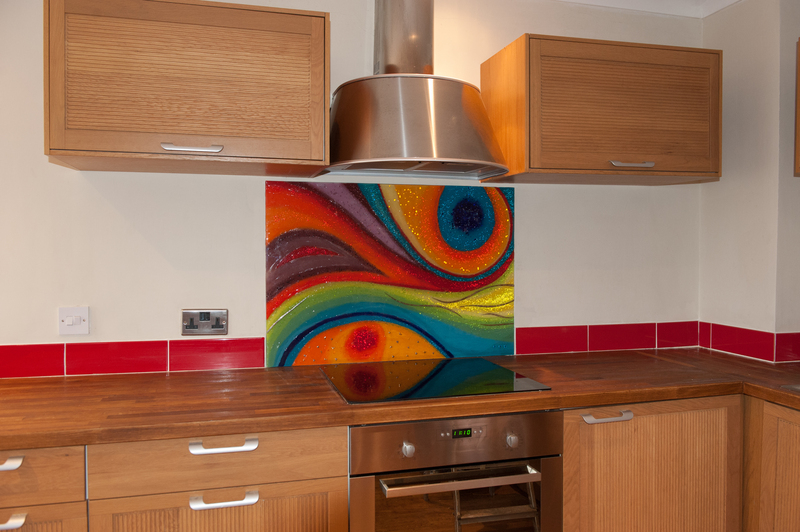 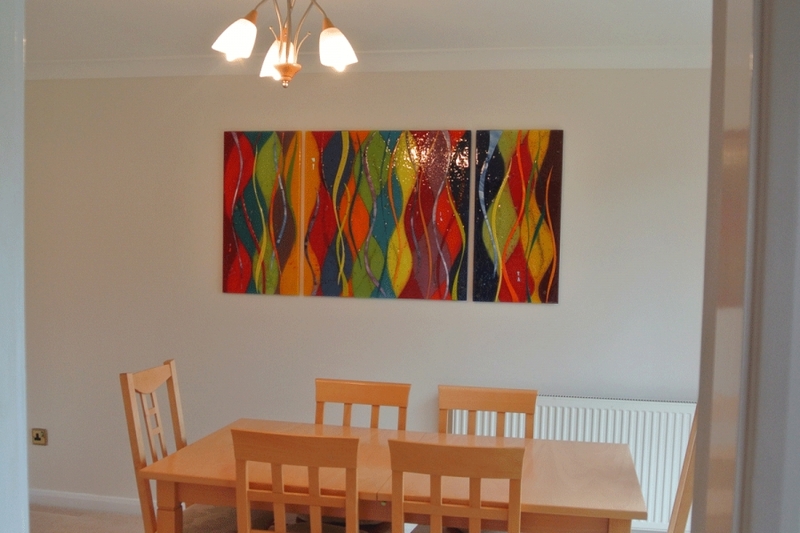 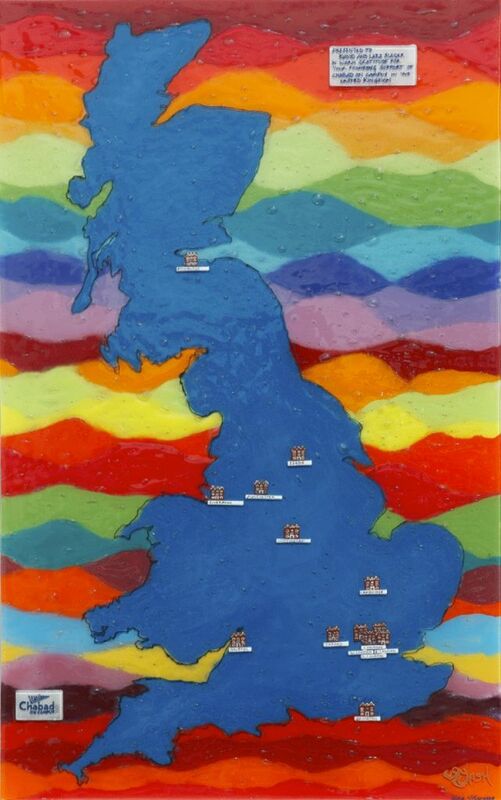 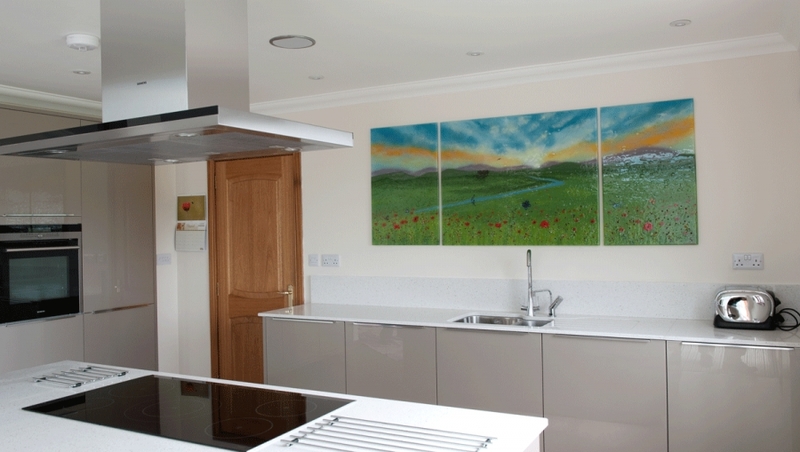 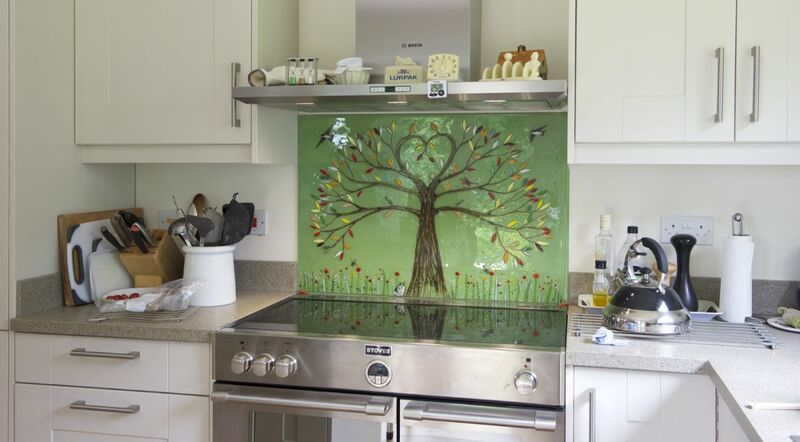 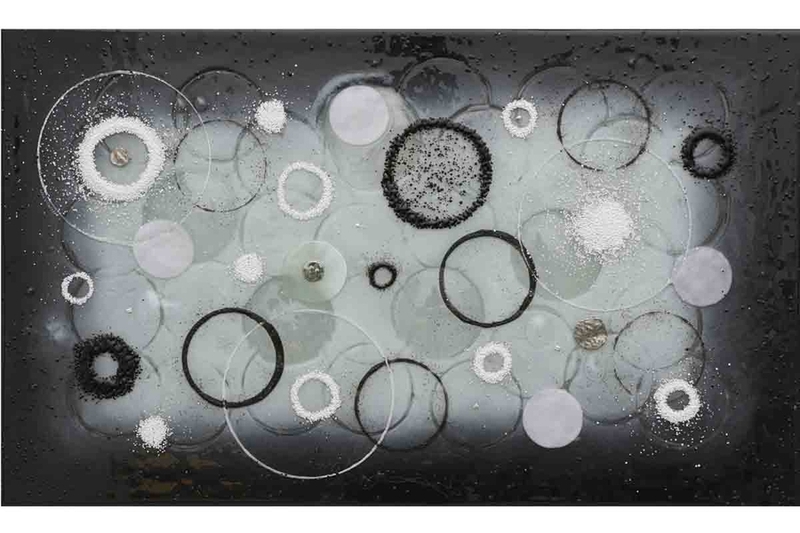 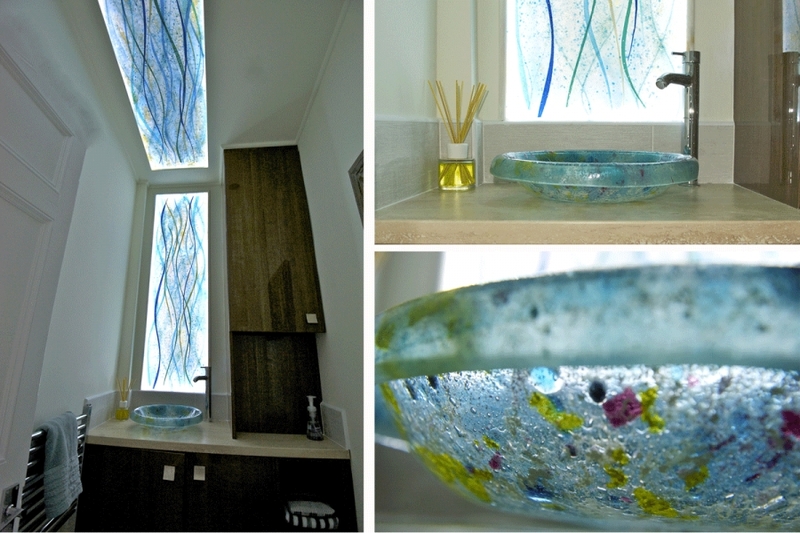 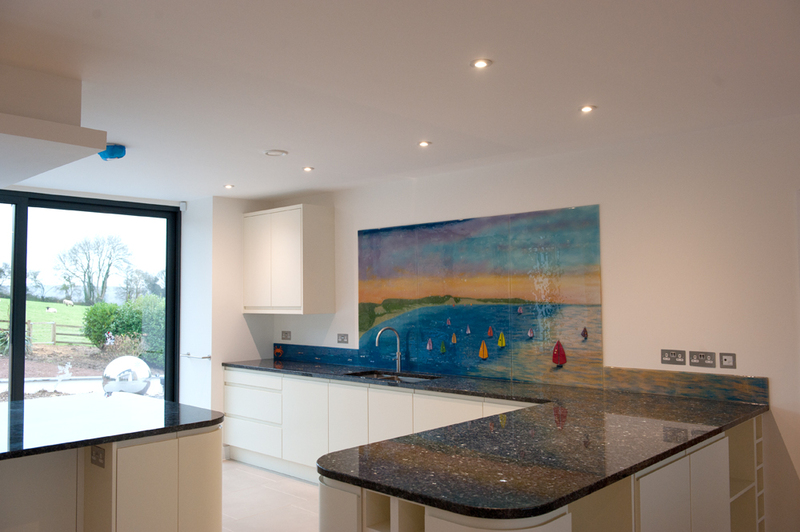 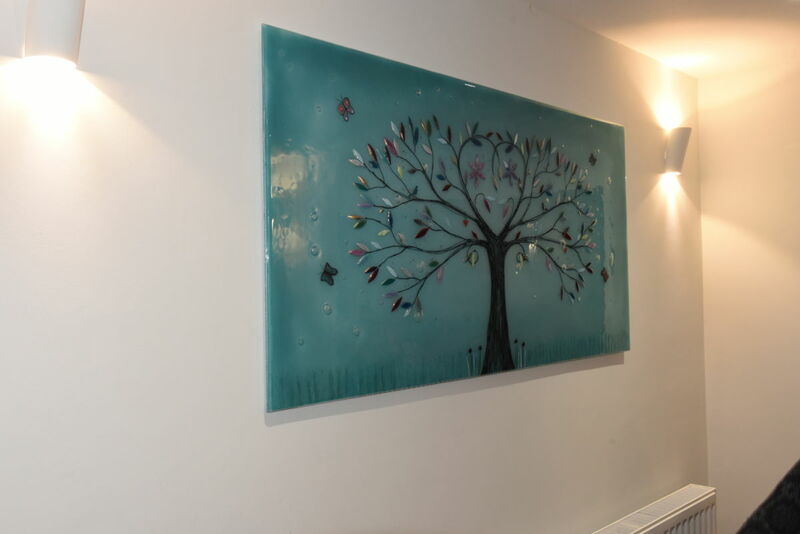 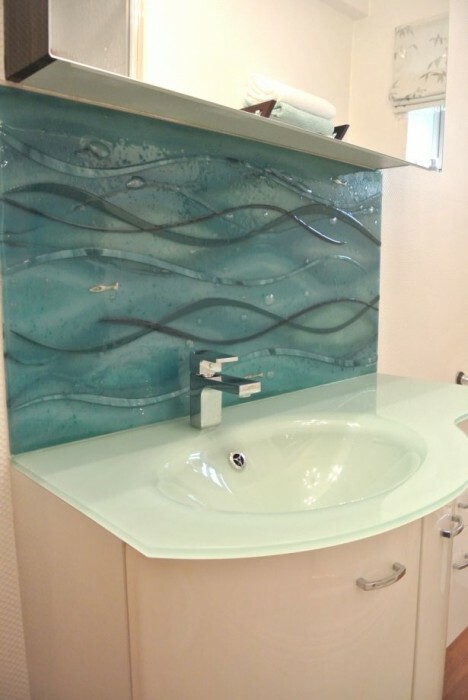 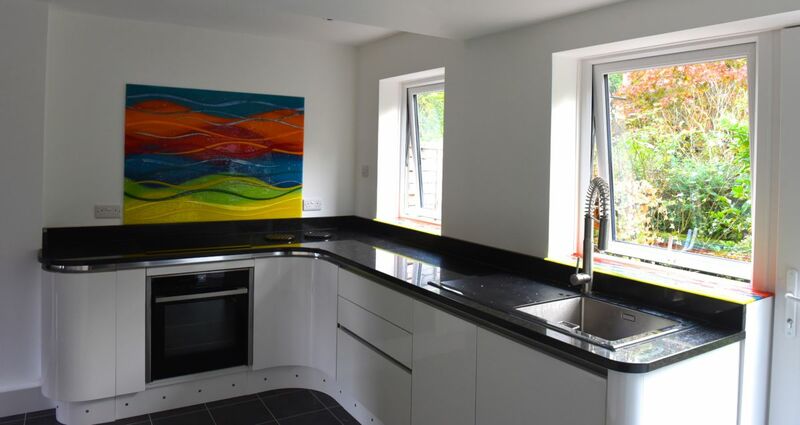 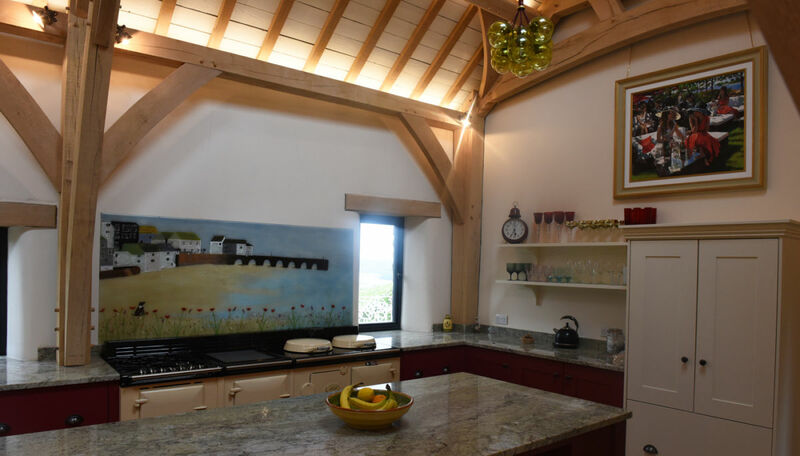 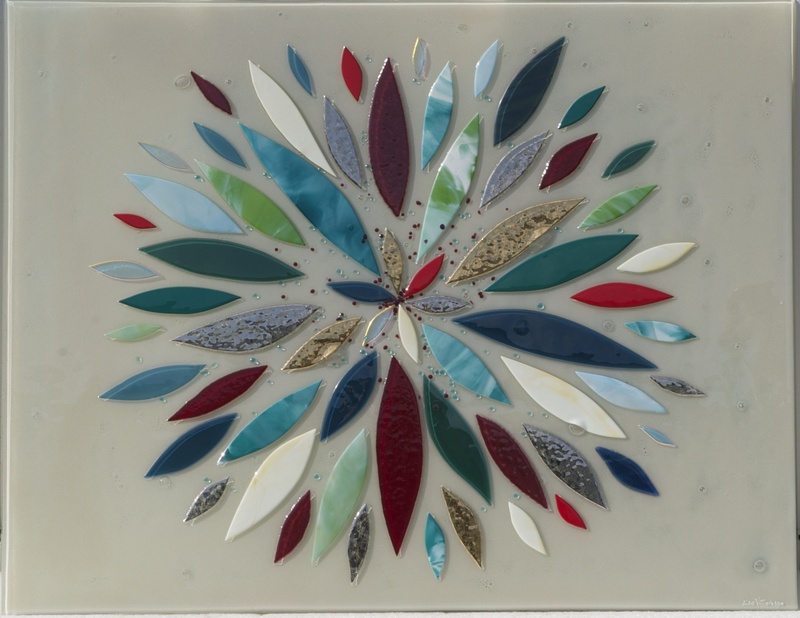 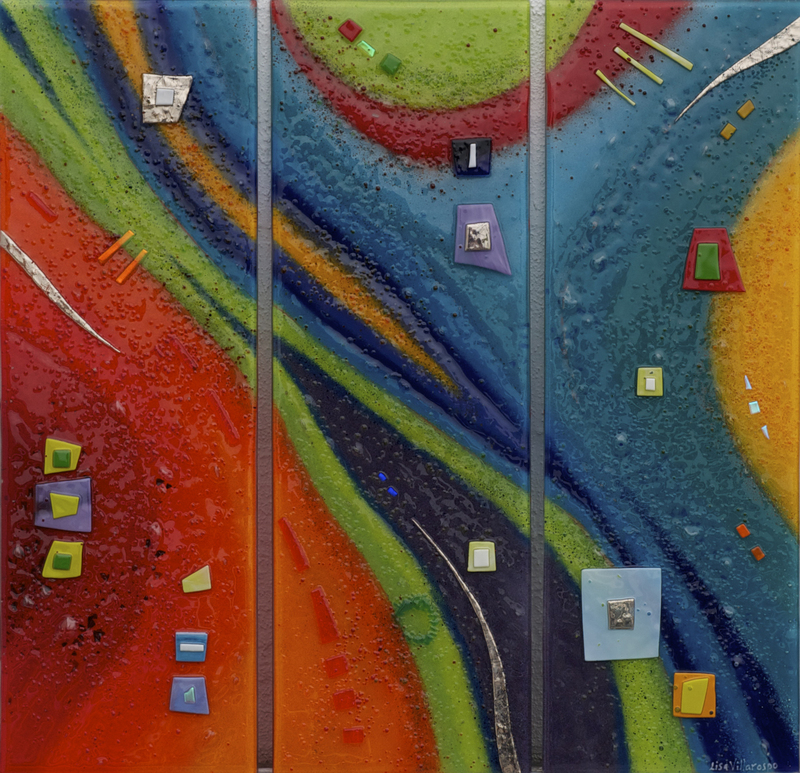 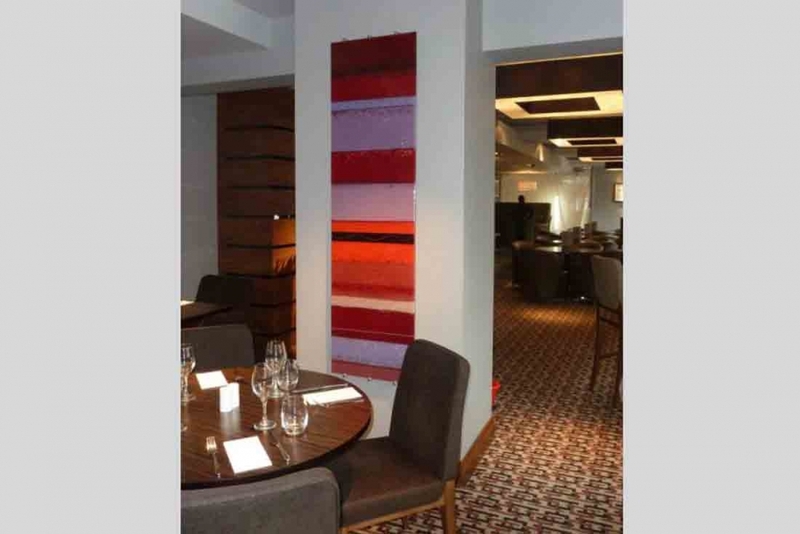 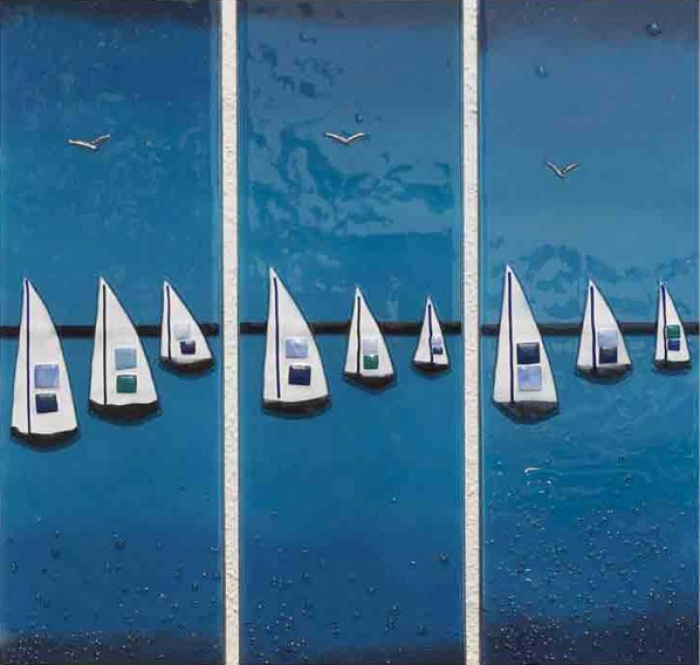 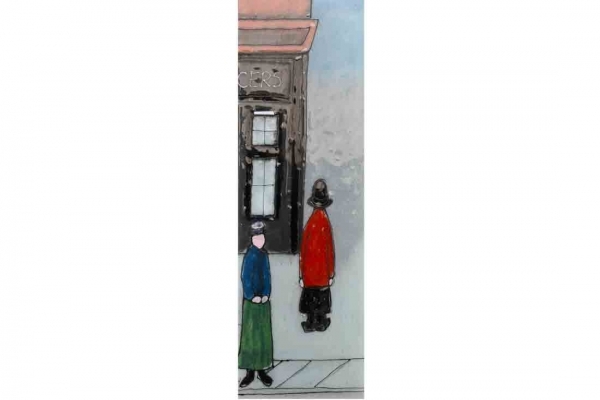 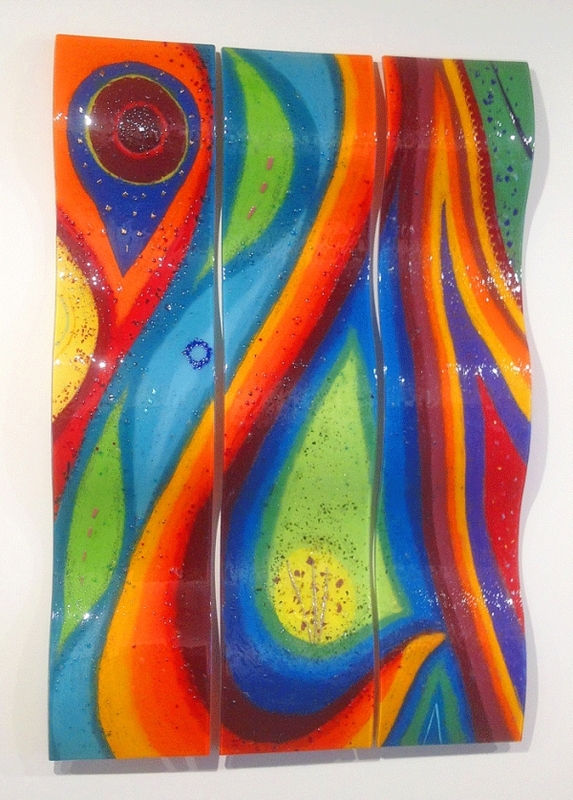 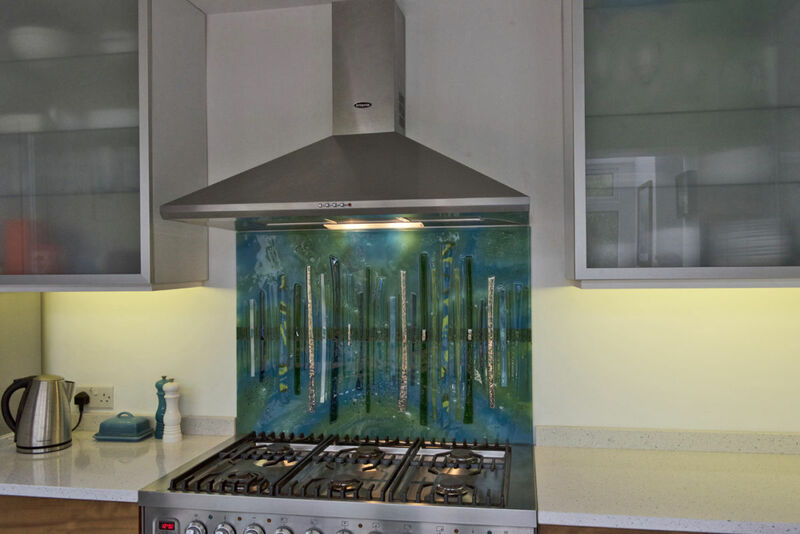 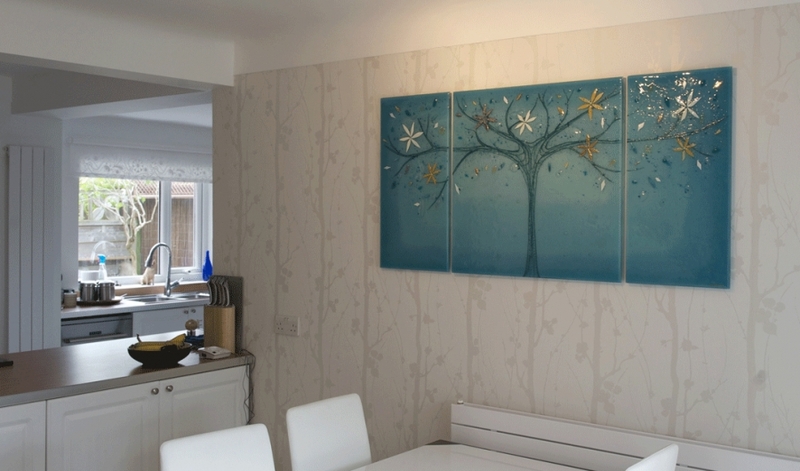 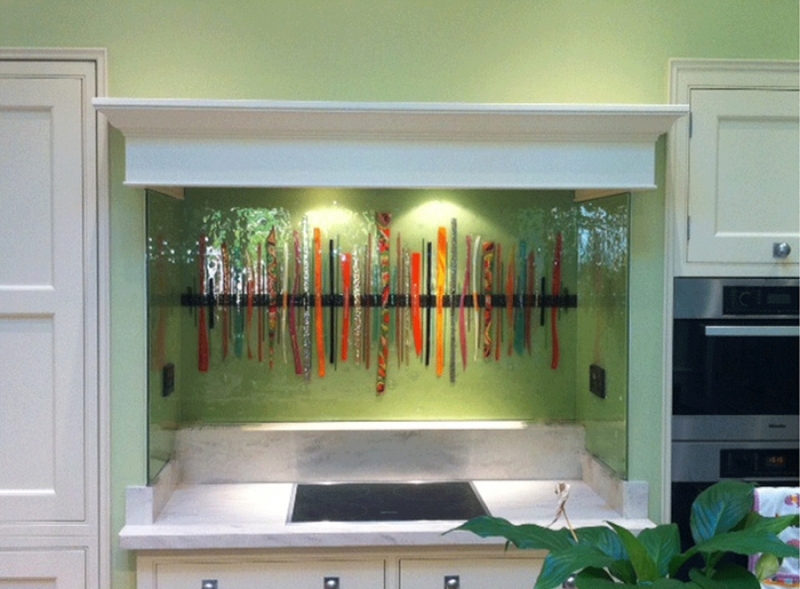 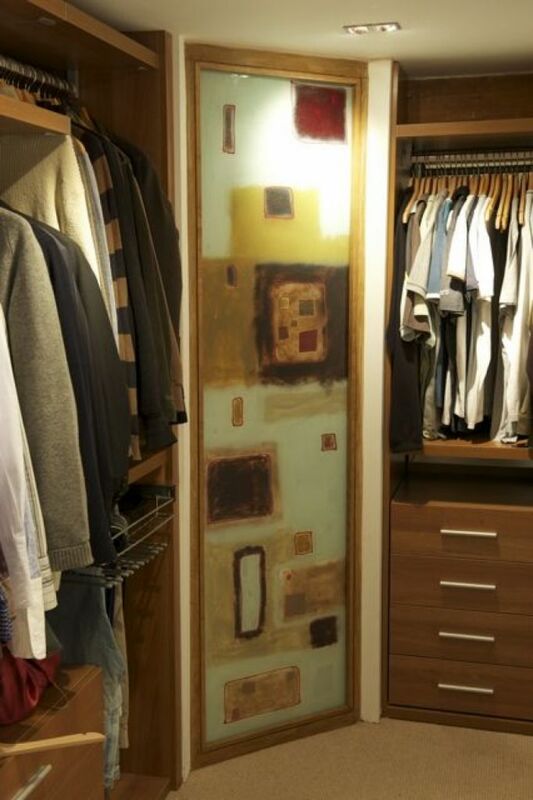 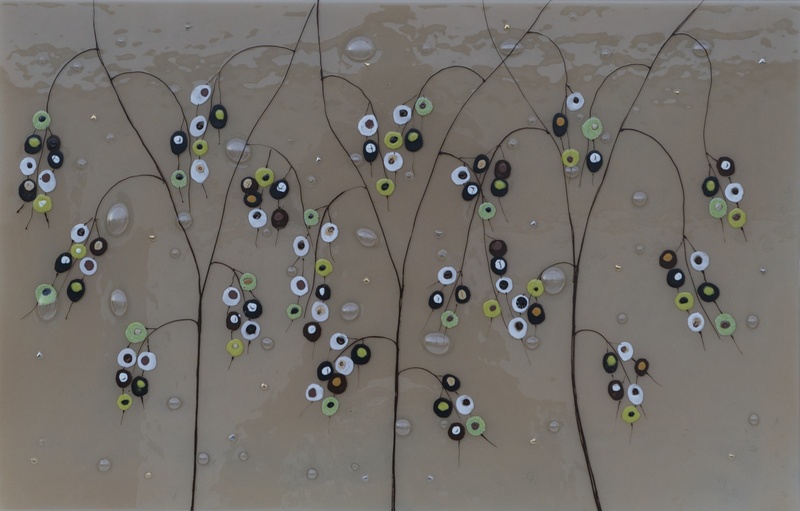 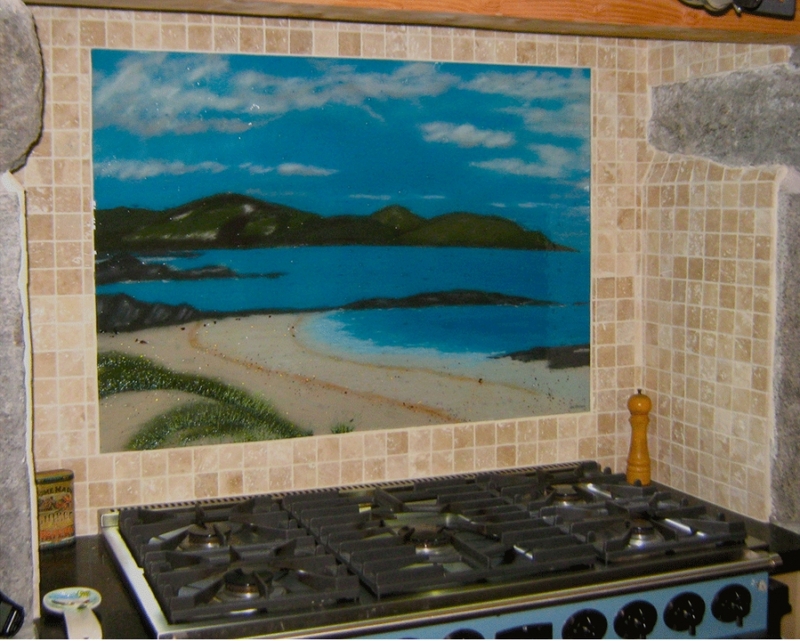 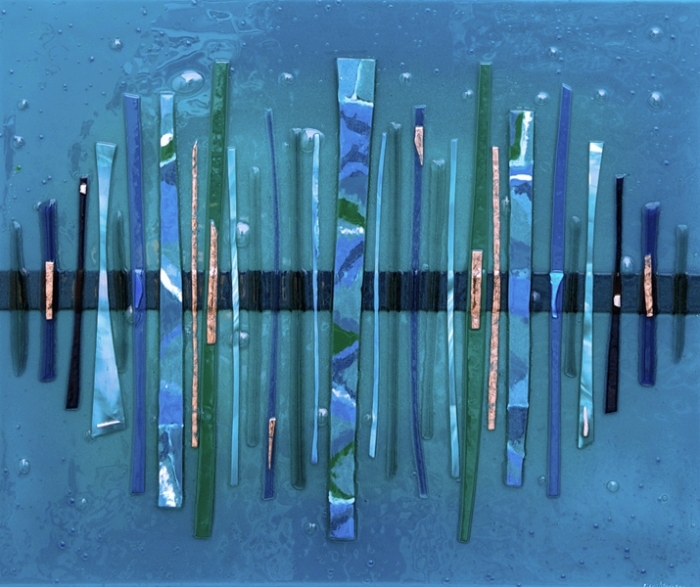 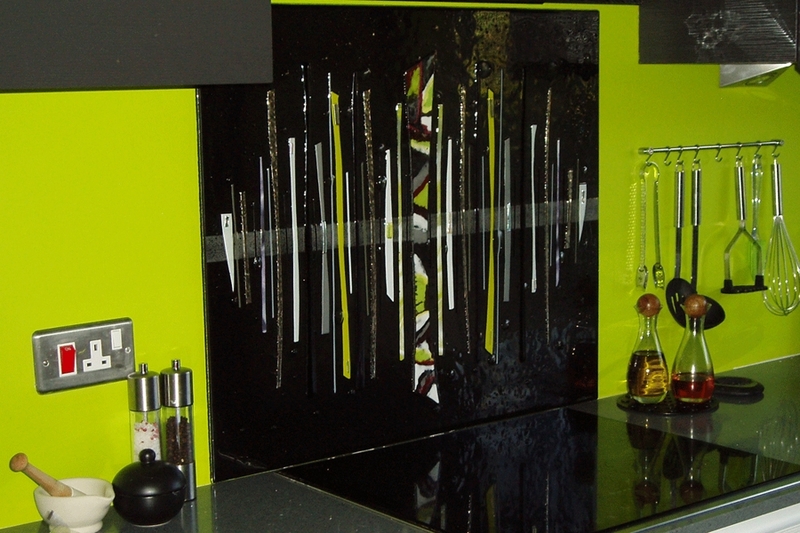 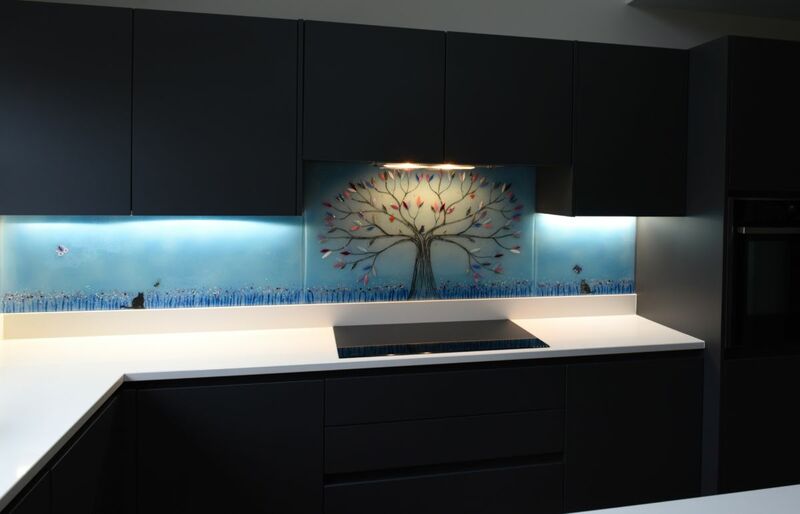 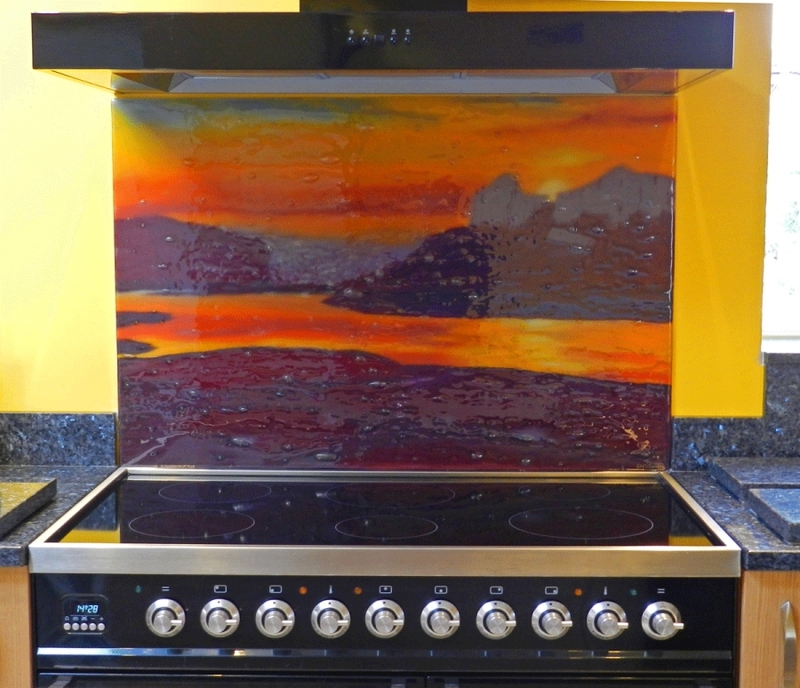 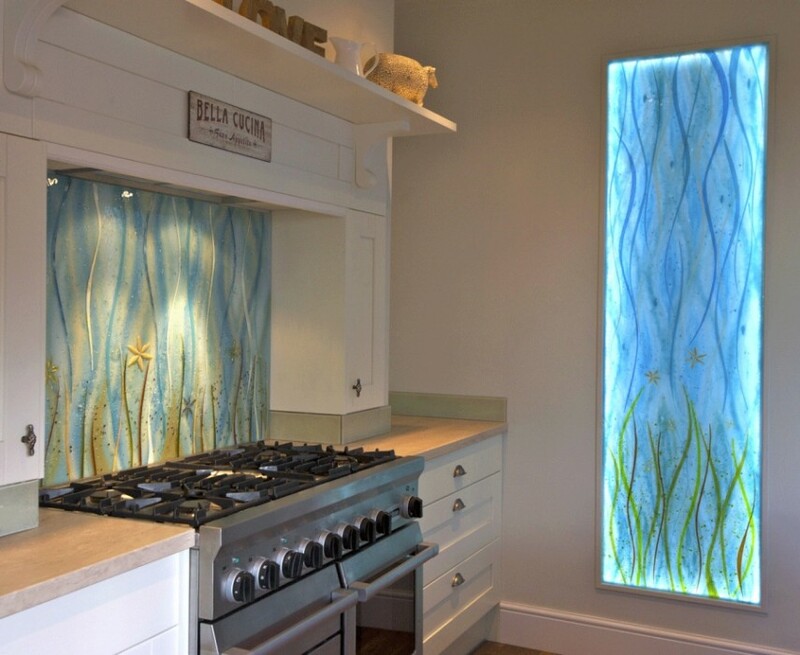 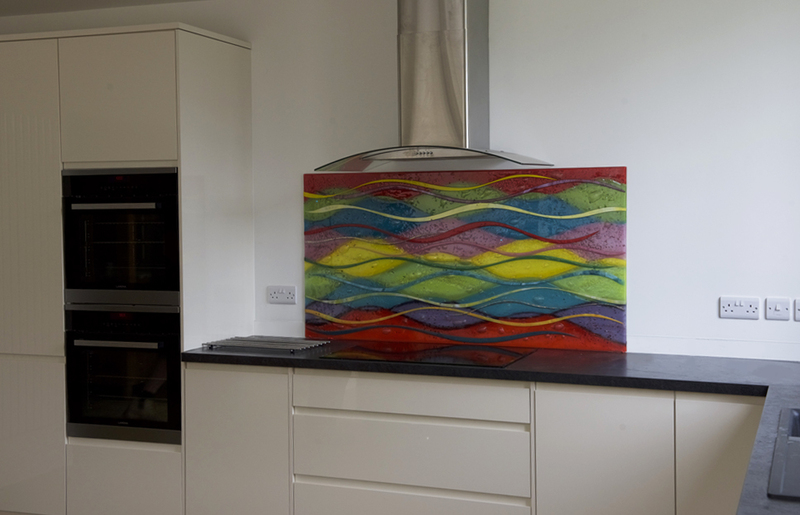 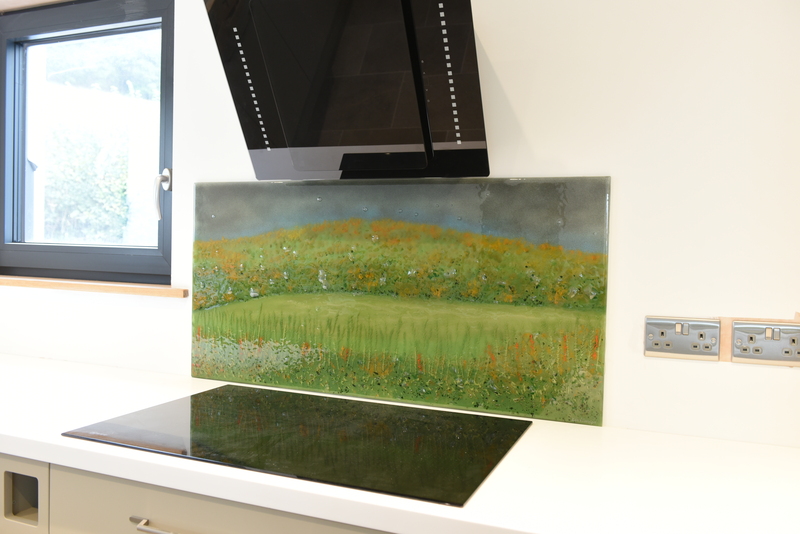 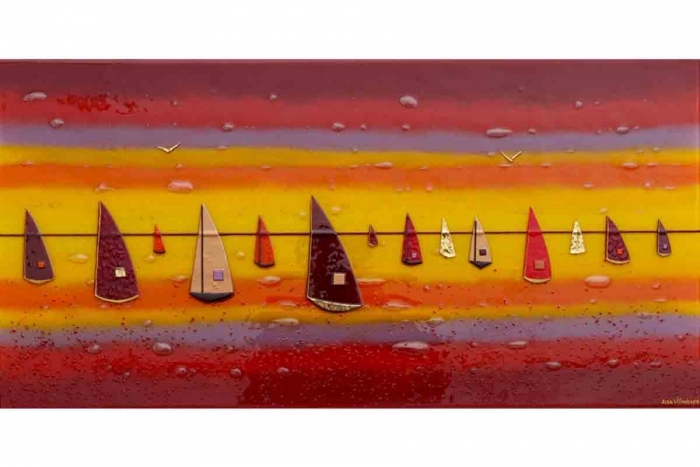 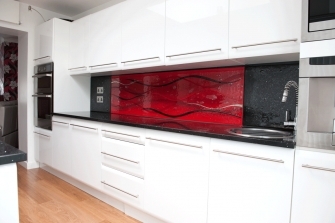 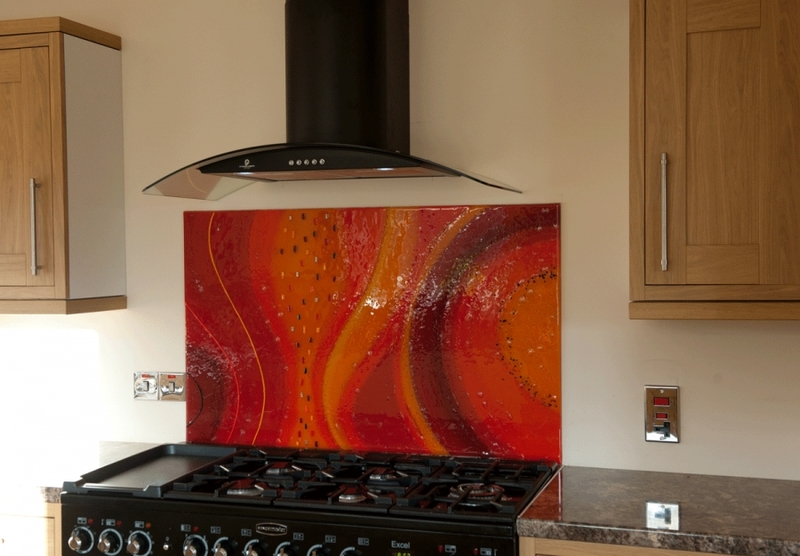 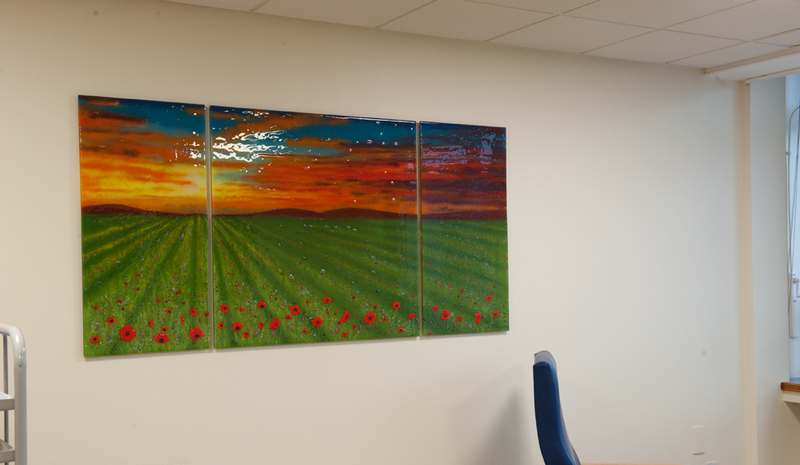 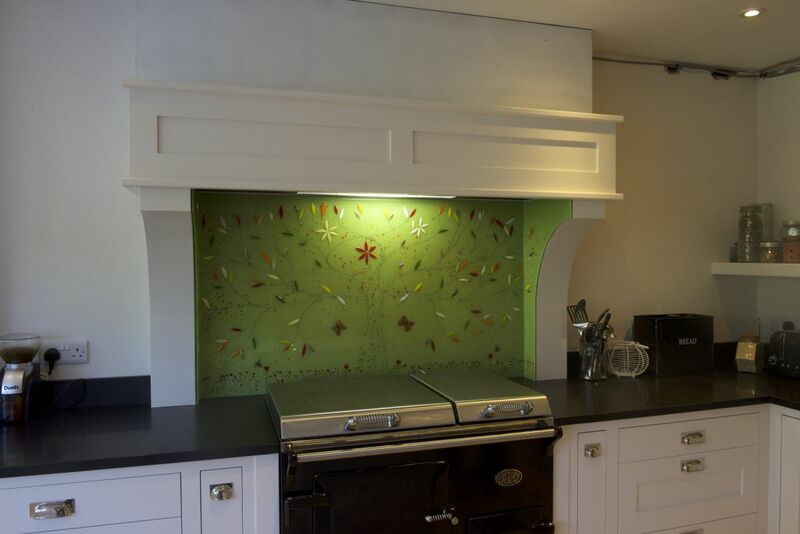 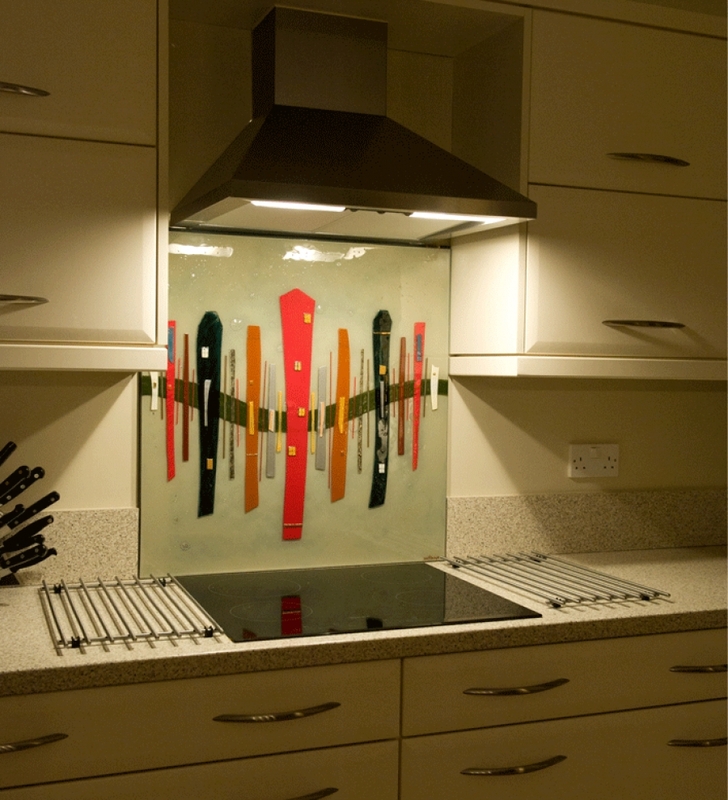 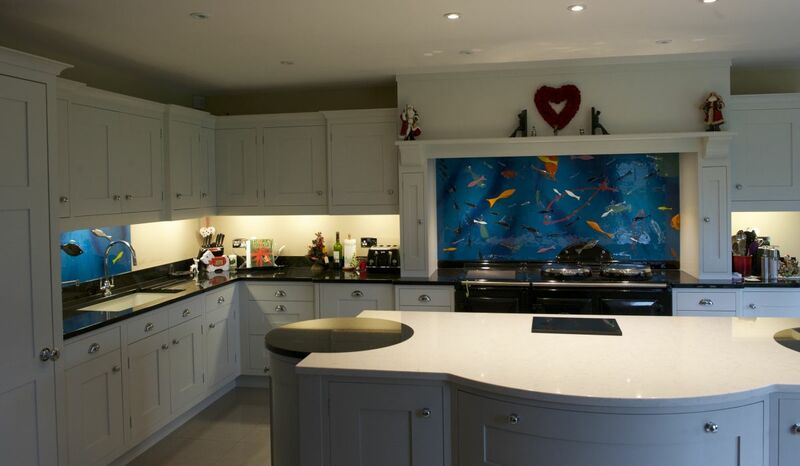 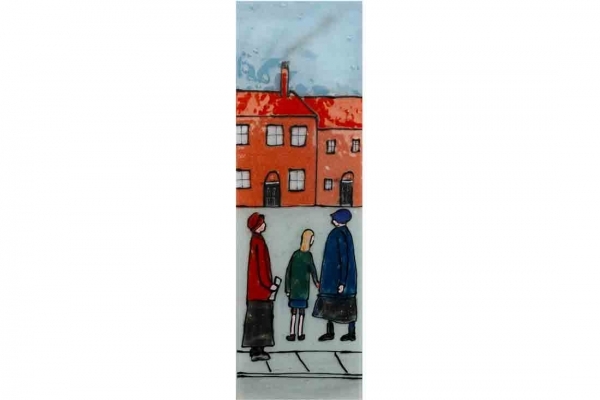 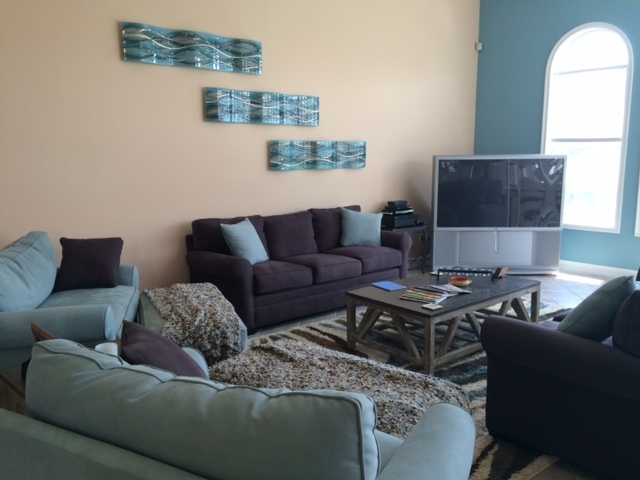 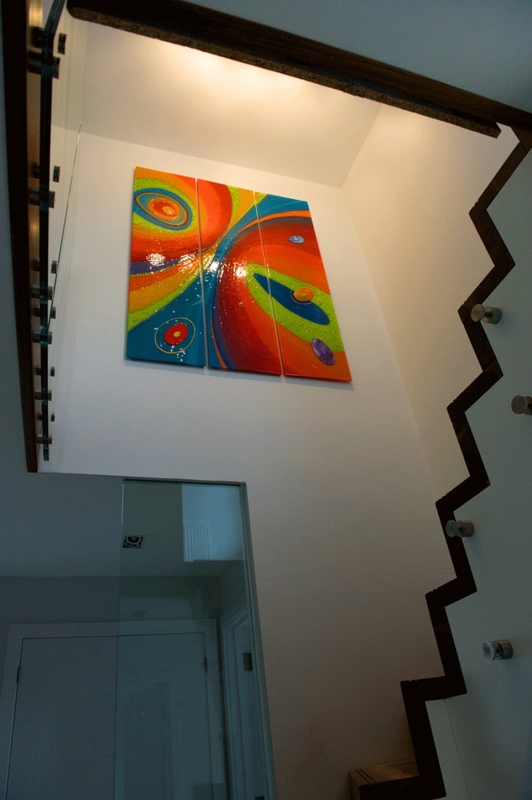 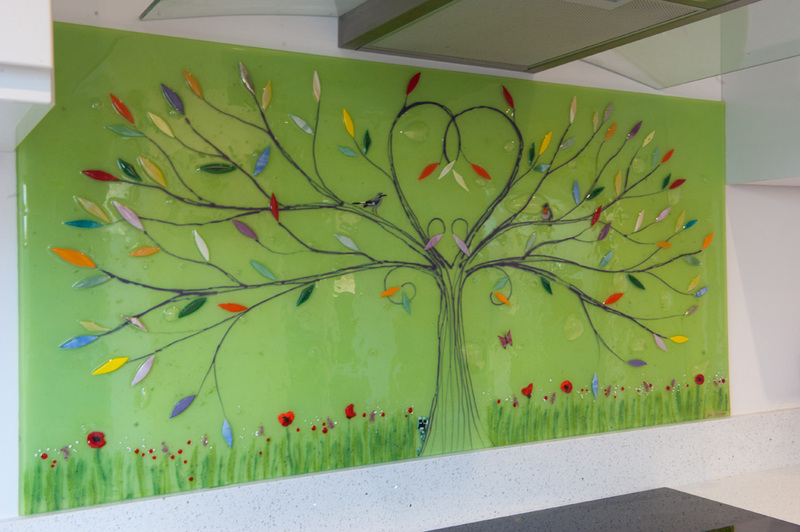 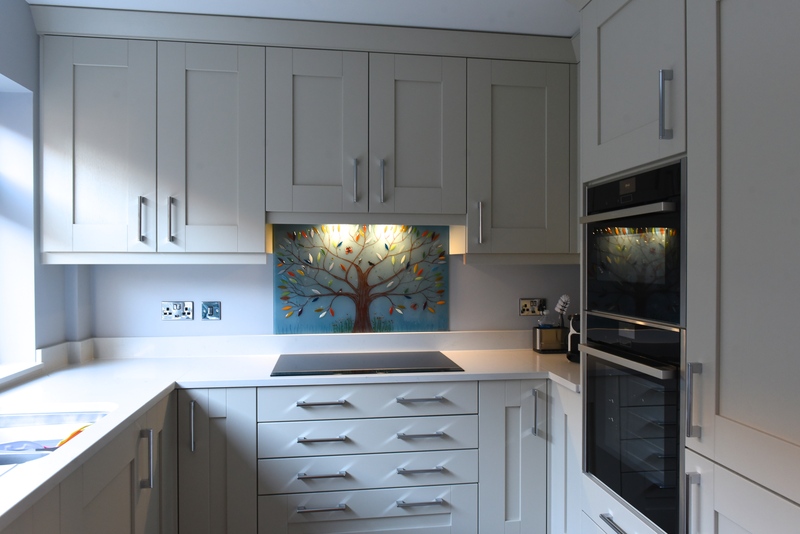 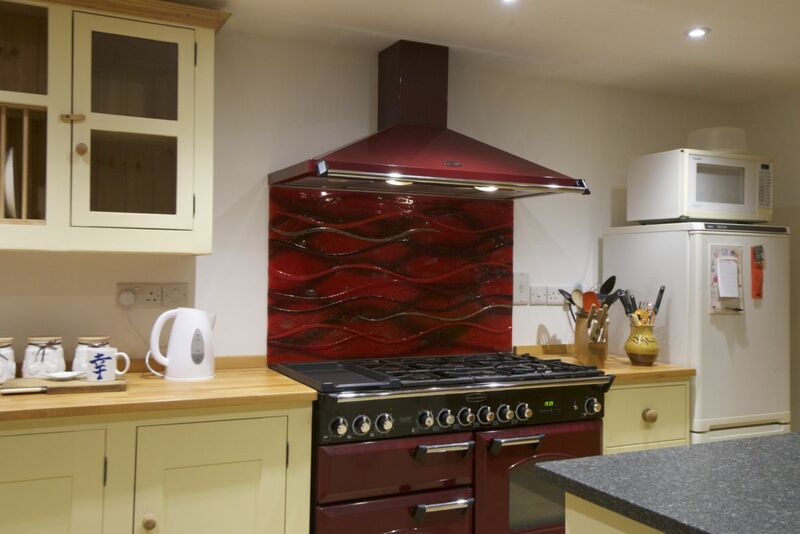 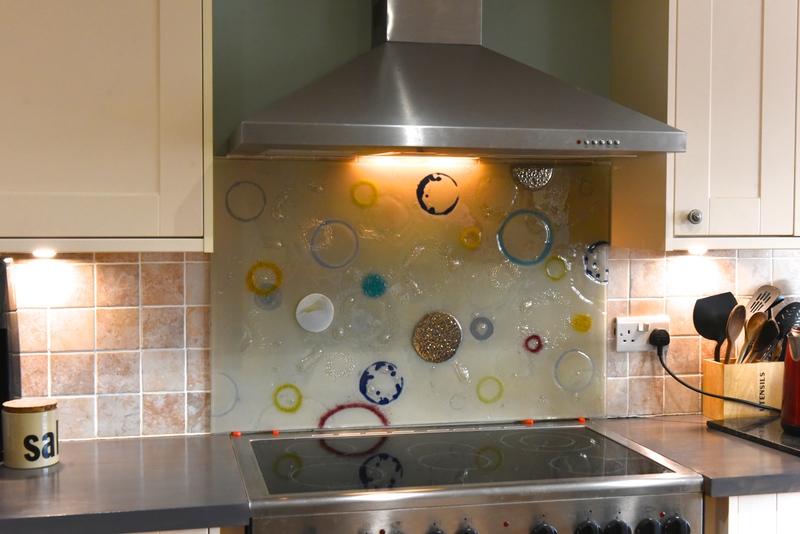 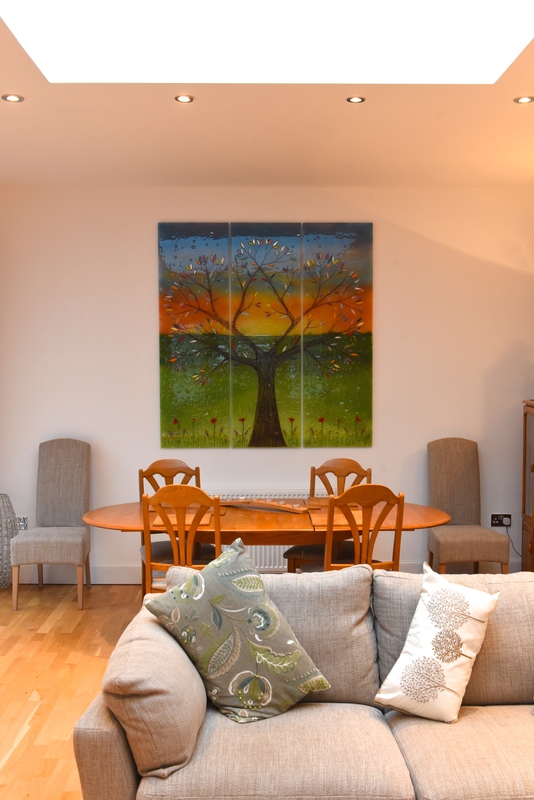 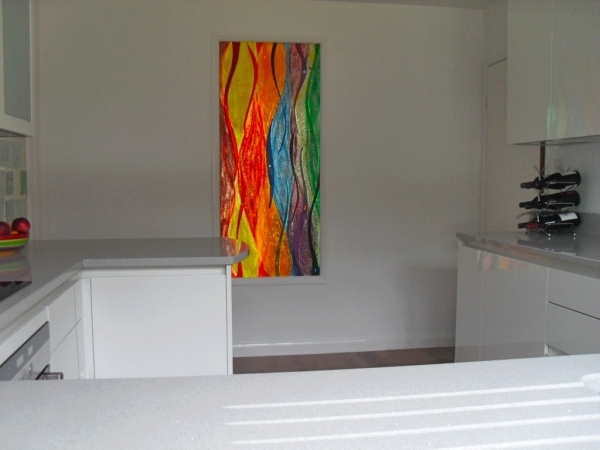 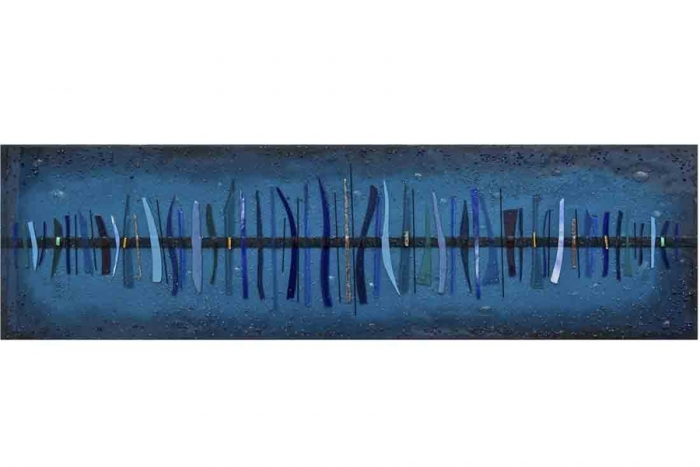 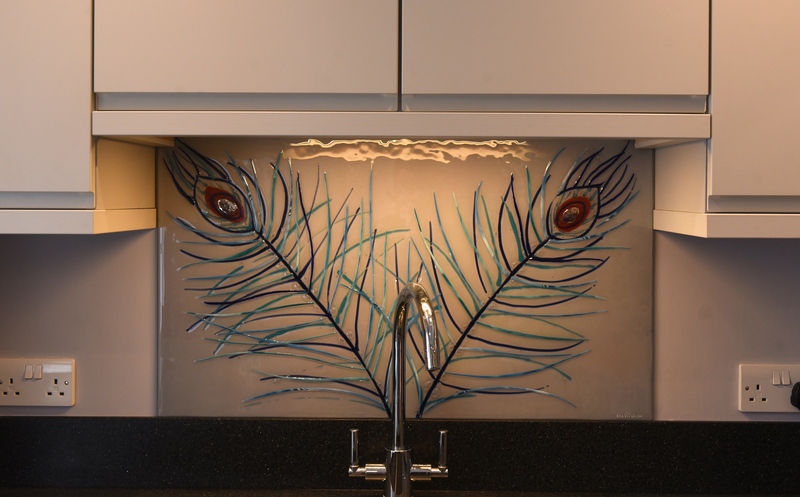 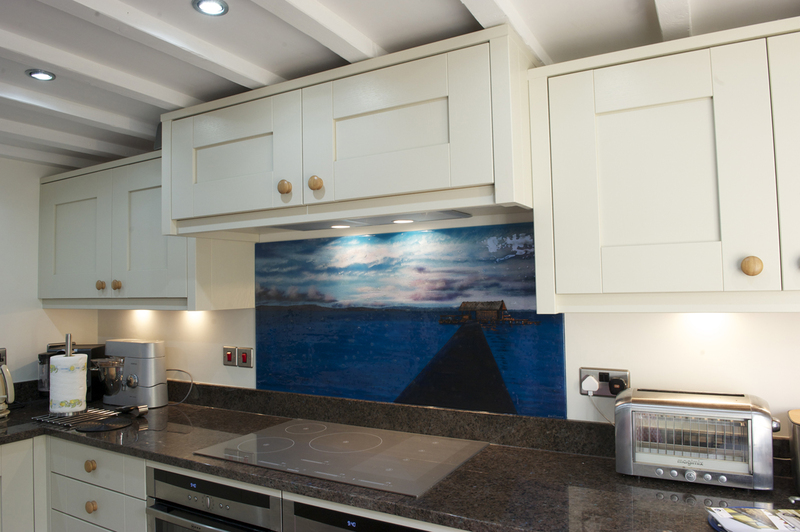 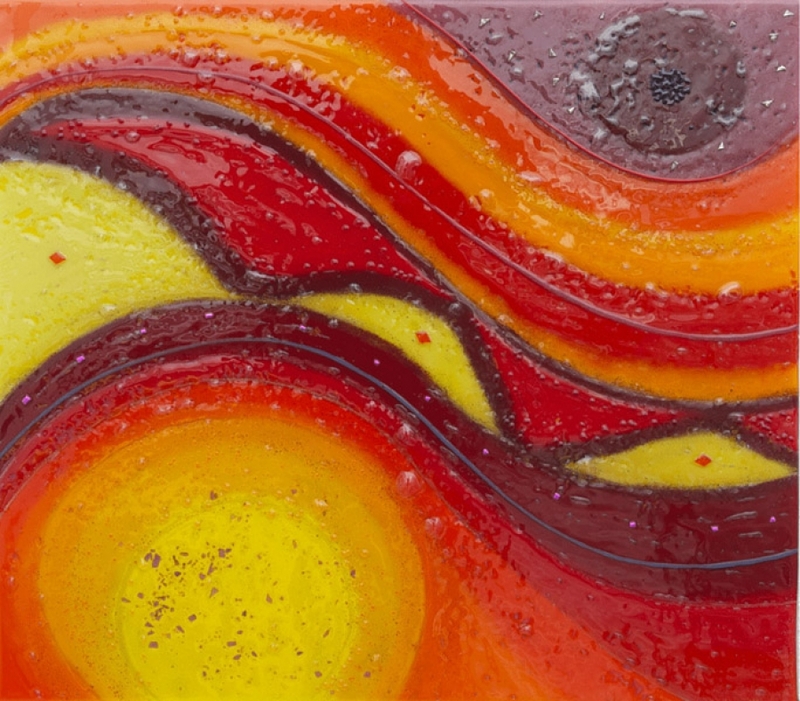 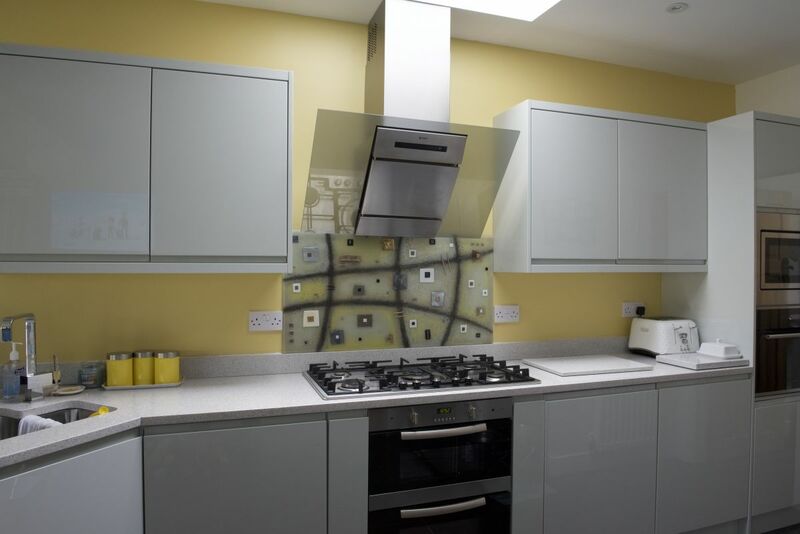 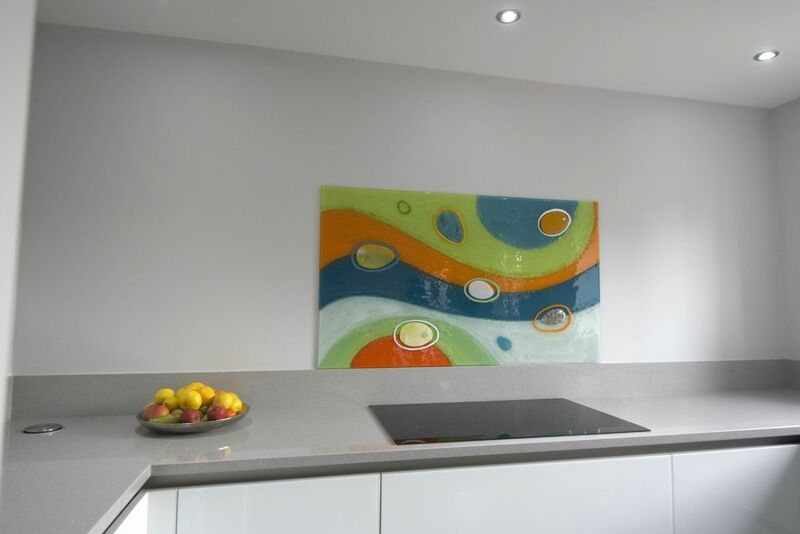 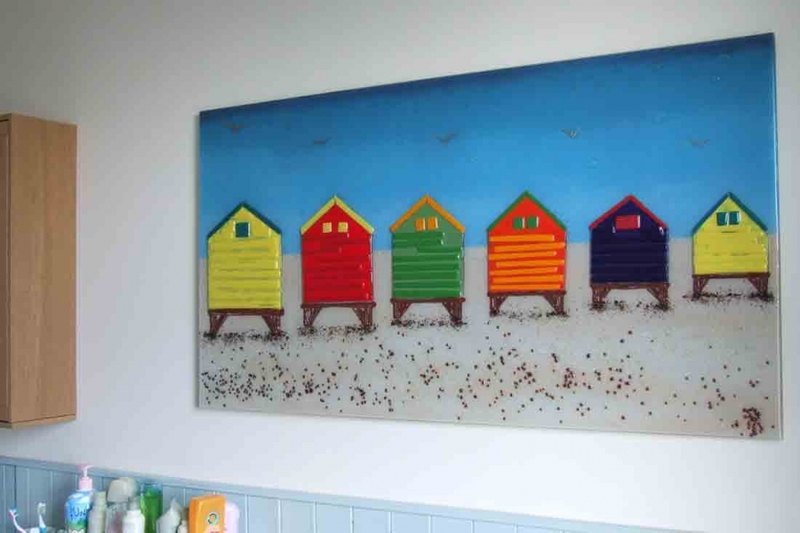 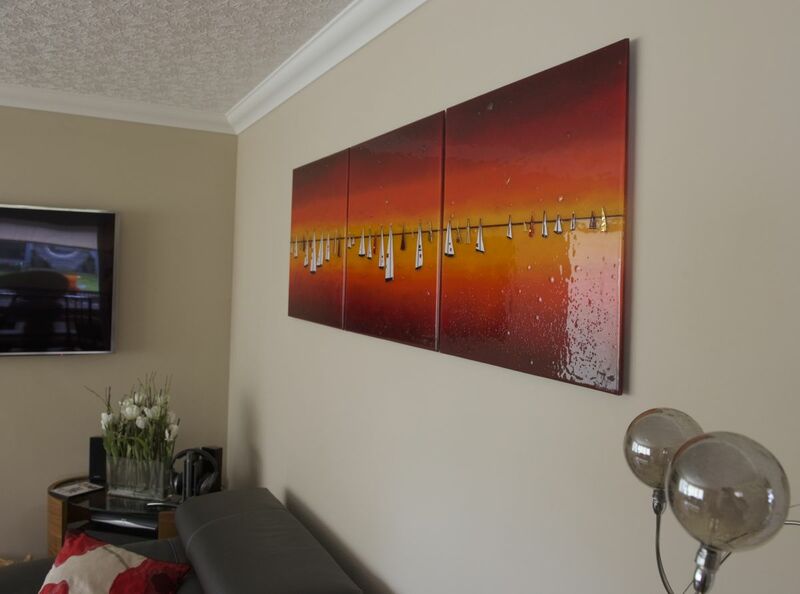 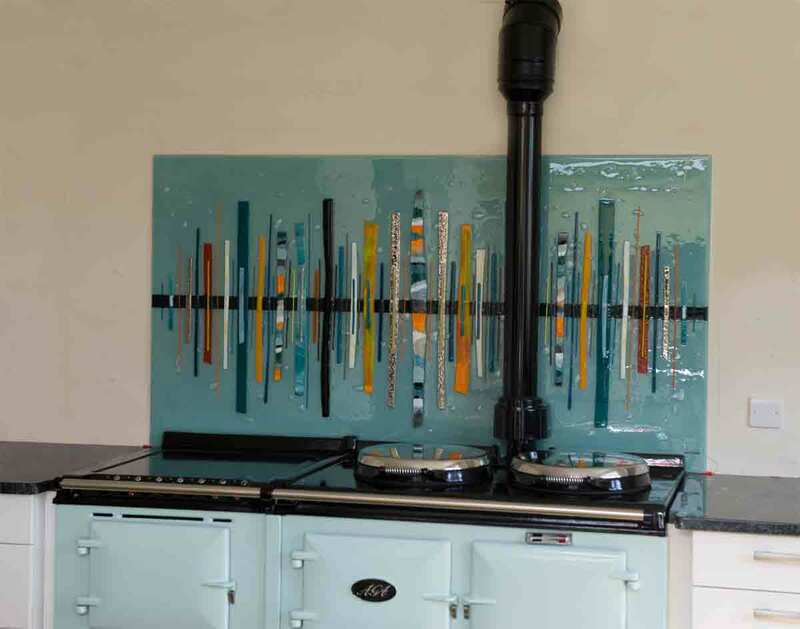 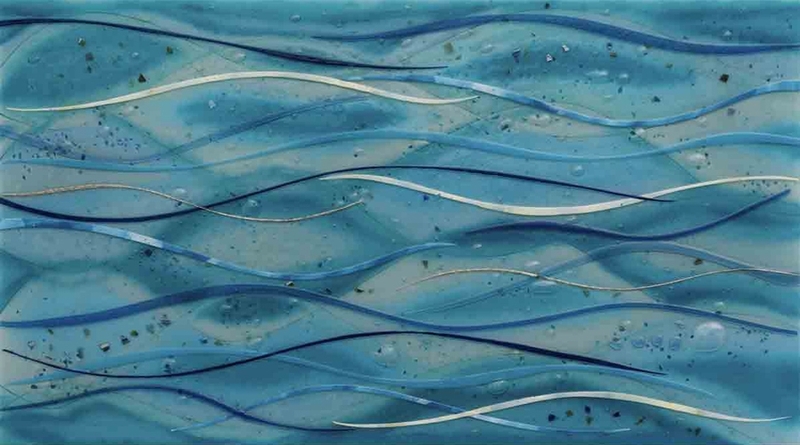 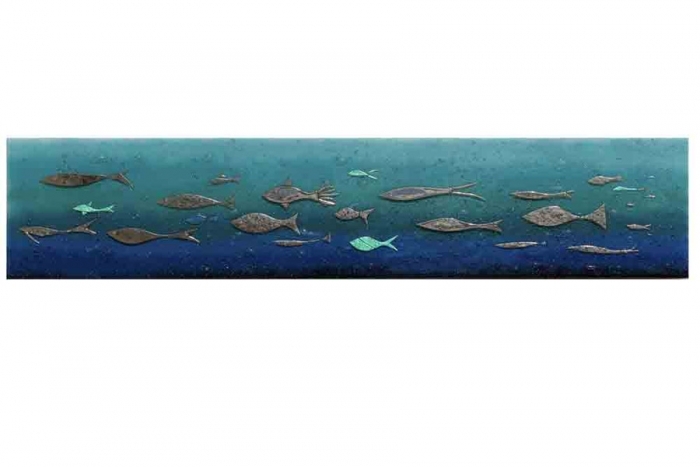 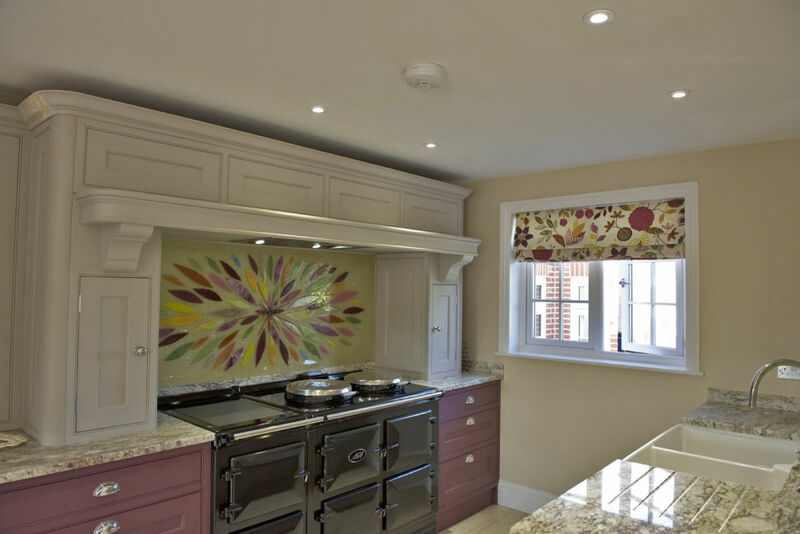 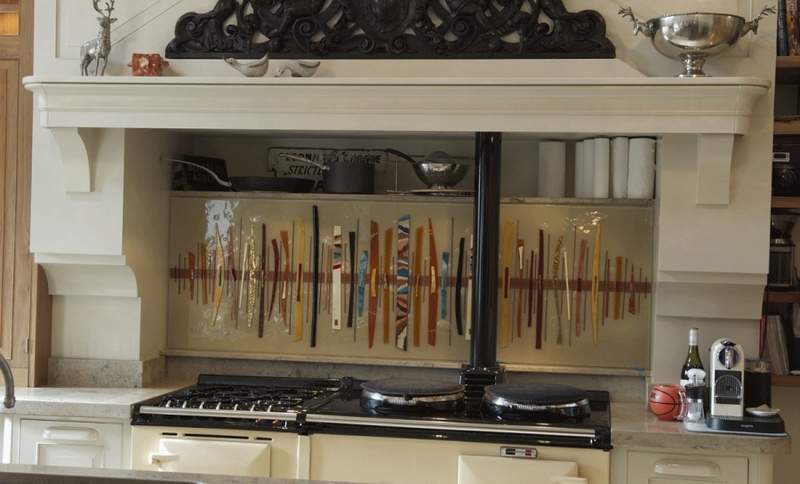 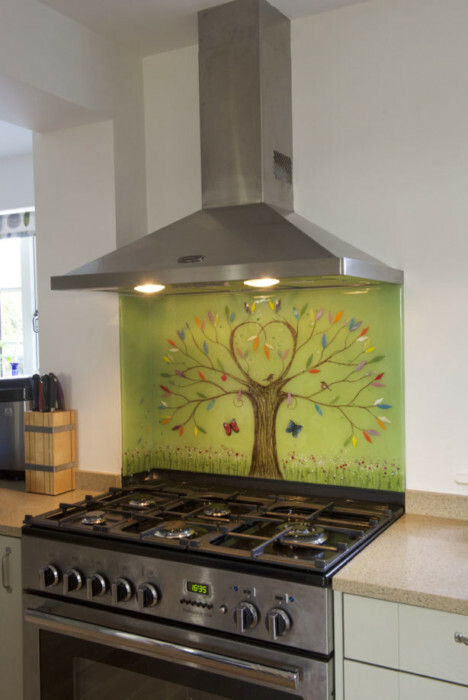 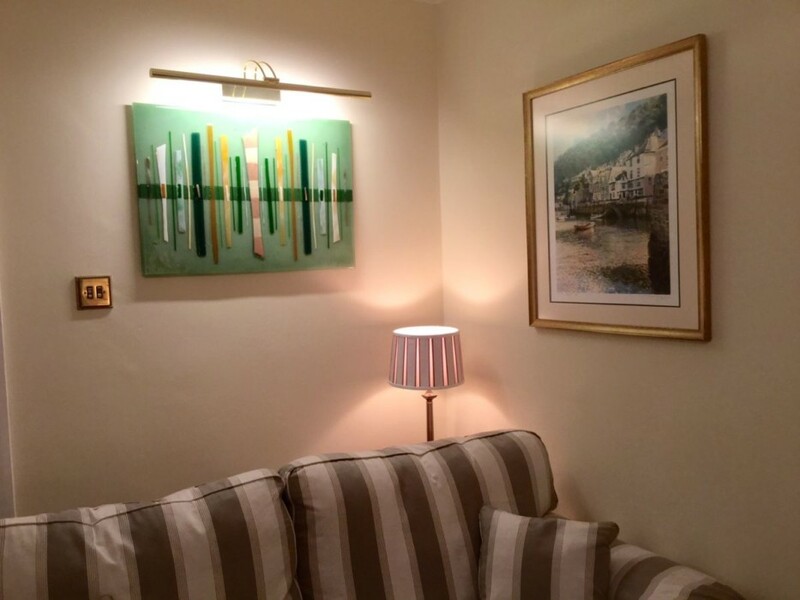 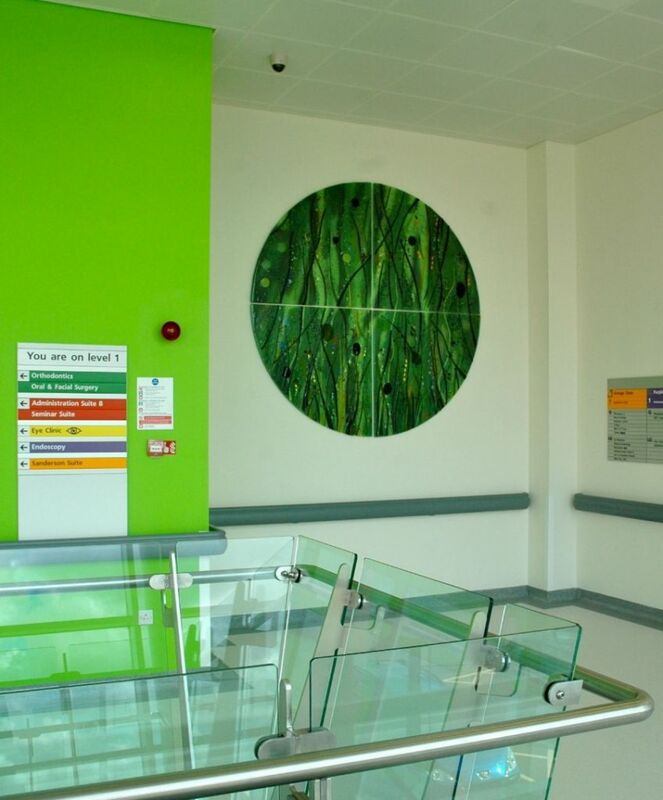 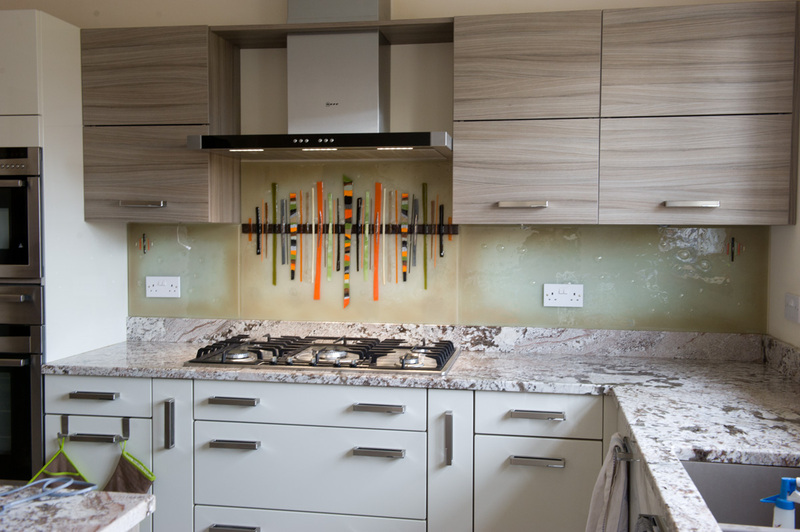 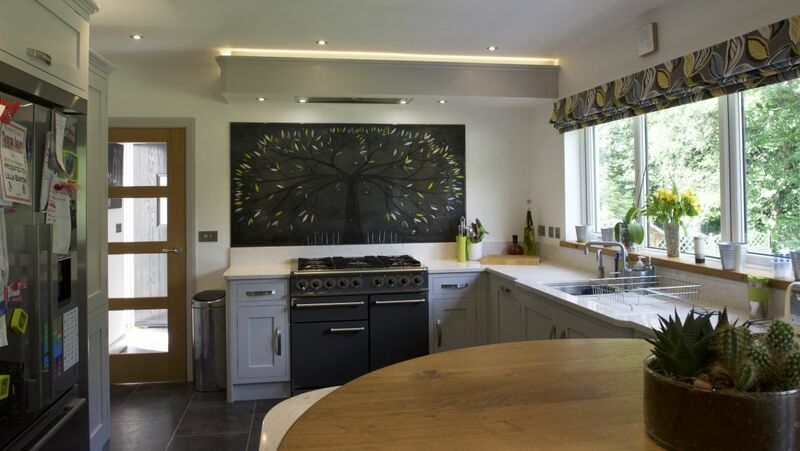 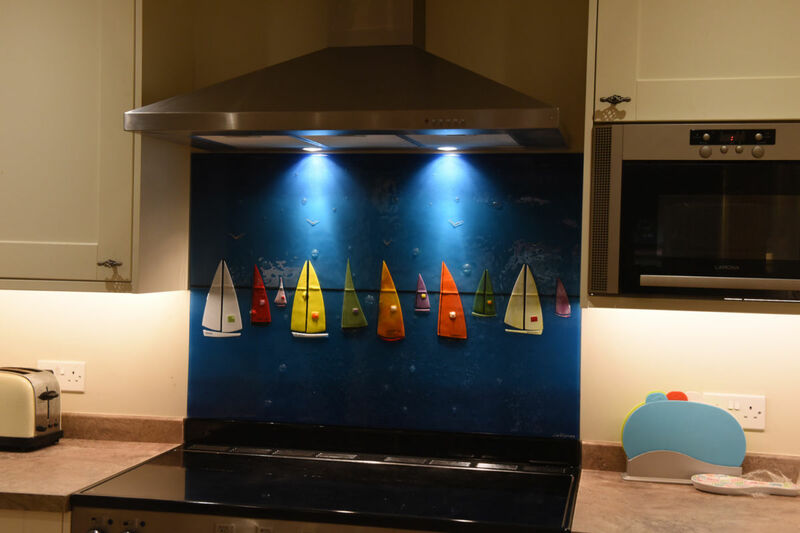 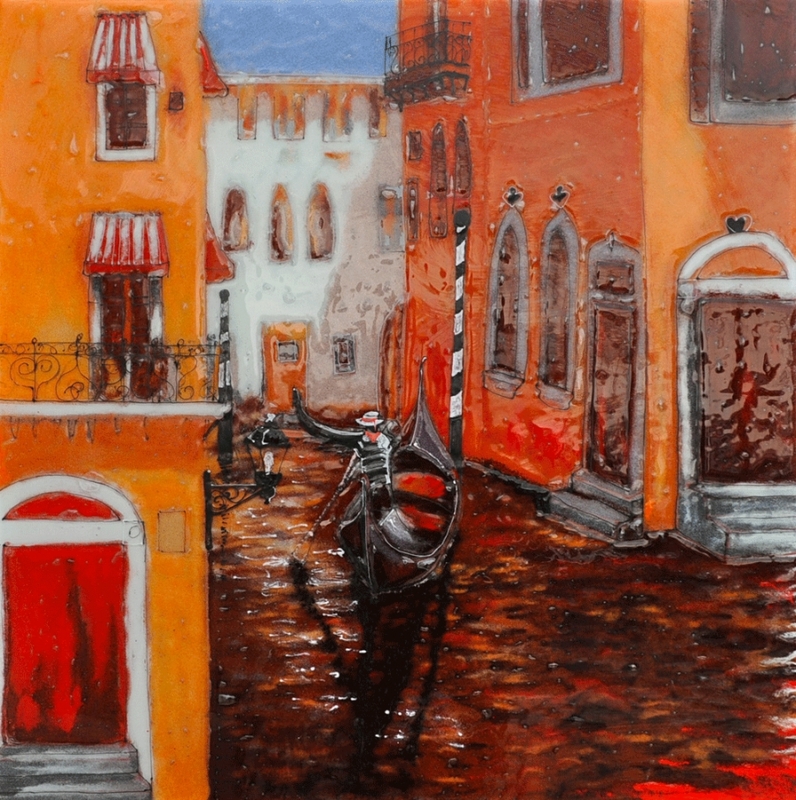 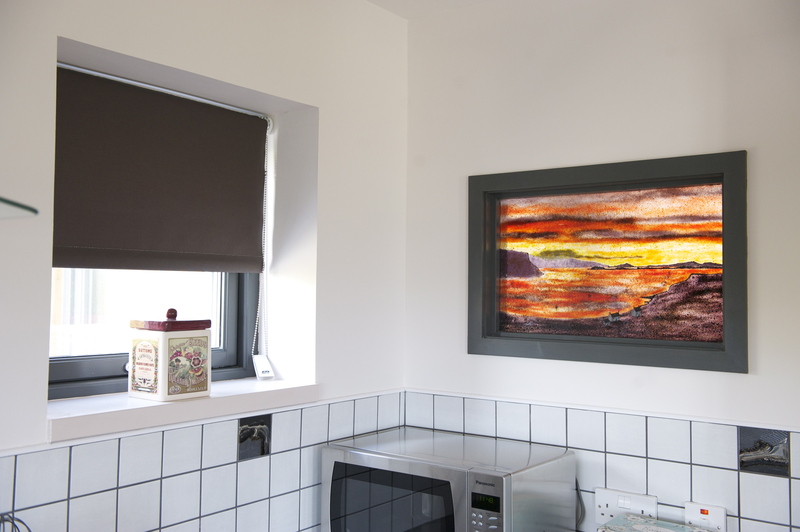 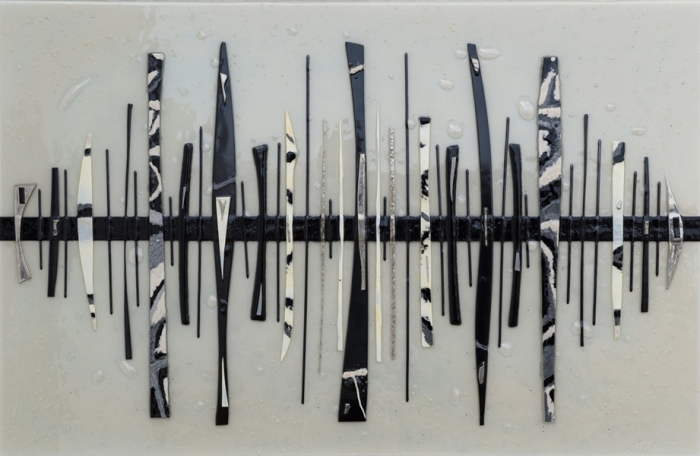 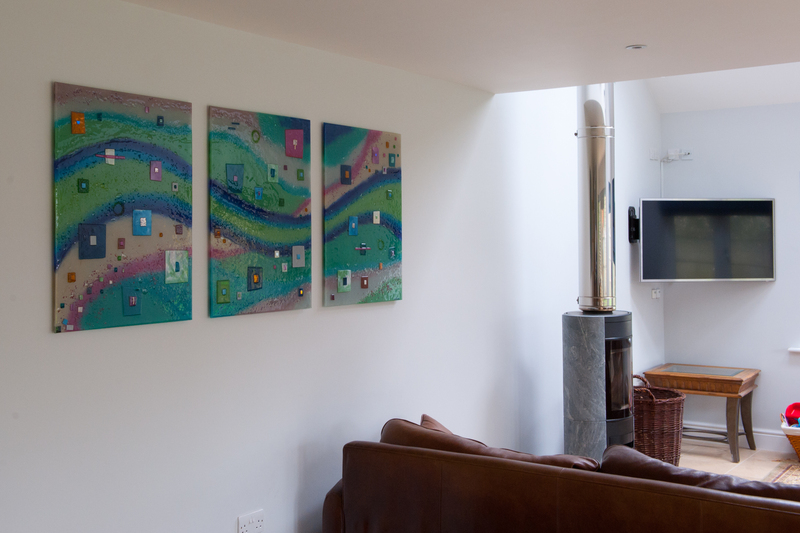 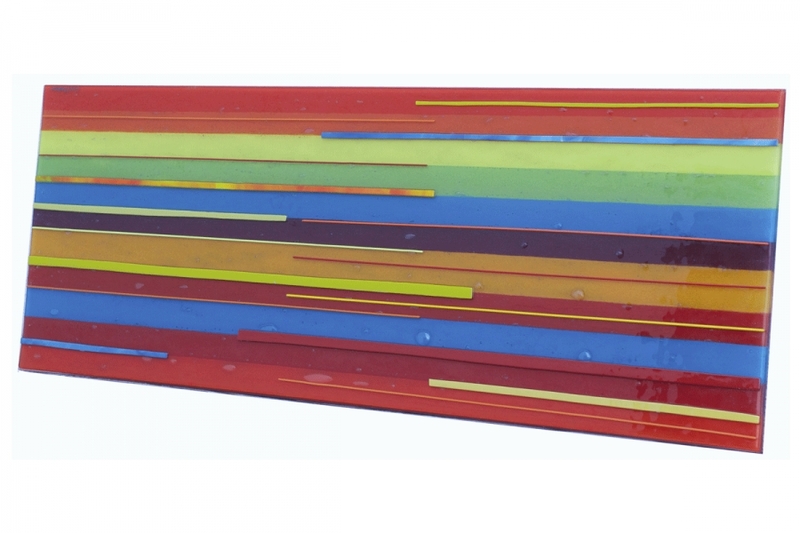 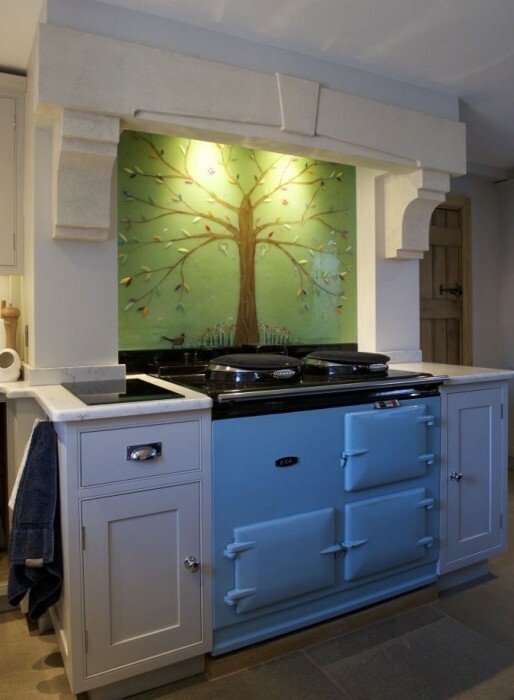 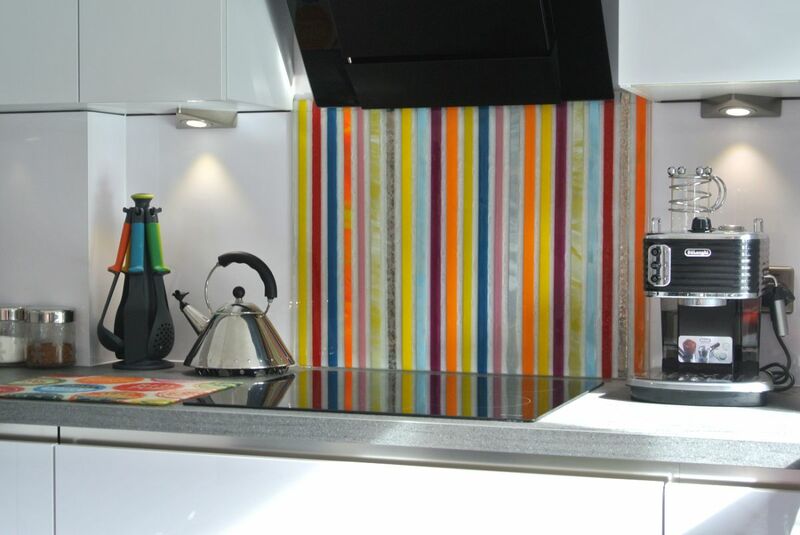 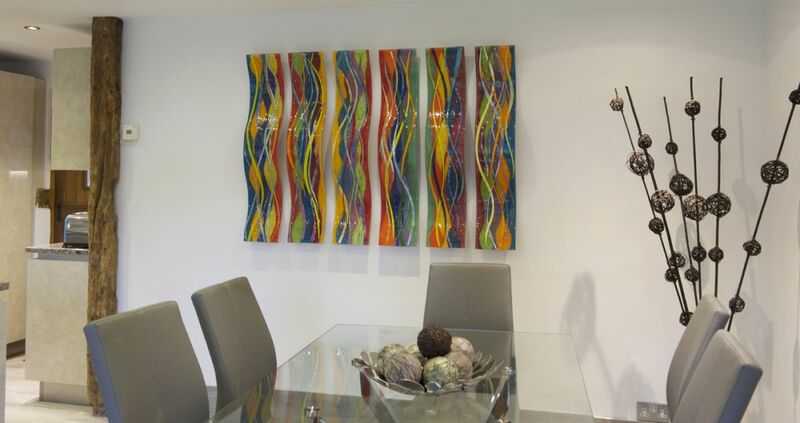 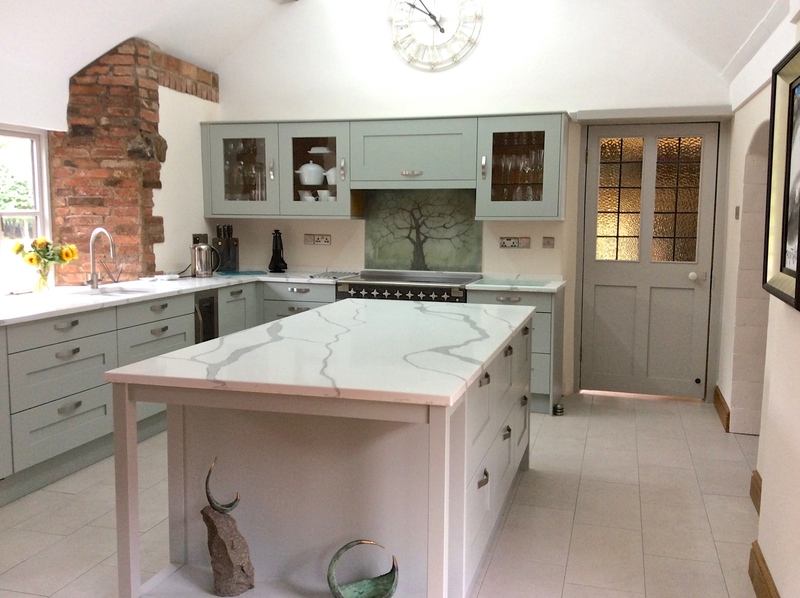 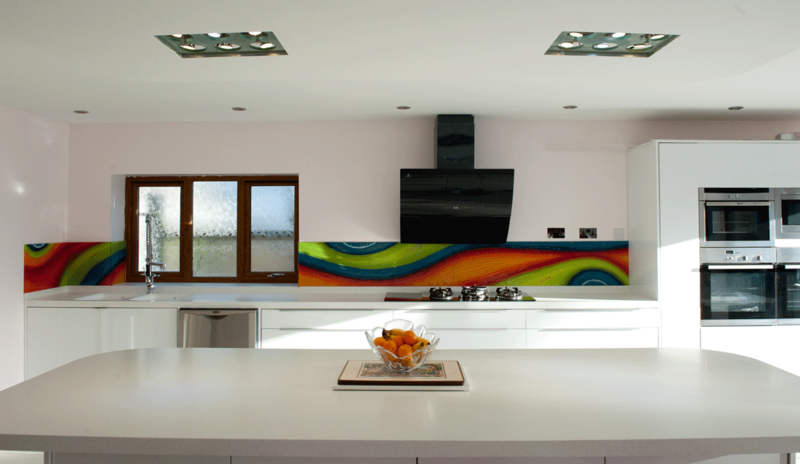 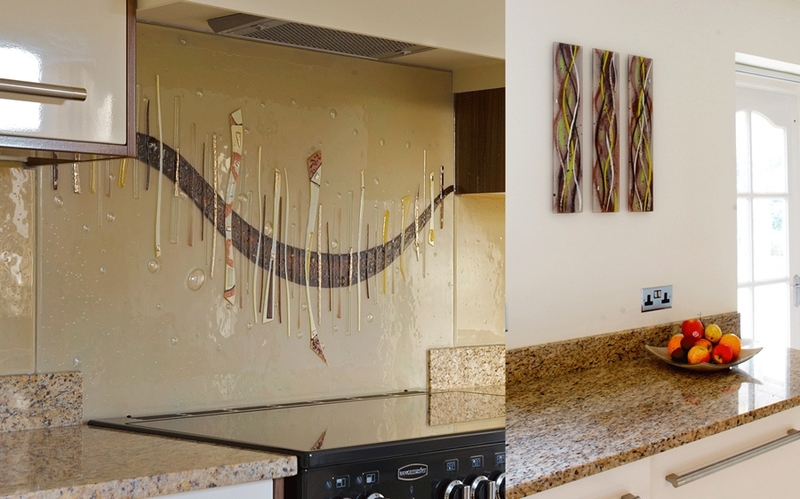 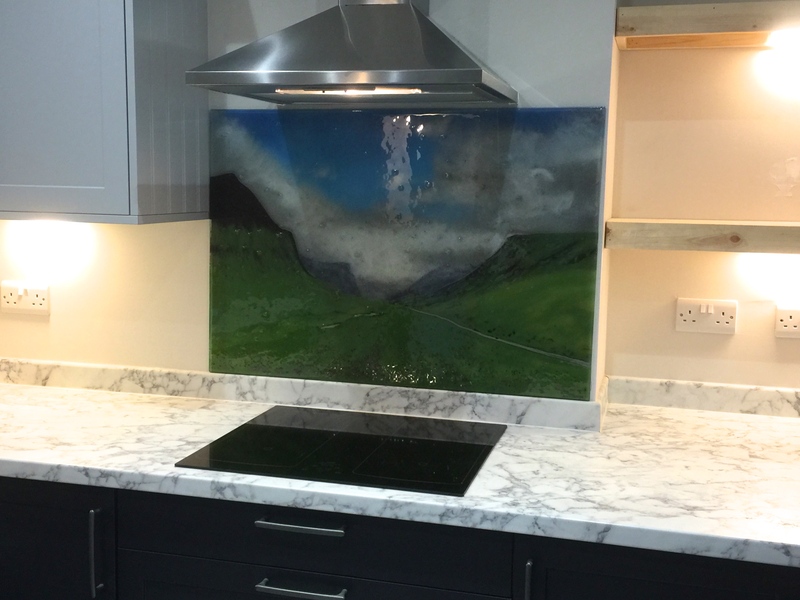 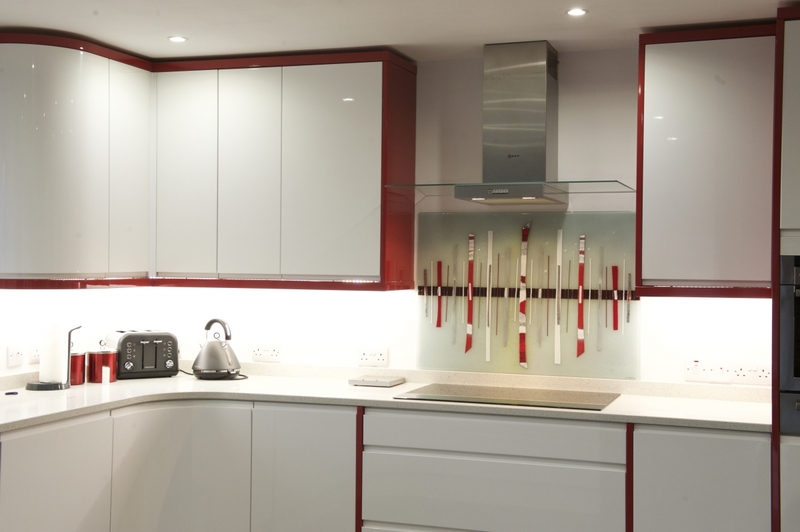 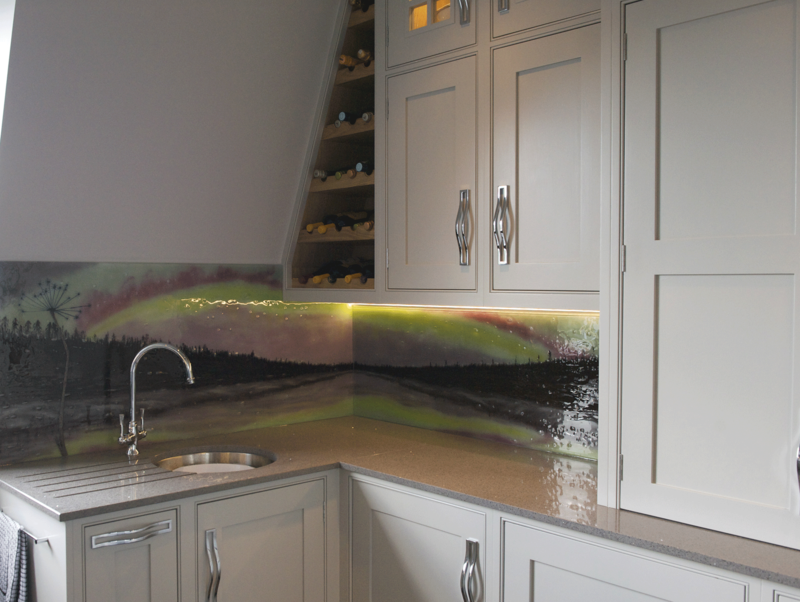 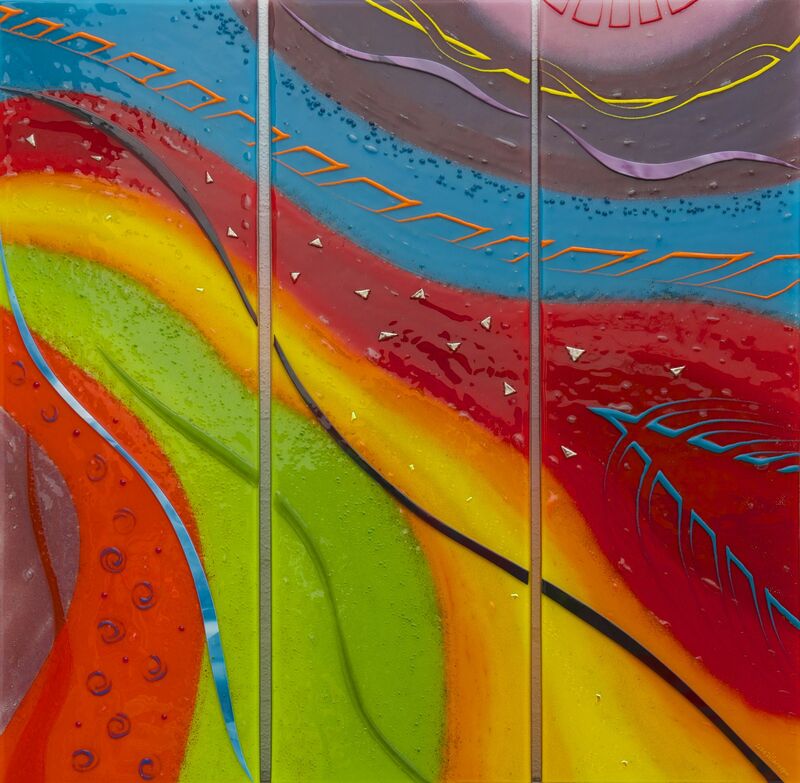 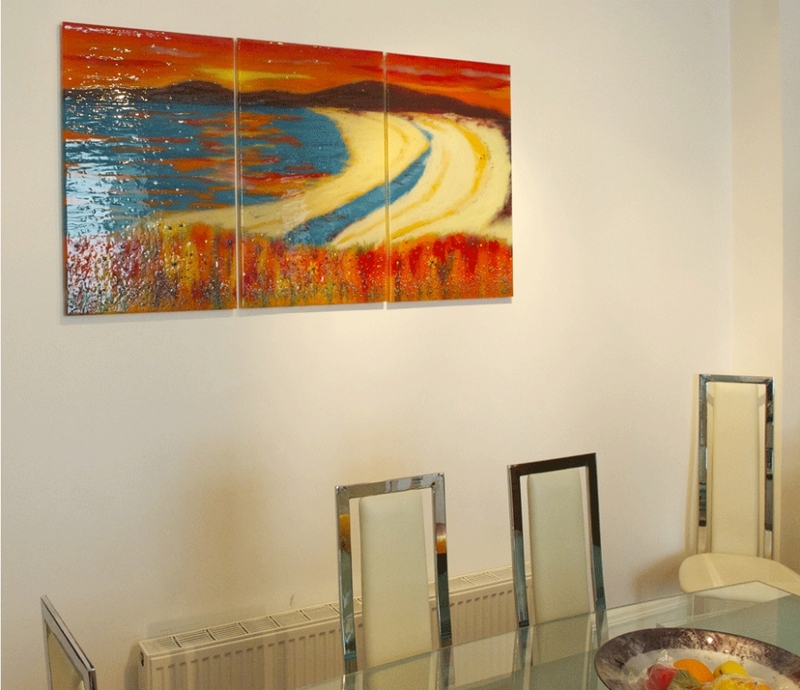 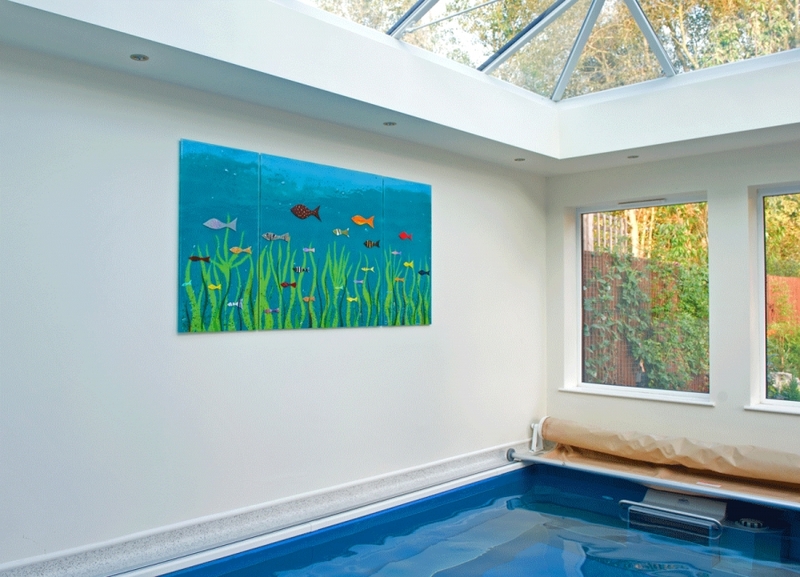 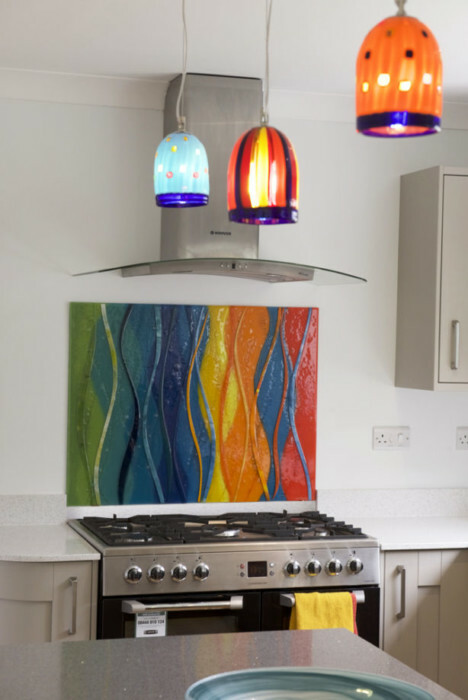 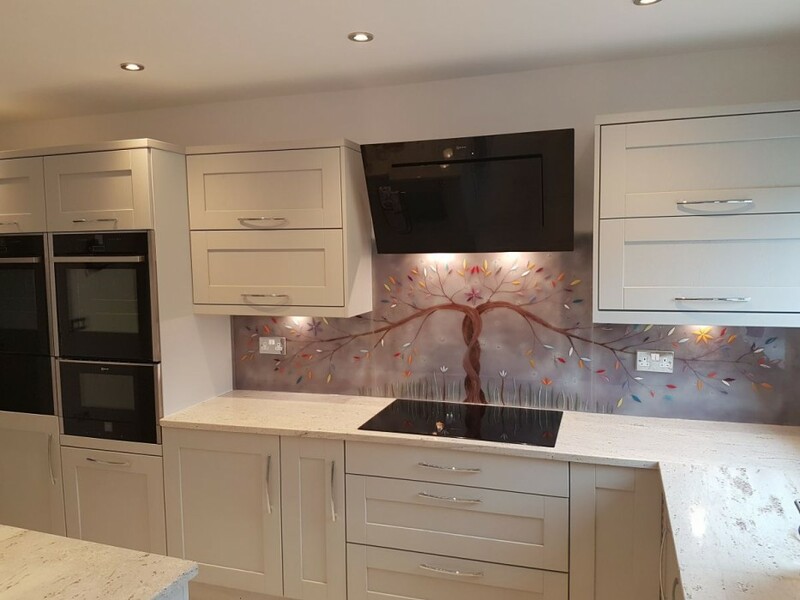 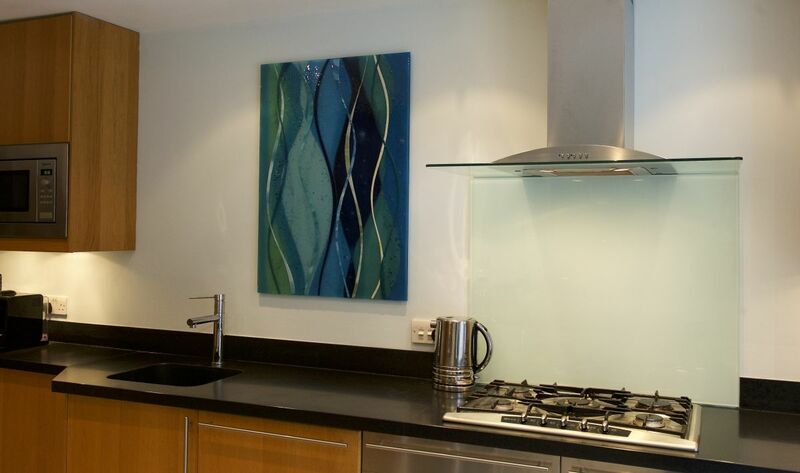 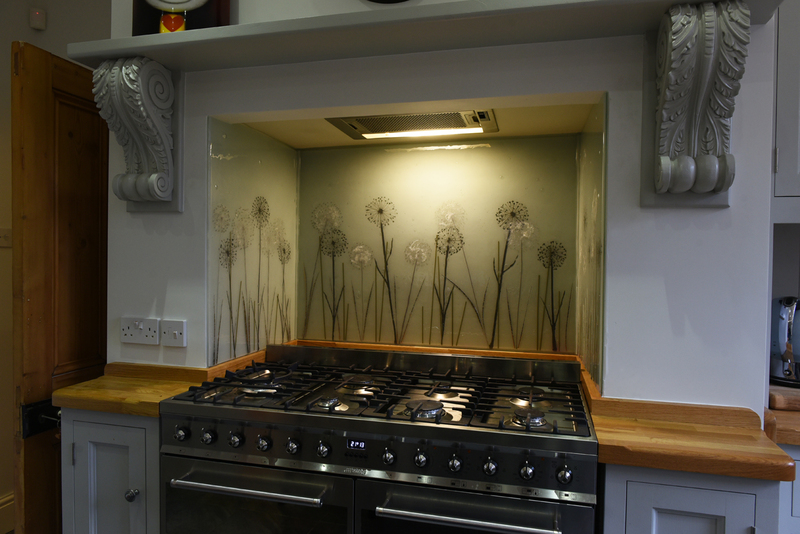 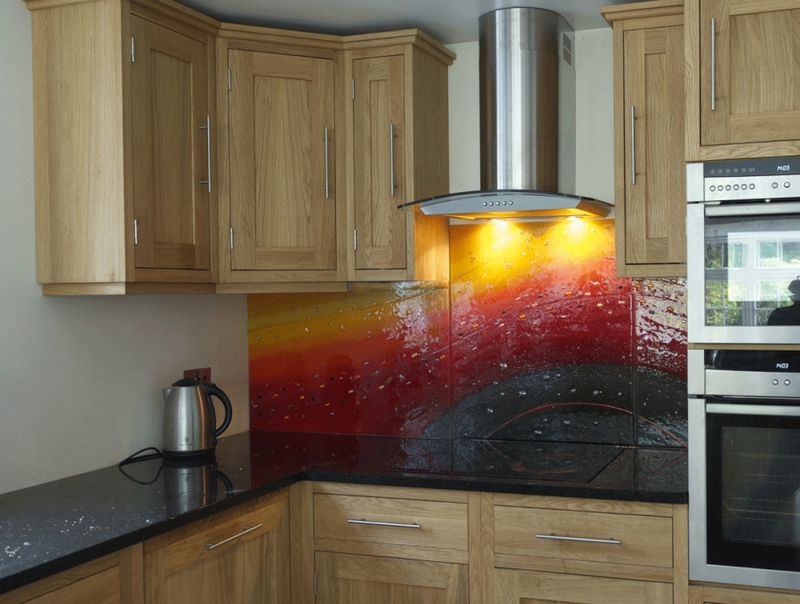 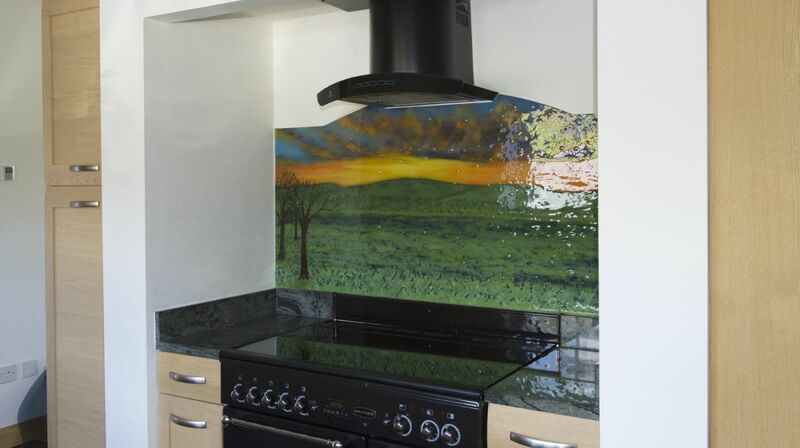 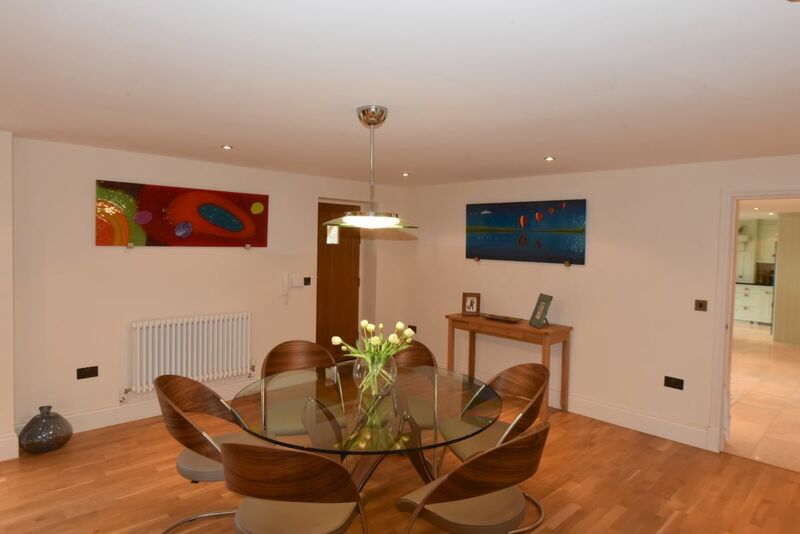 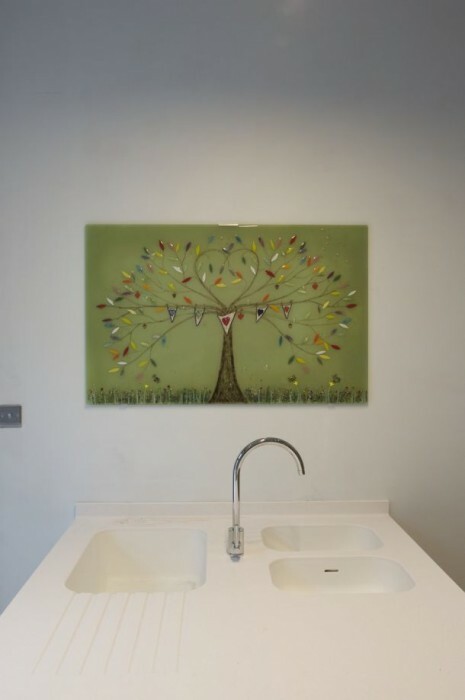 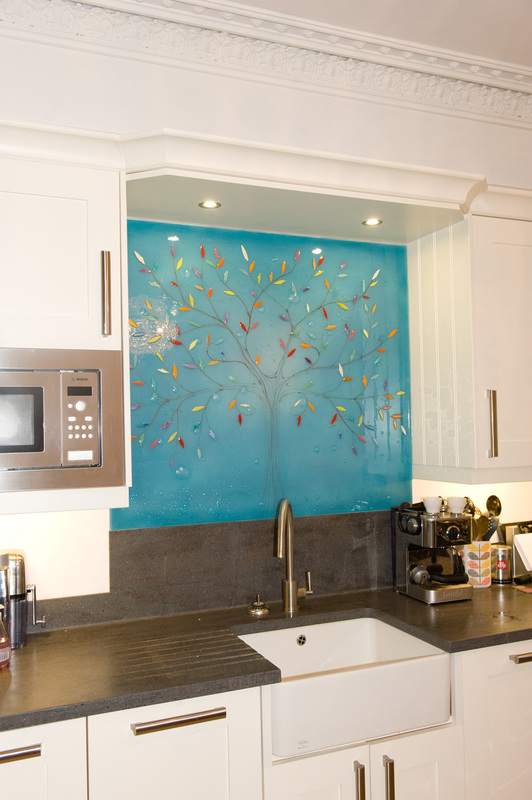 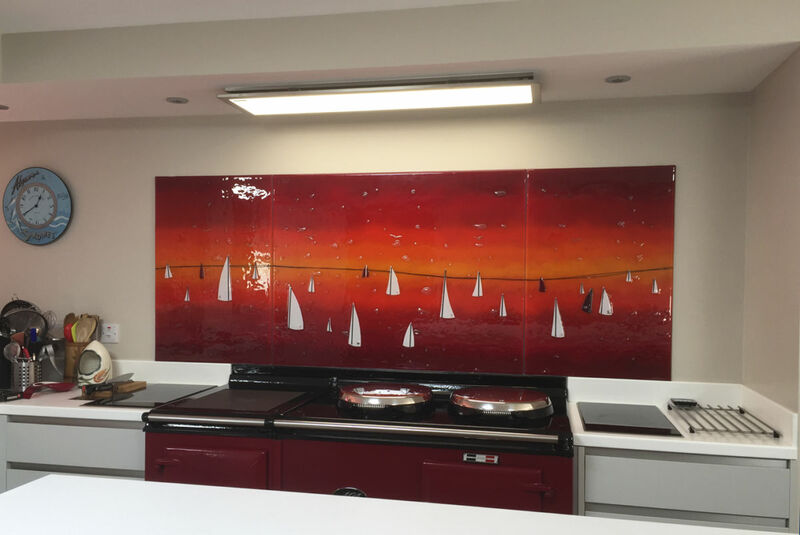 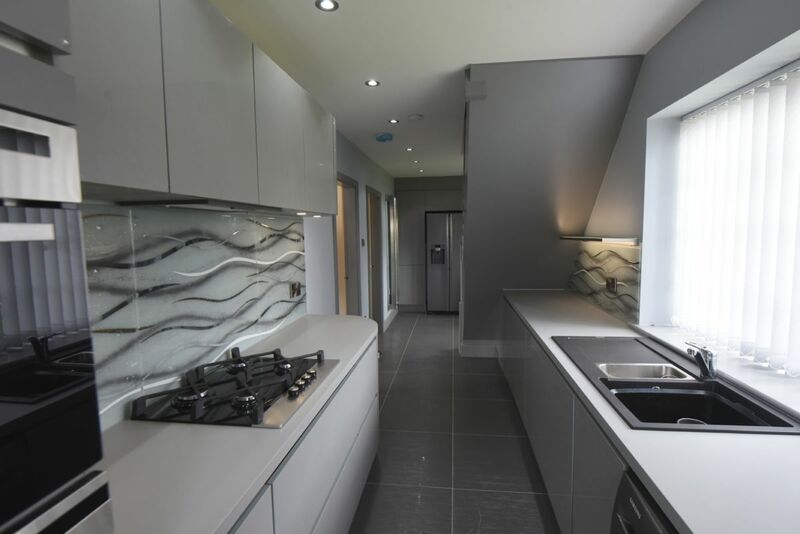 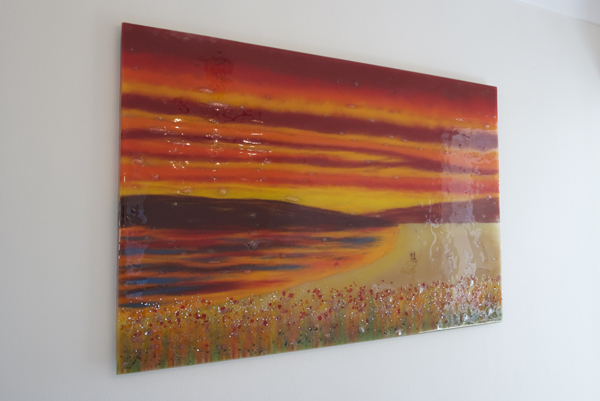 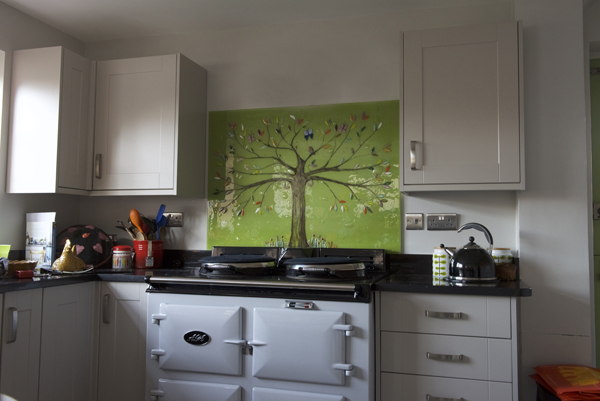 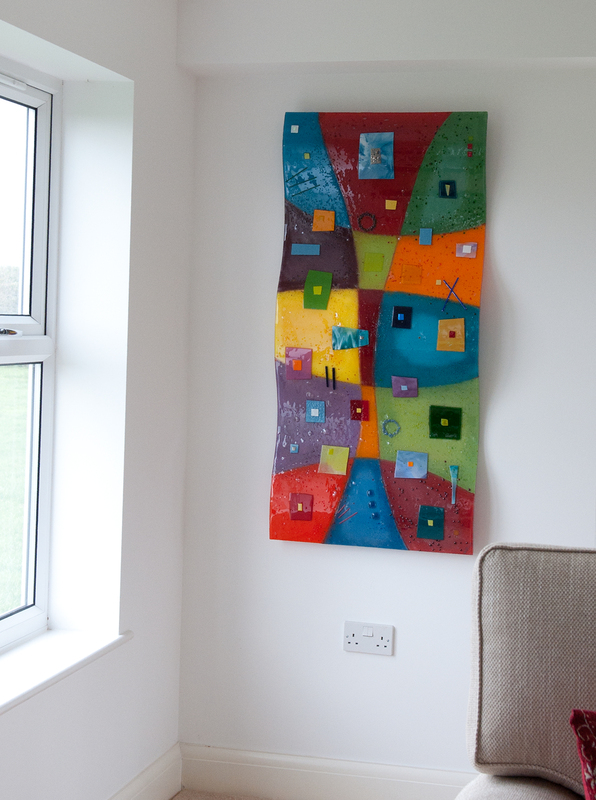 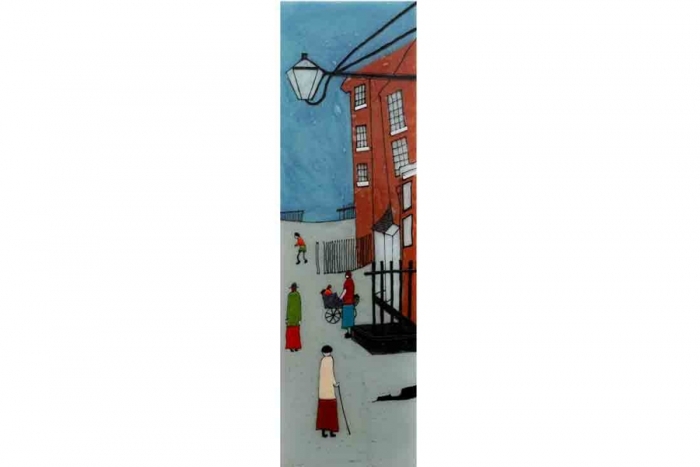 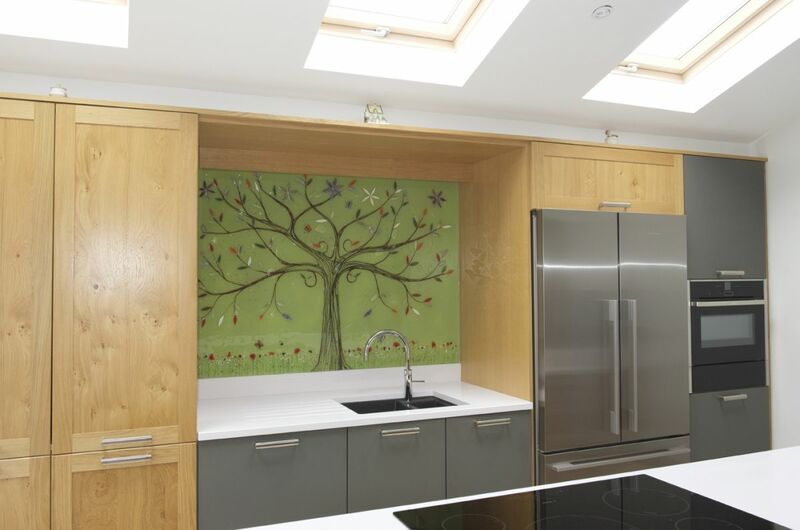 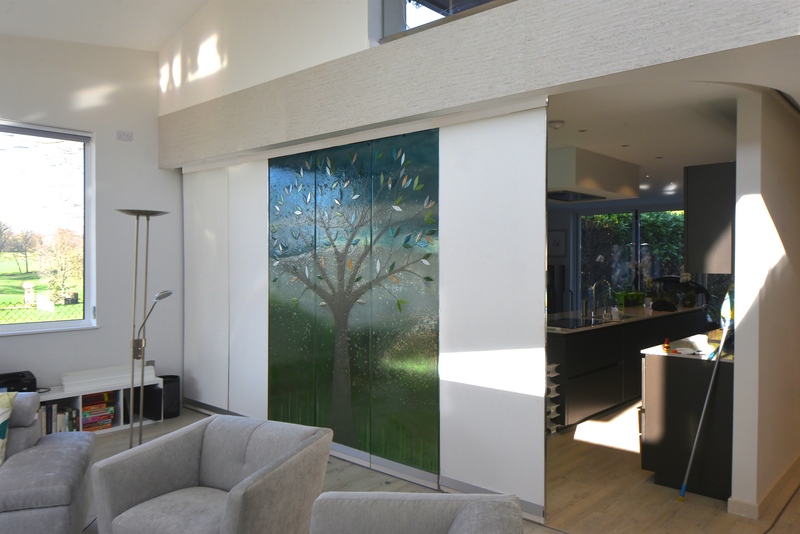 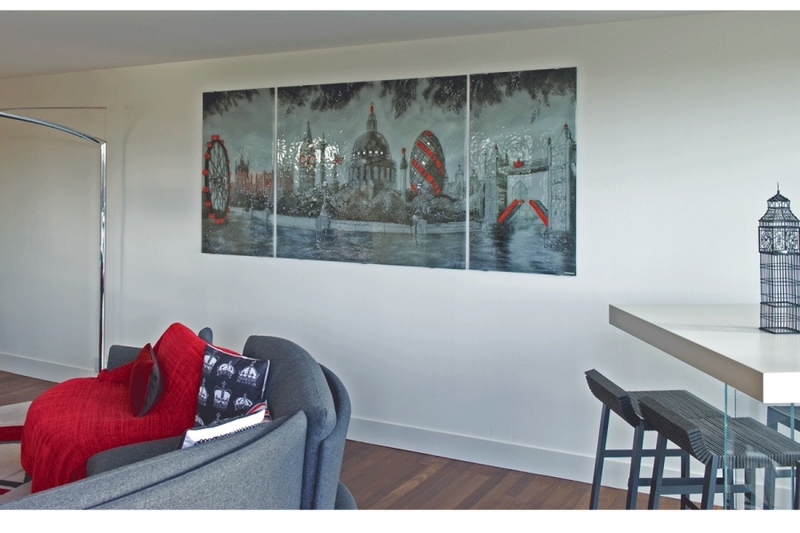 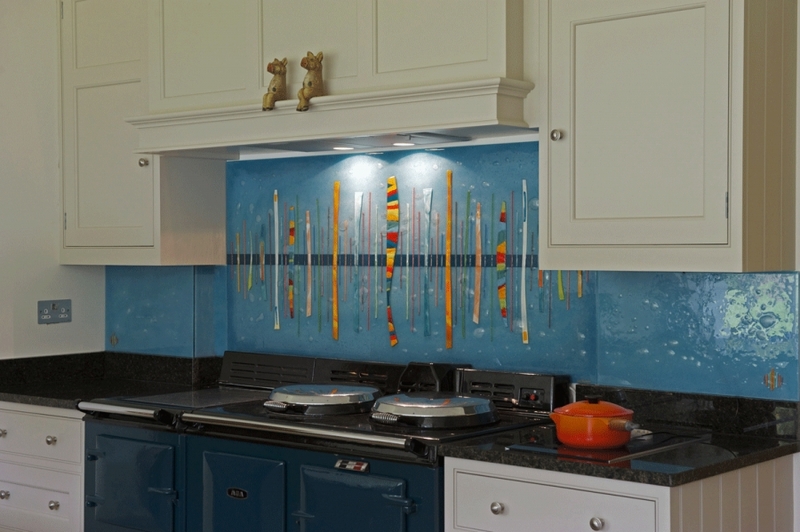 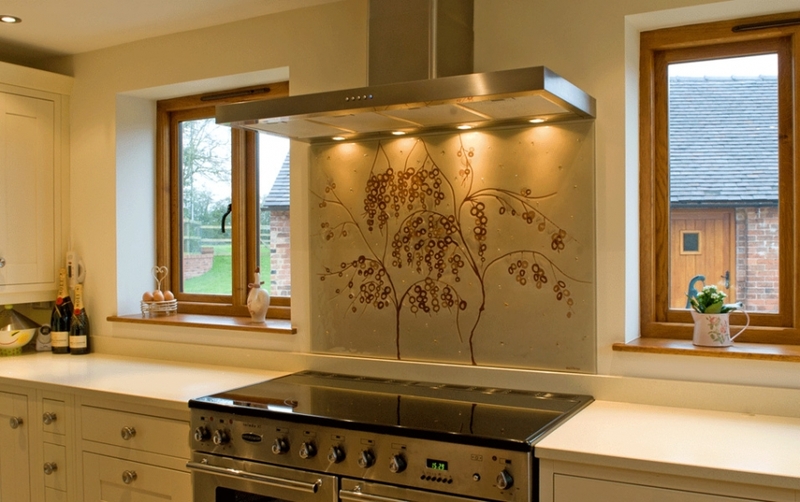 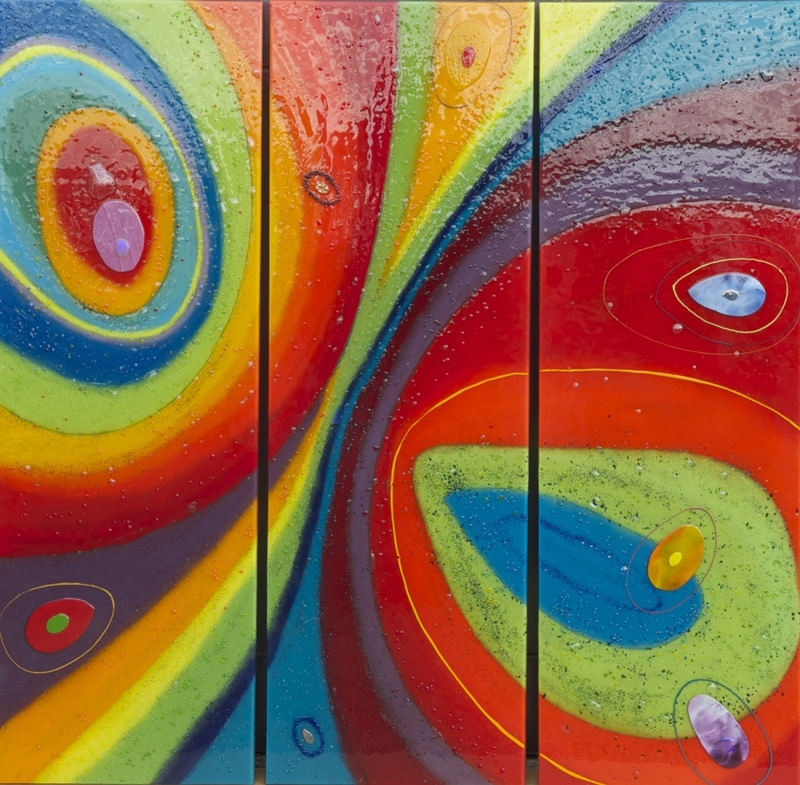 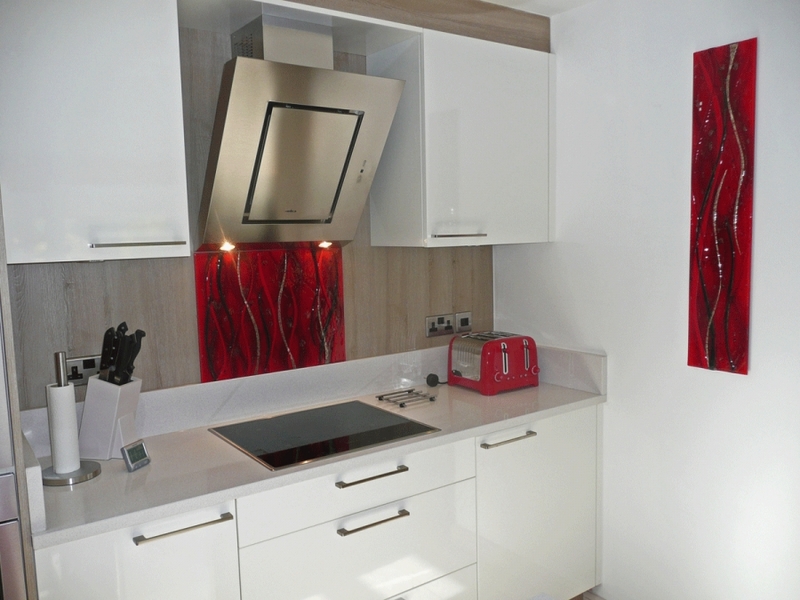 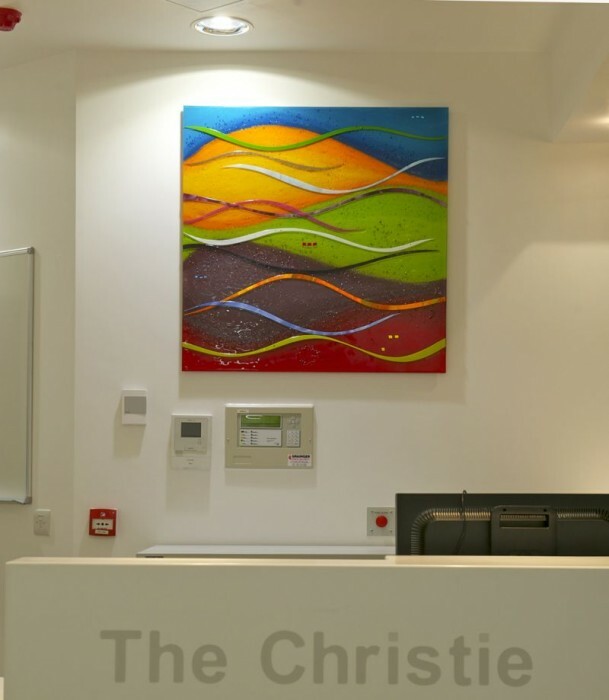 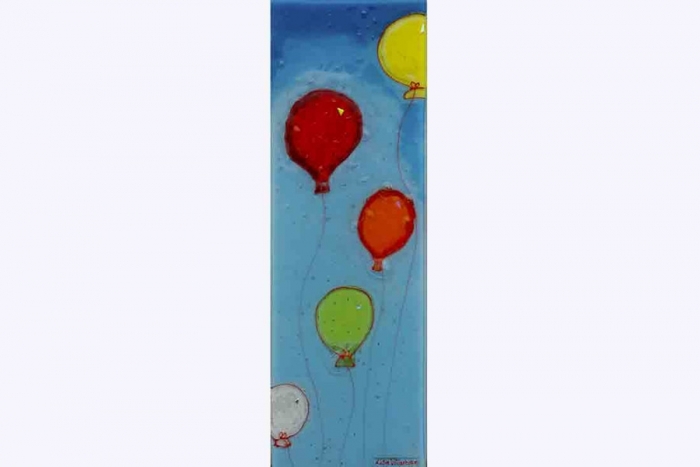 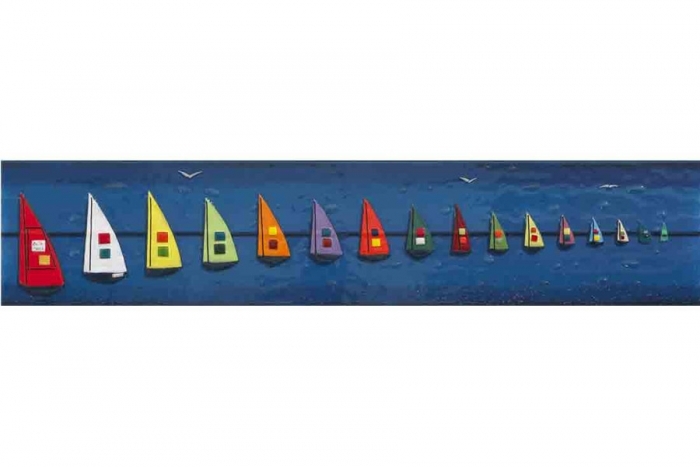 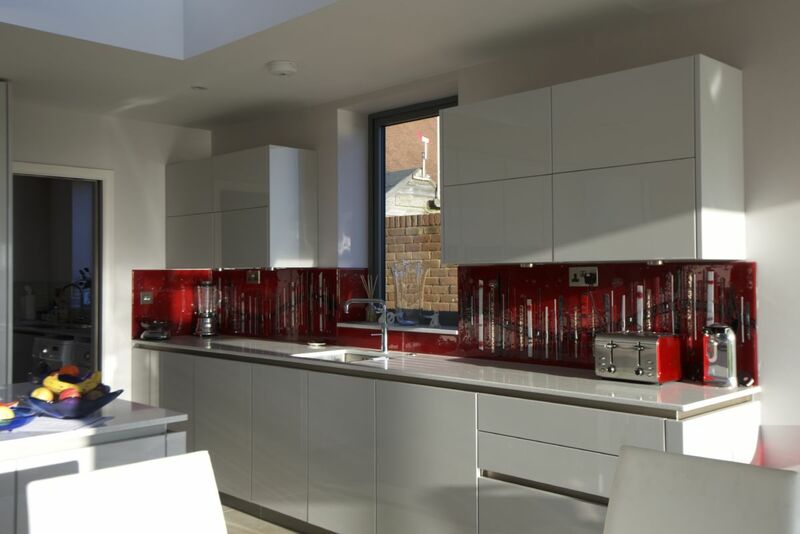 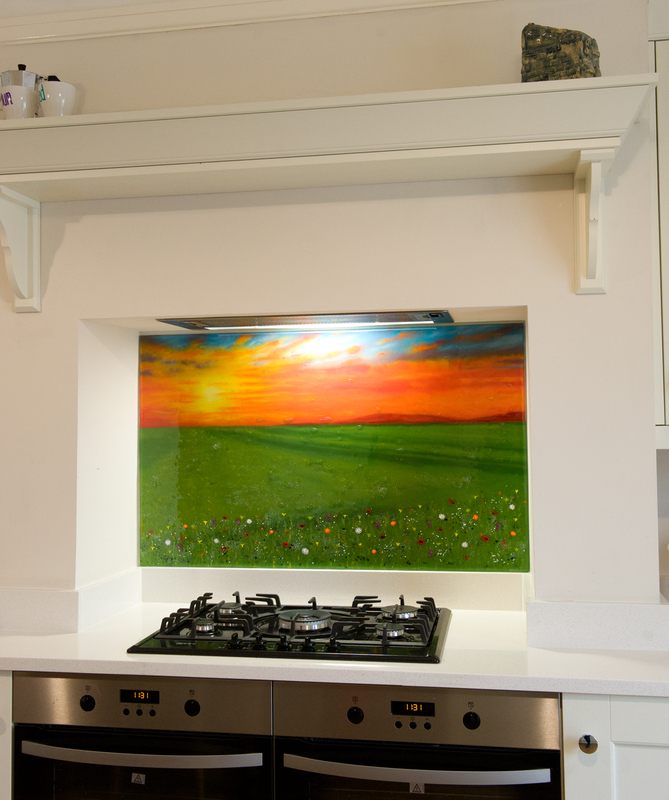 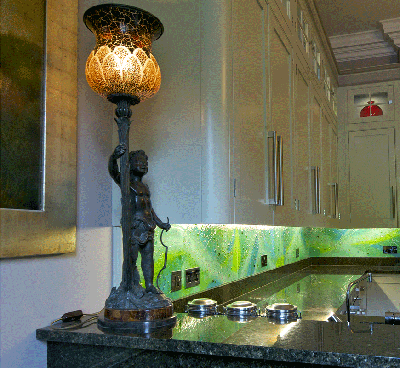 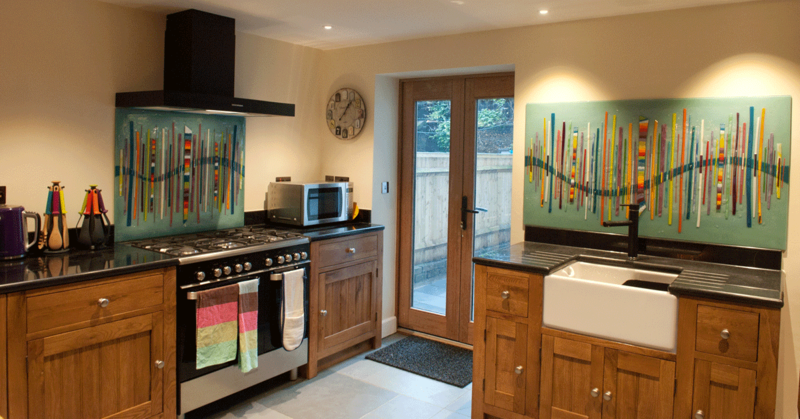 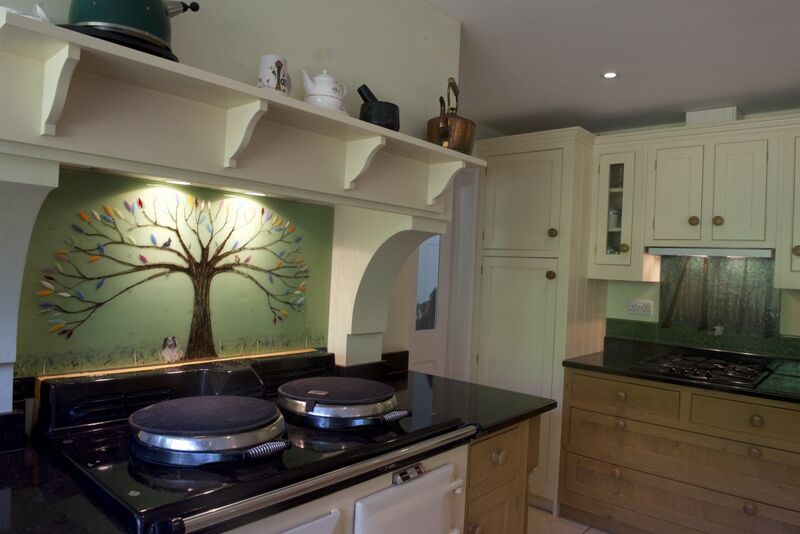 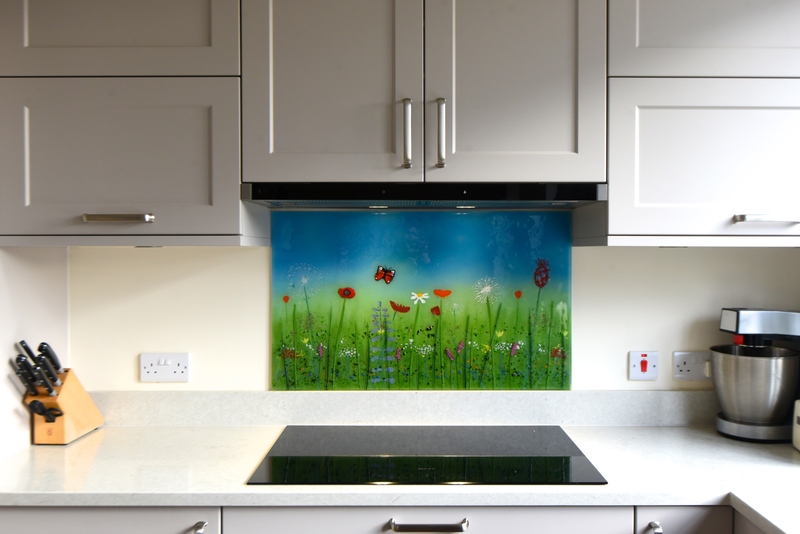 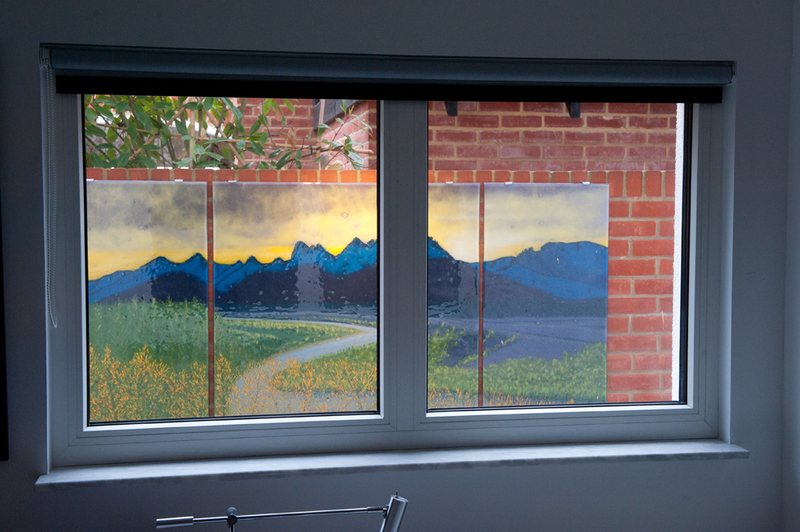 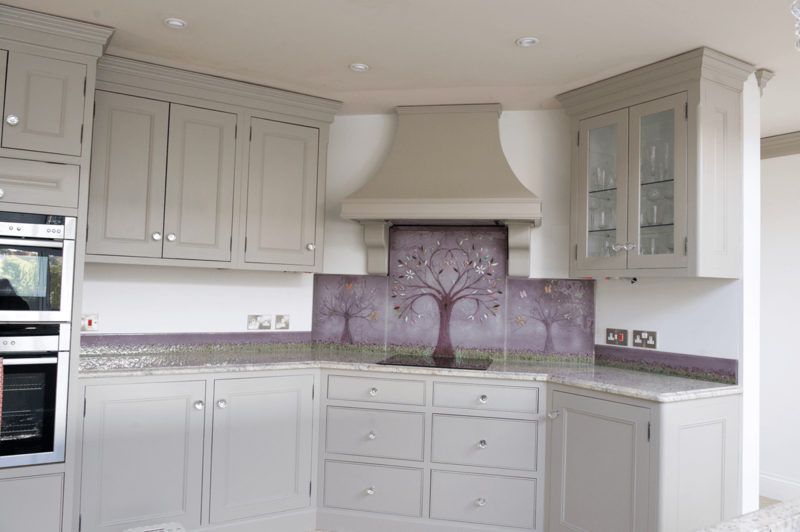 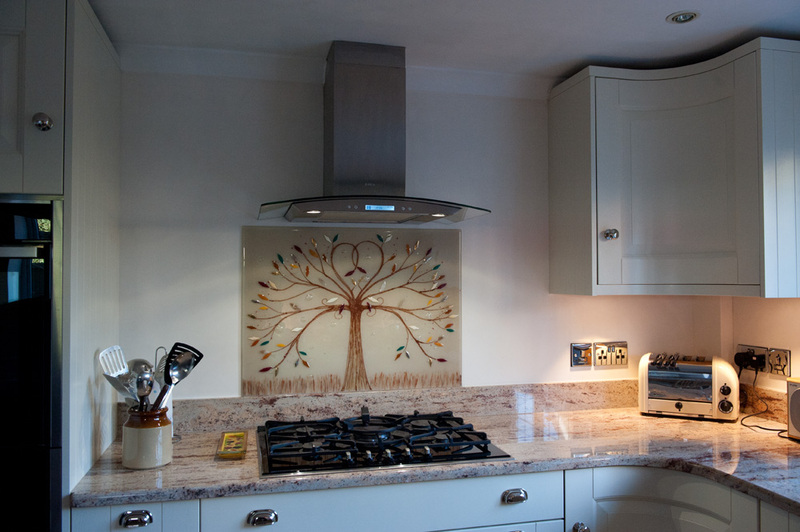 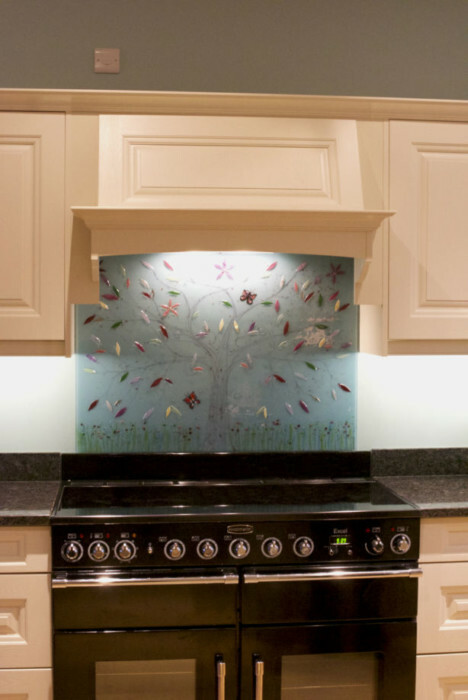 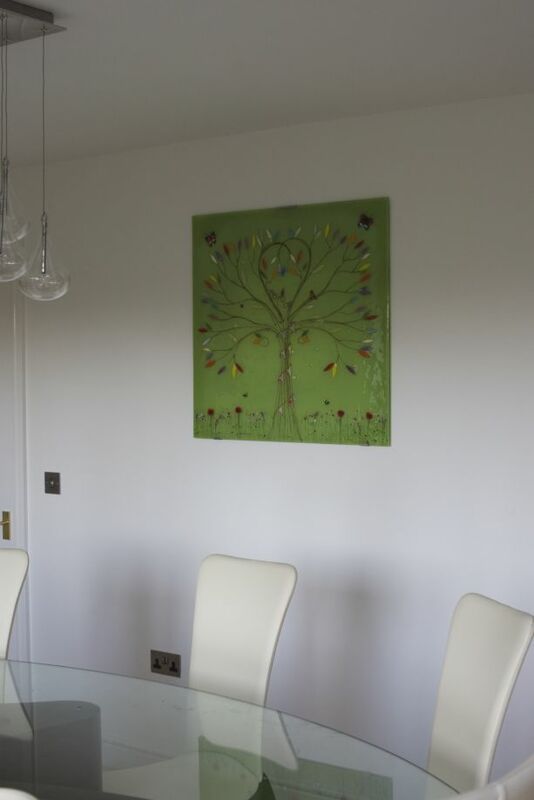 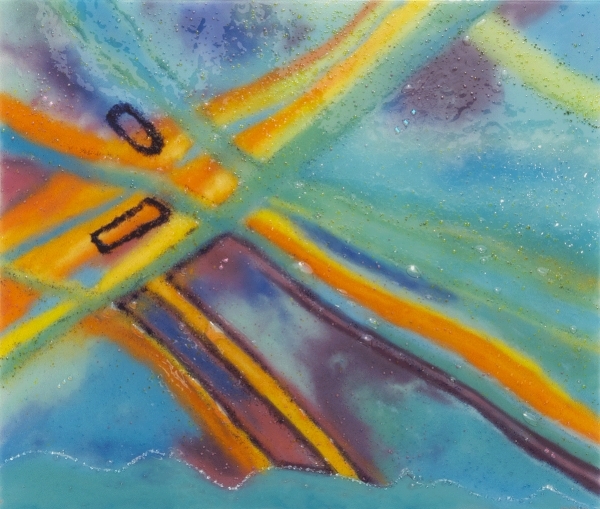 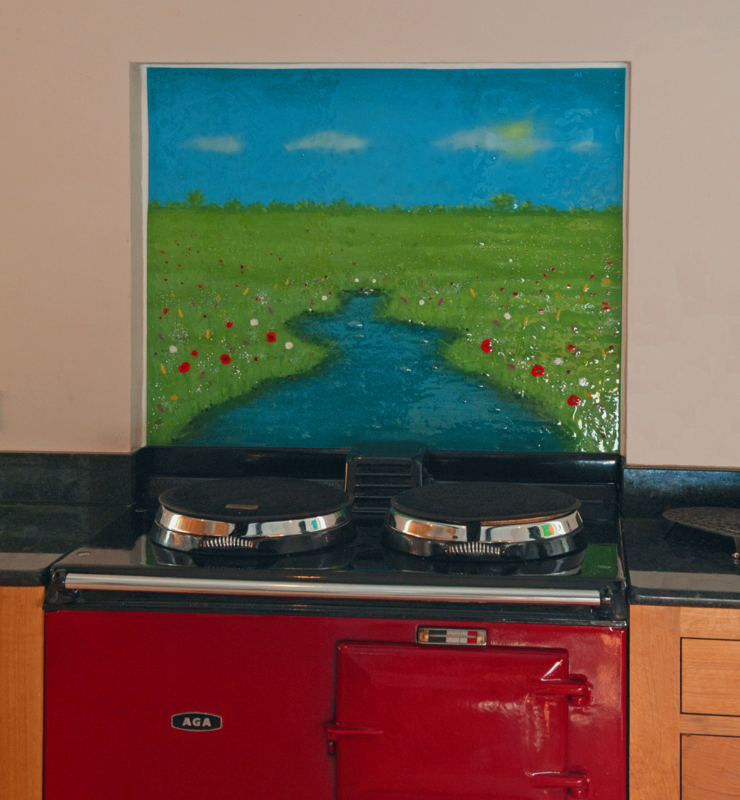 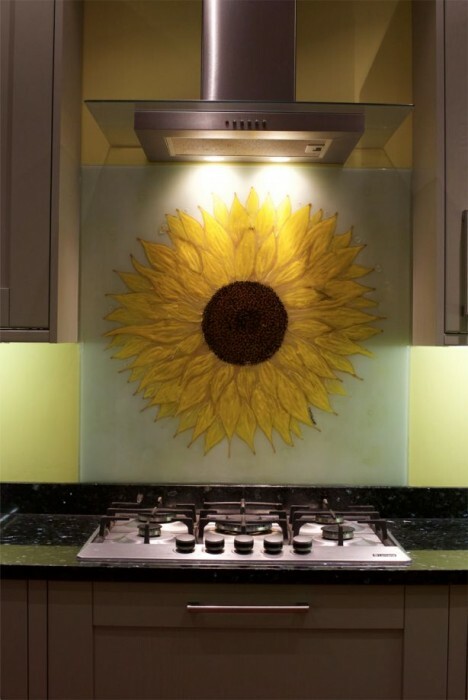 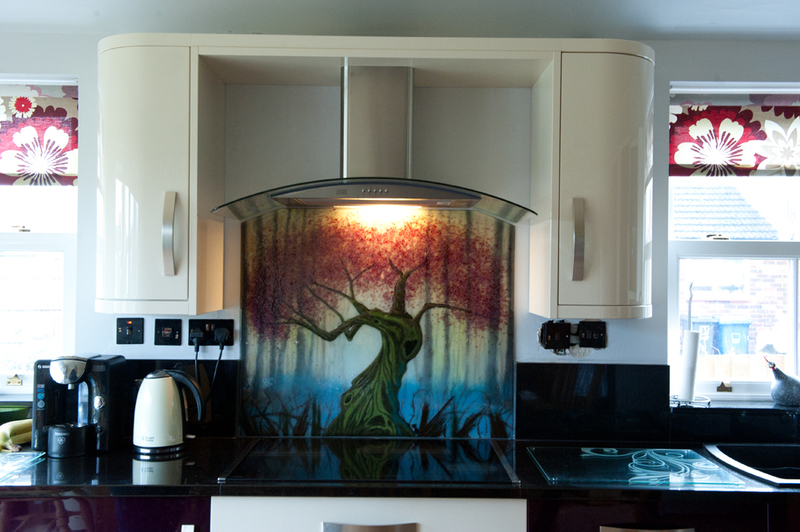 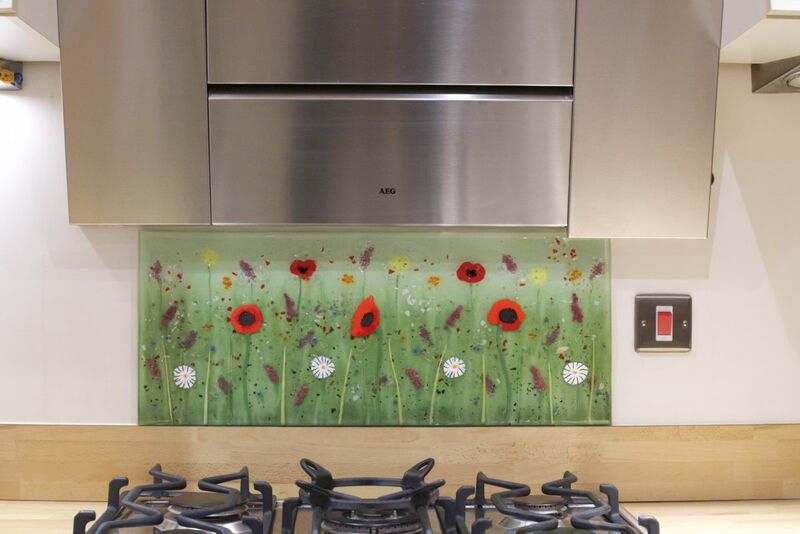 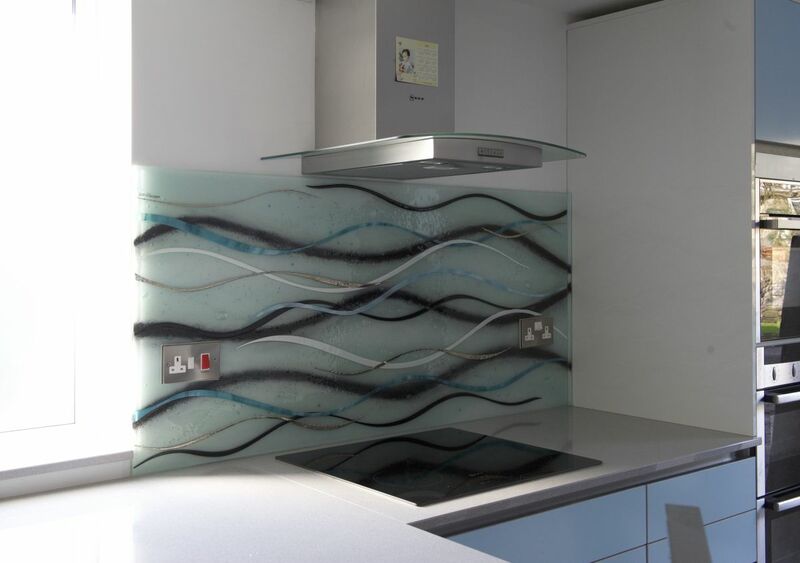 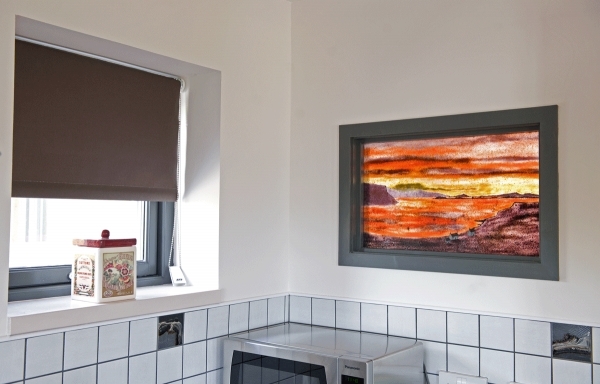 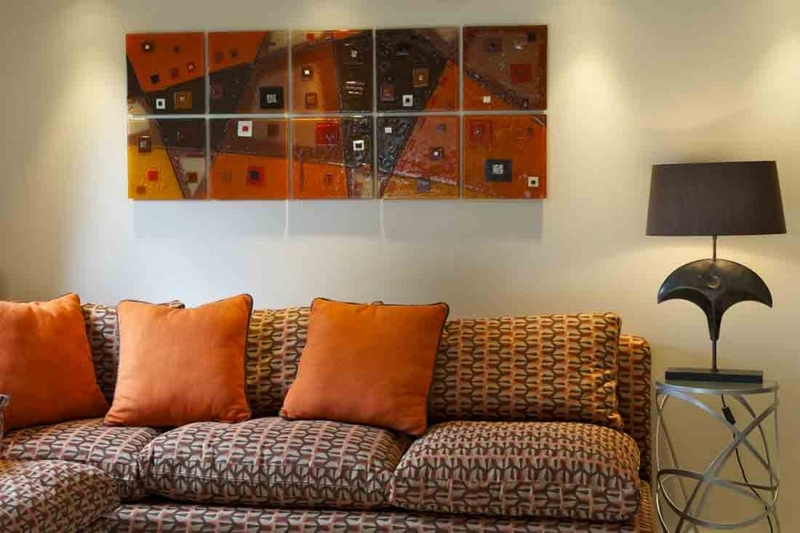 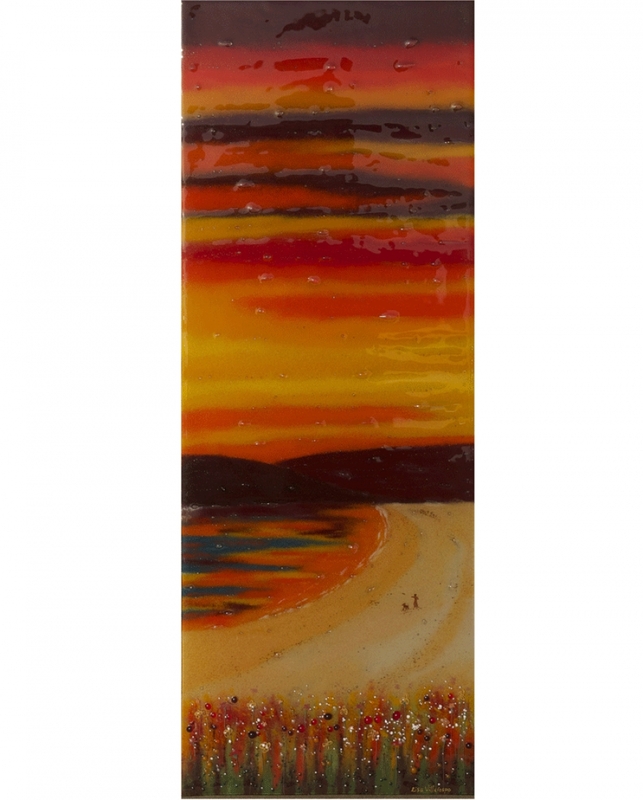 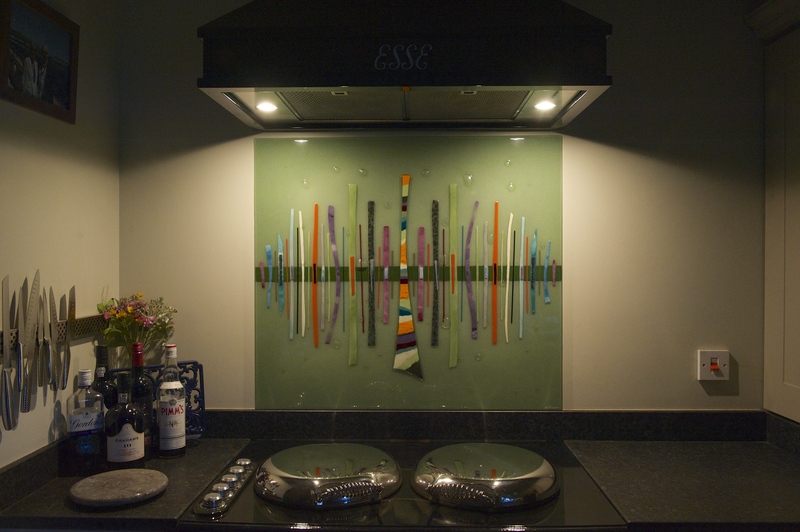 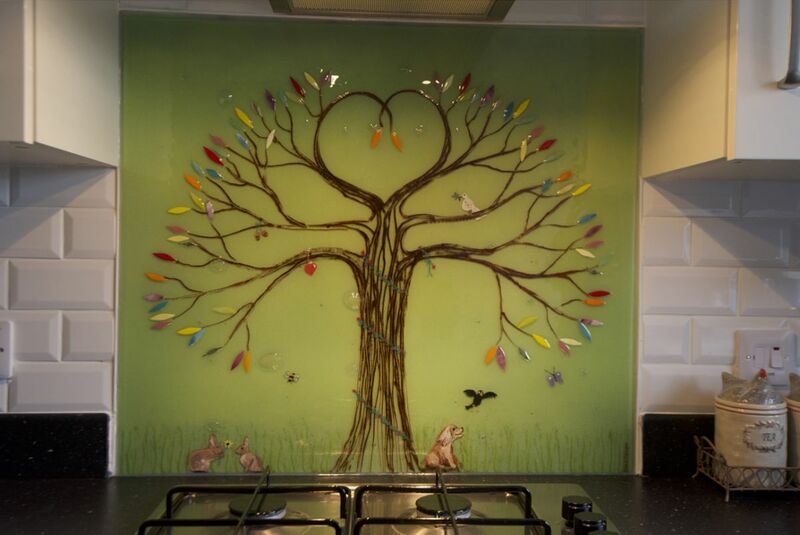 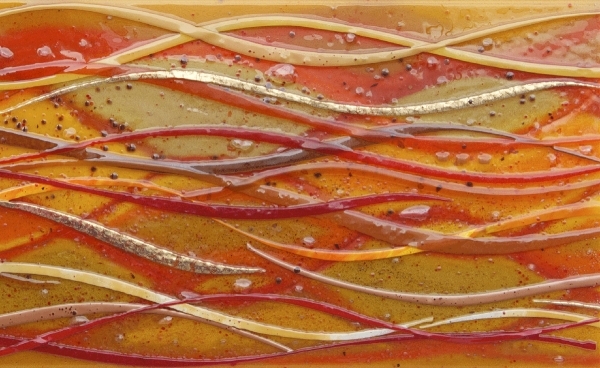 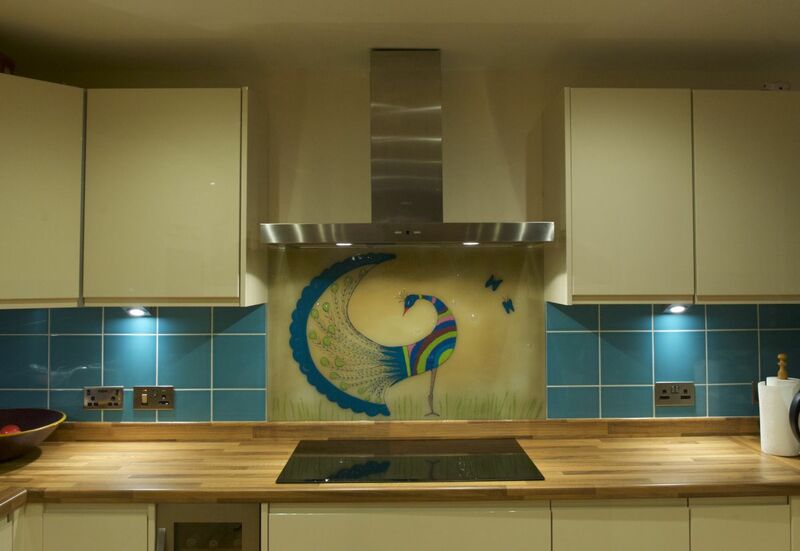 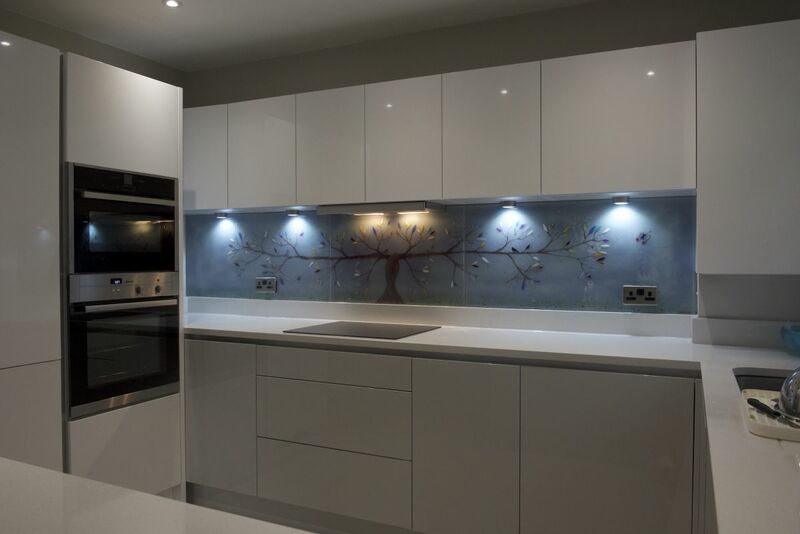 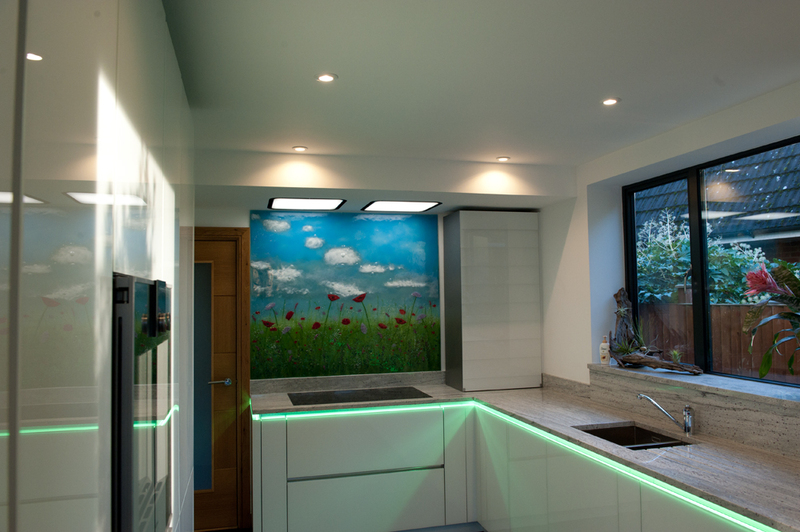 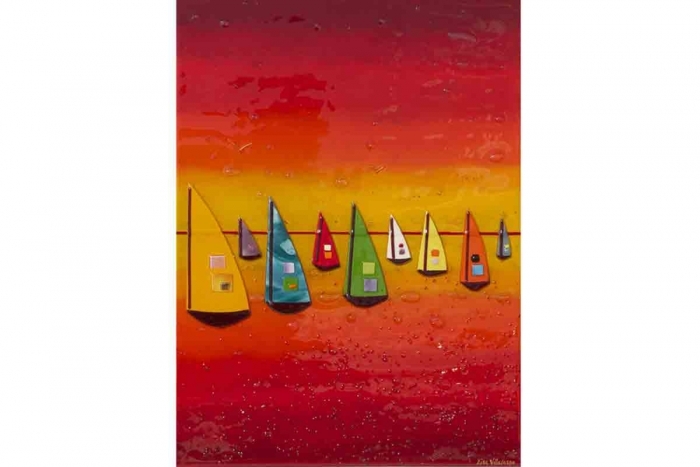 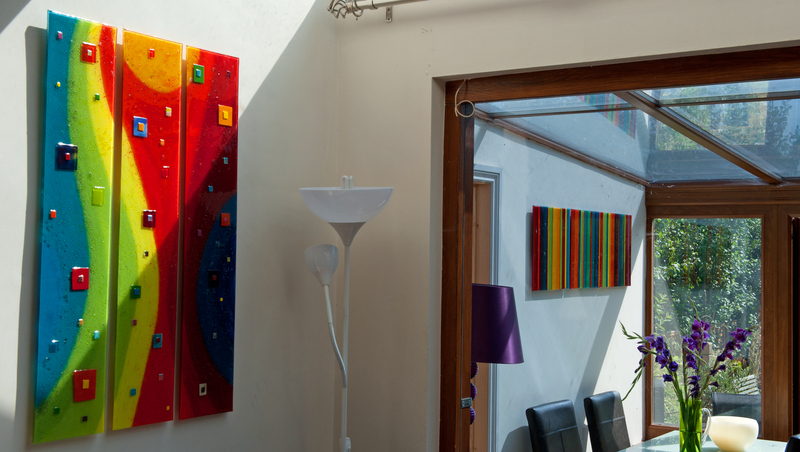 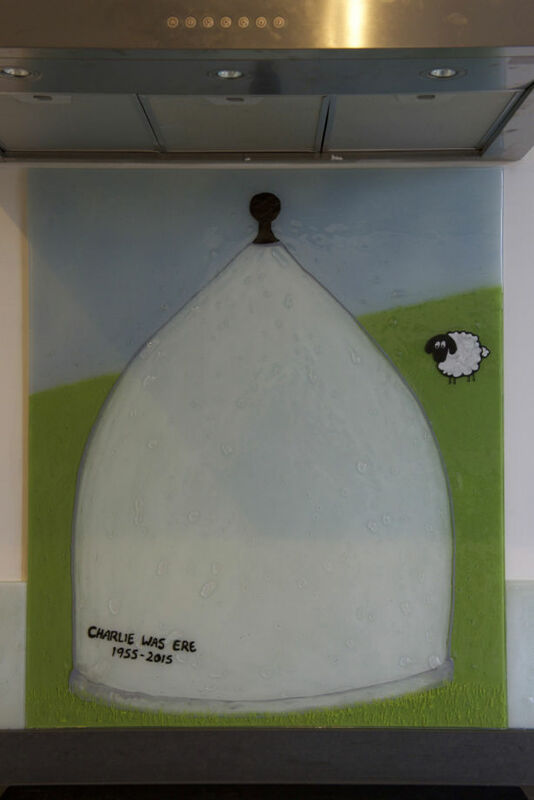 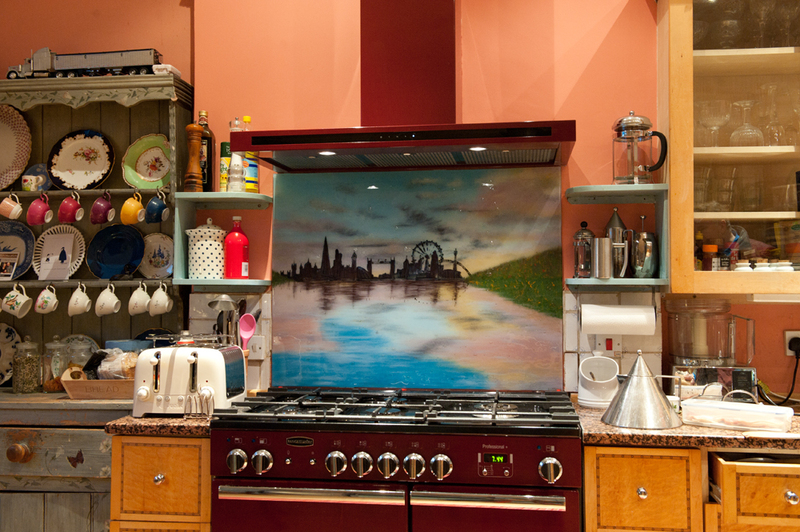 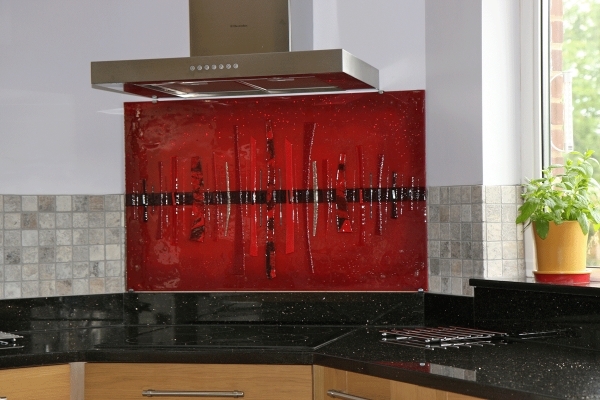 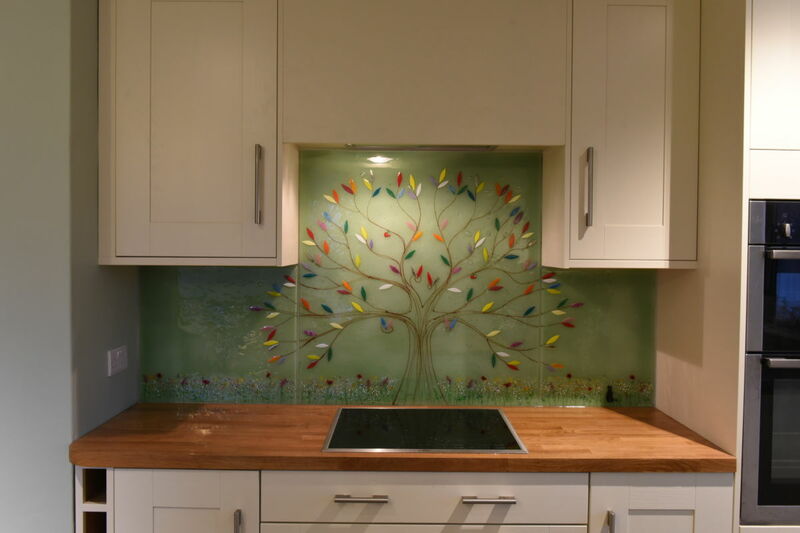 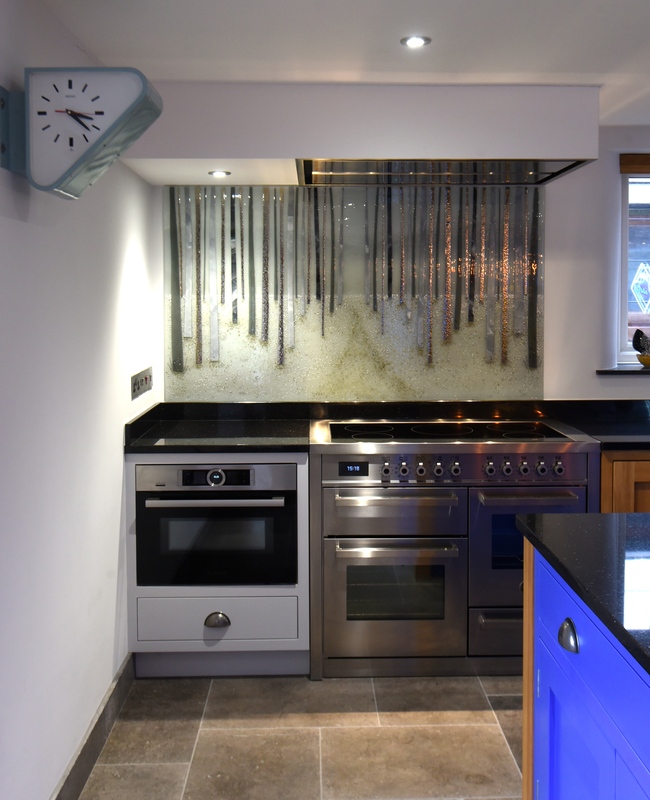 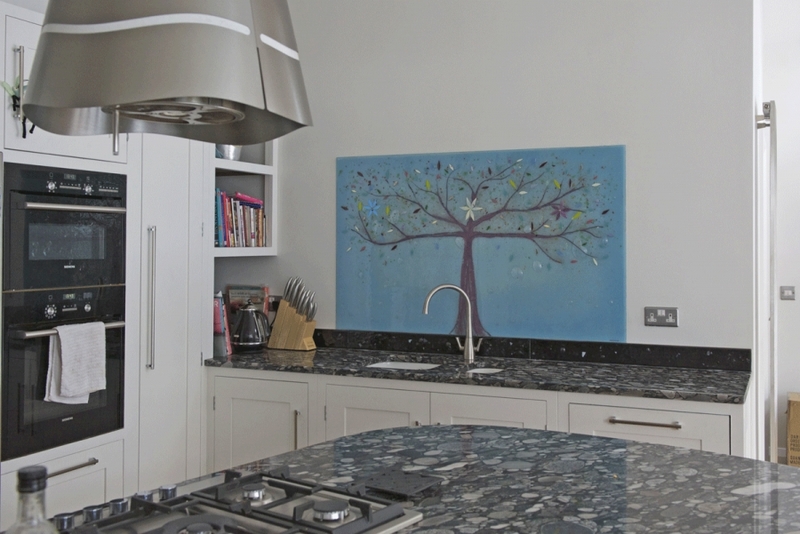 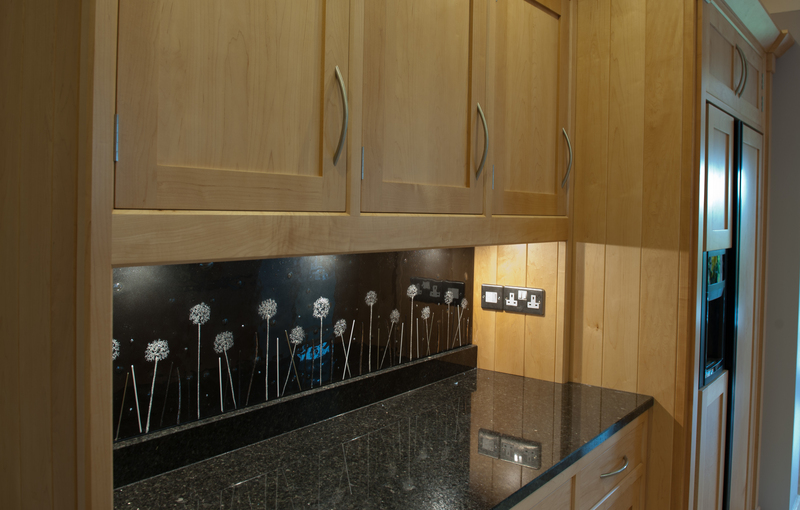 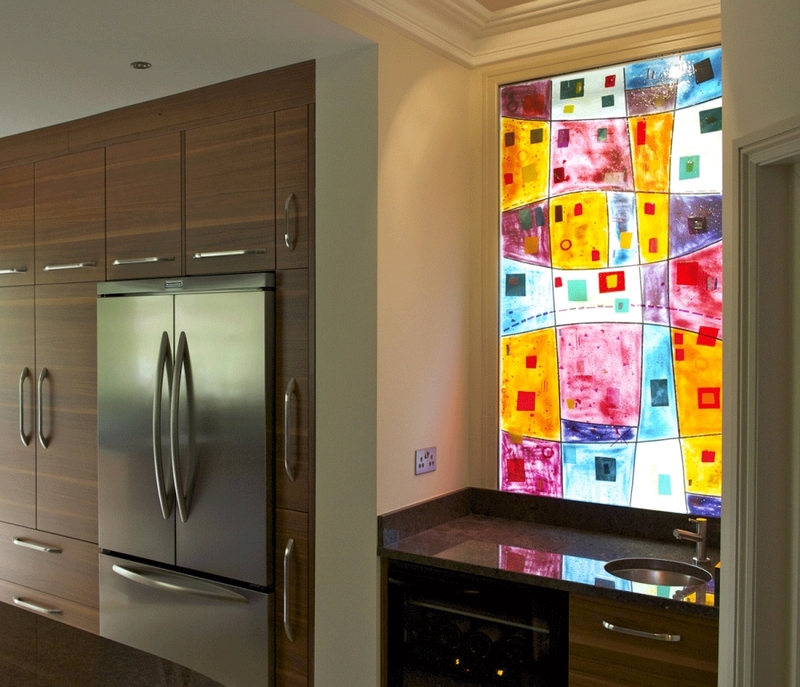 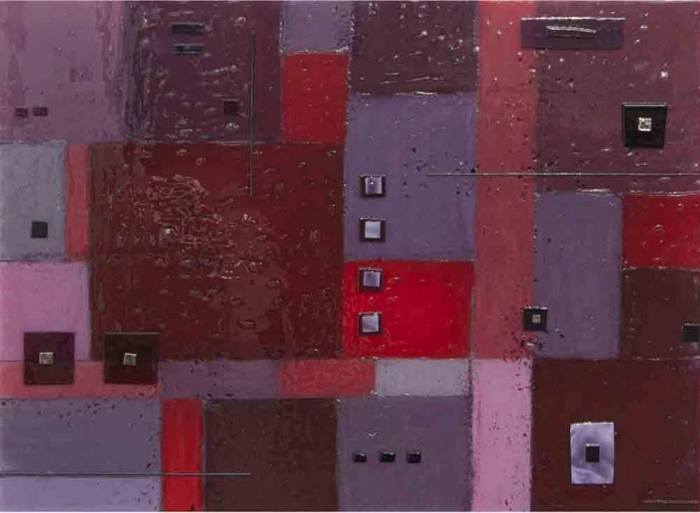 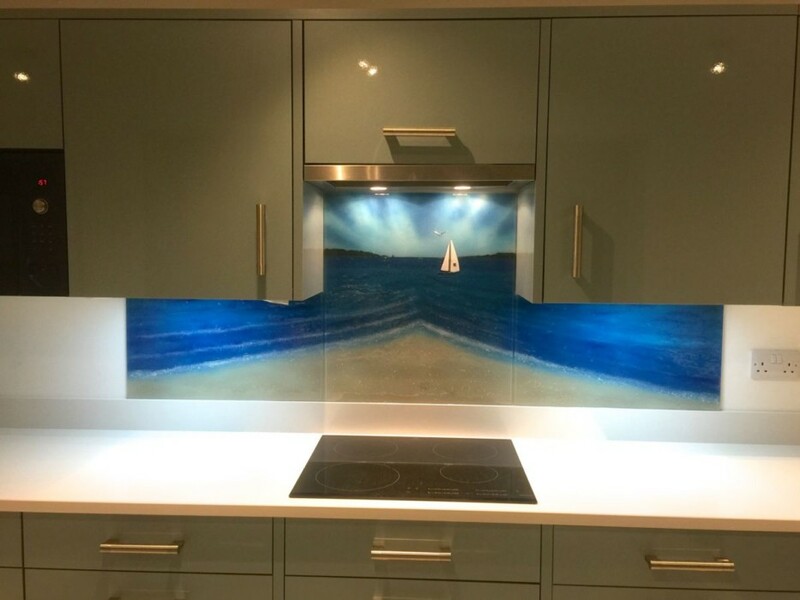 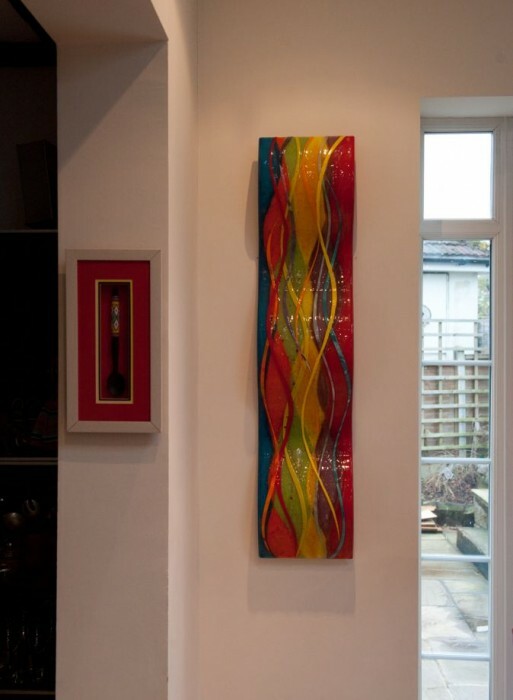 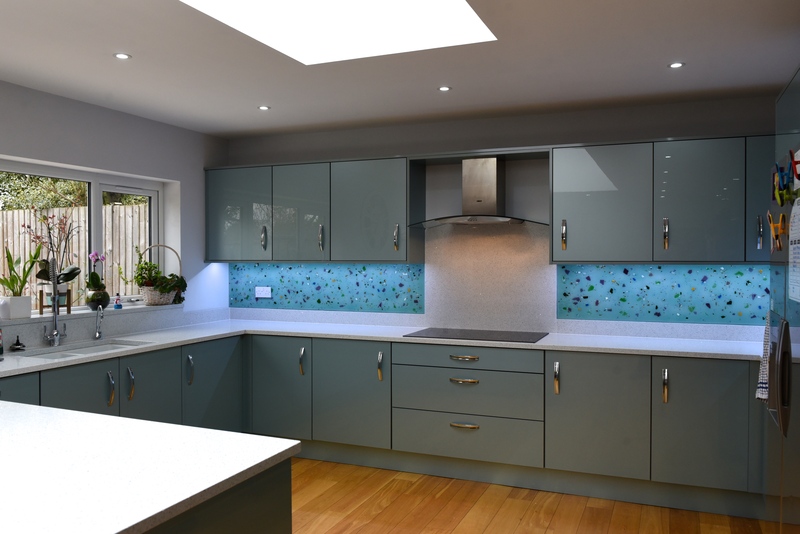 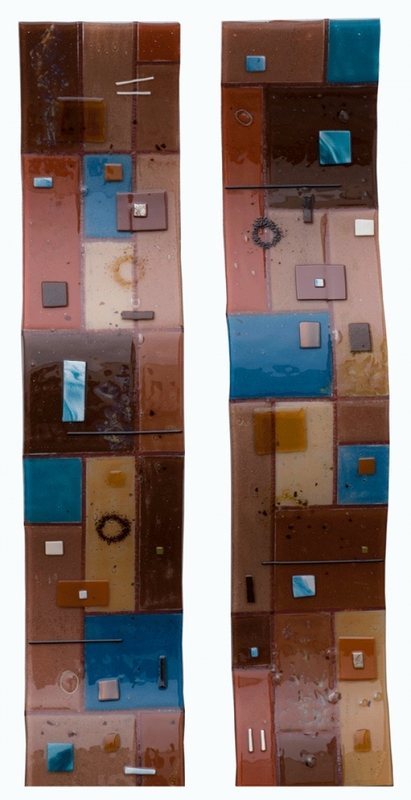 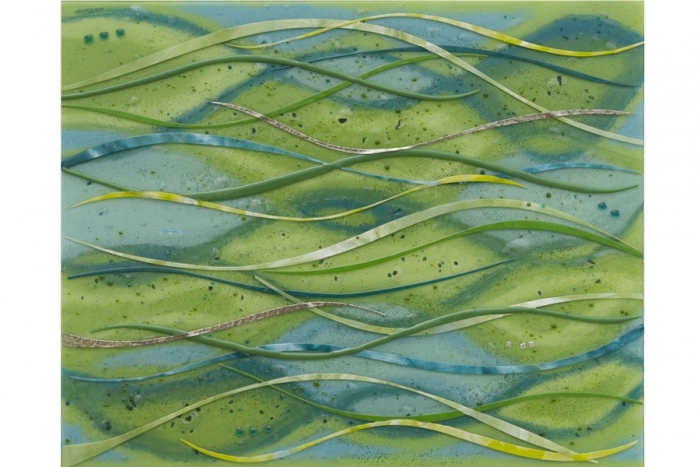 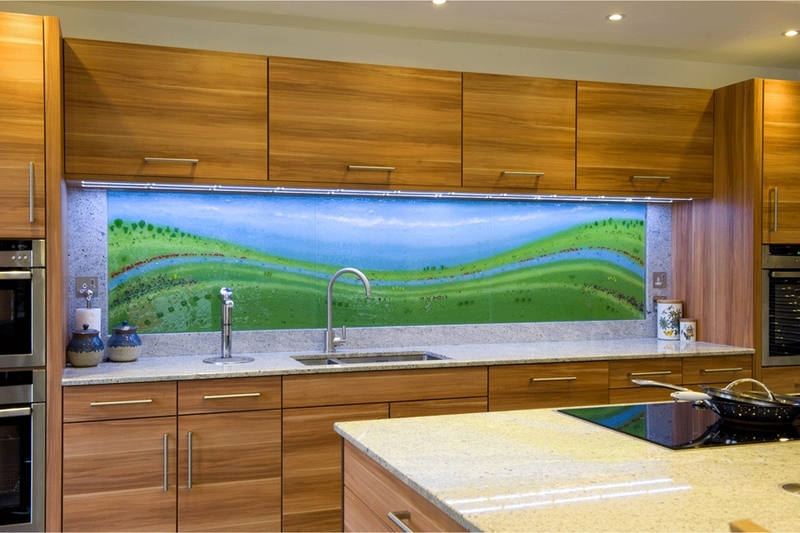 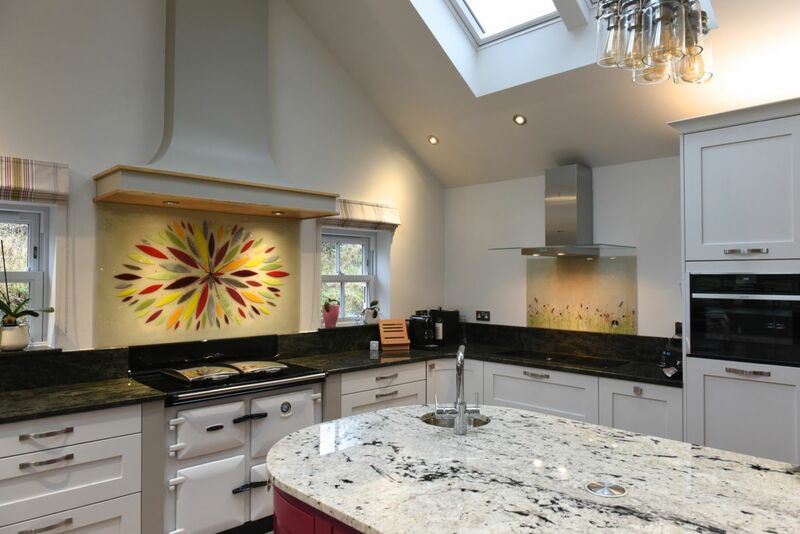 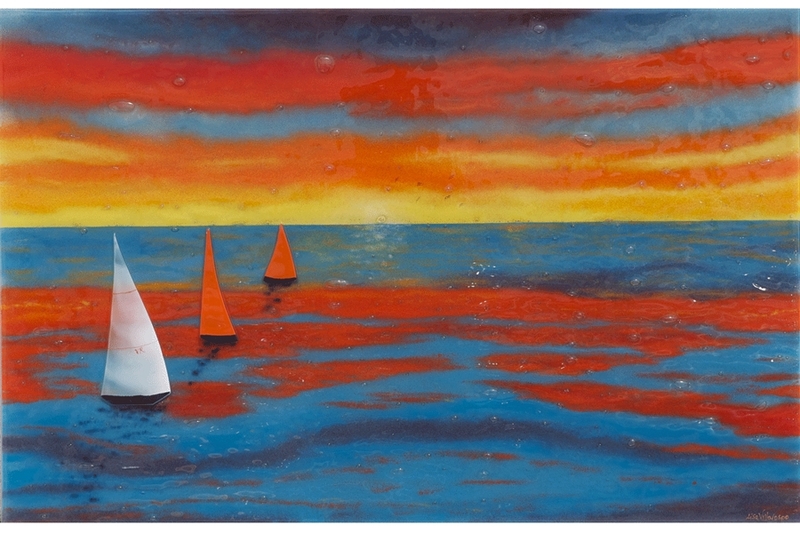 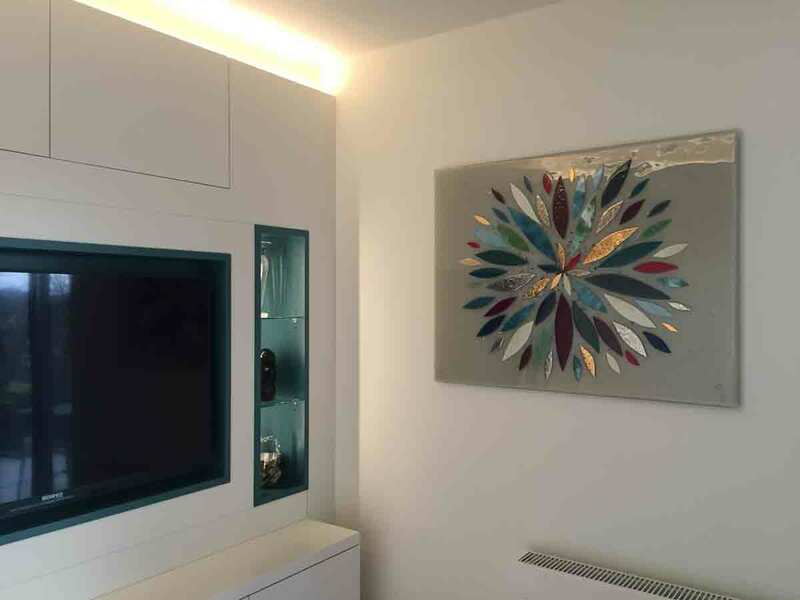 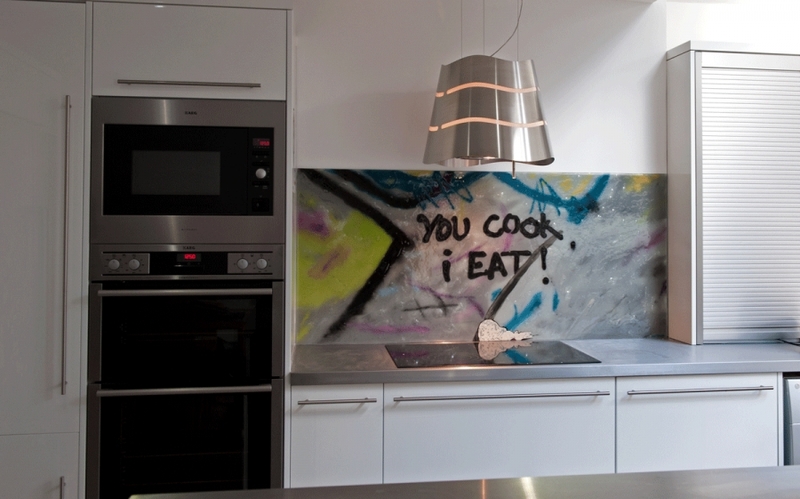 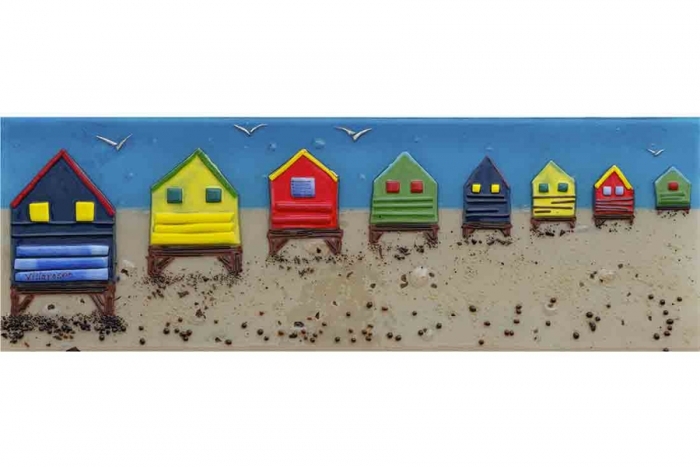 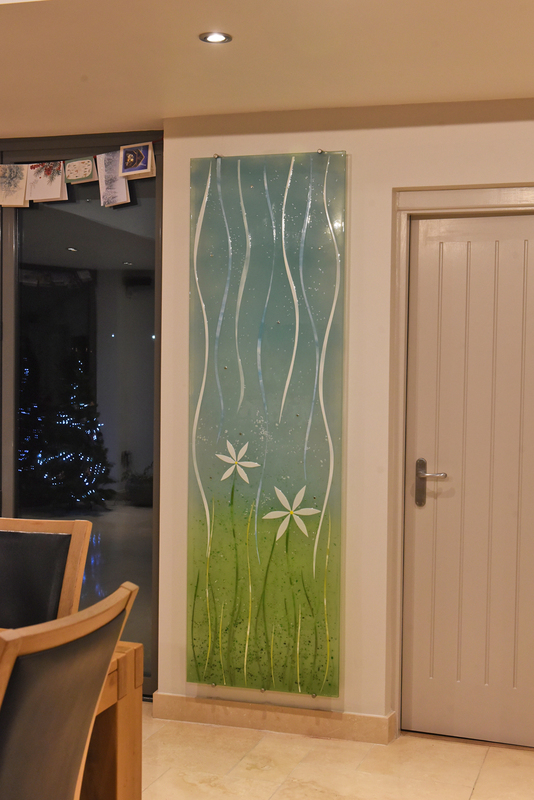 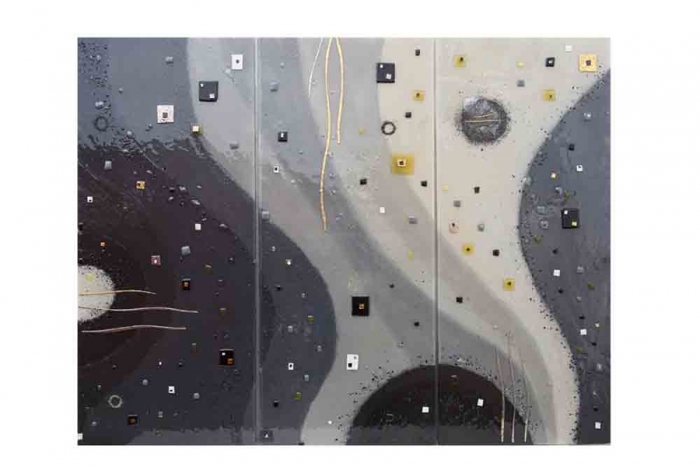 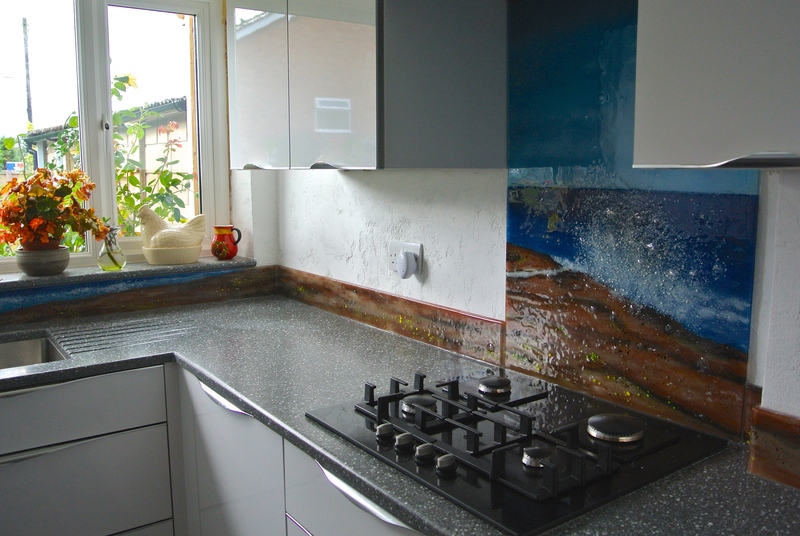 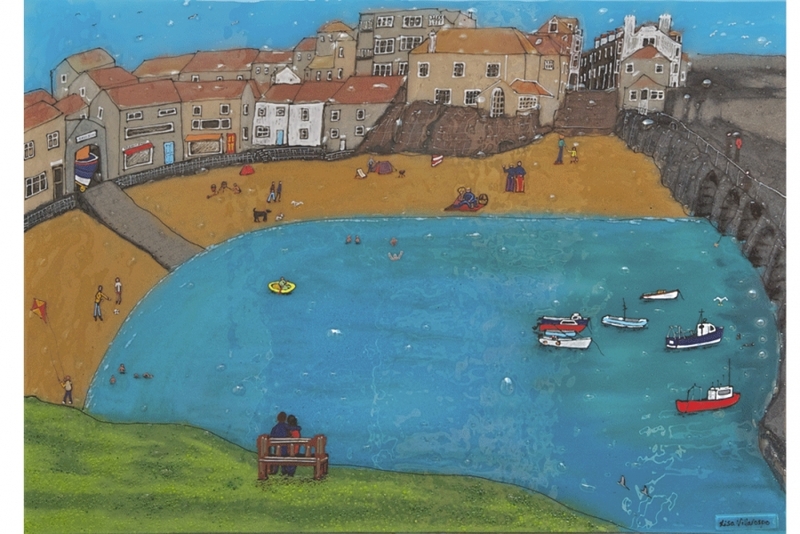 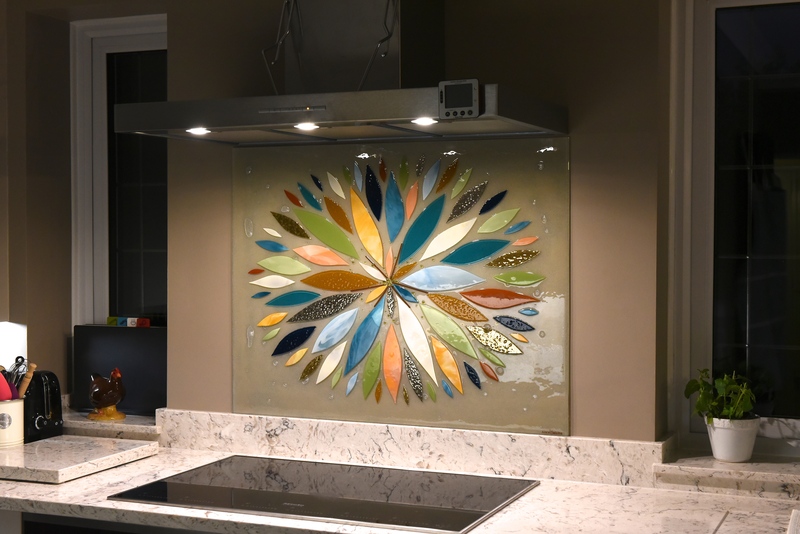 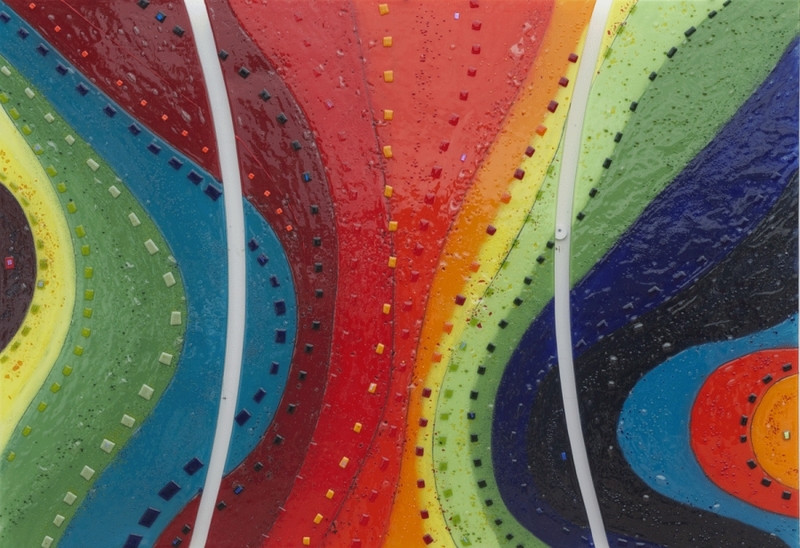 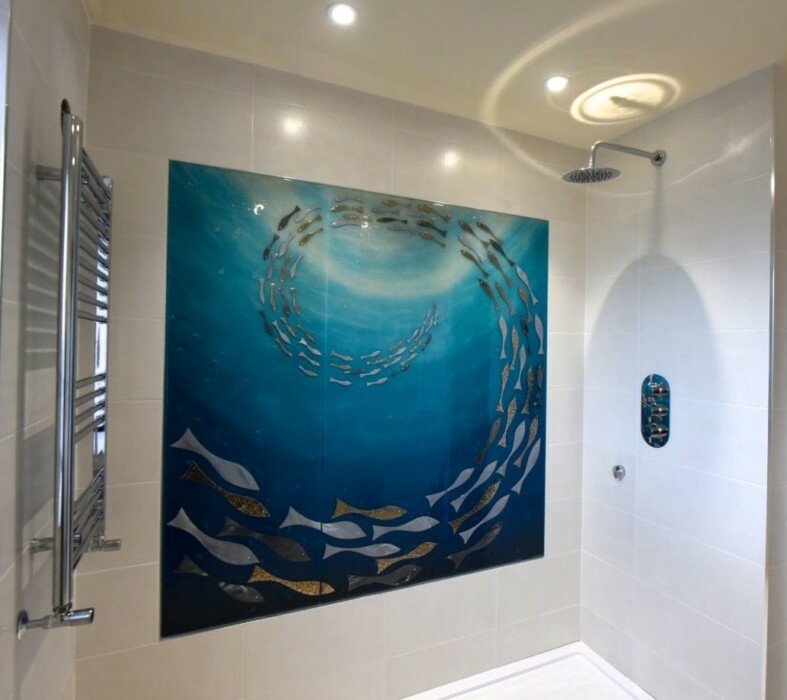 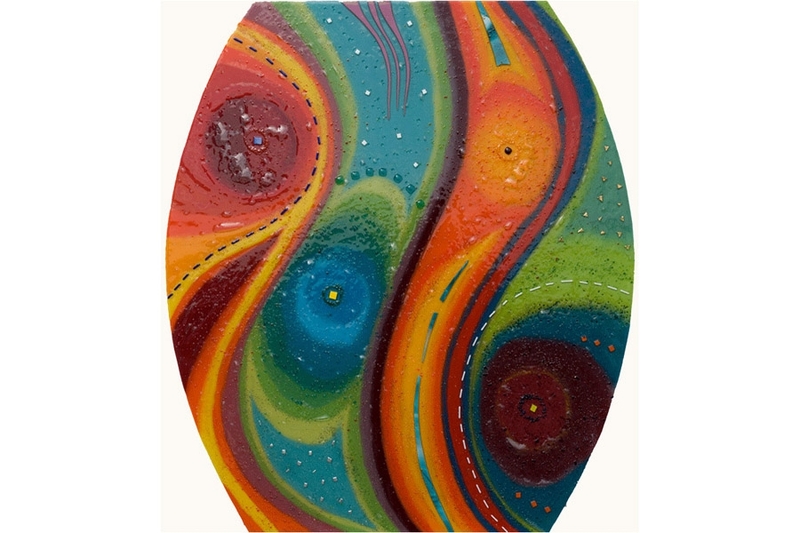 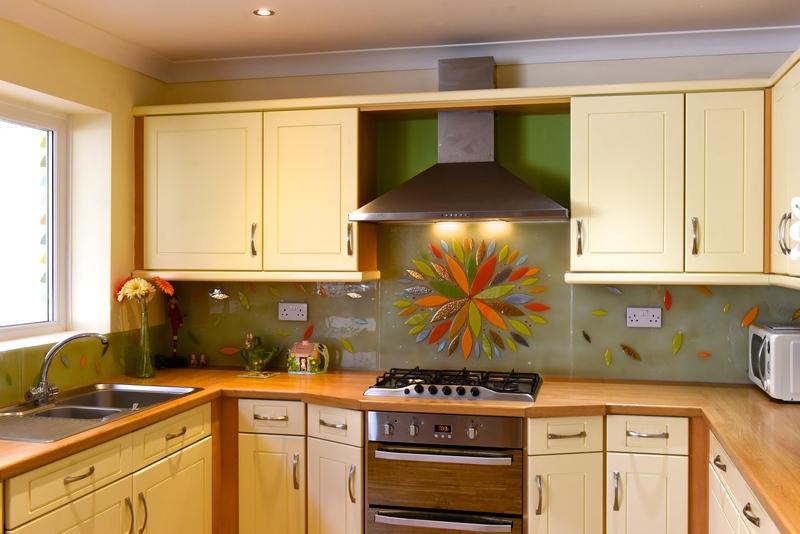 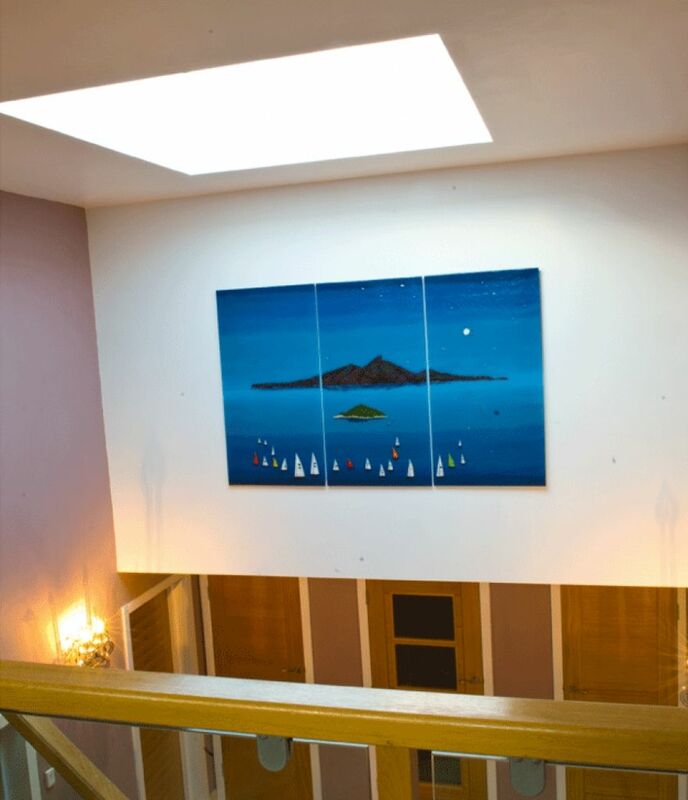 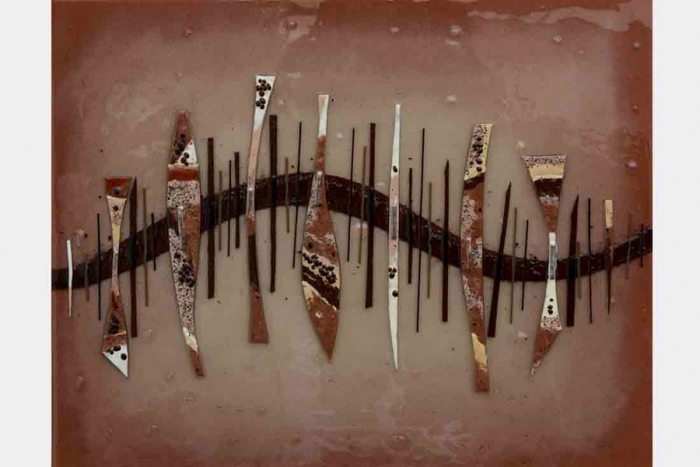 The customer had previously seen fused glass art on our website that they loved, and decided that something similar would make a perfect fit in their own home. 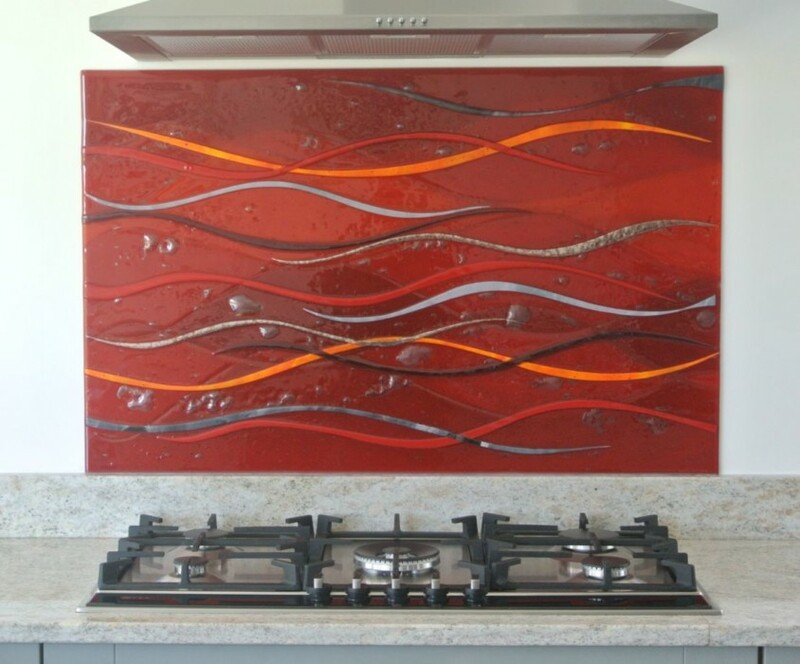 A perfectly matching trio, the glass looks just like lava flowing down the side of a volcano. 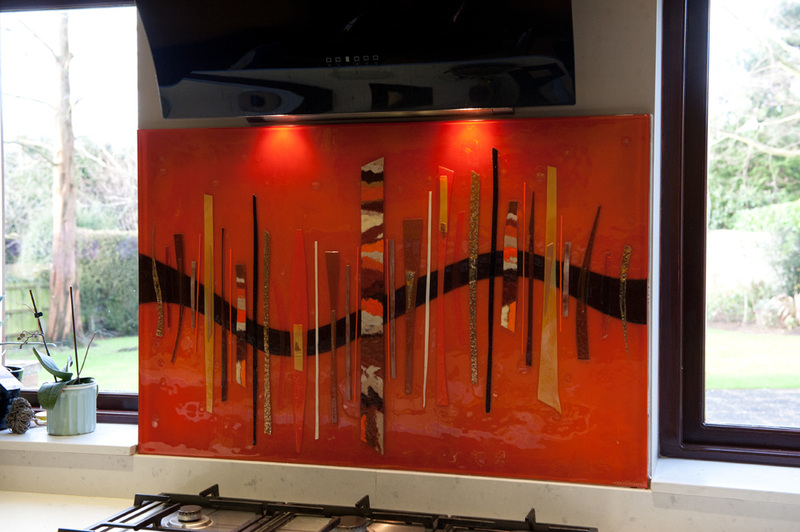 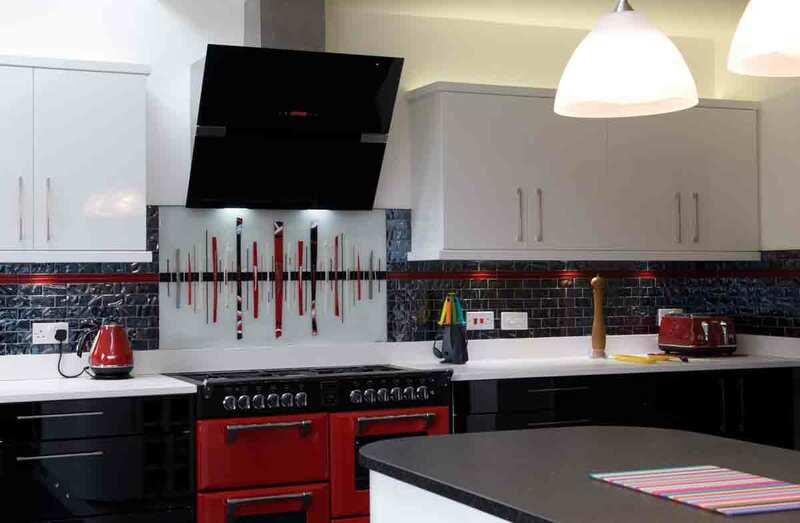 Burning orange and red hues blend into the darker black lines that add contrast throughout, leading to the striking result pictured above. 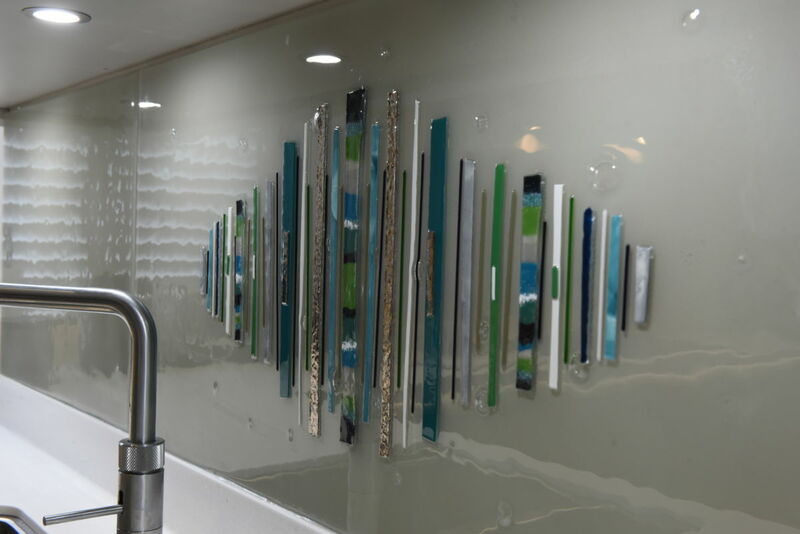 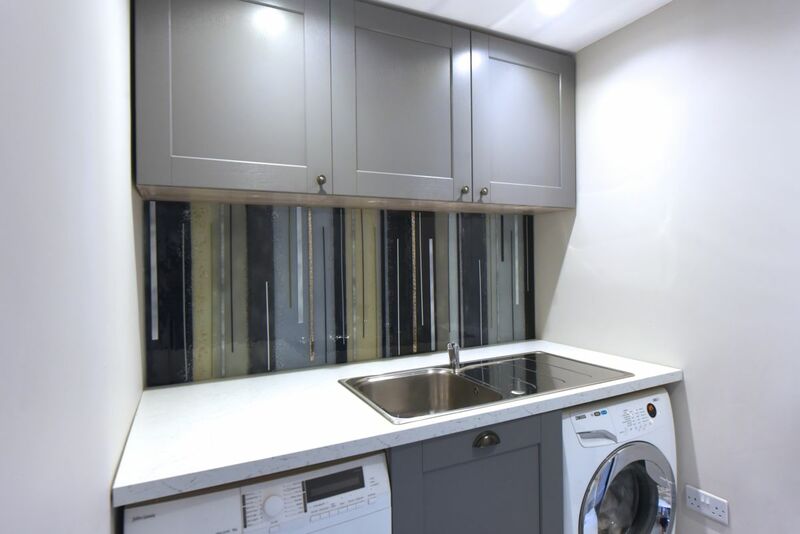 Look closely and you should be able to see silver metallic accents putting that all important finishing touch on the glass and allowing each panel to catch the light in a very interesting way. 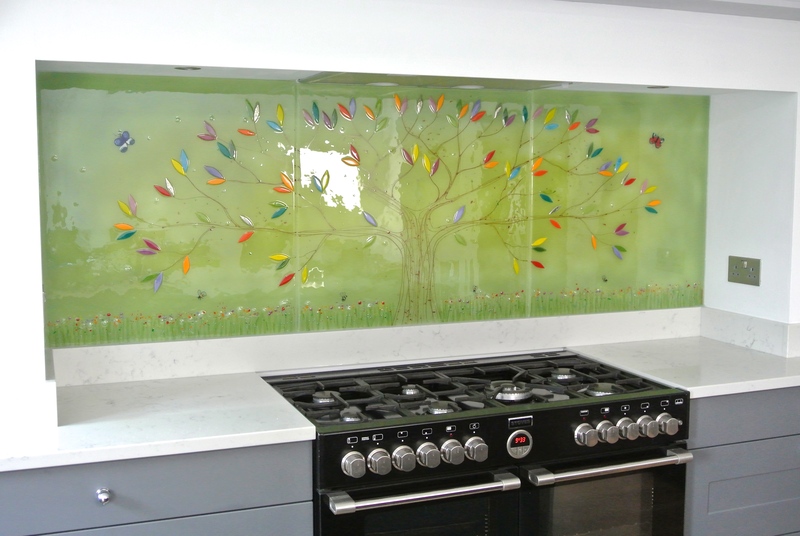 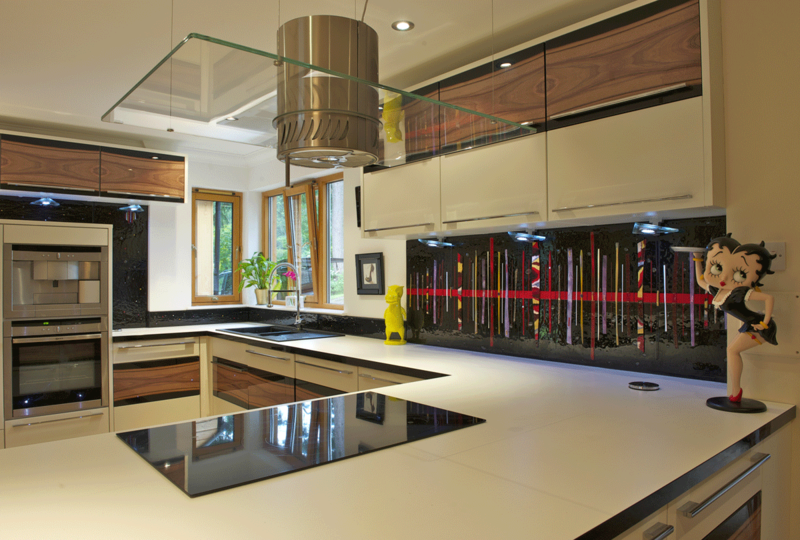 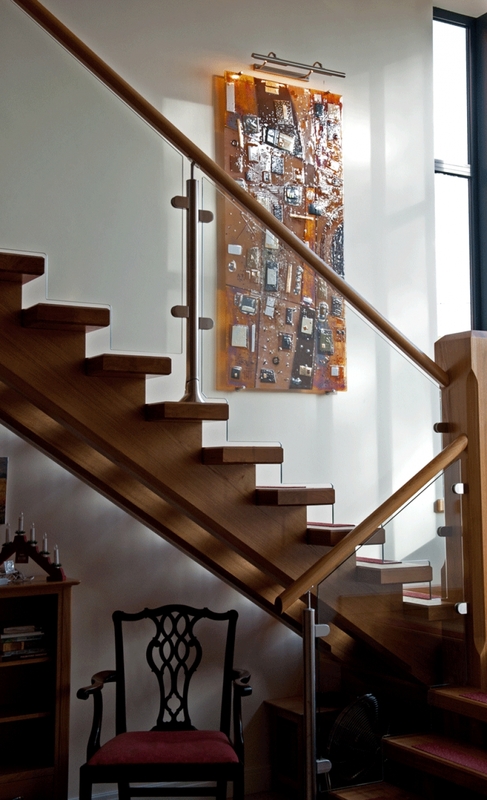 Additionally, the glass rises and falls in three dimensions, making the three designs look truly fluid.